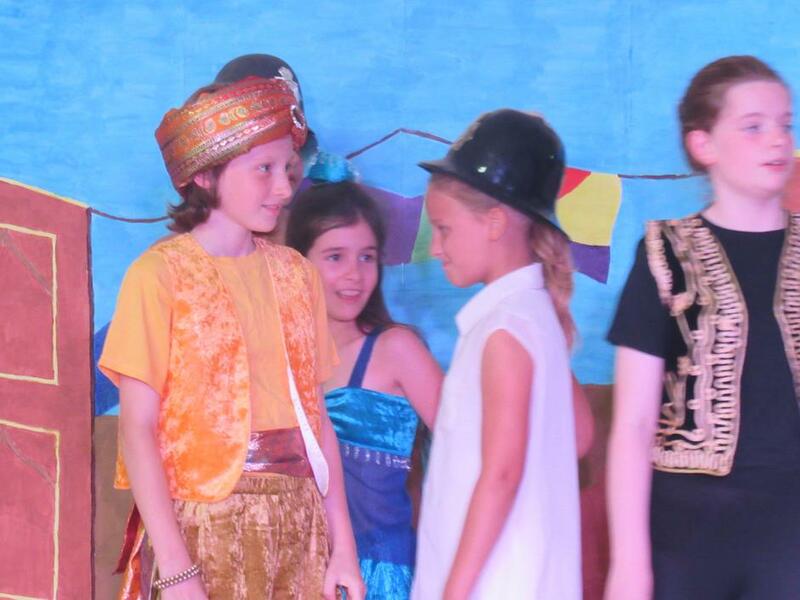 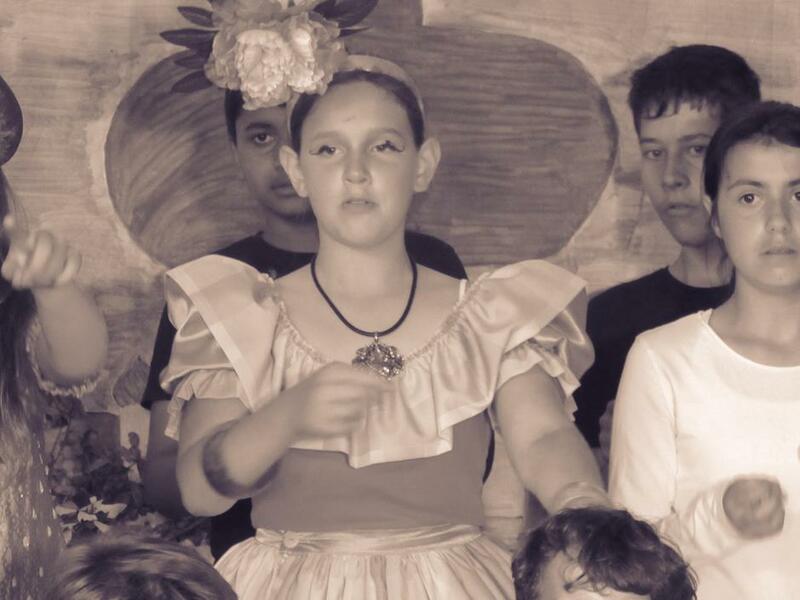 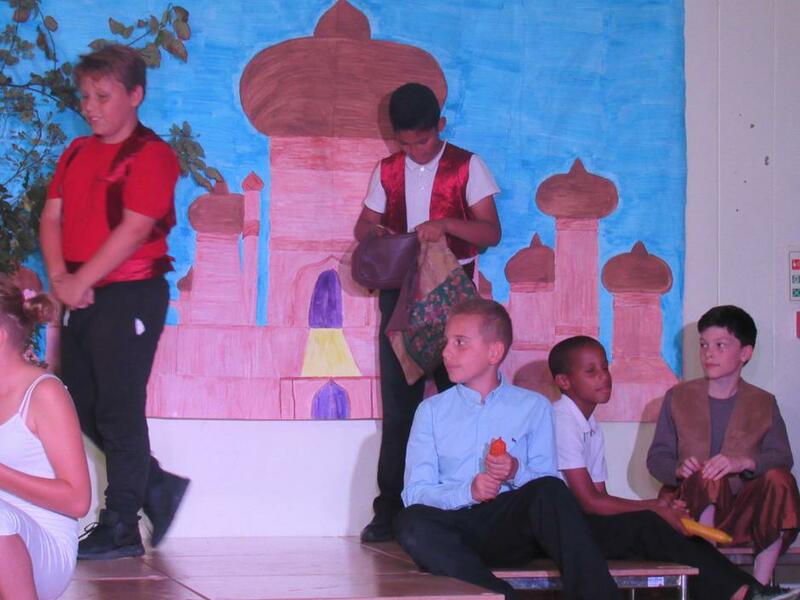 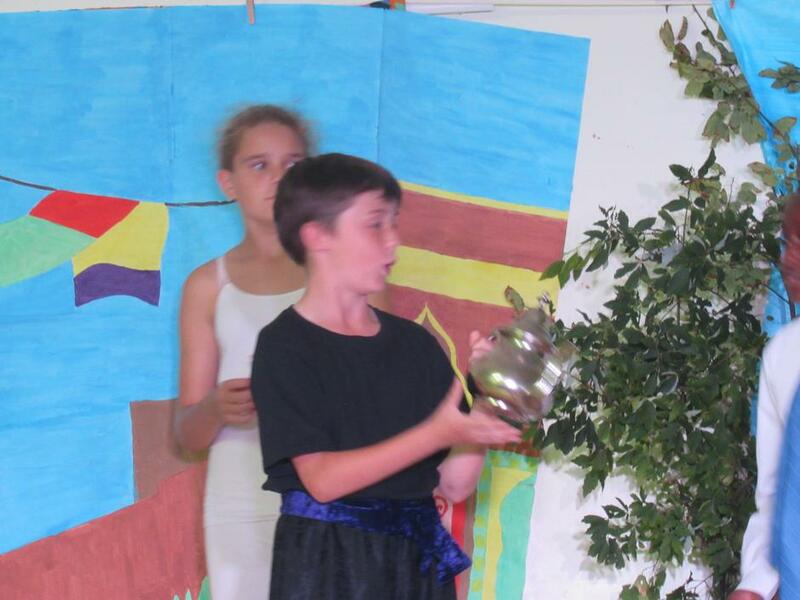 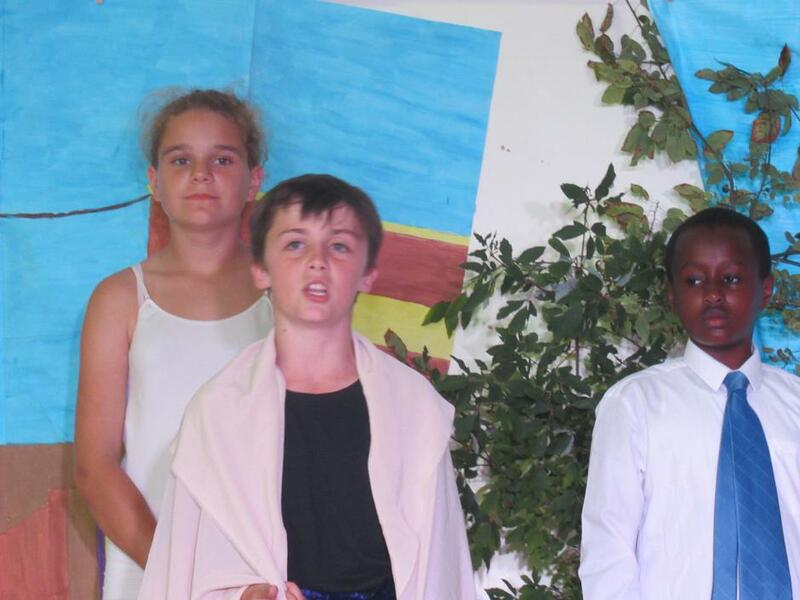 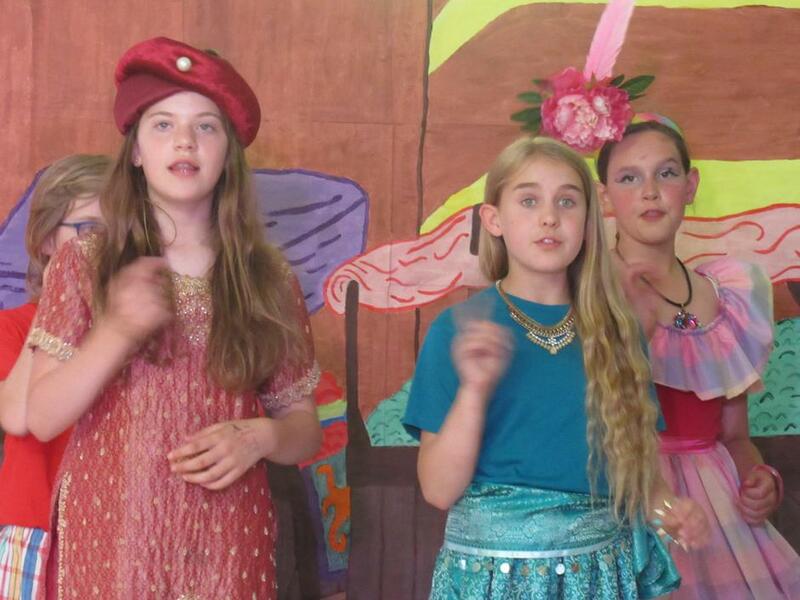 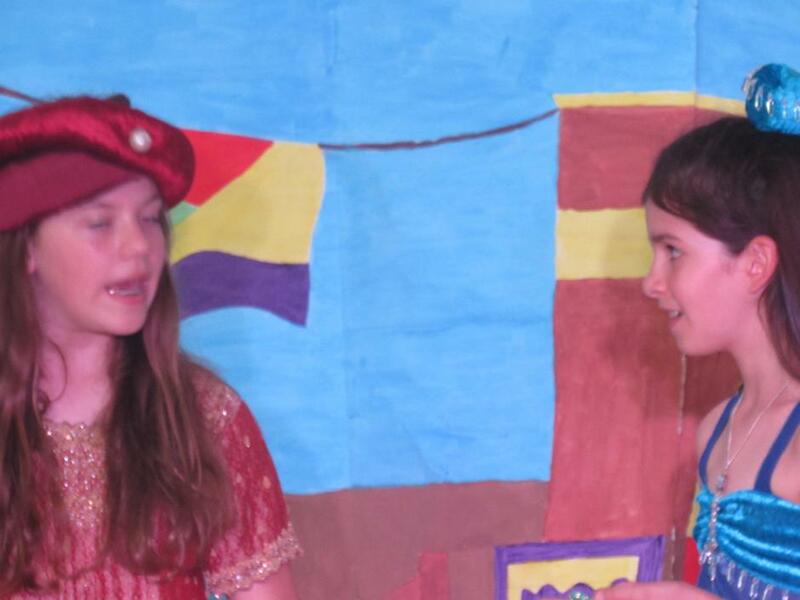 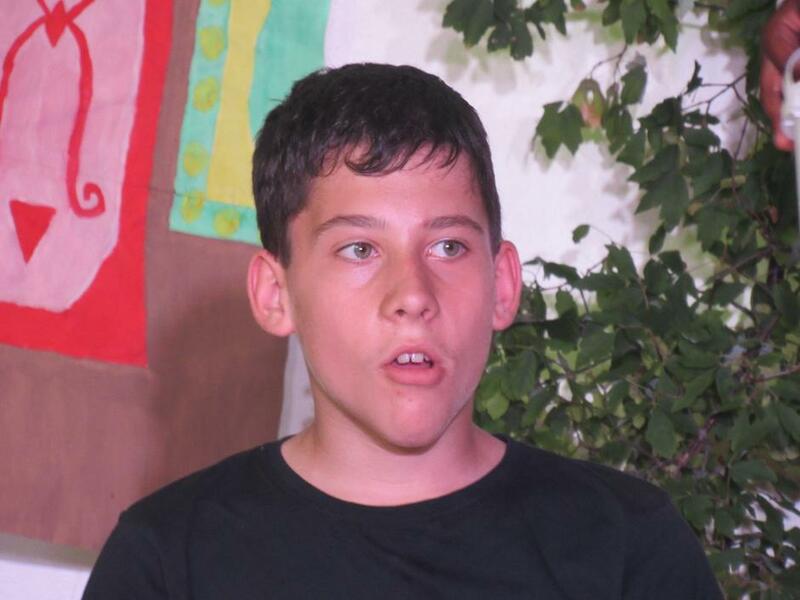 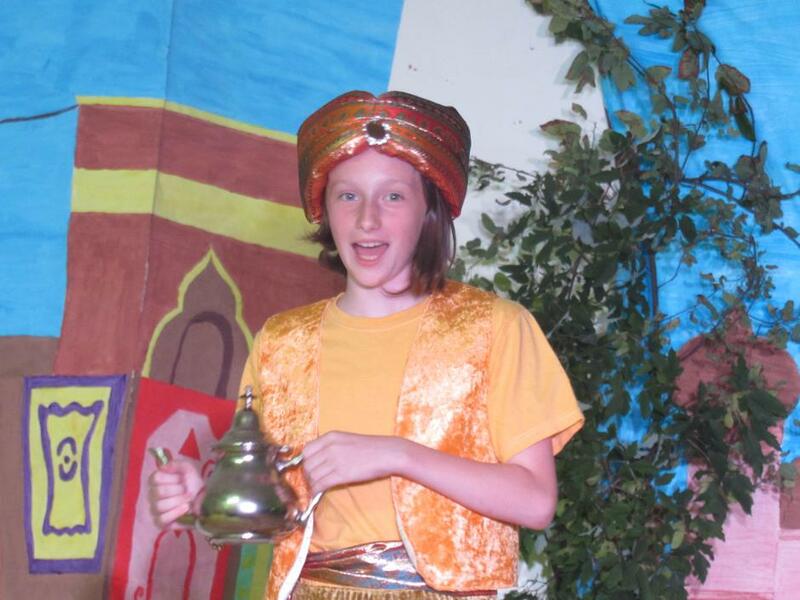 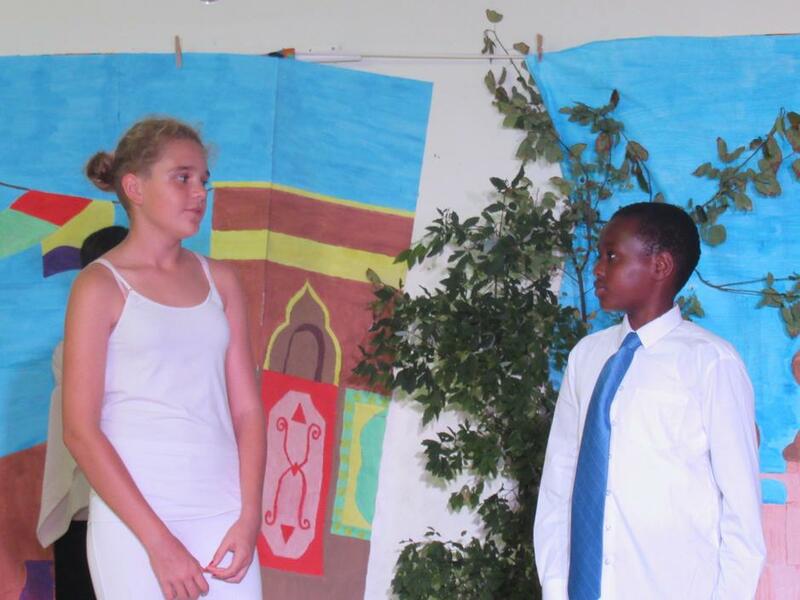 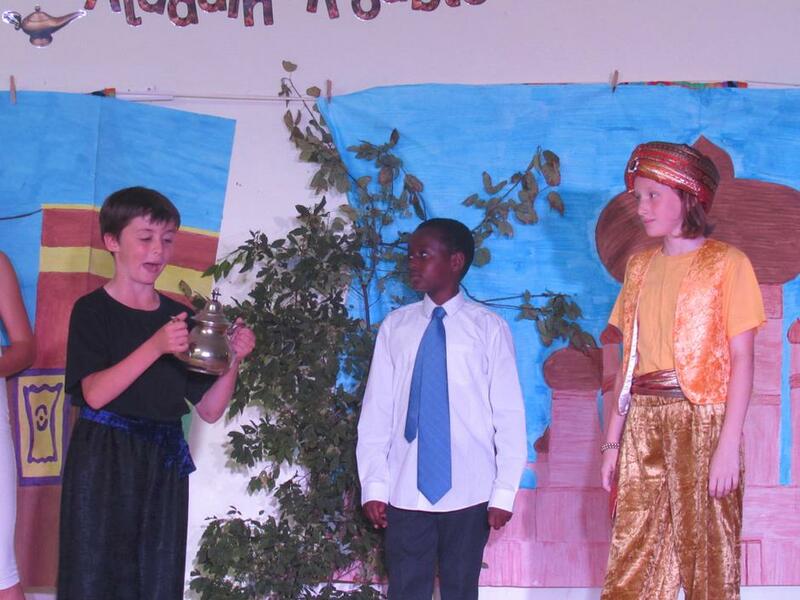 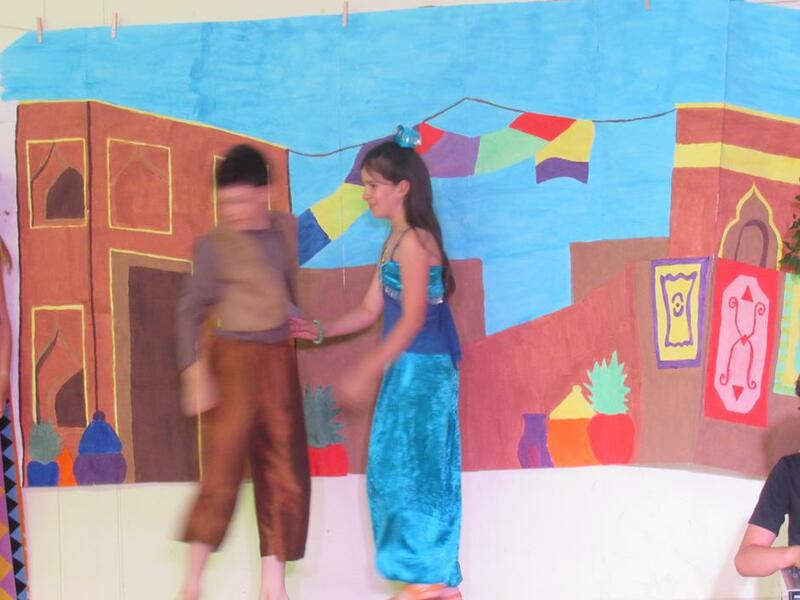 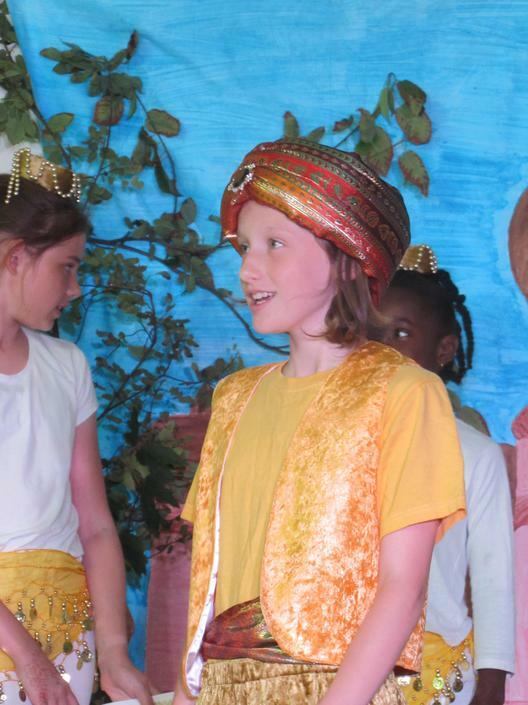 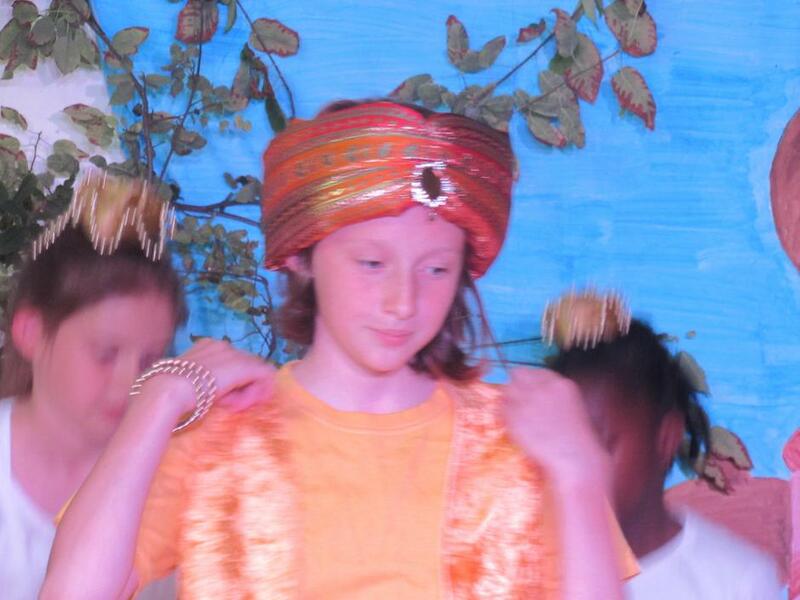 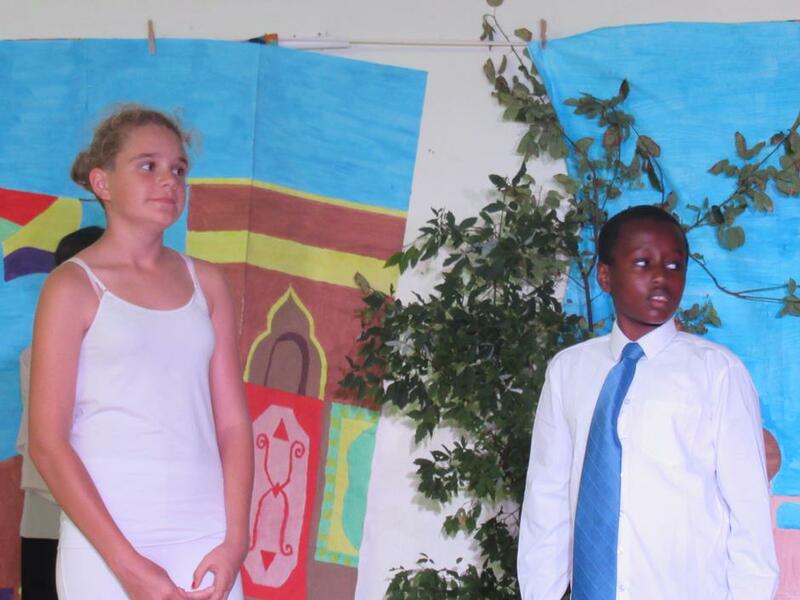 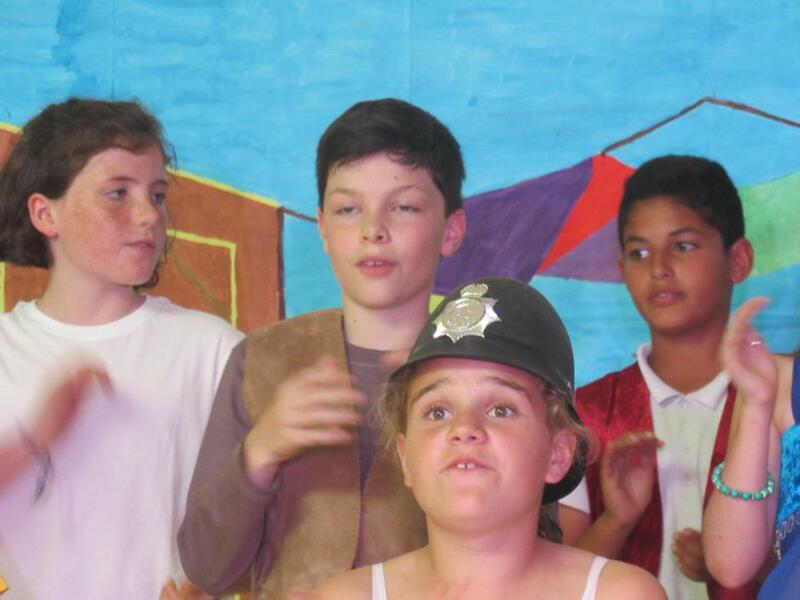 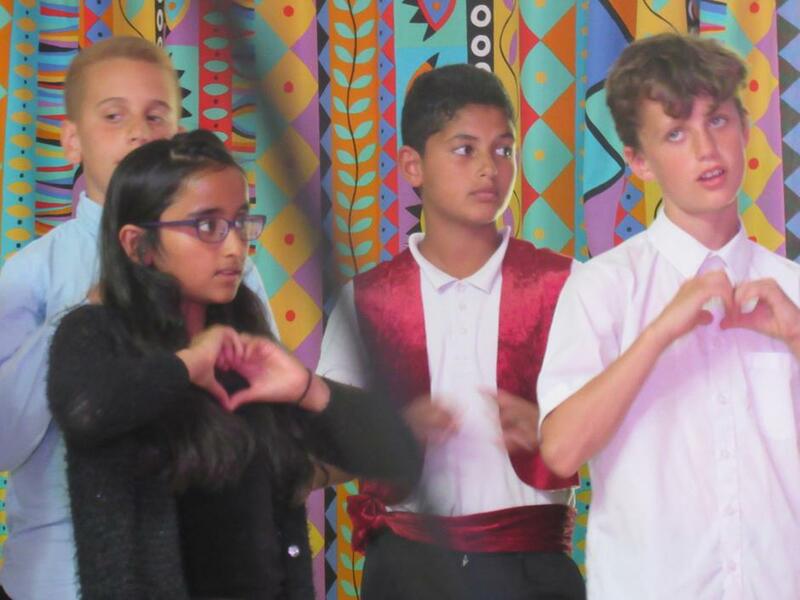 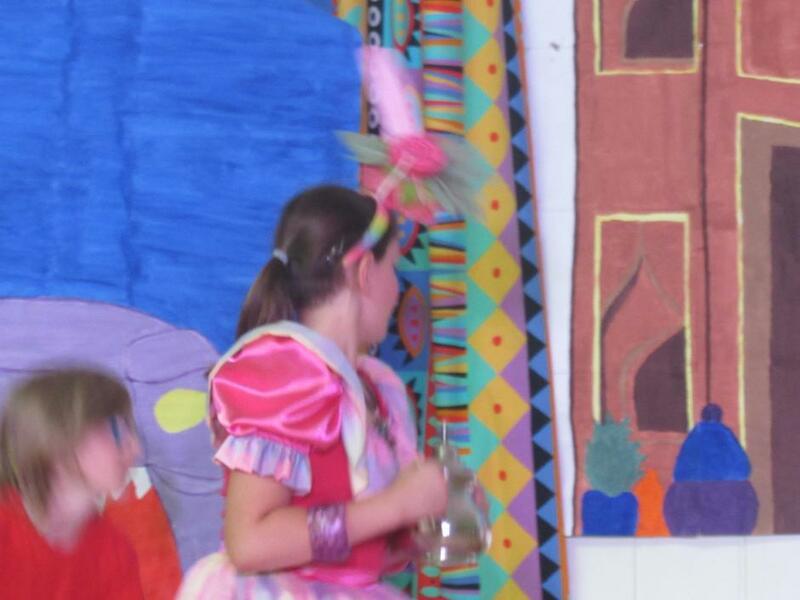 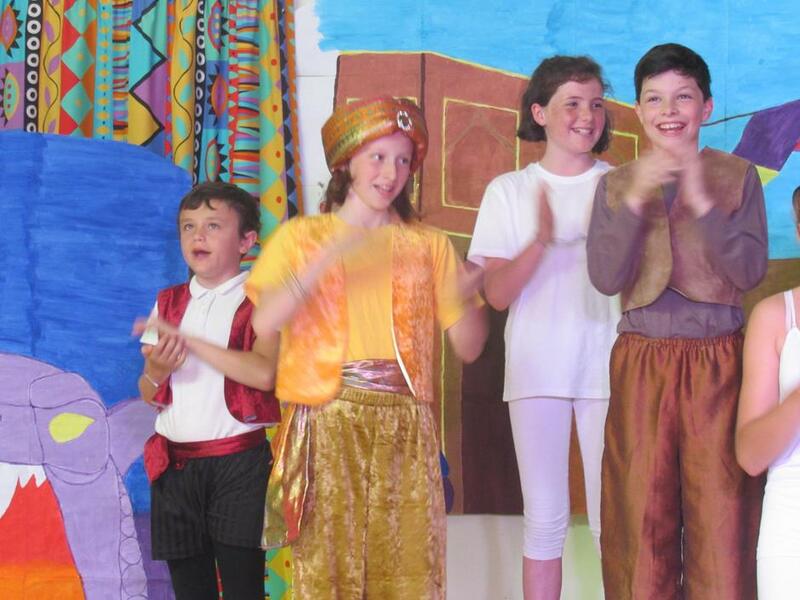 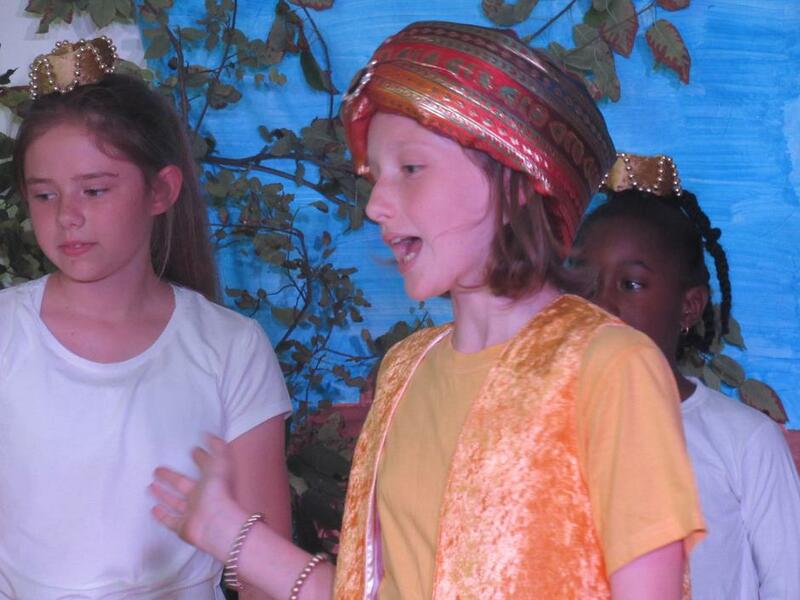 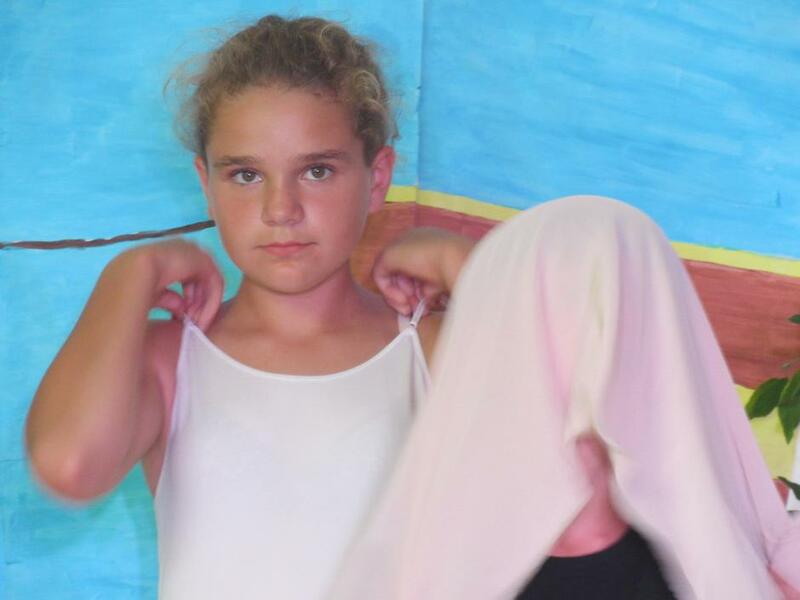 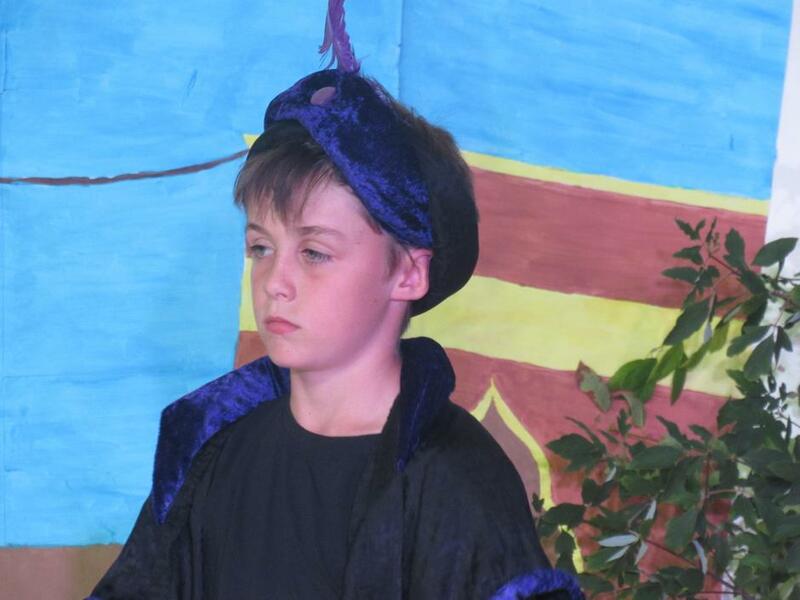 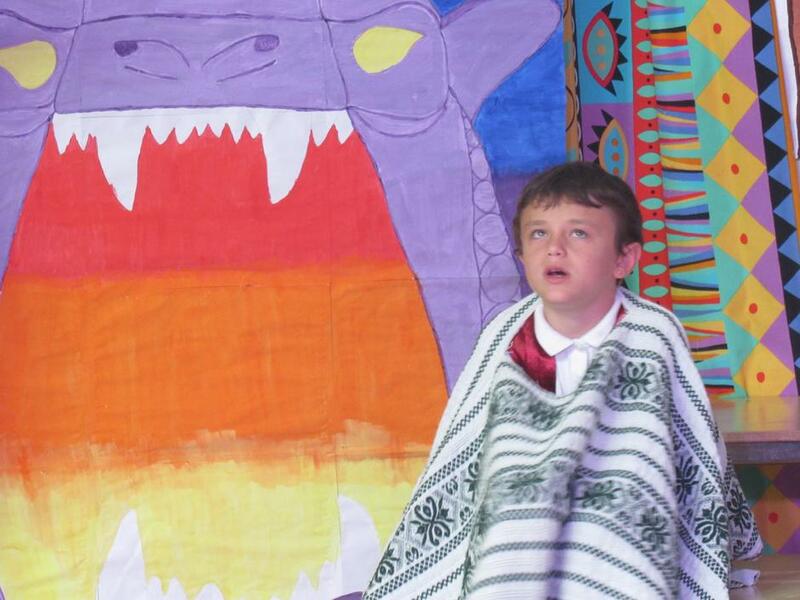 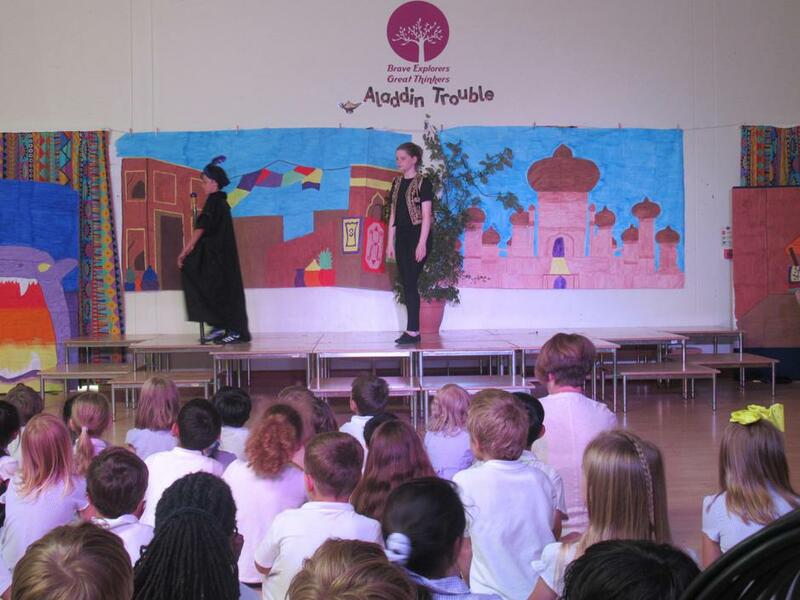 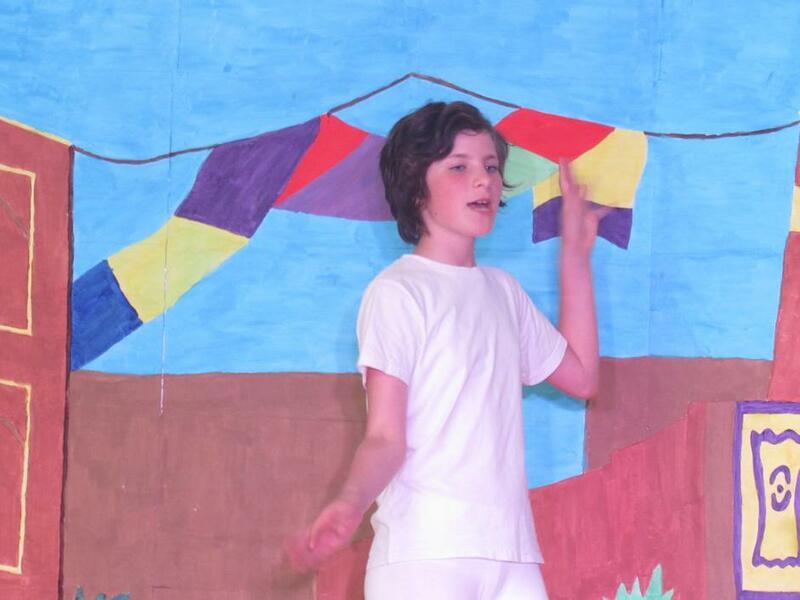 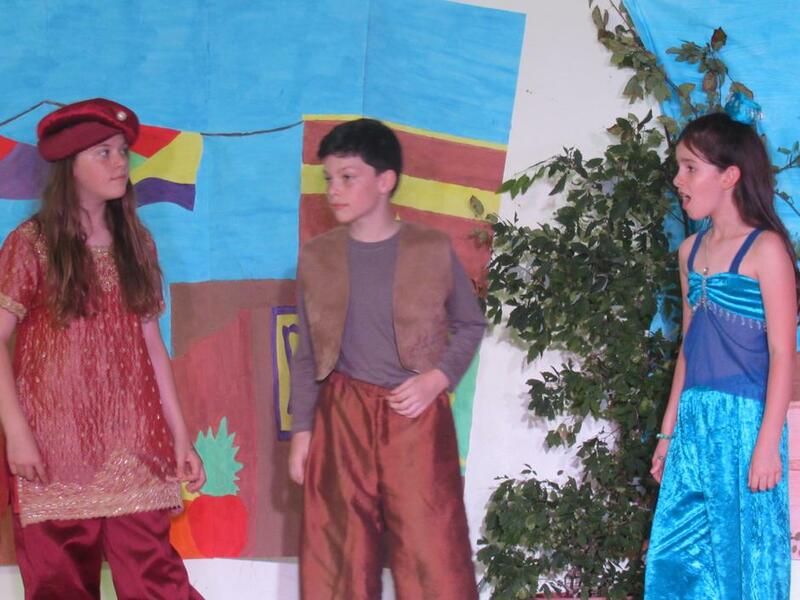 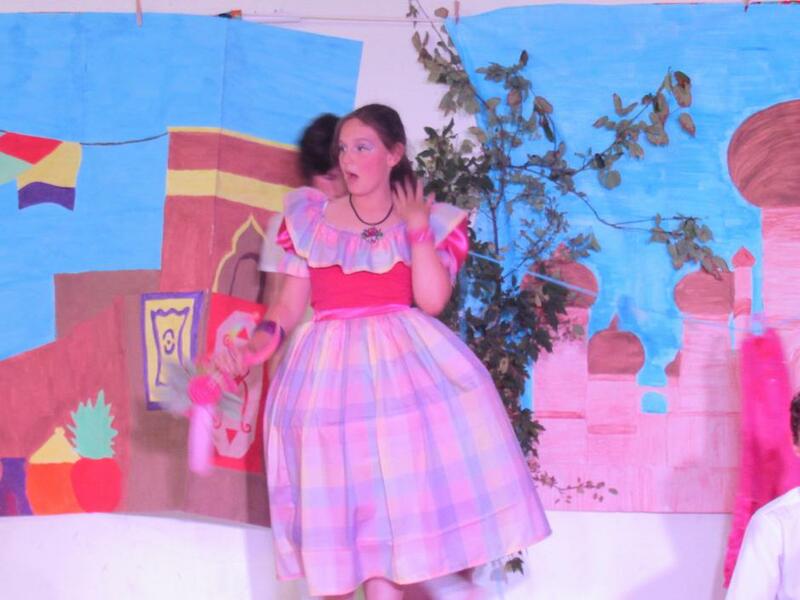 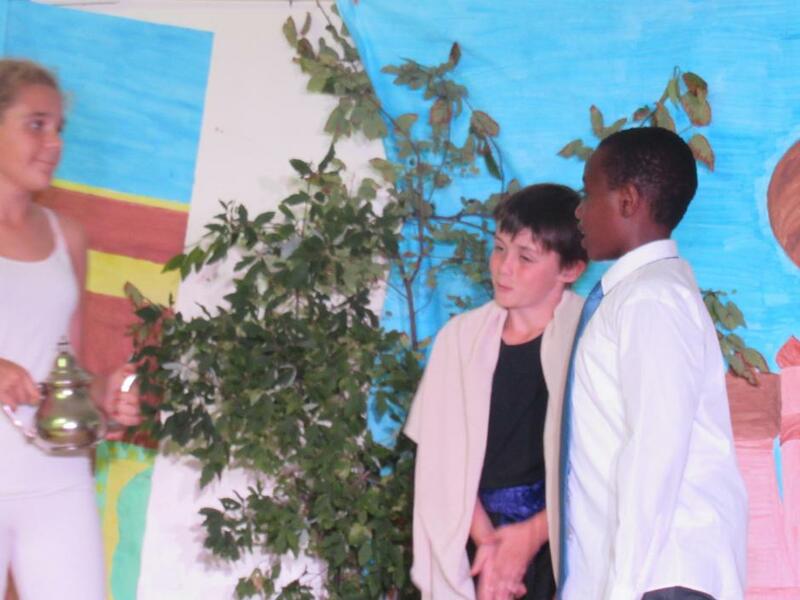 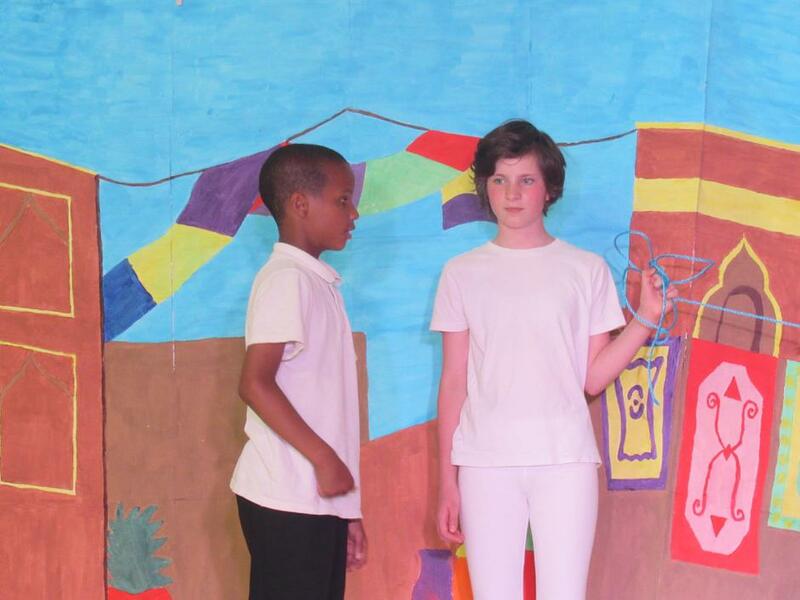 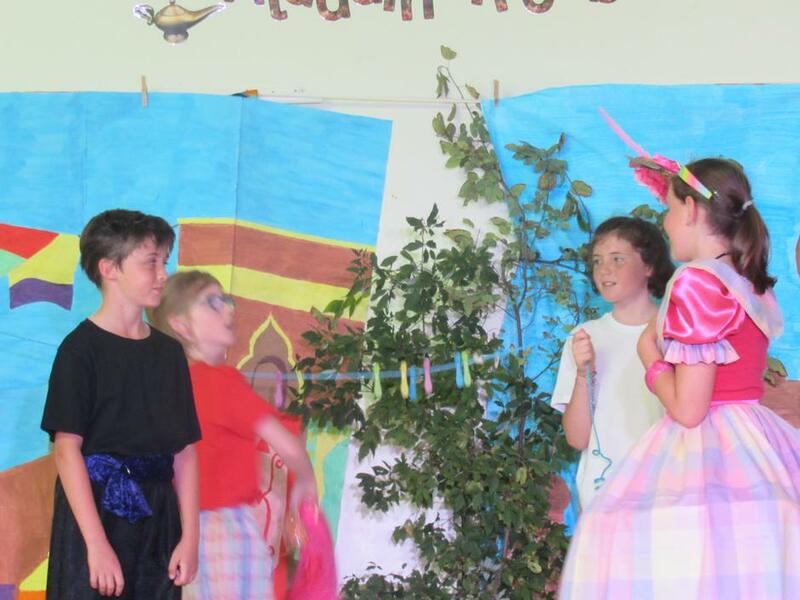 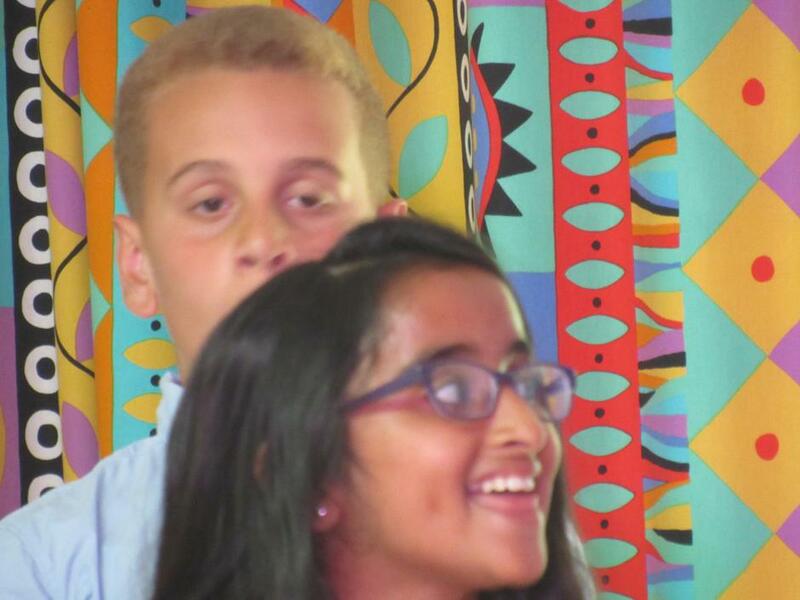 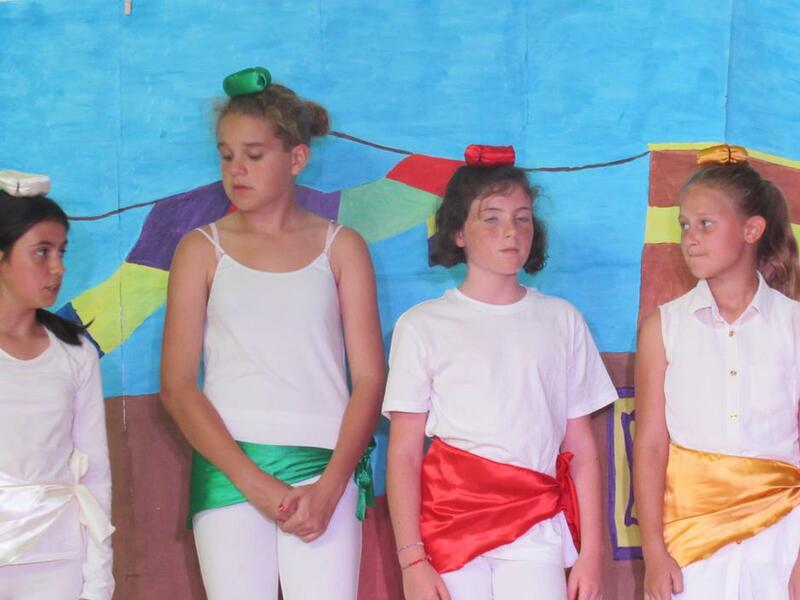 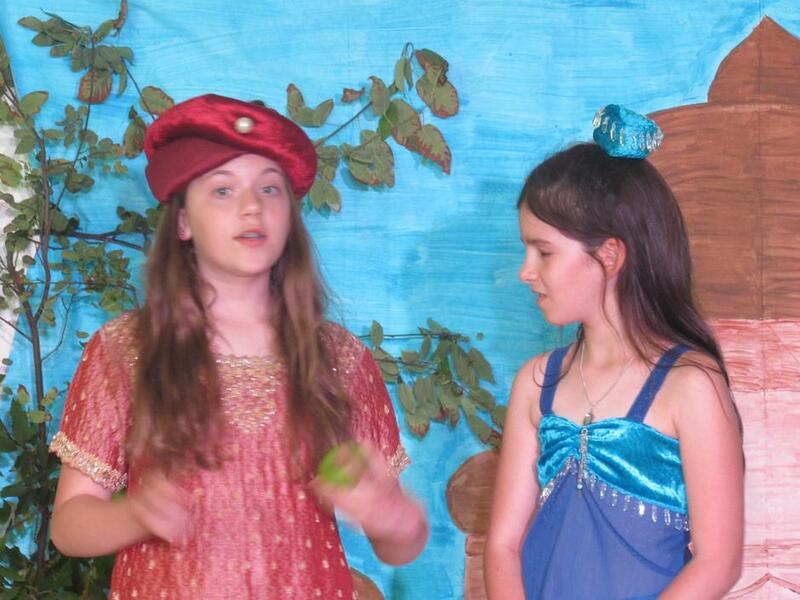 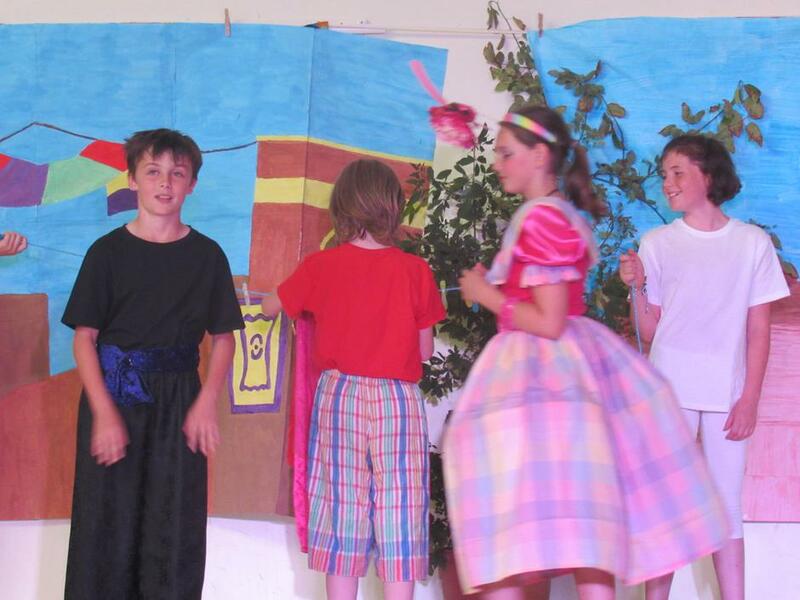 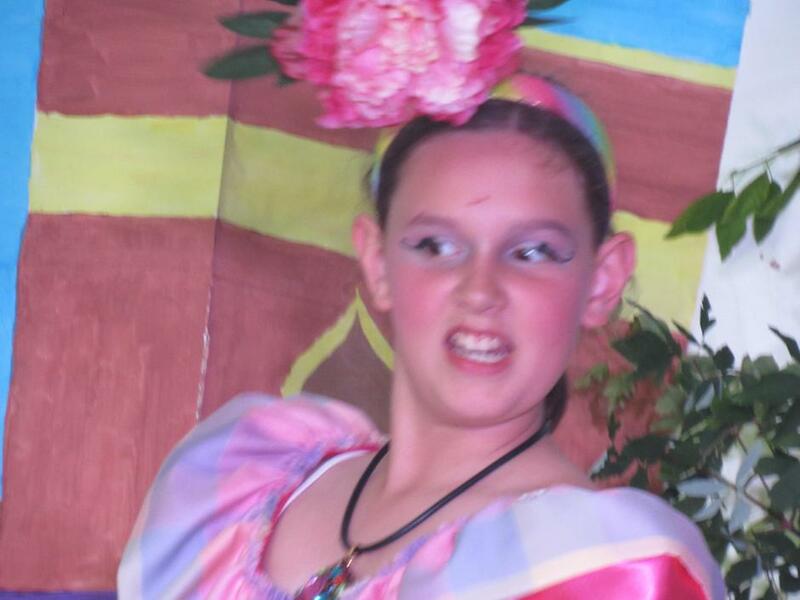 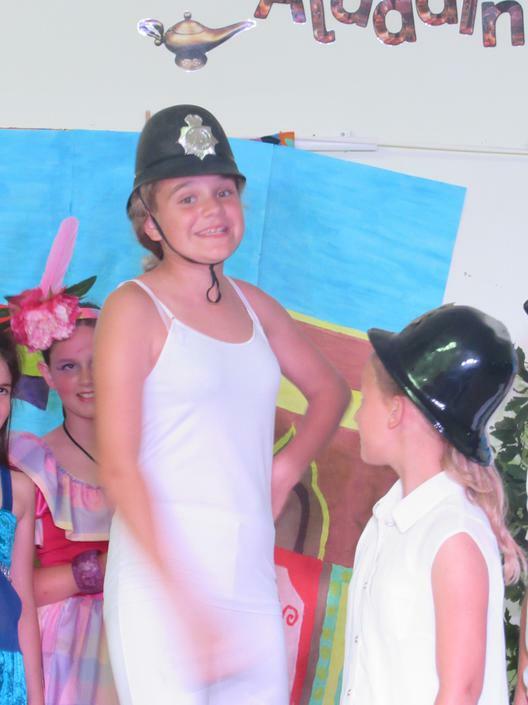 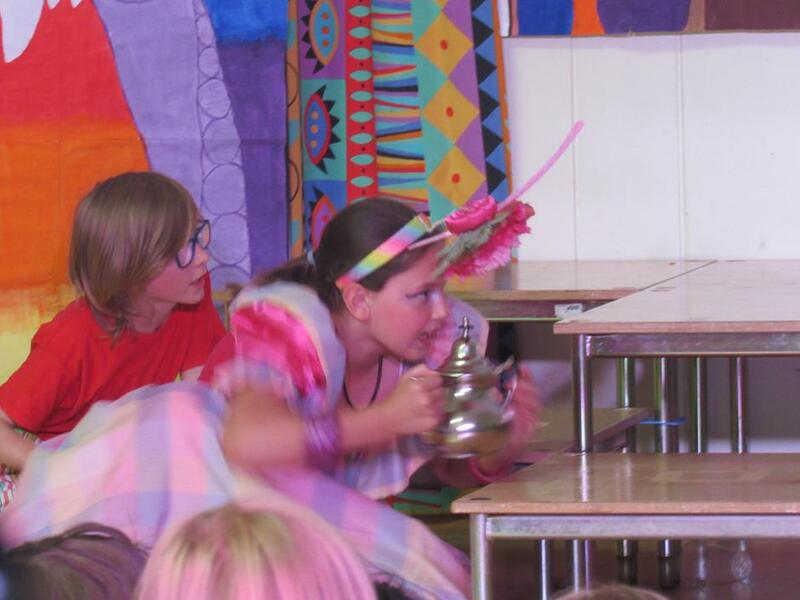 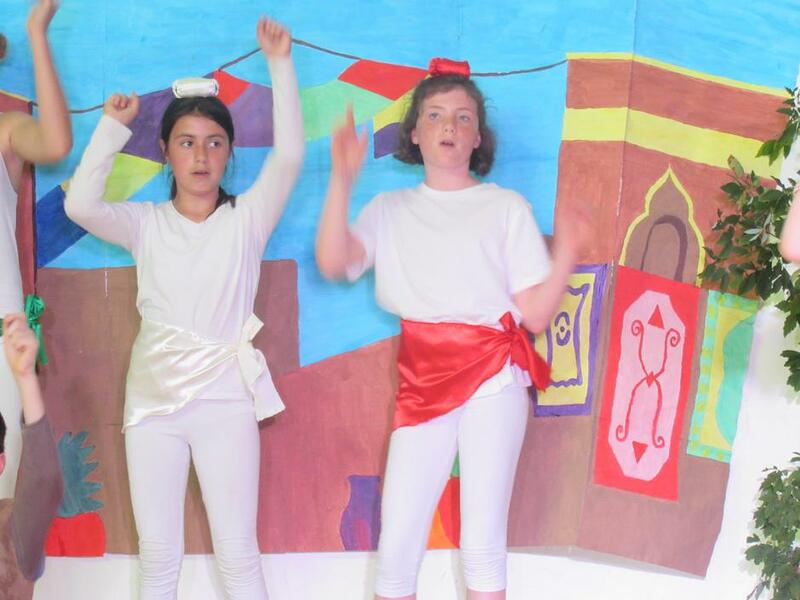 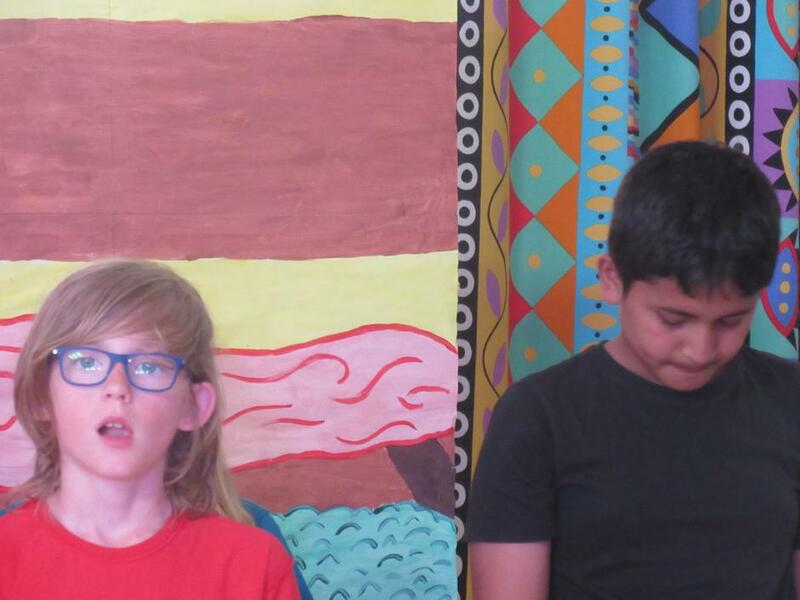 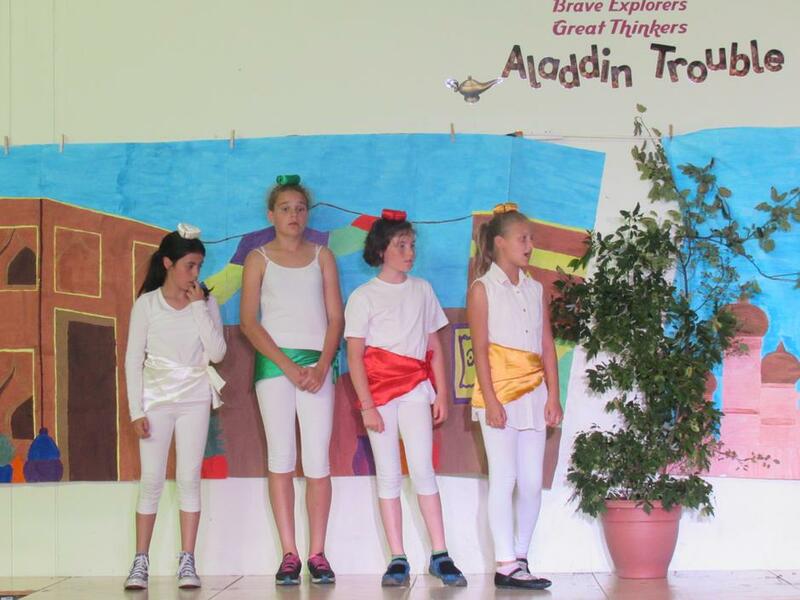 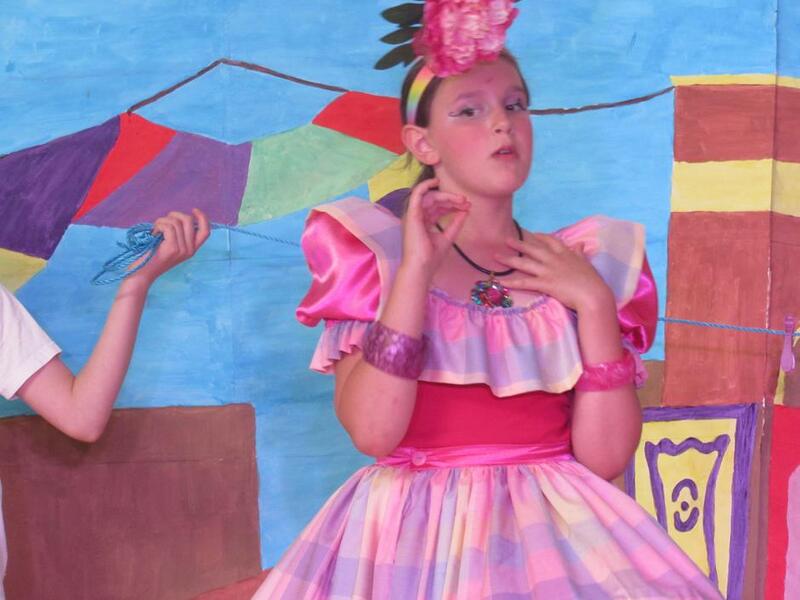 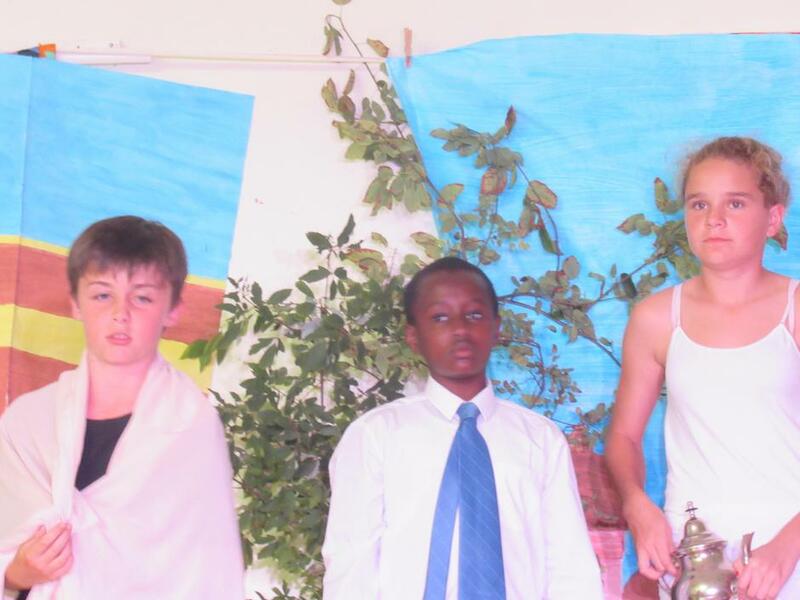 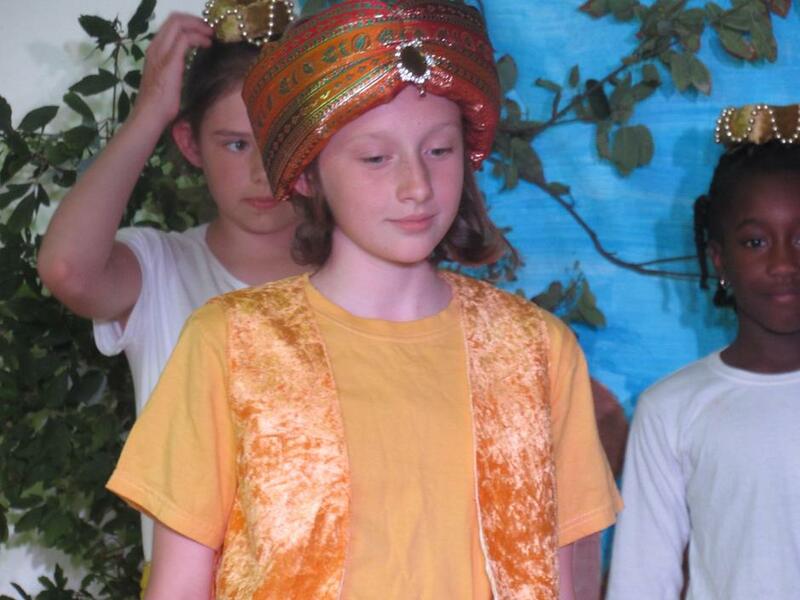 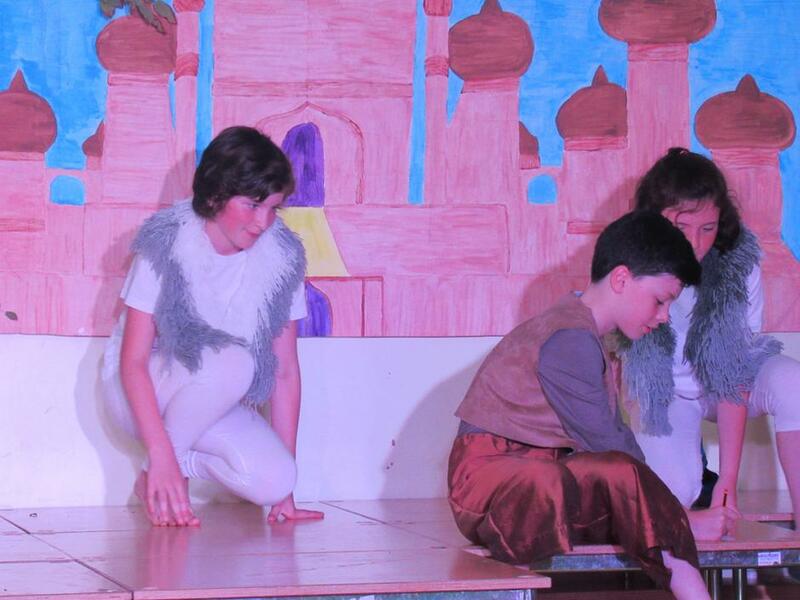 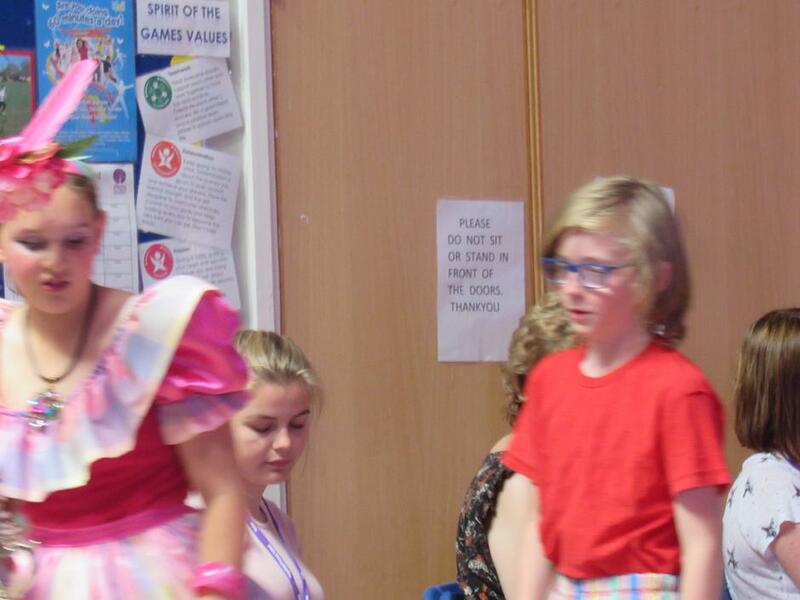 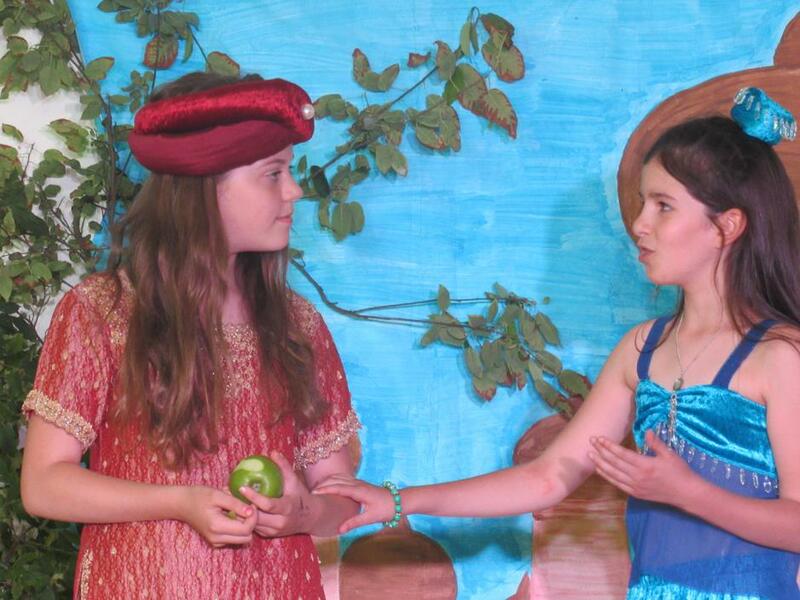 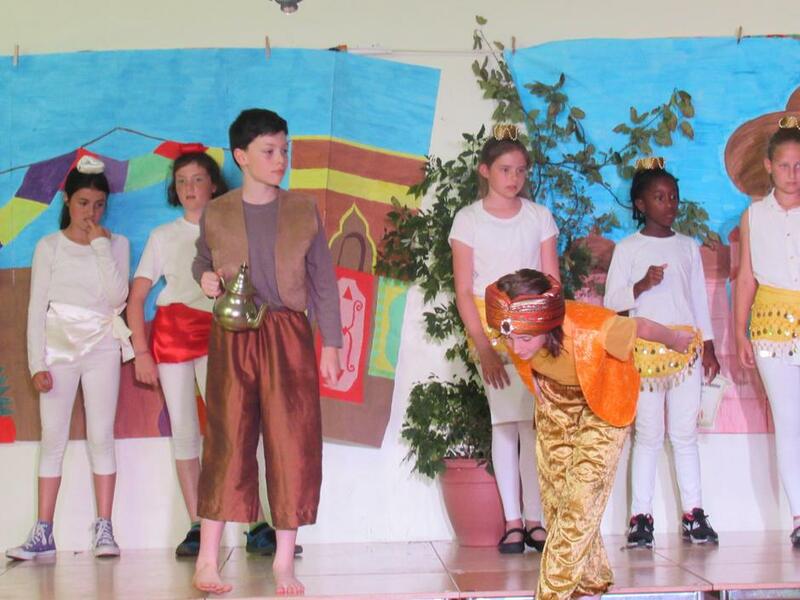 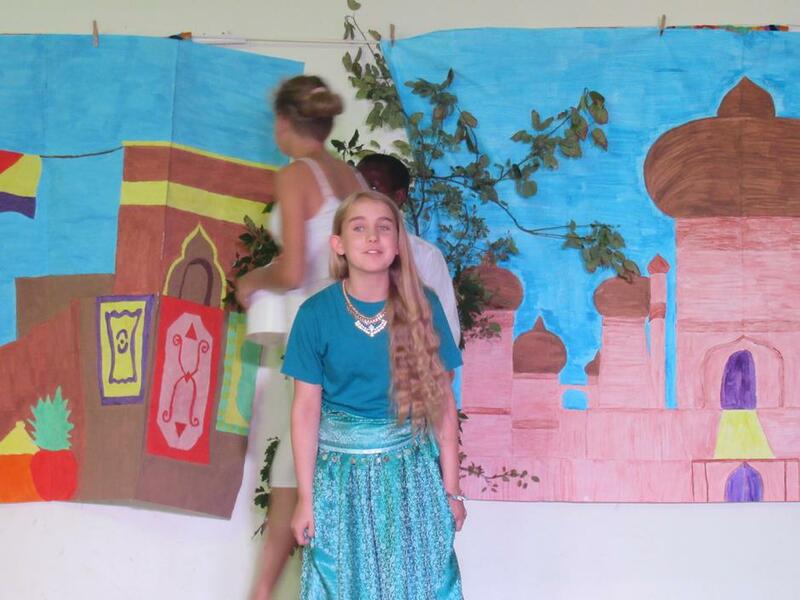 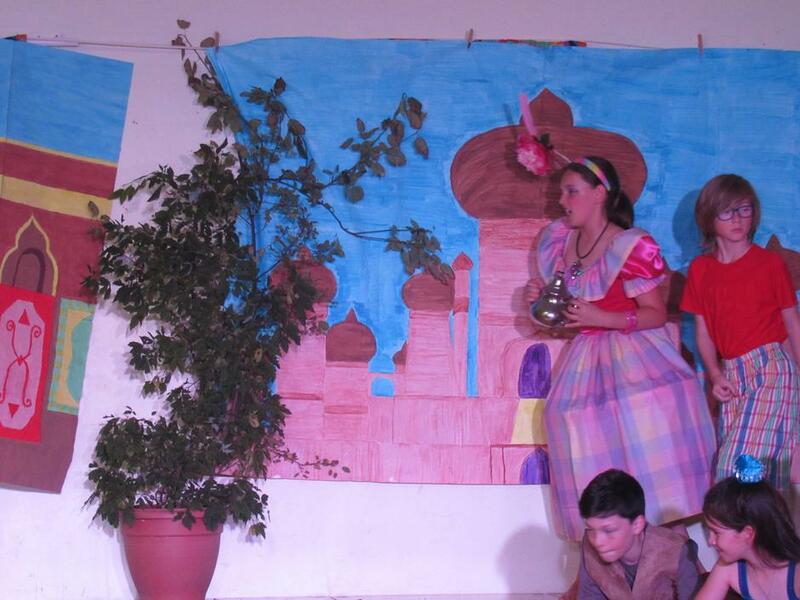 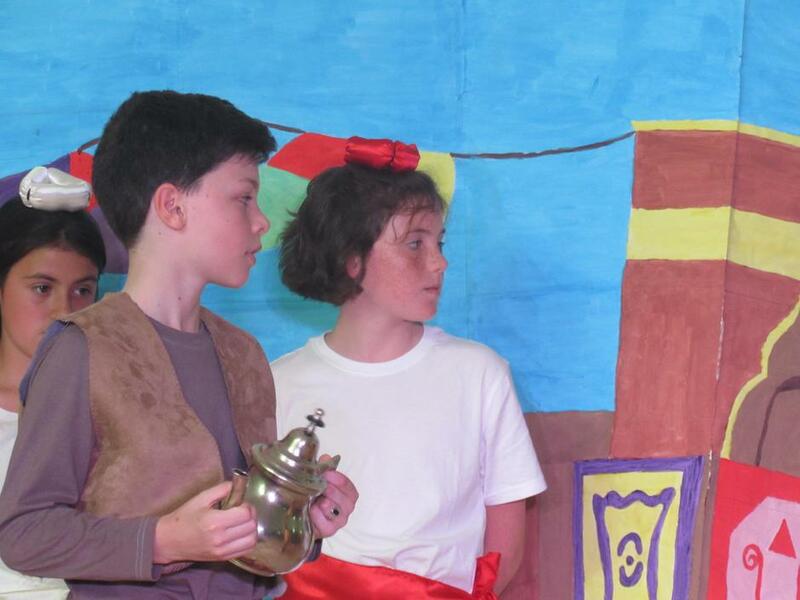 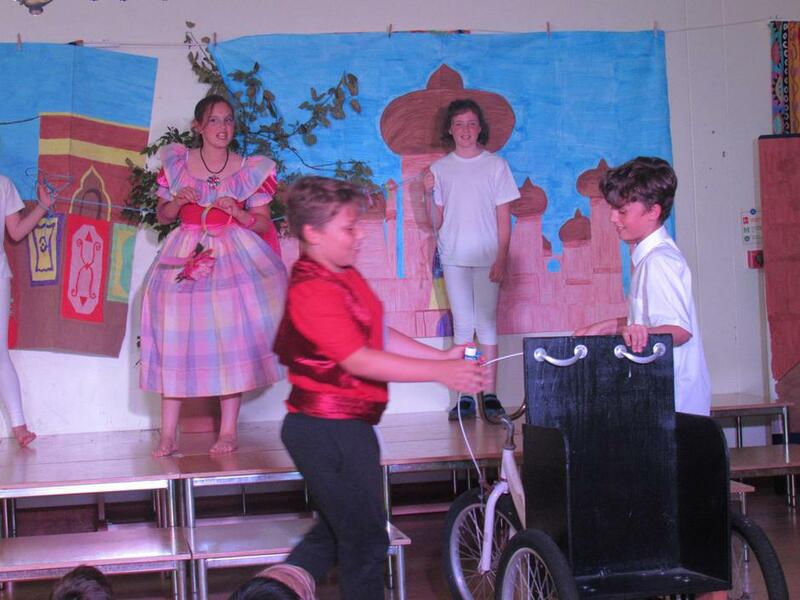 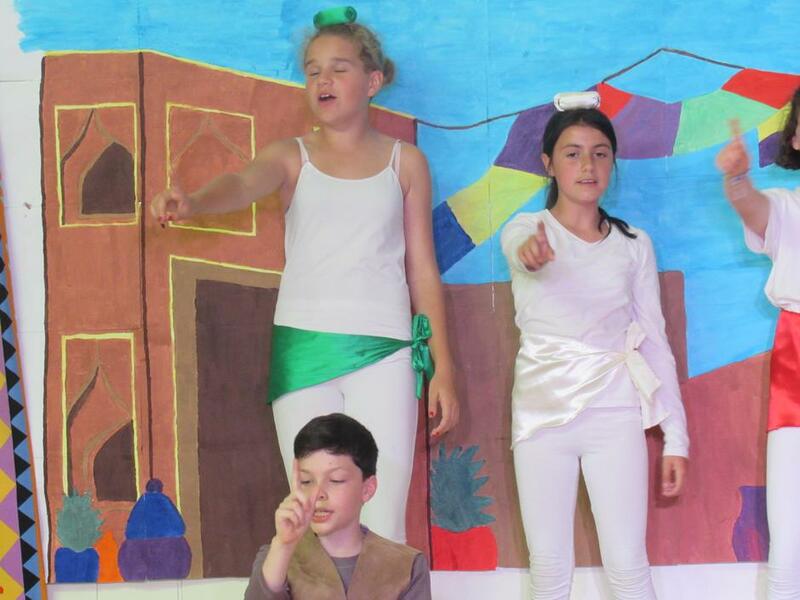 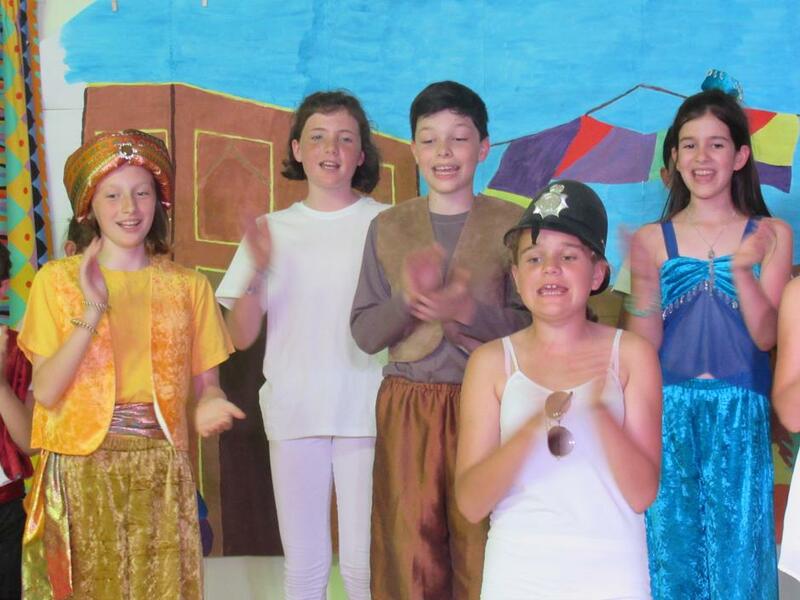 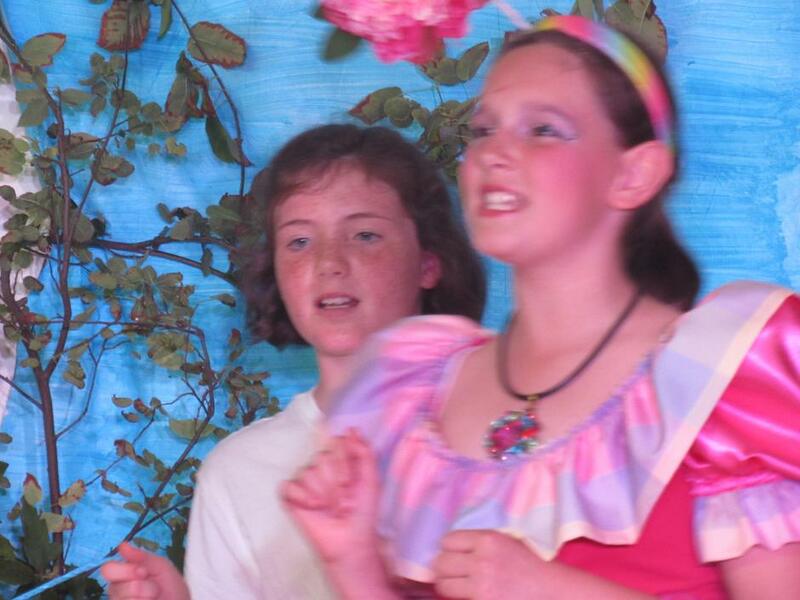 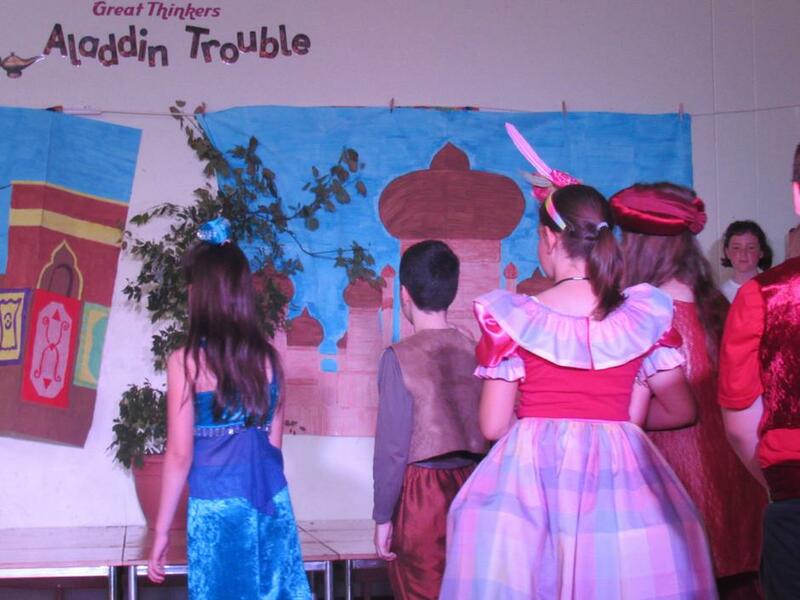 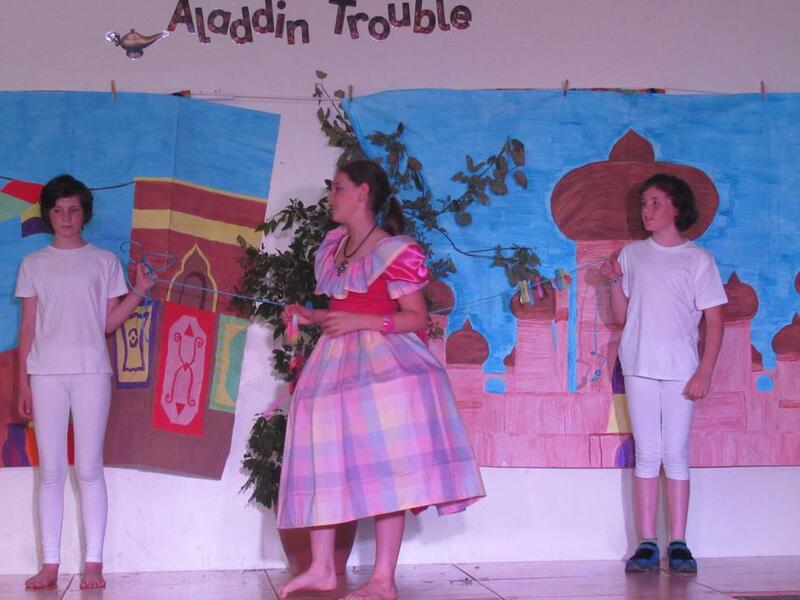 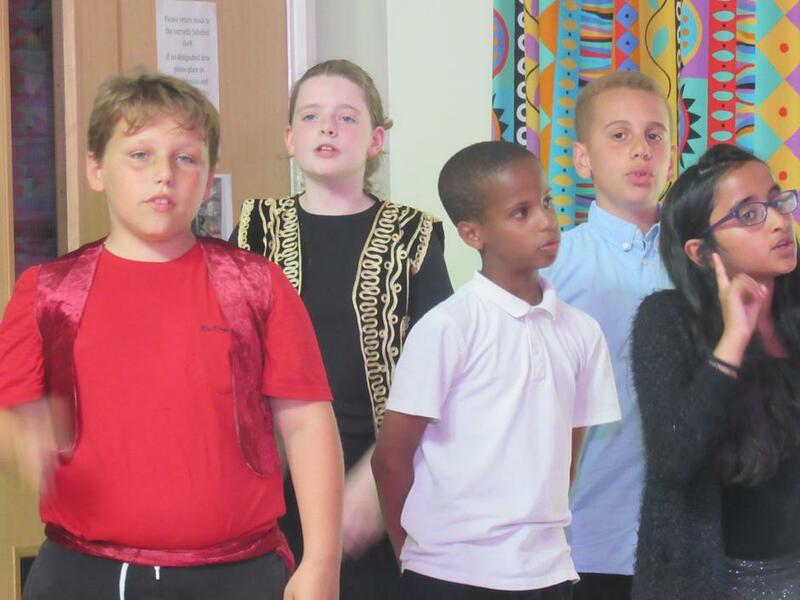 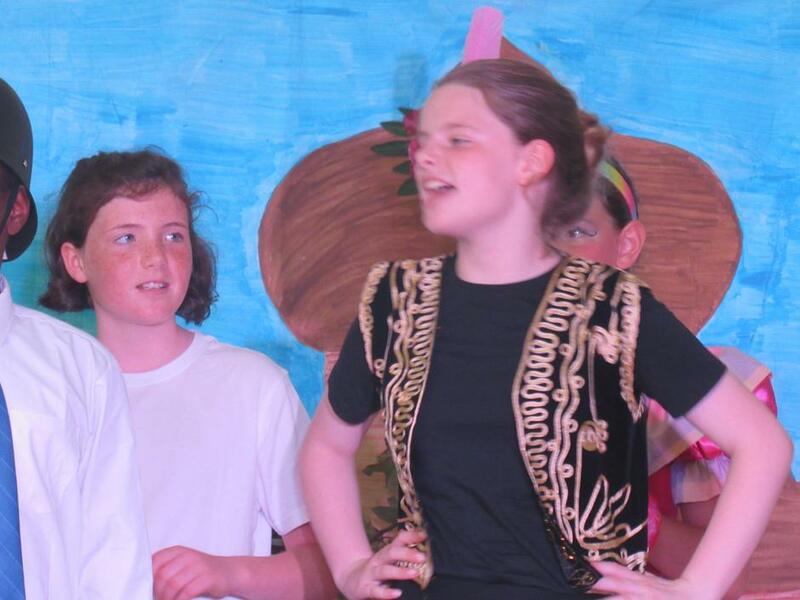 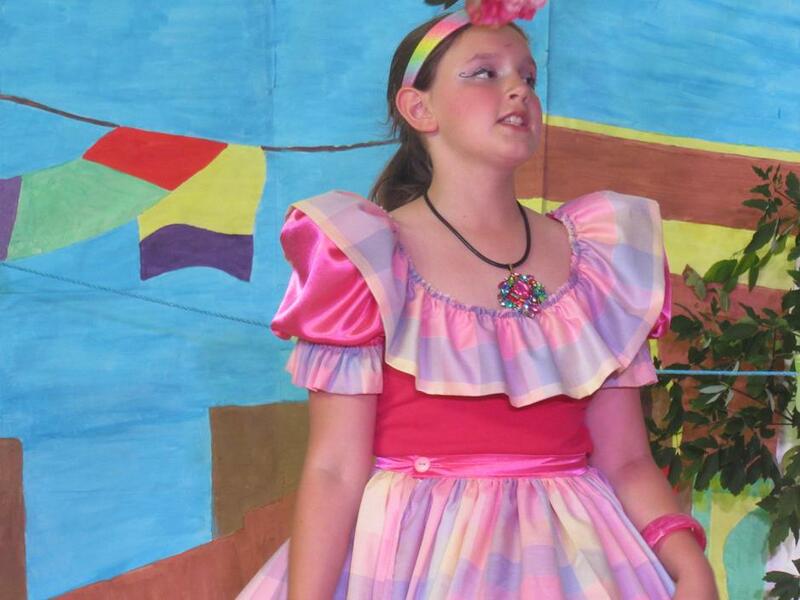 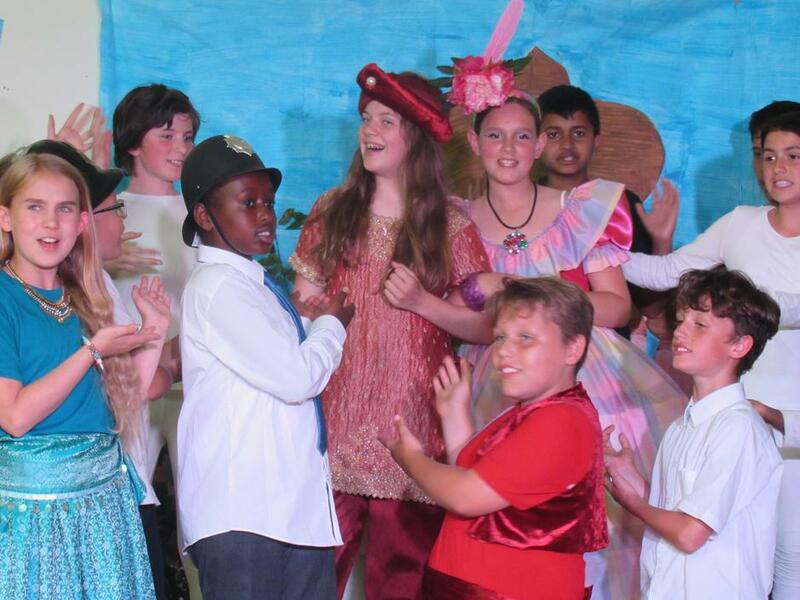 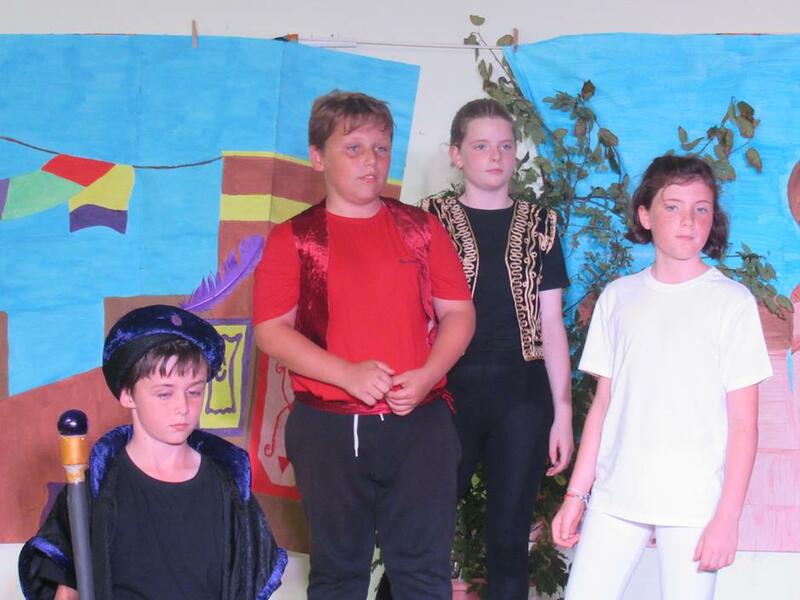 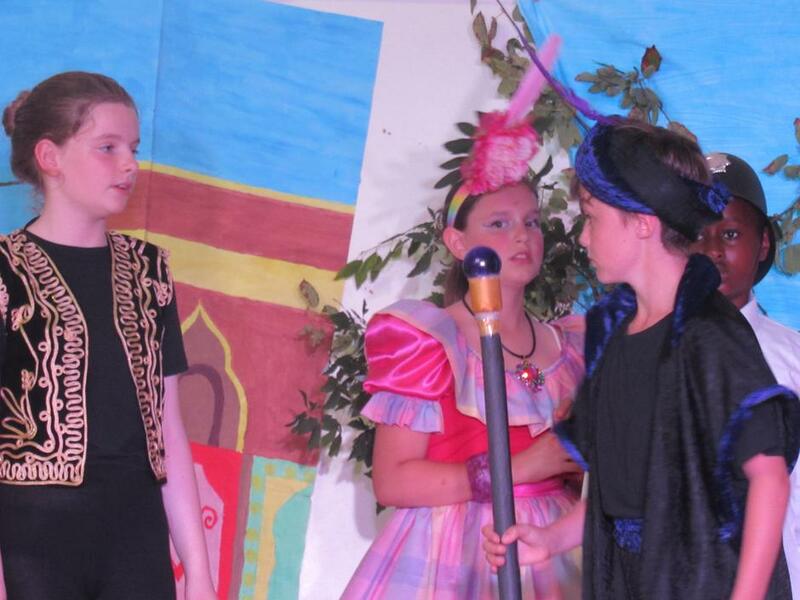 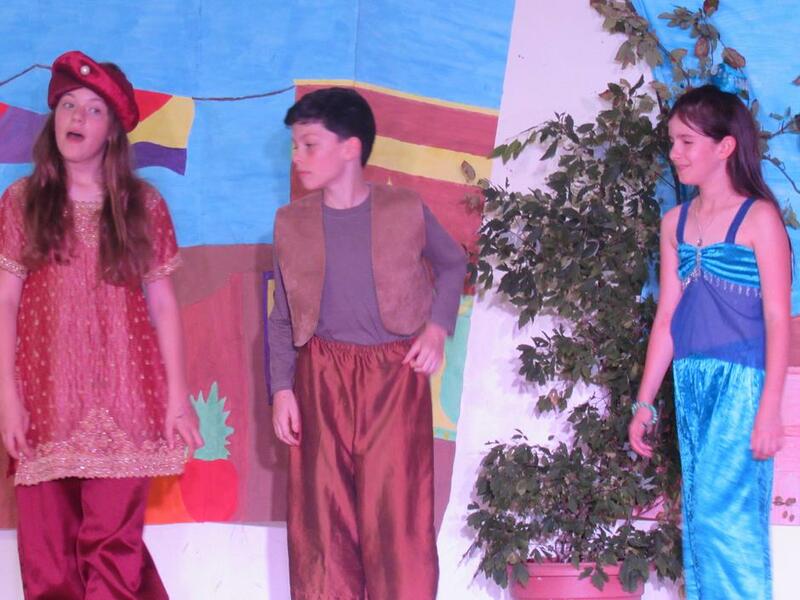 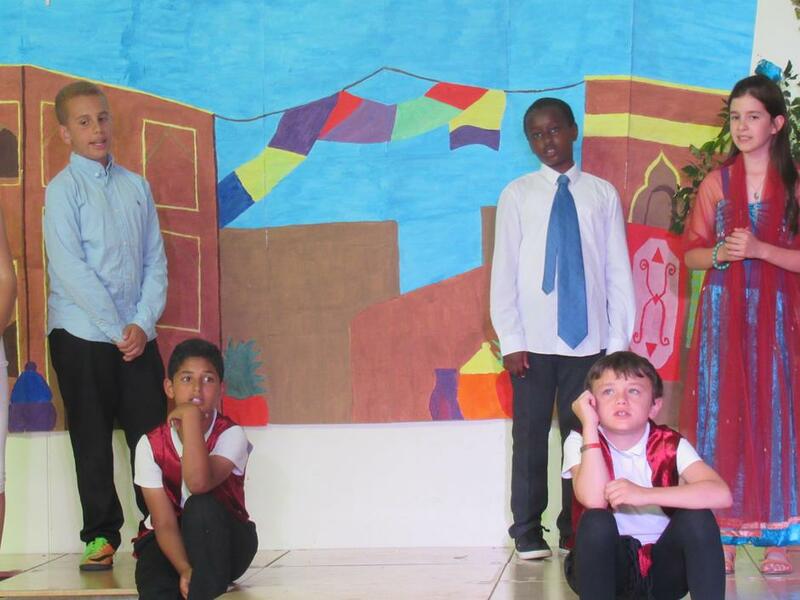 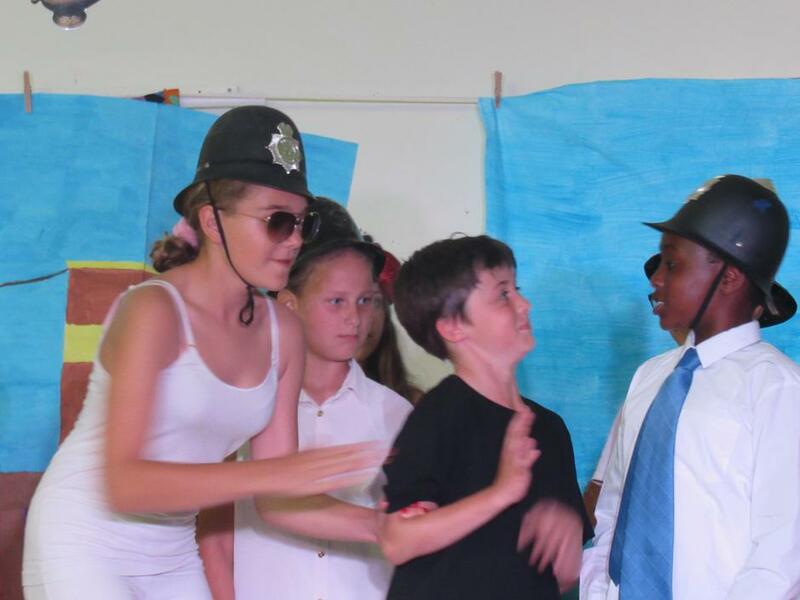 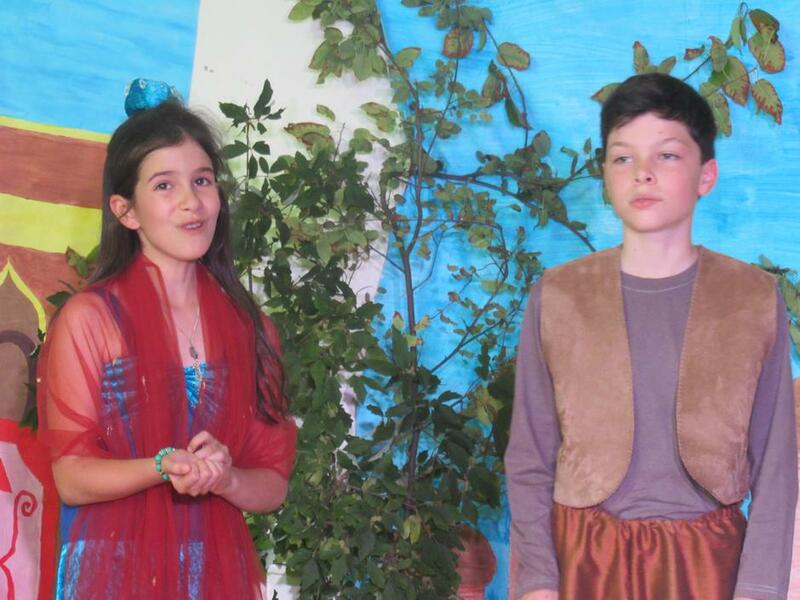 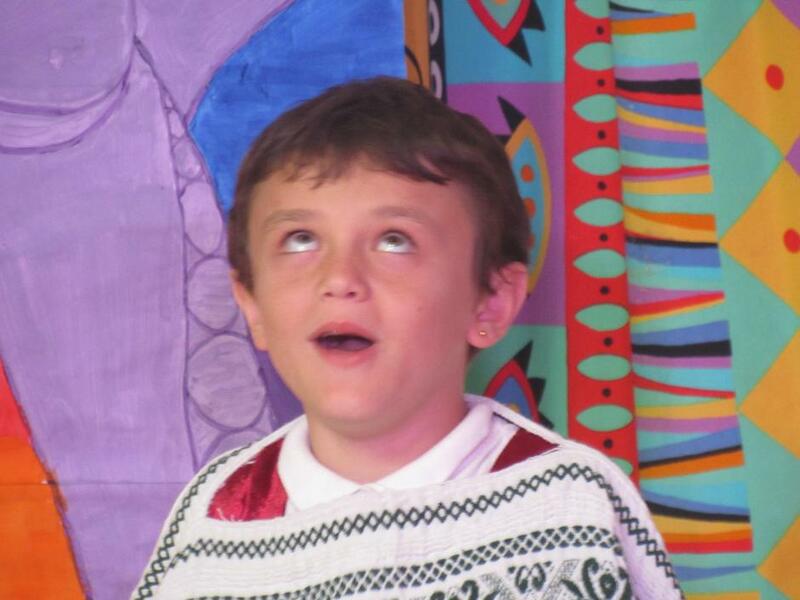 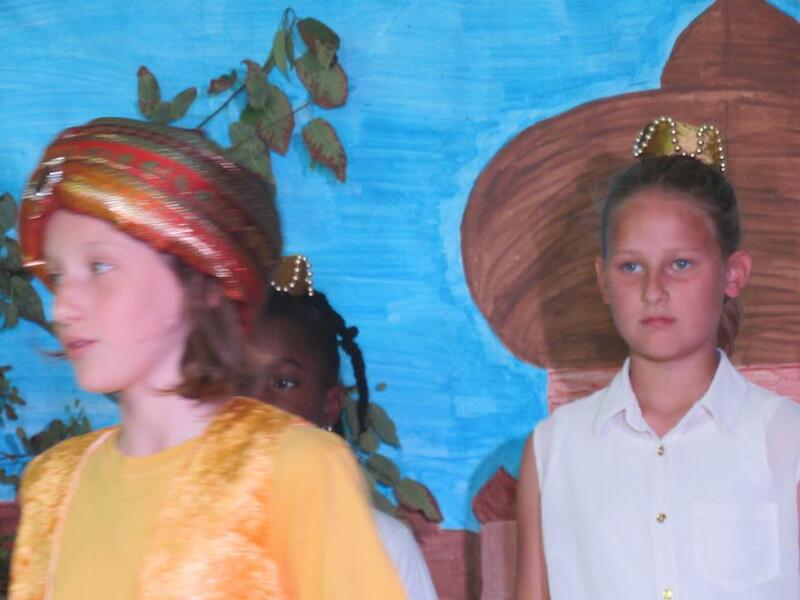 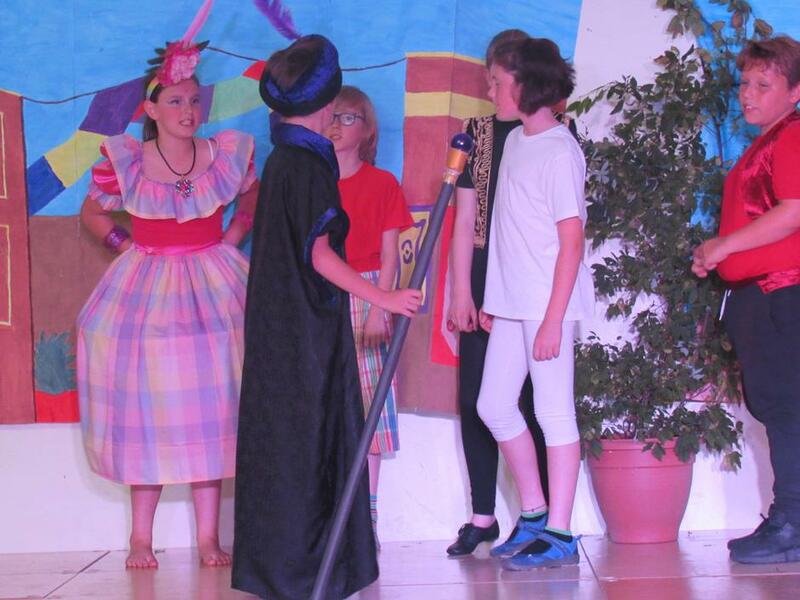 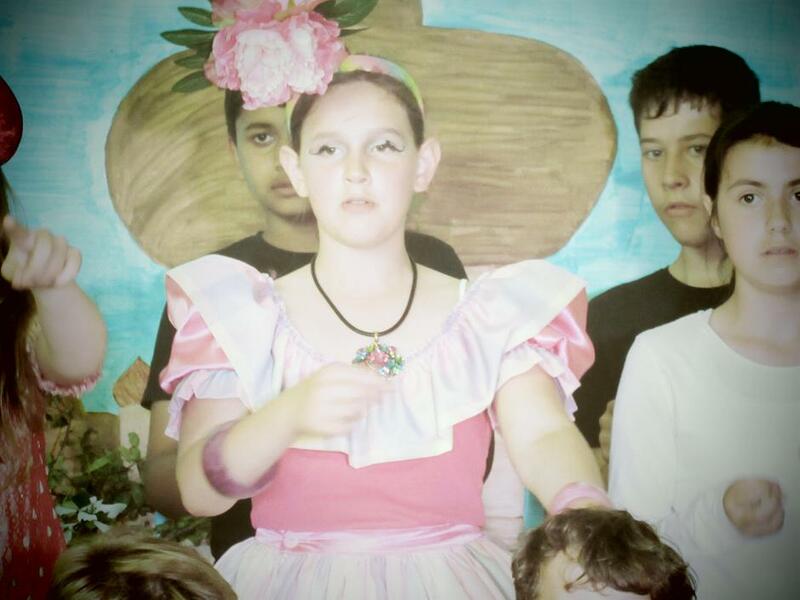 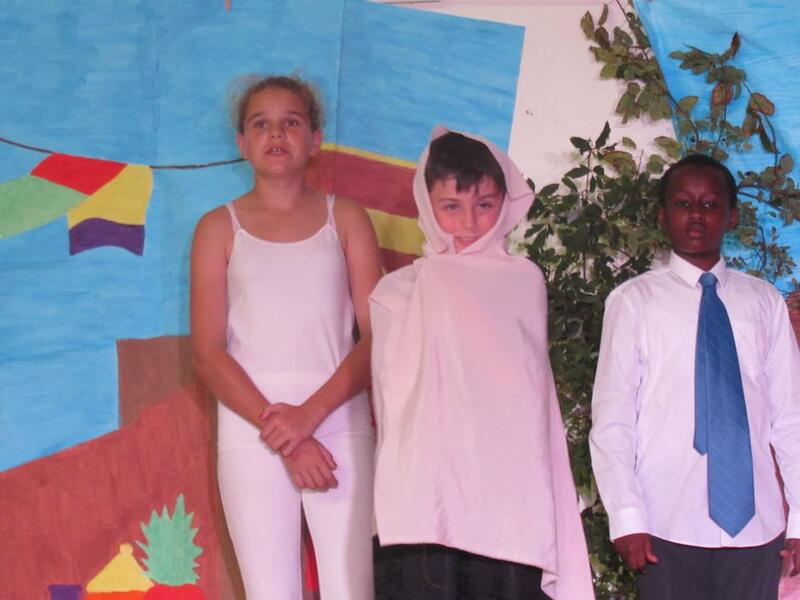 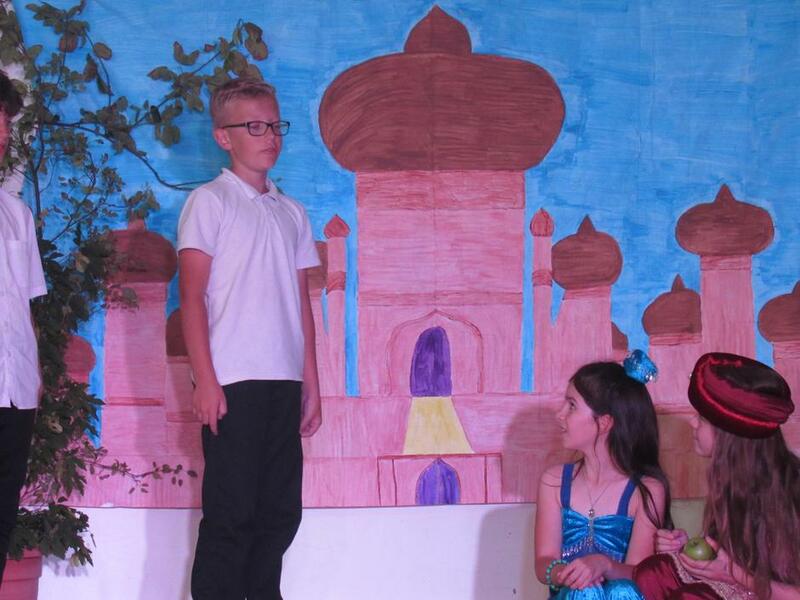 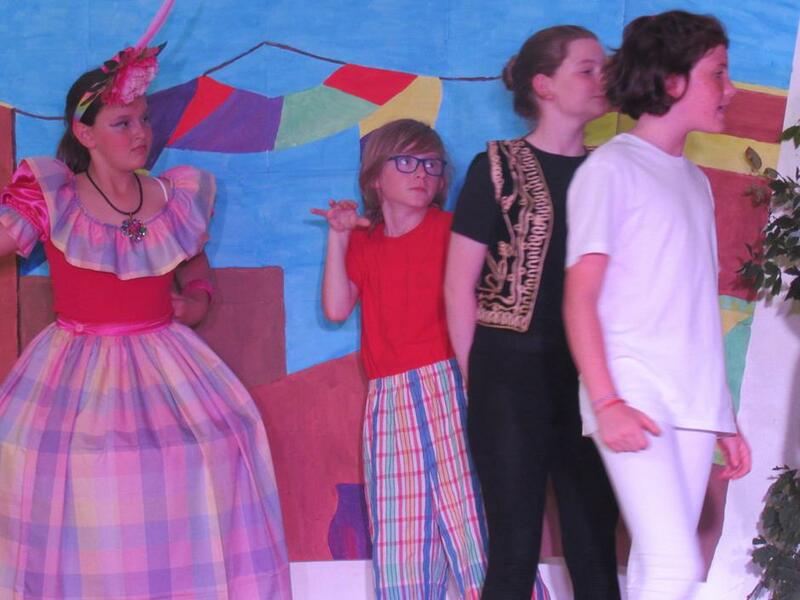 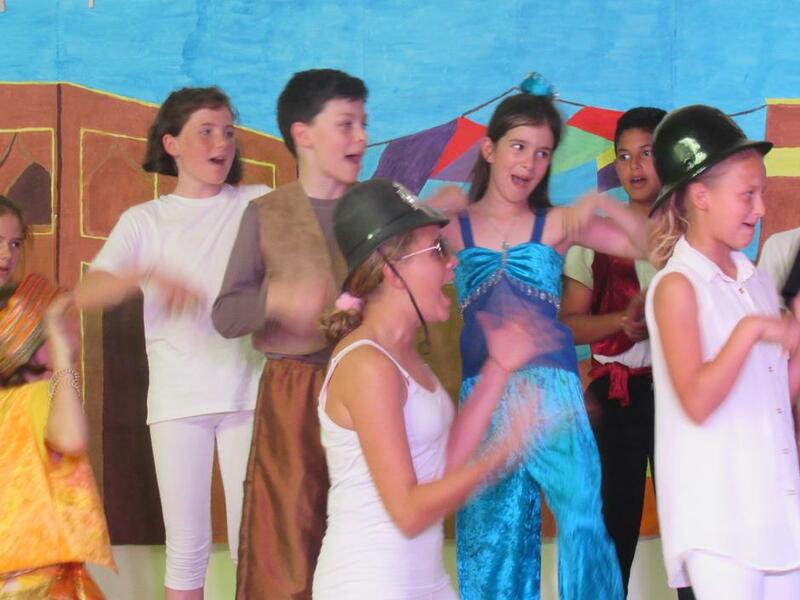 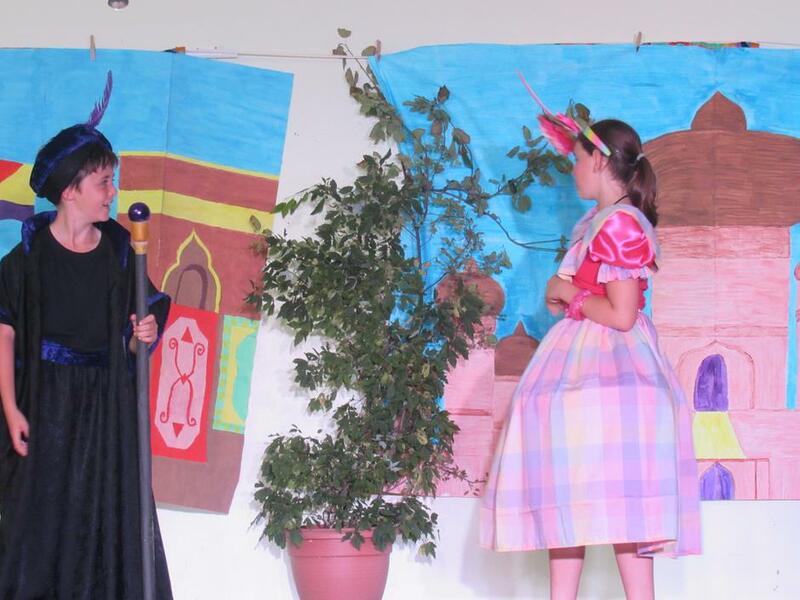 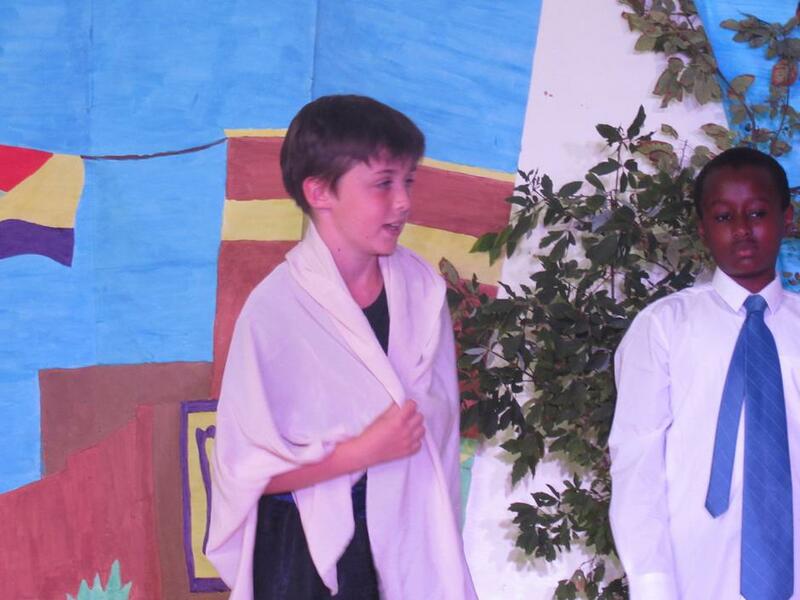 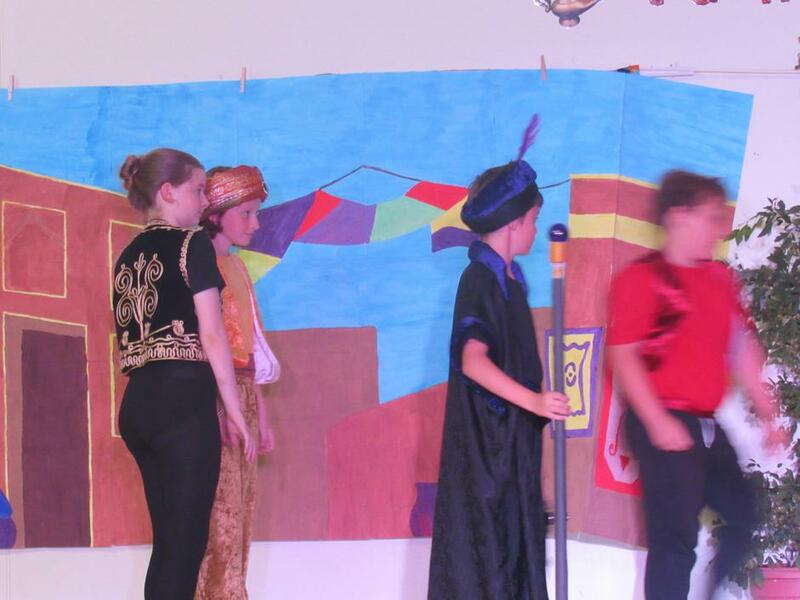 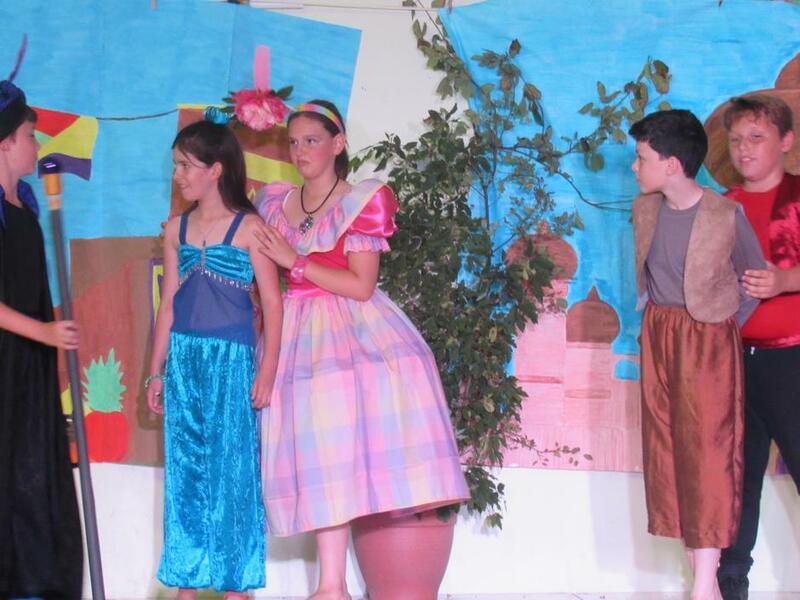 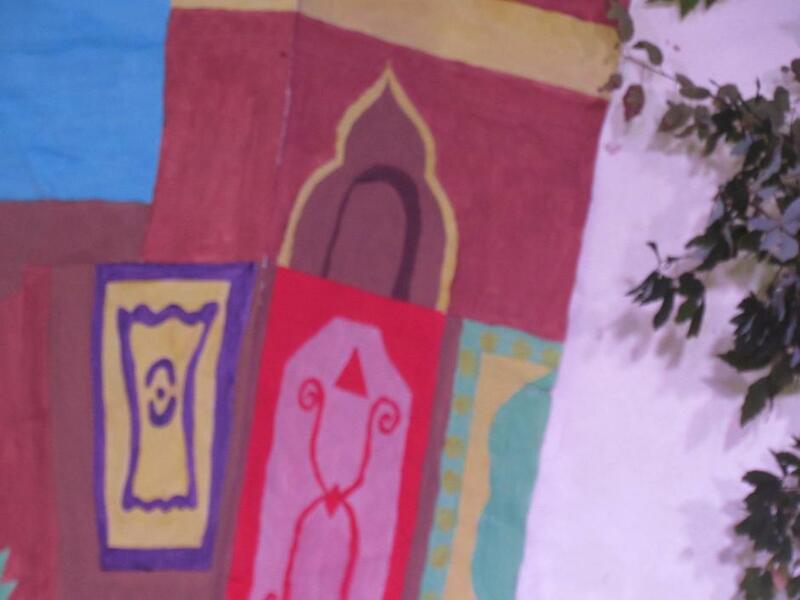 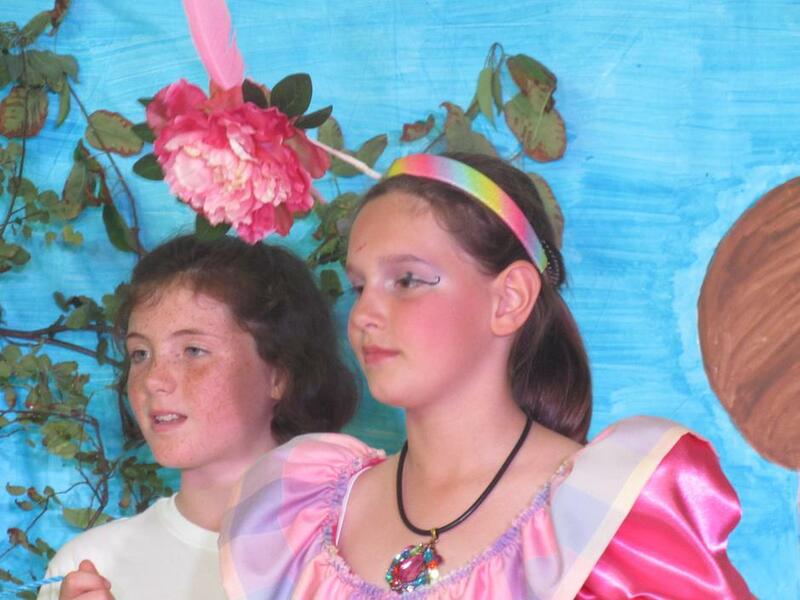 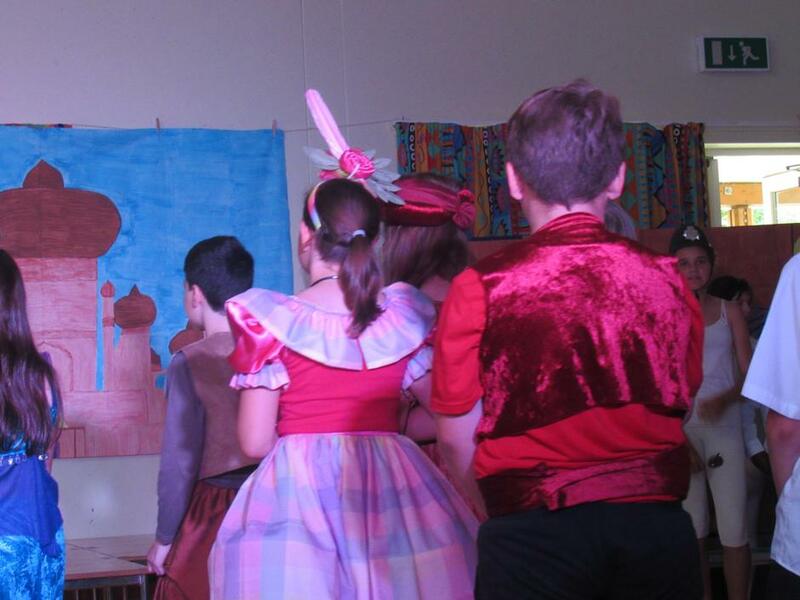 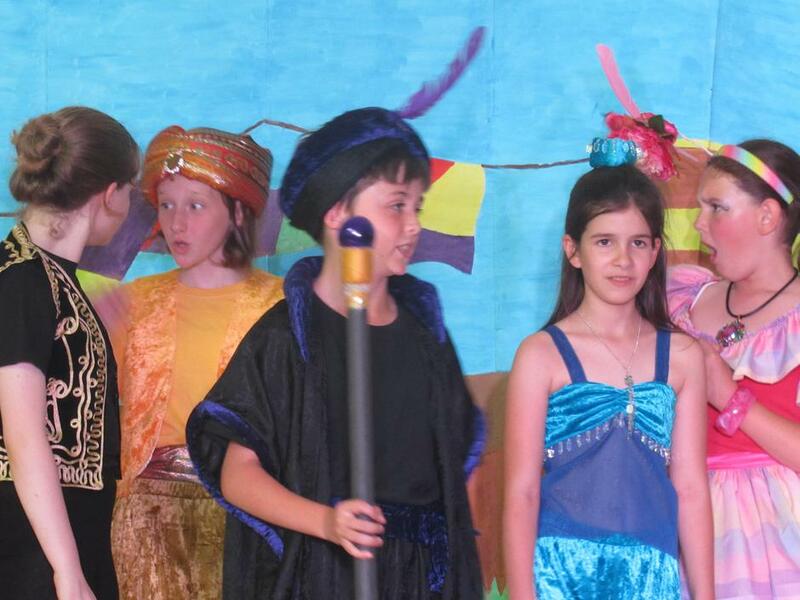 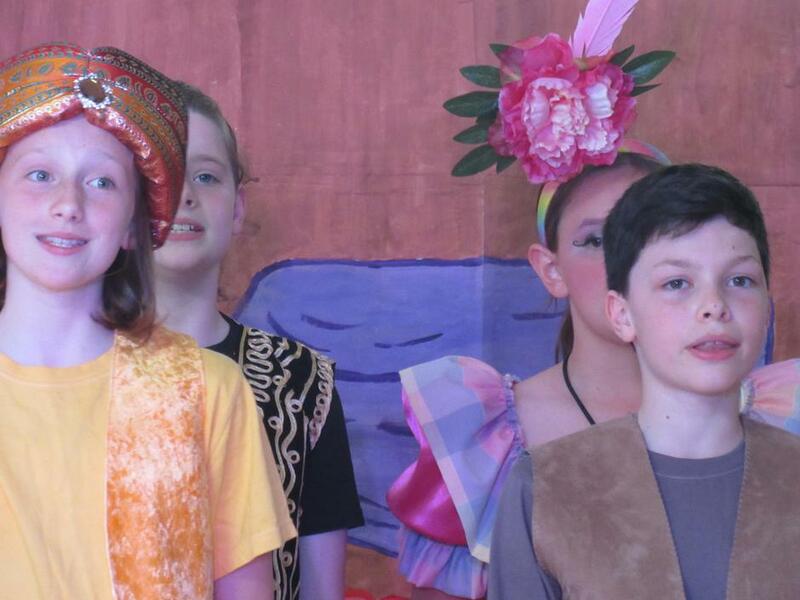 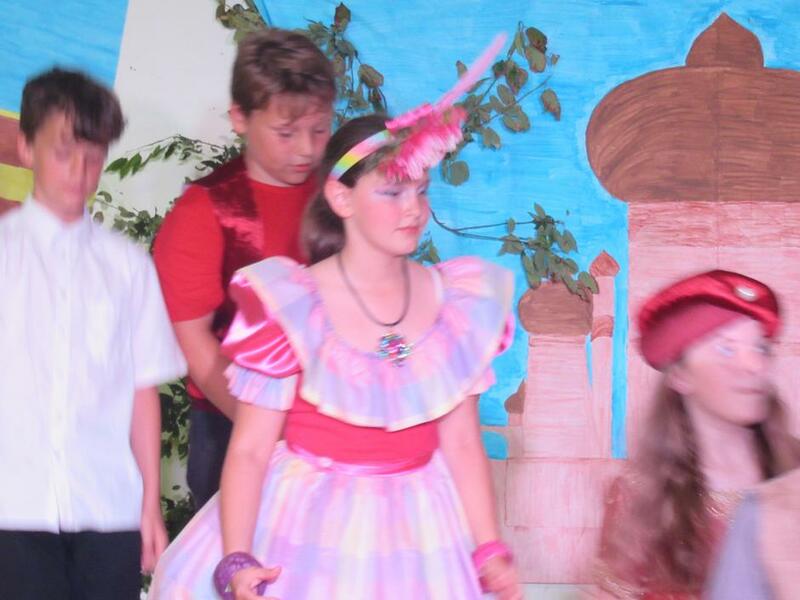 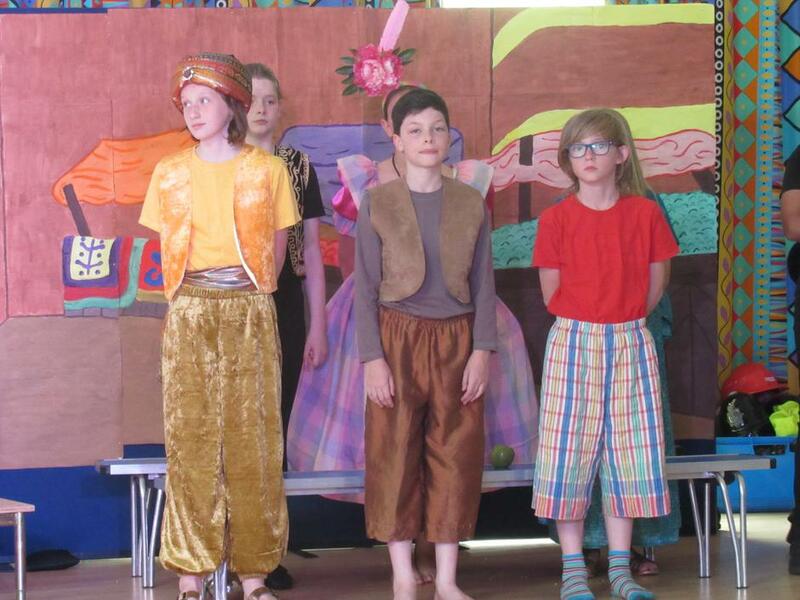 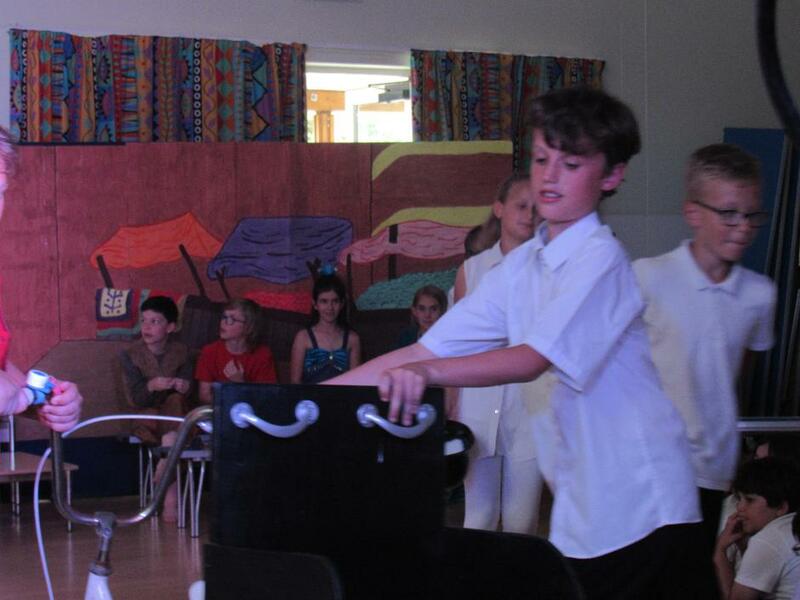 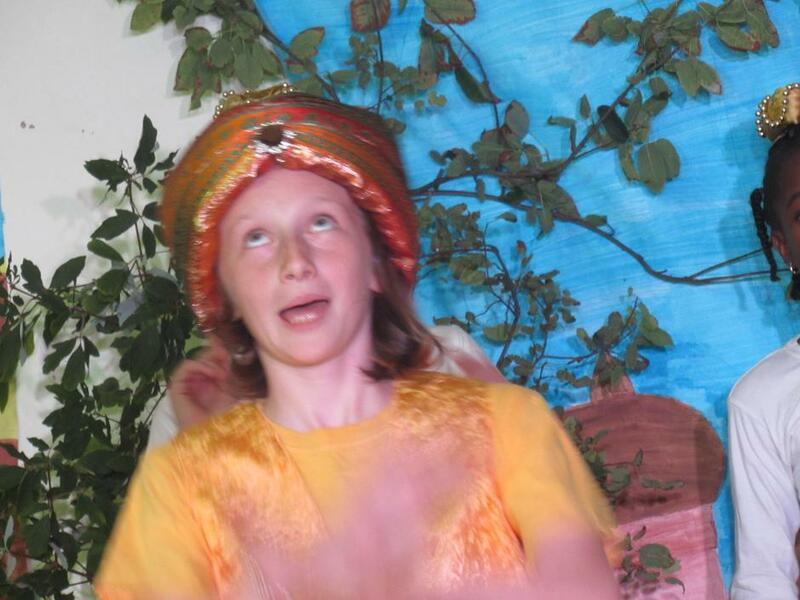 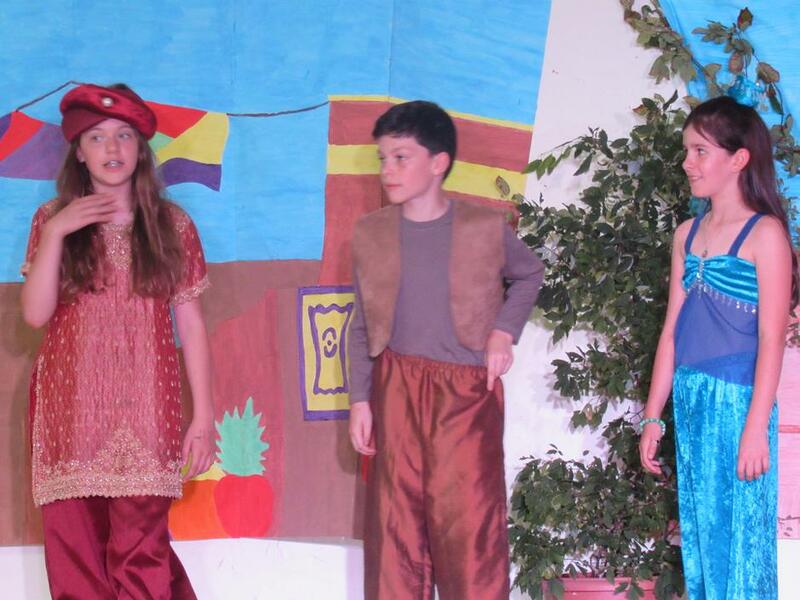 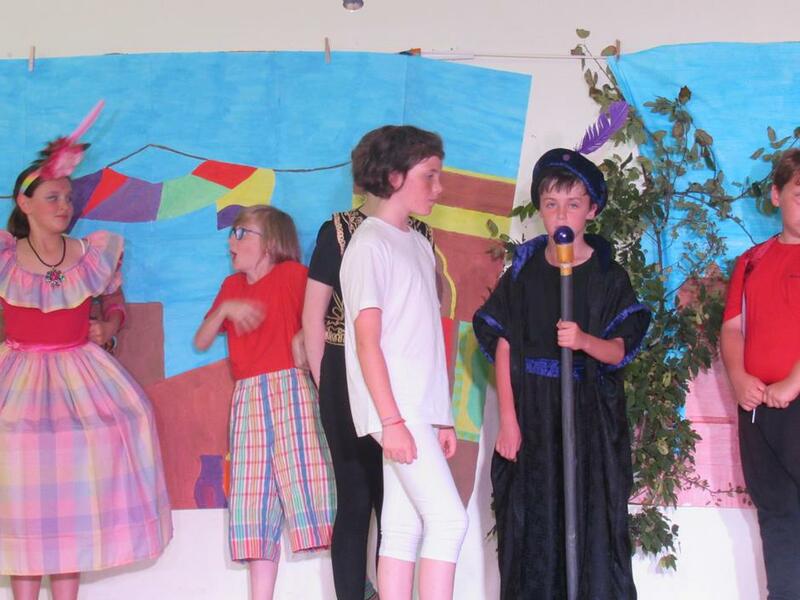 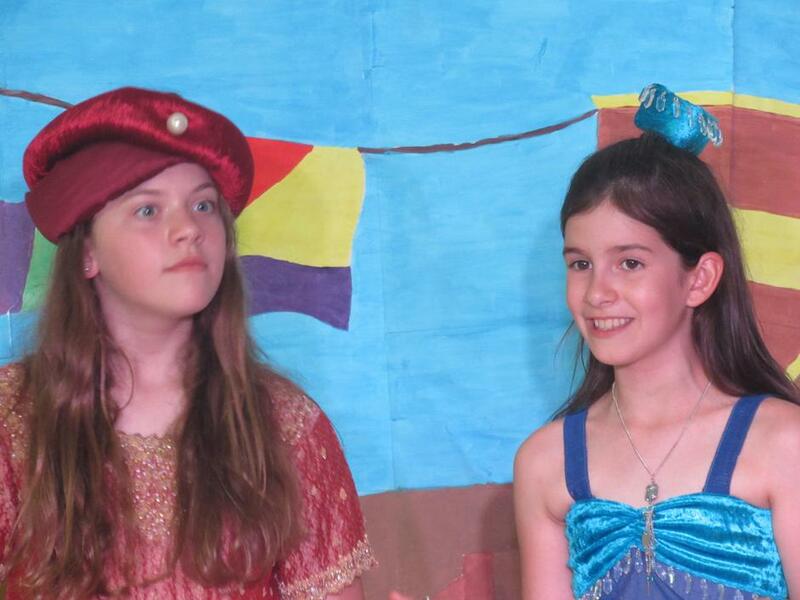 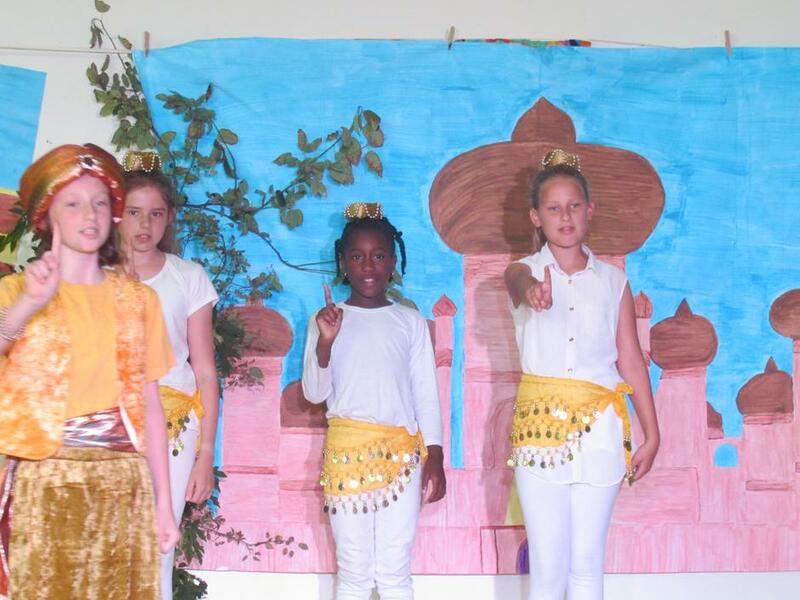 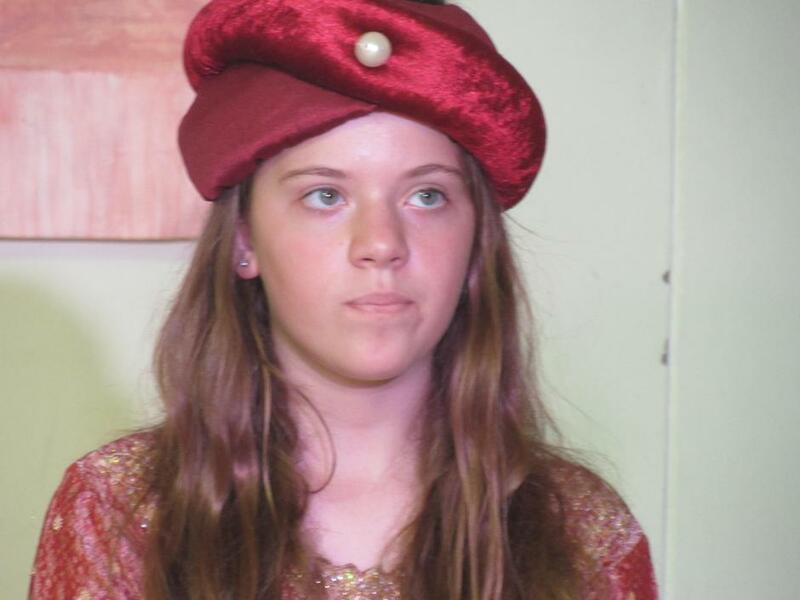 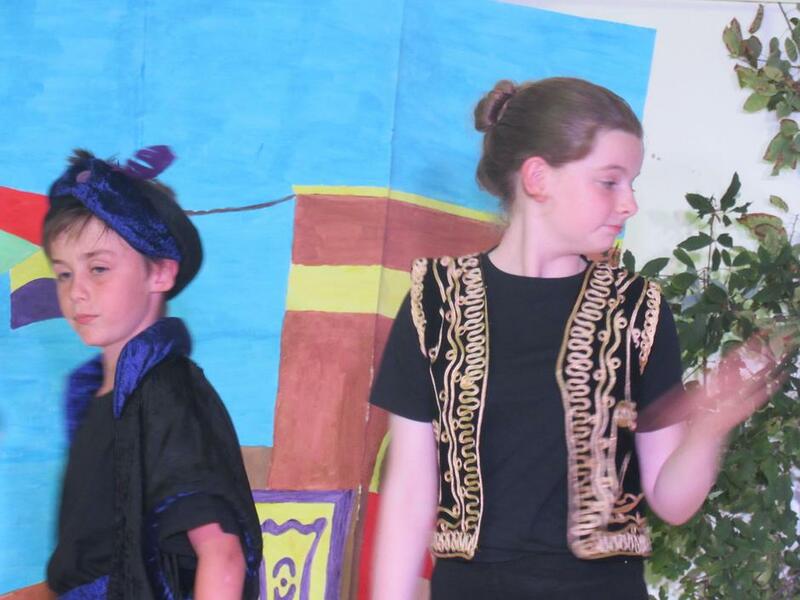 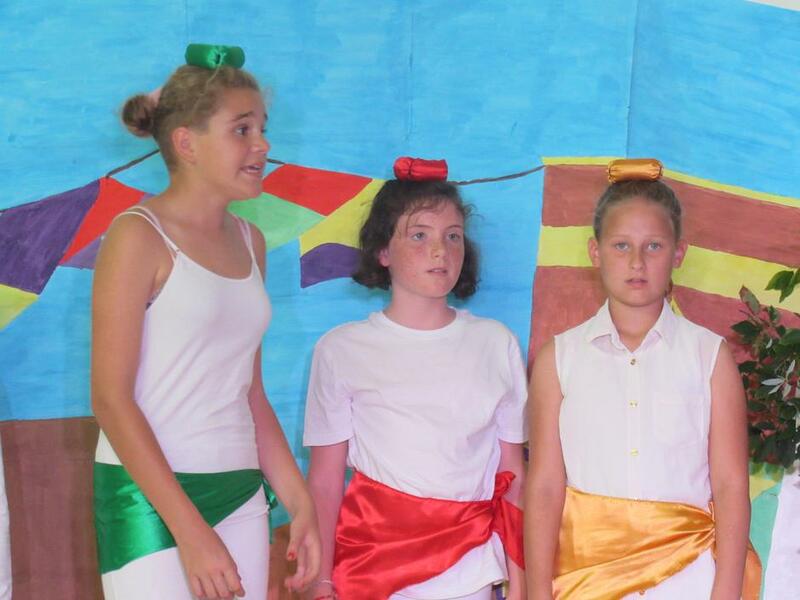 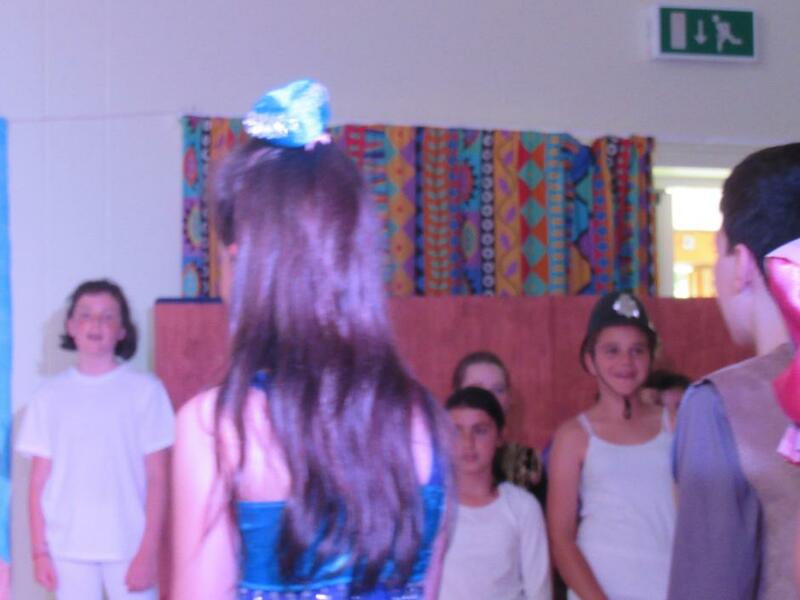 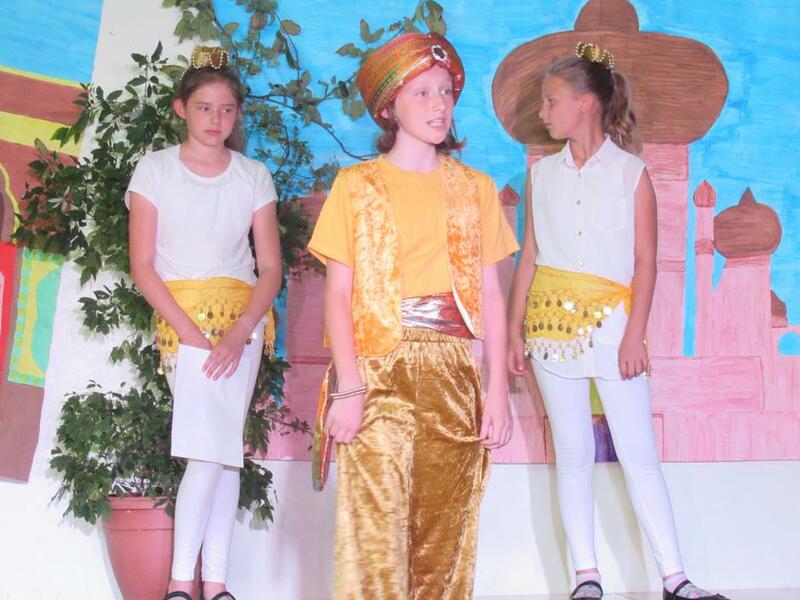 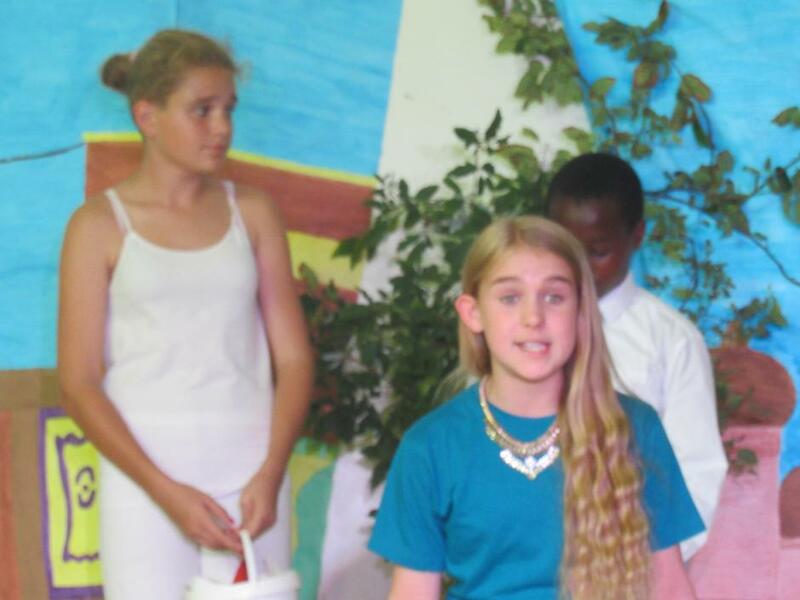 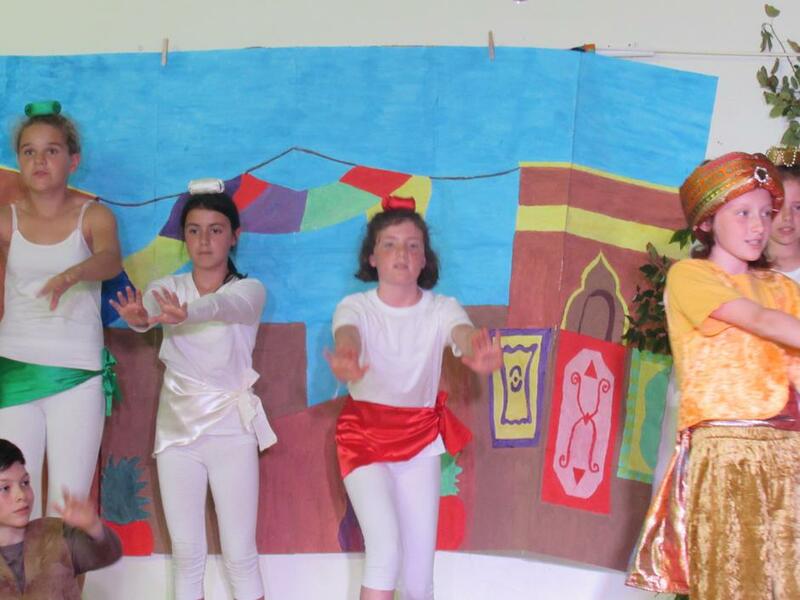 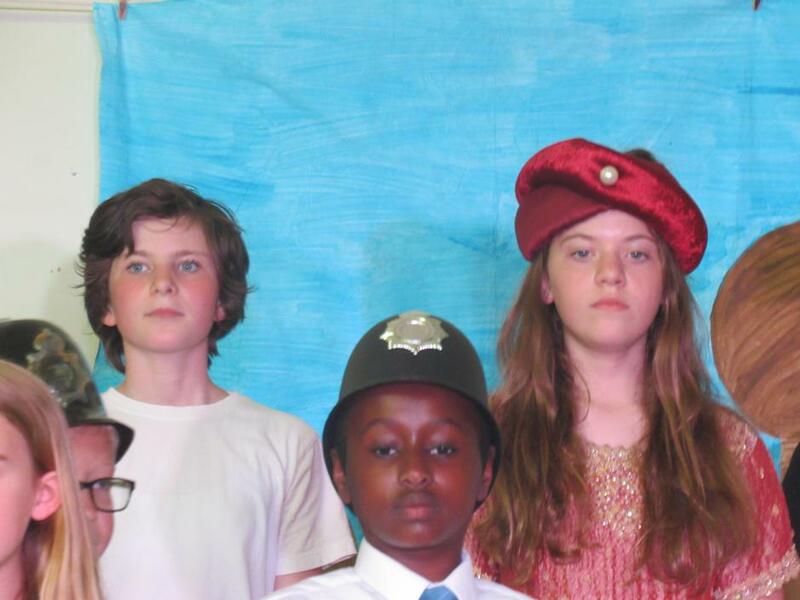 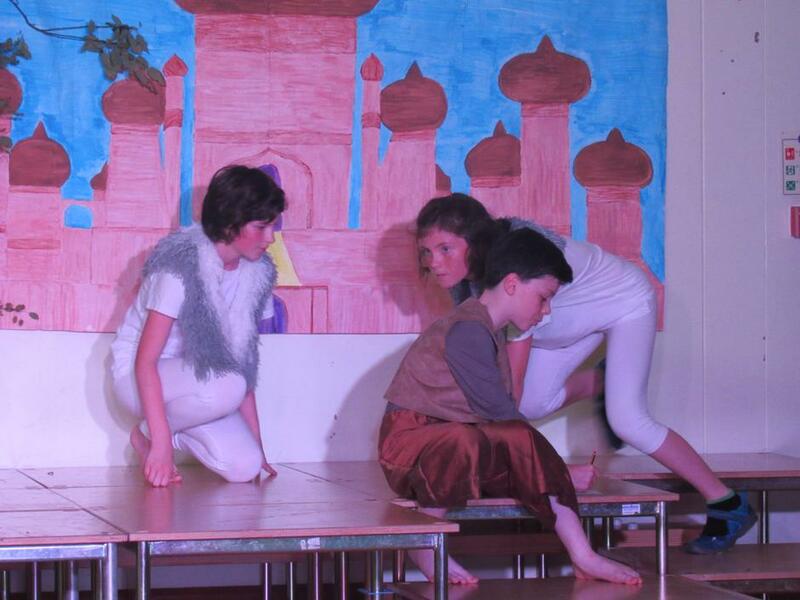 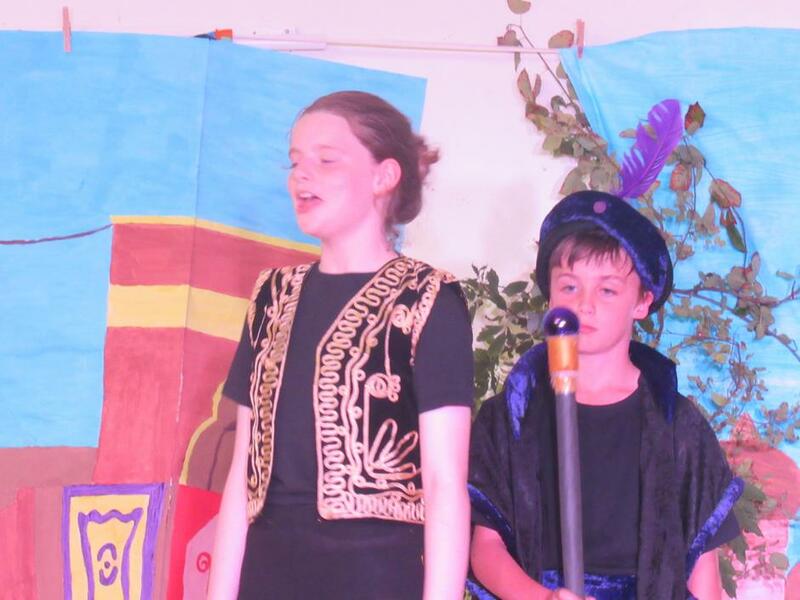 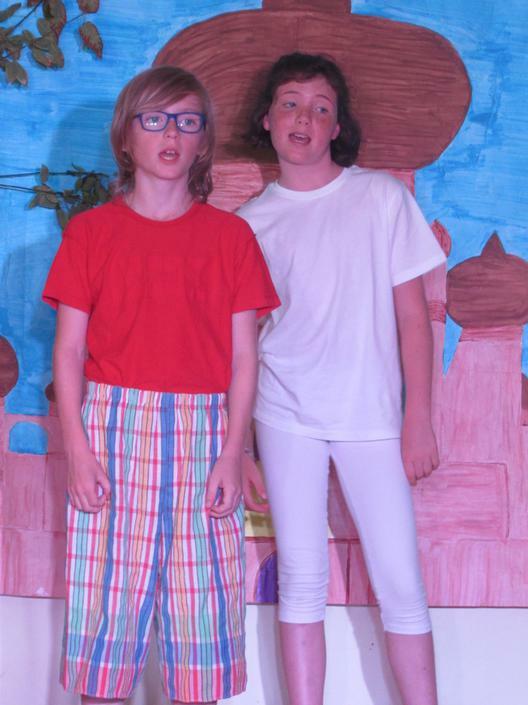 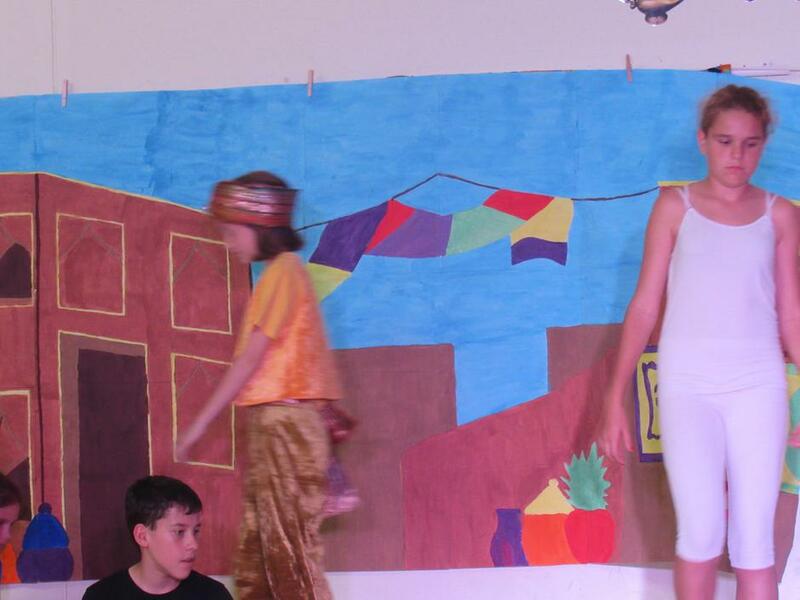 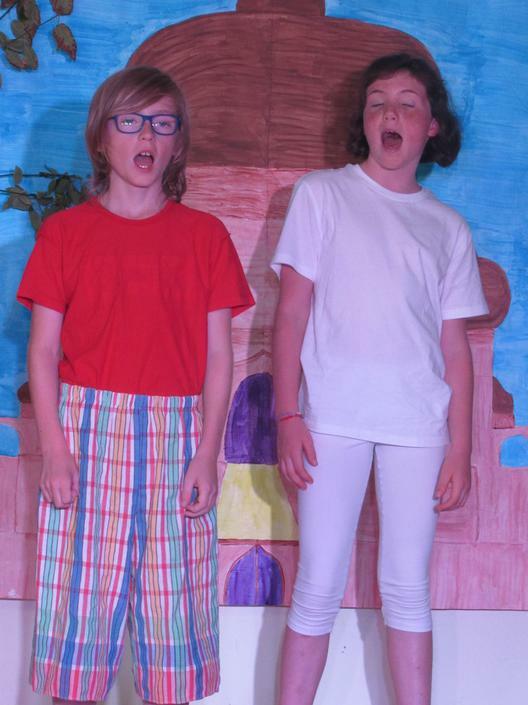 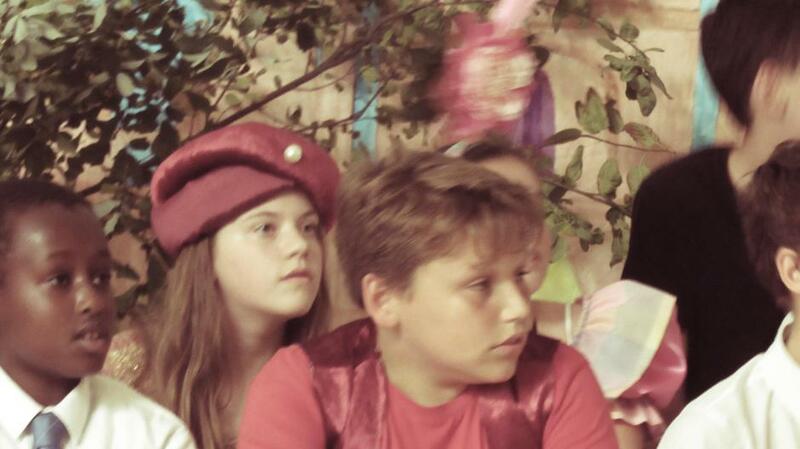 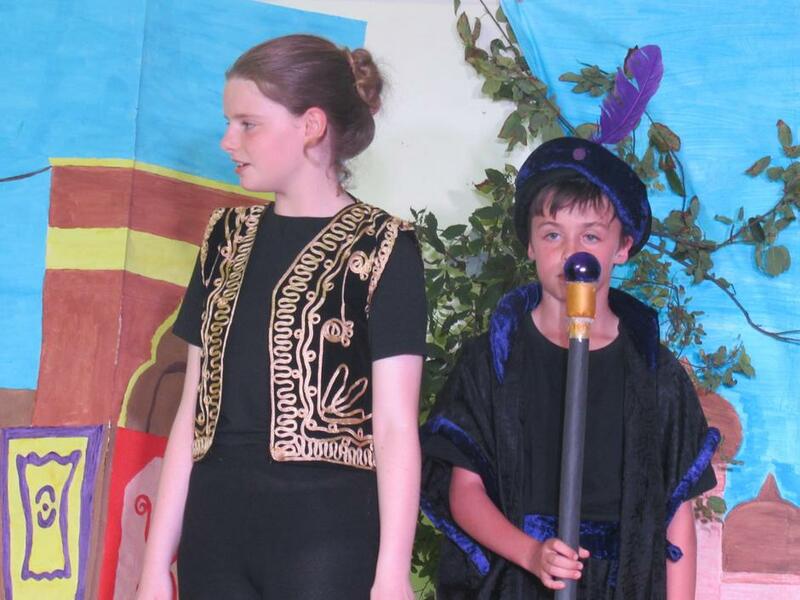 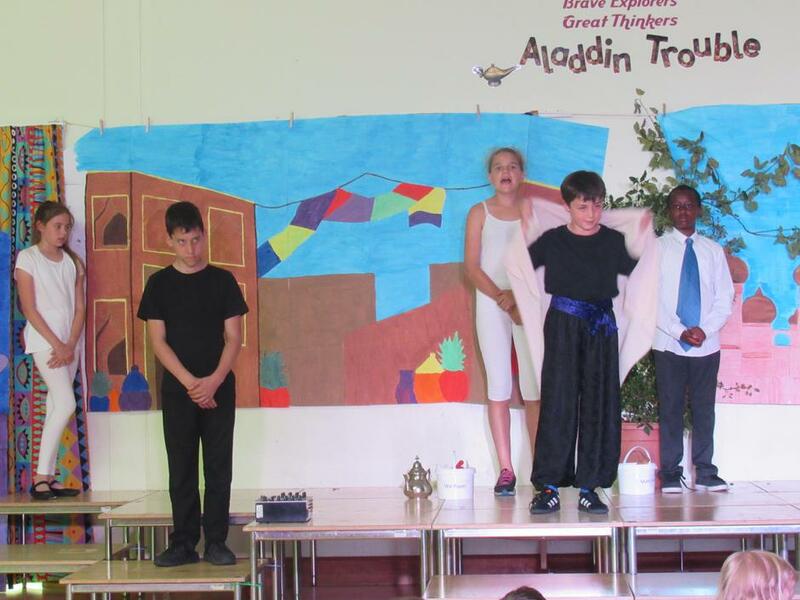 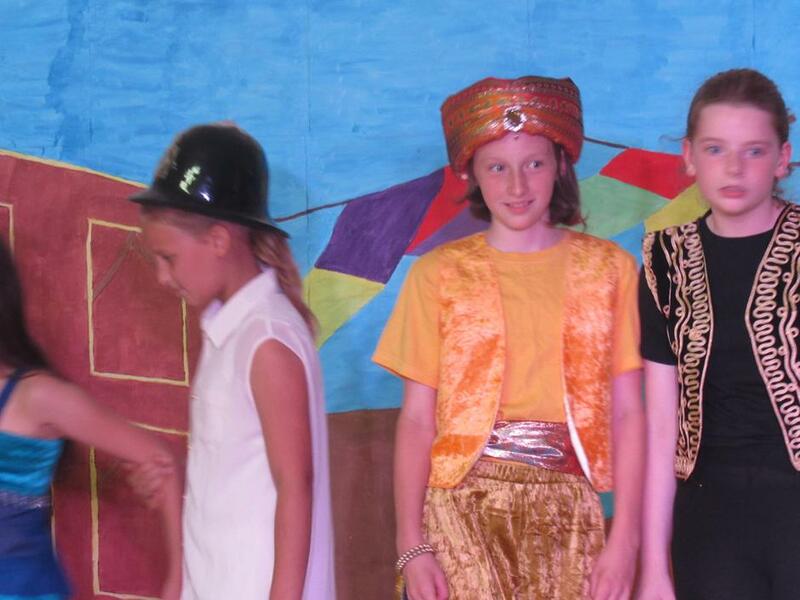 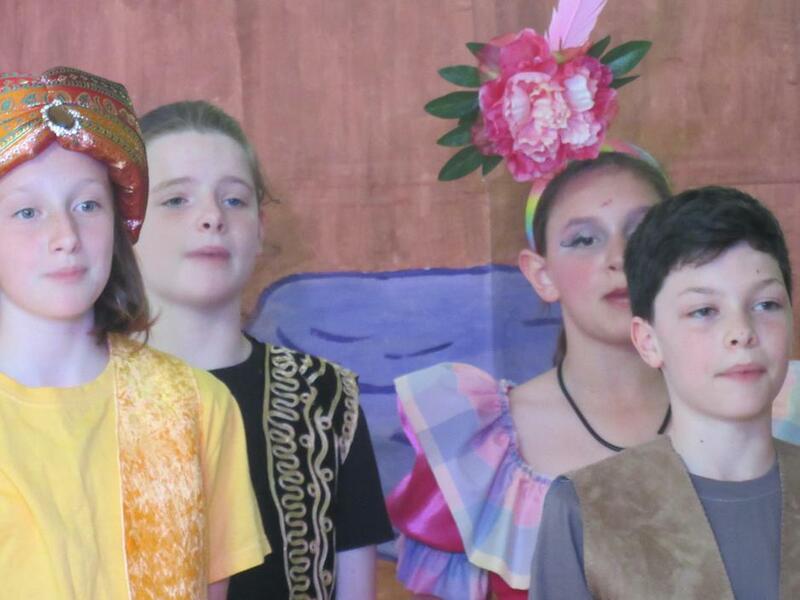 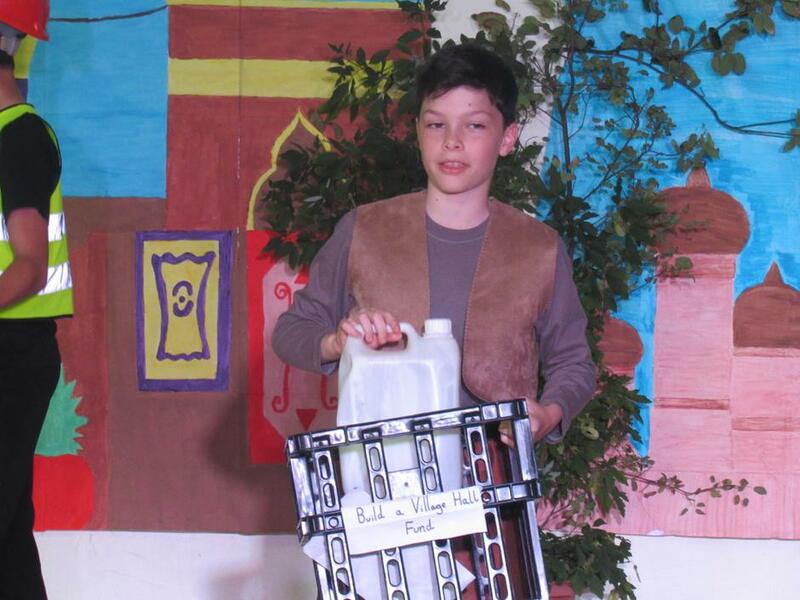 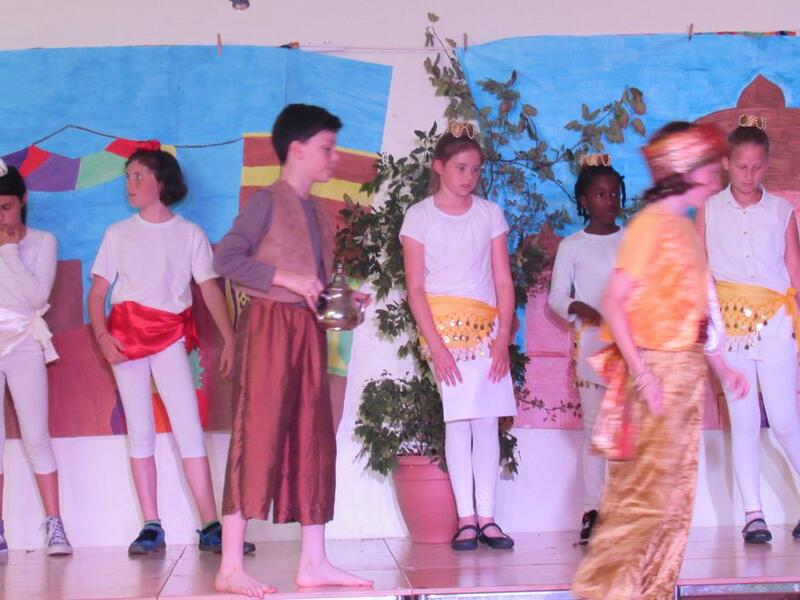 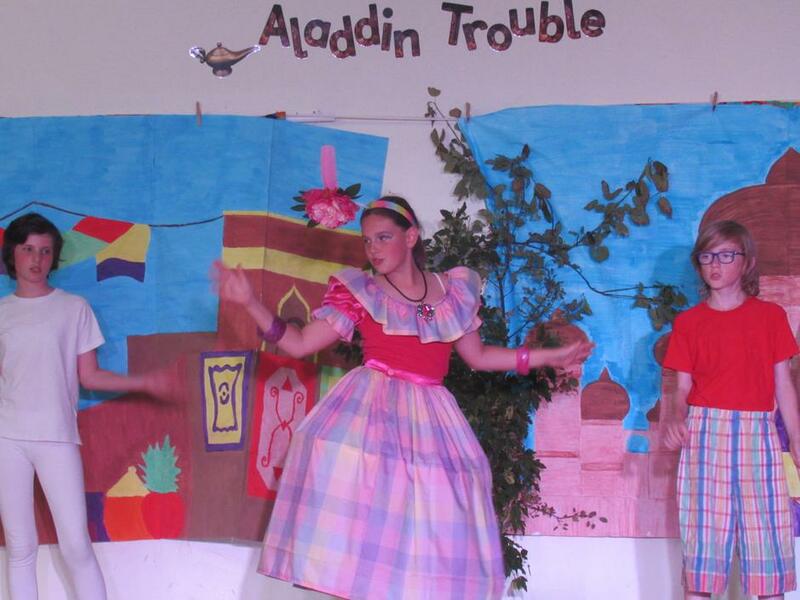 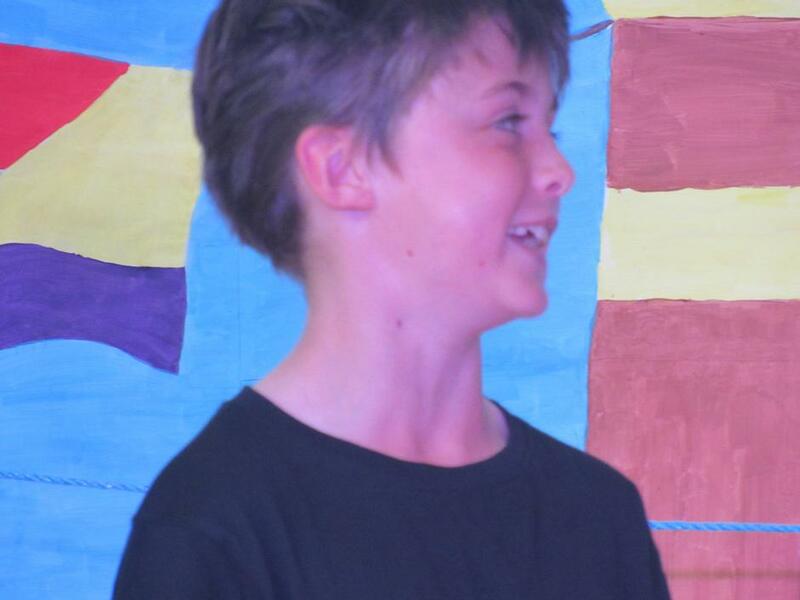 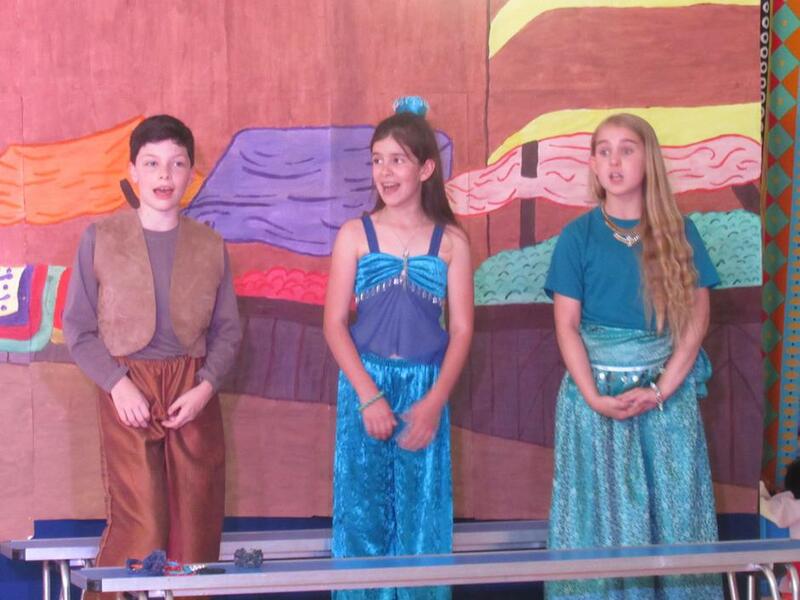 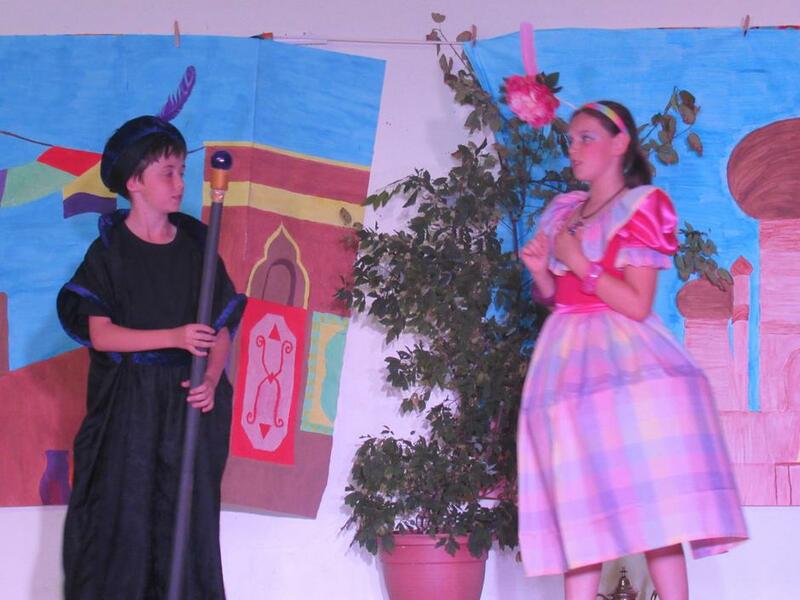 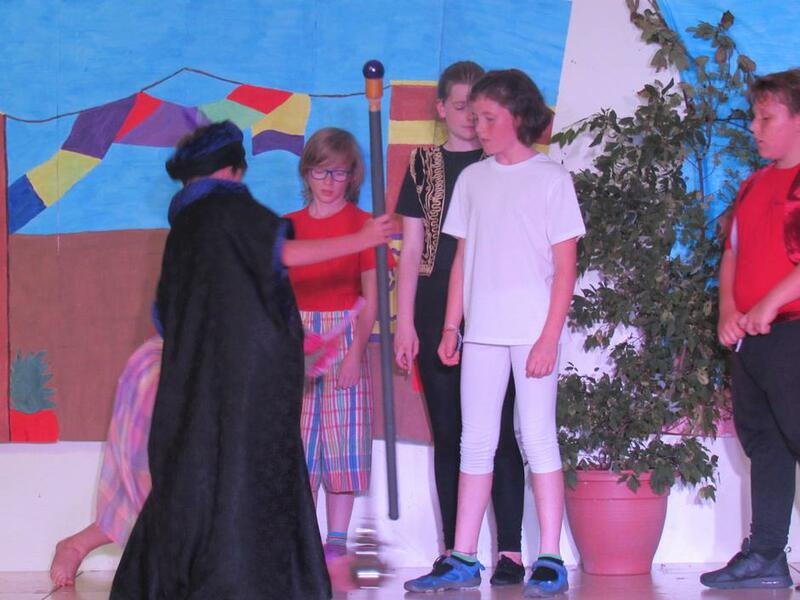 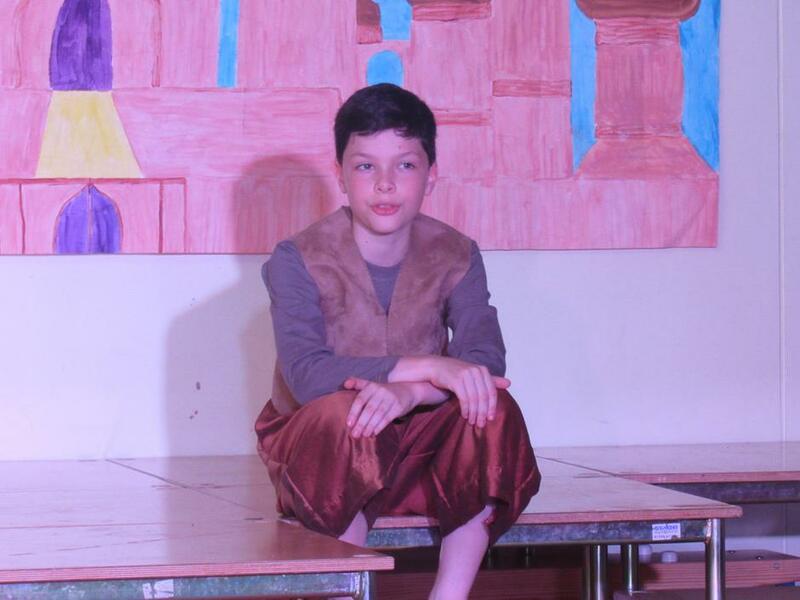 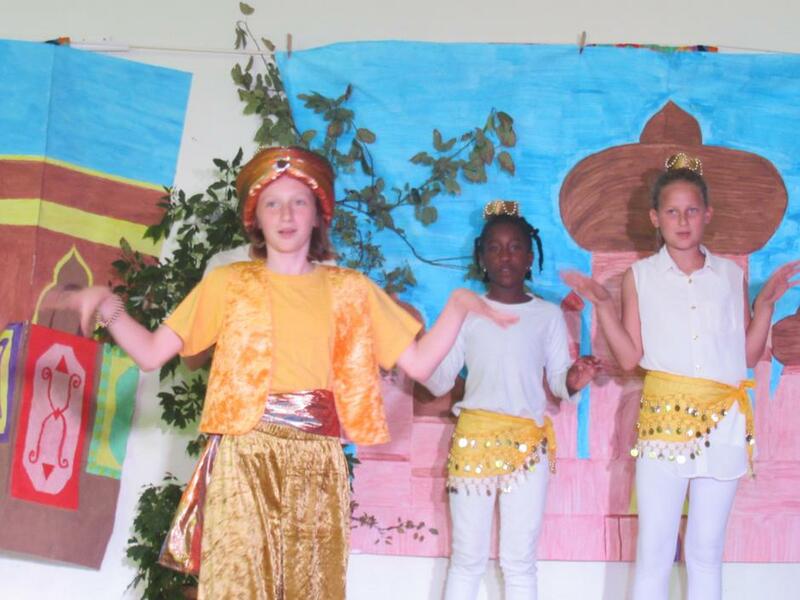 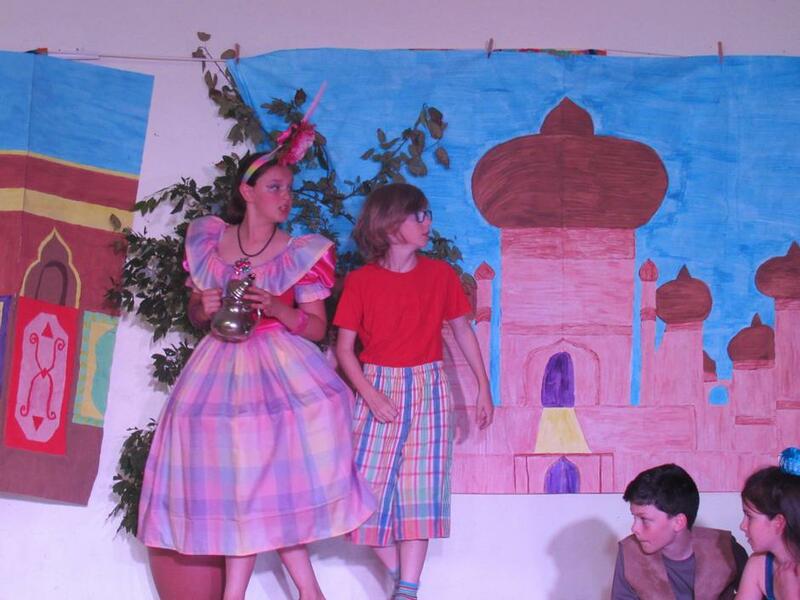 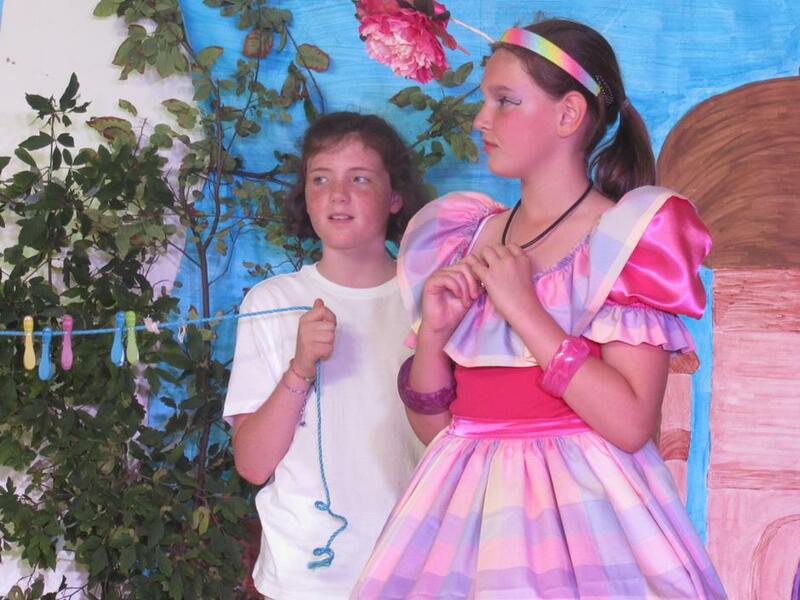 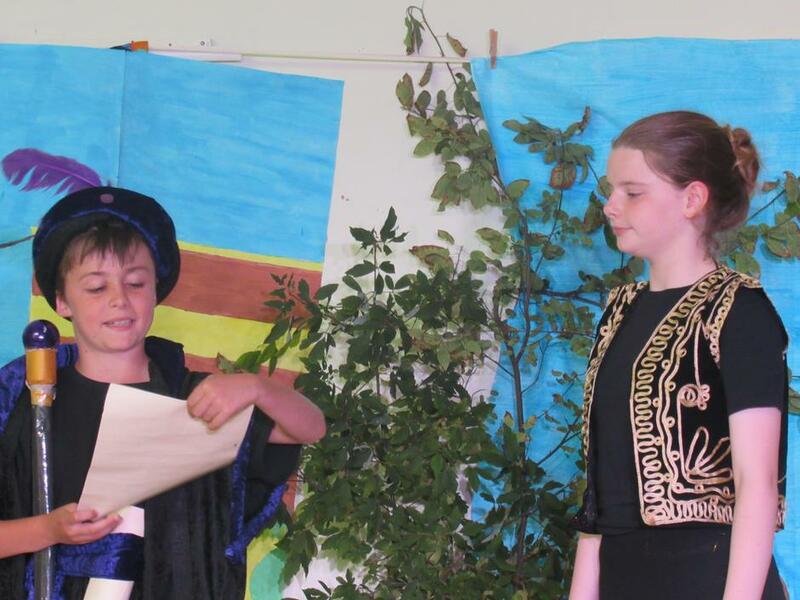 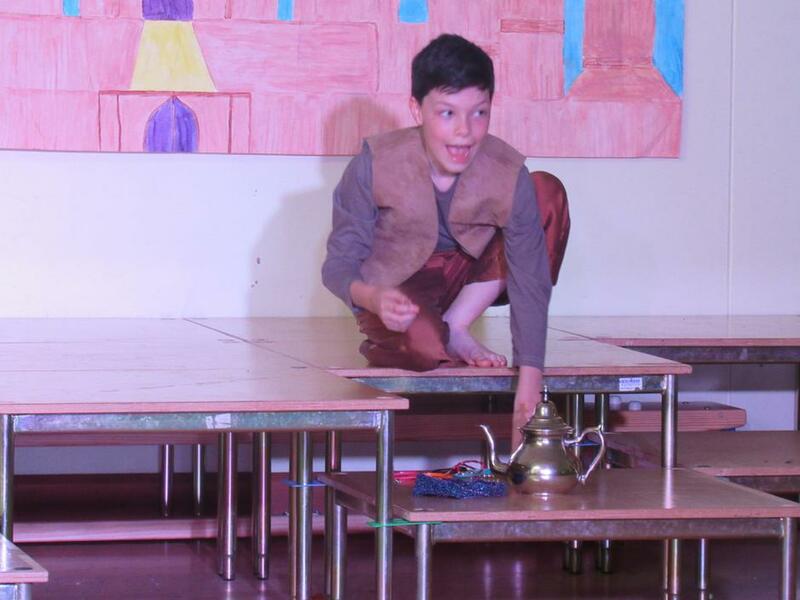 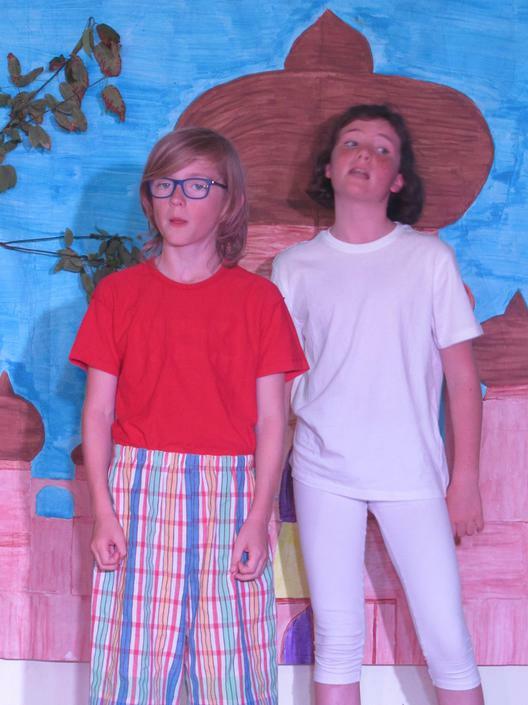 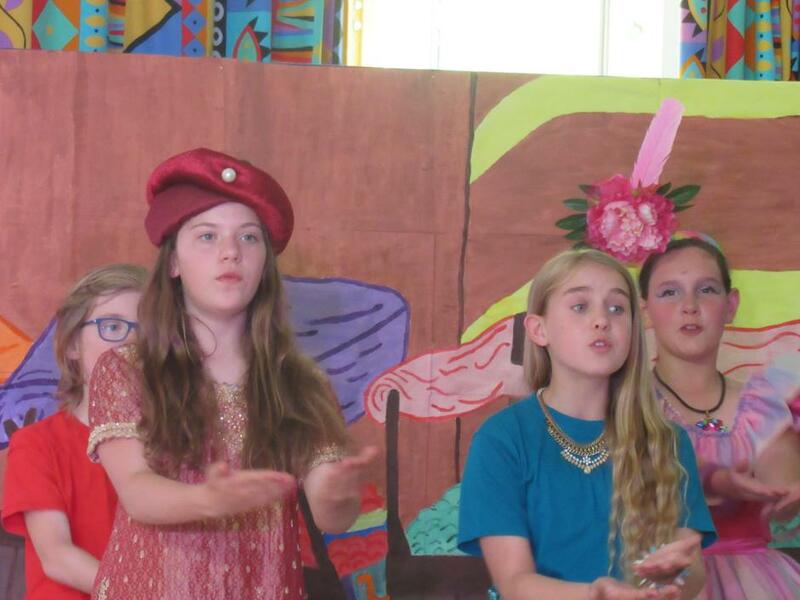 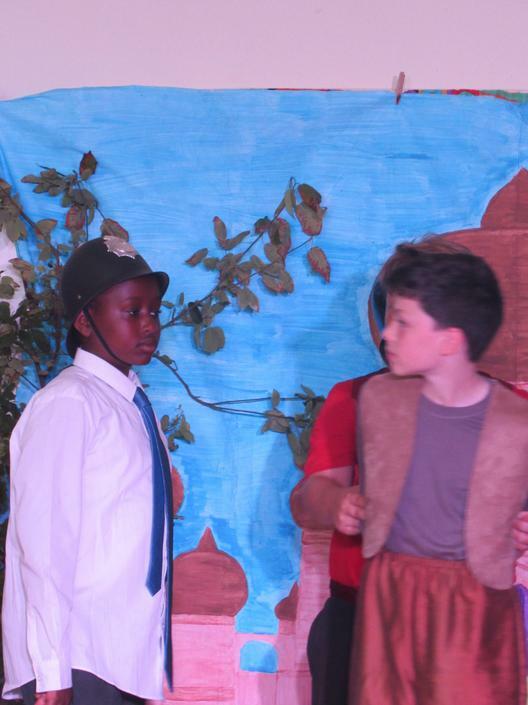 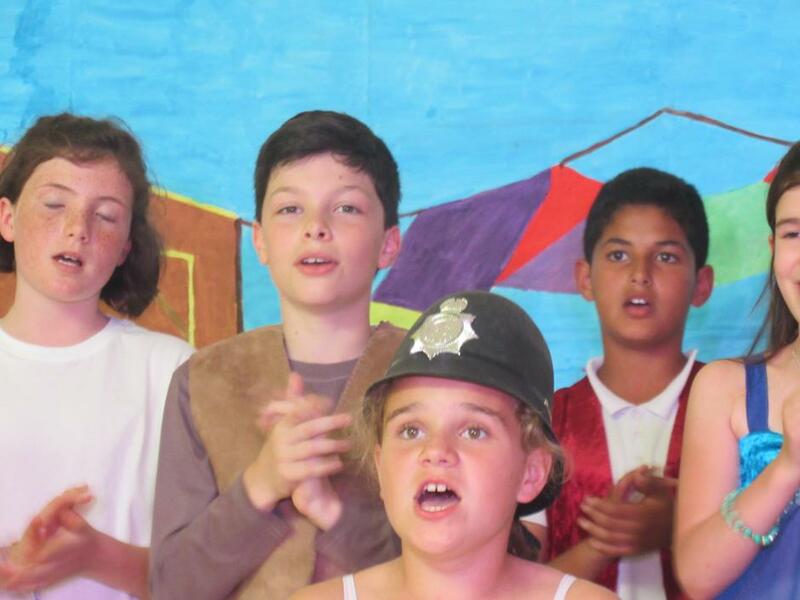 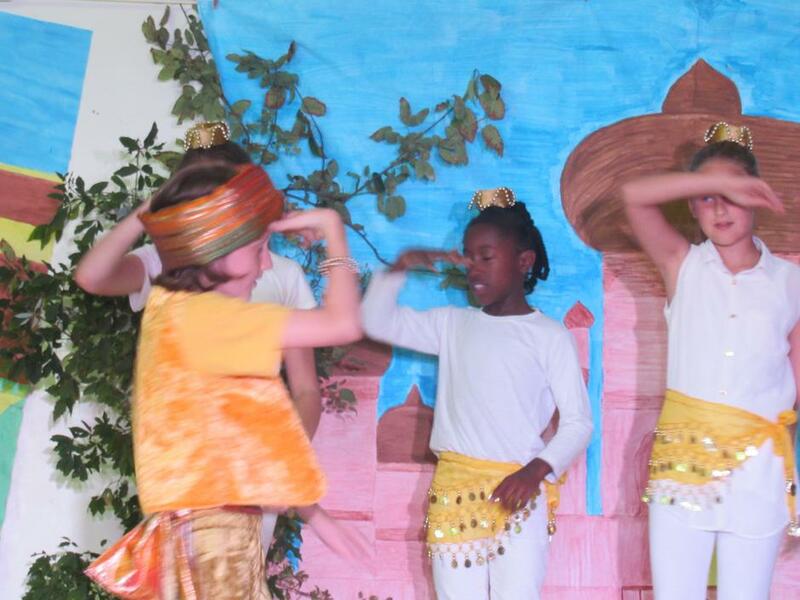 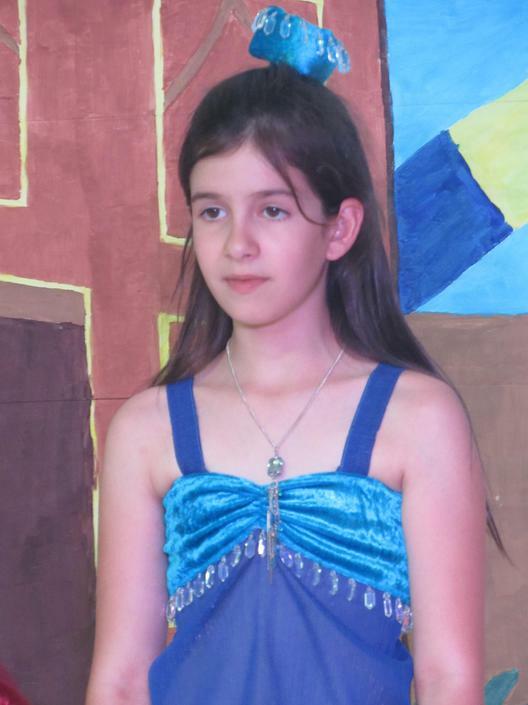 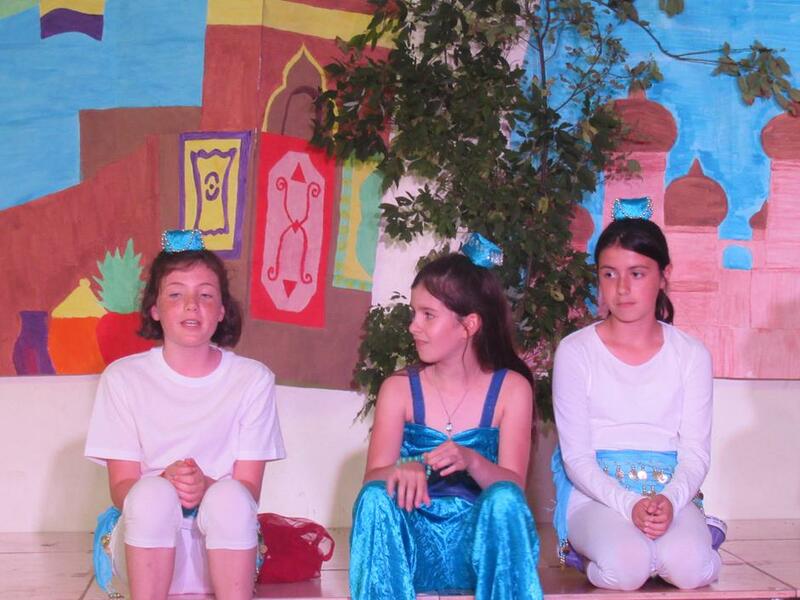 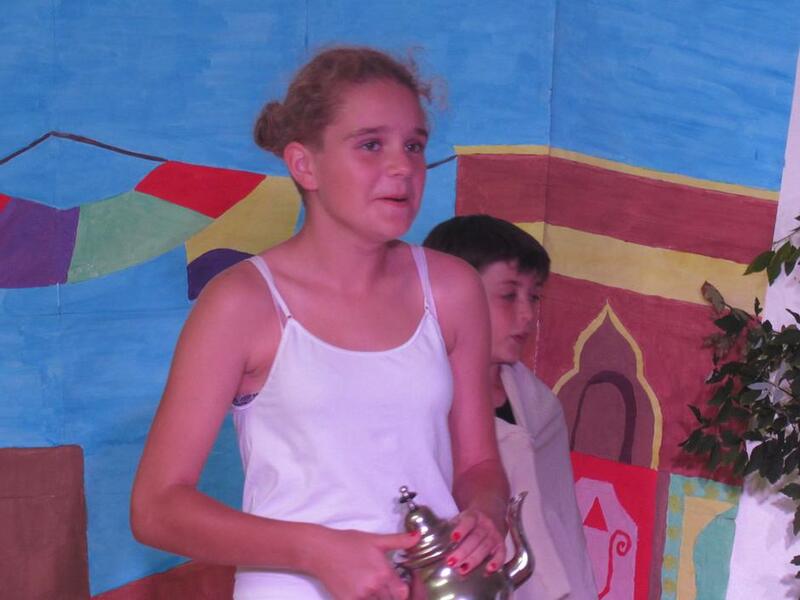 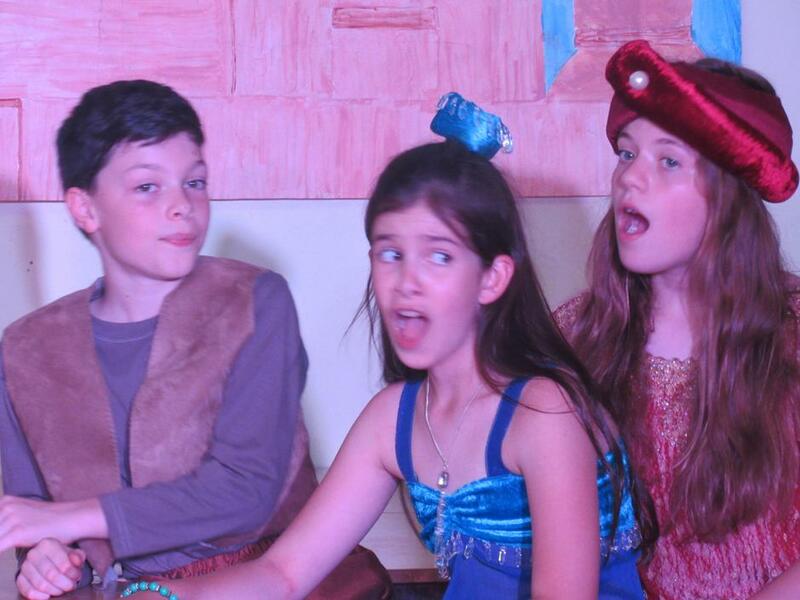 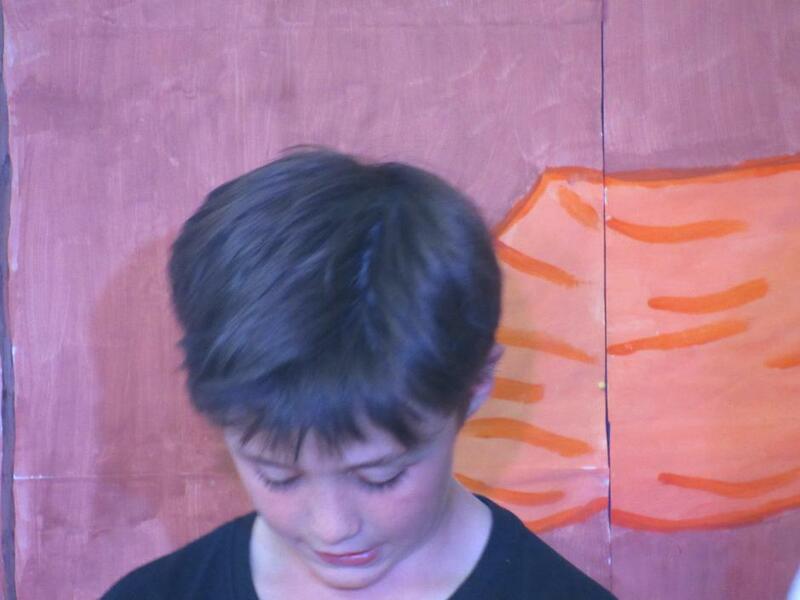 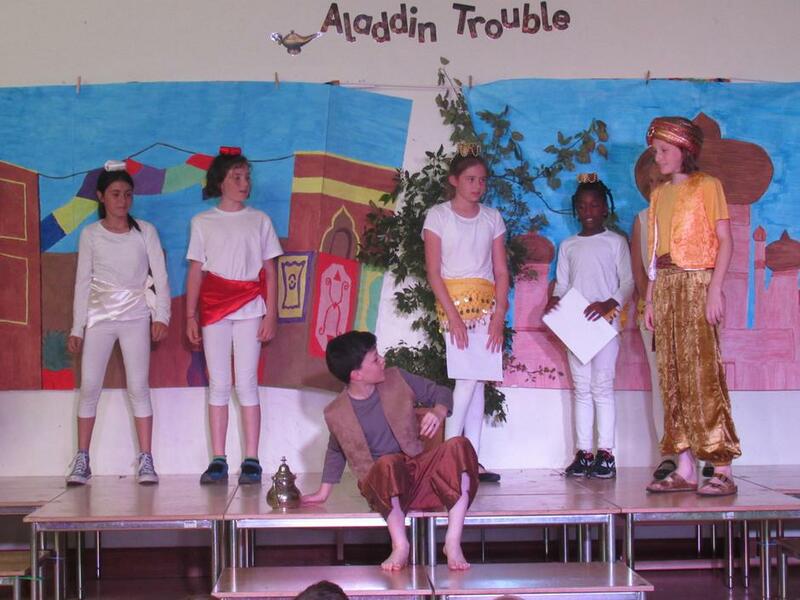 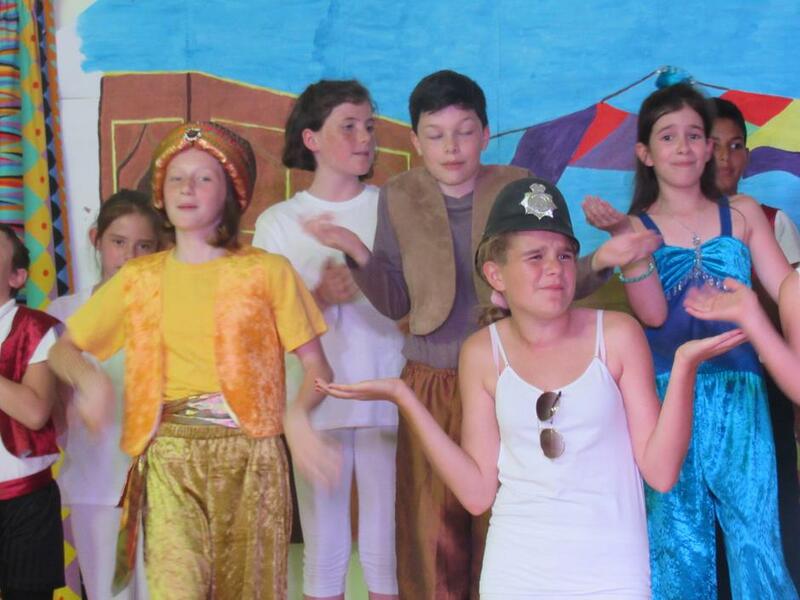 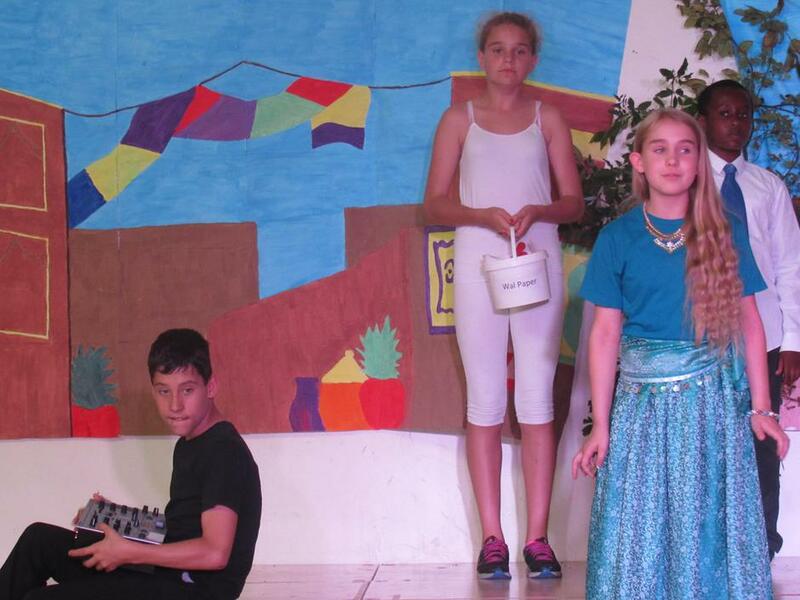 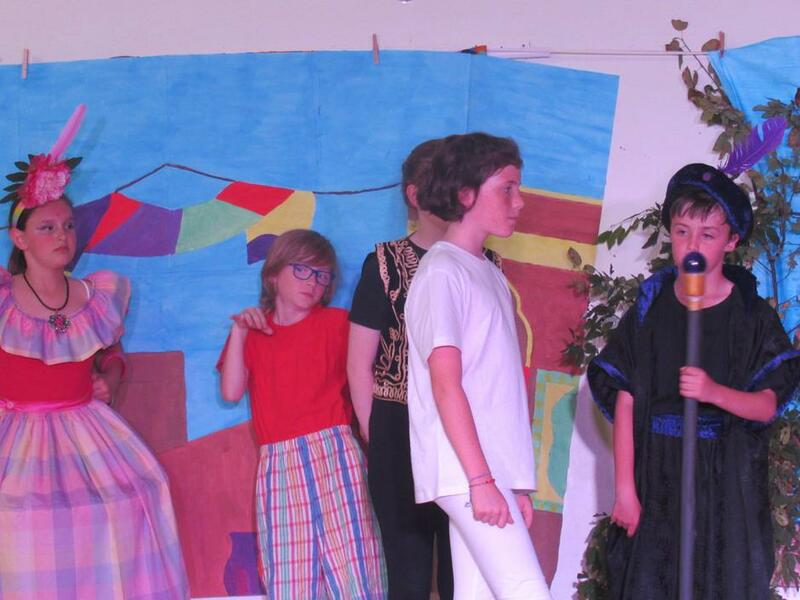 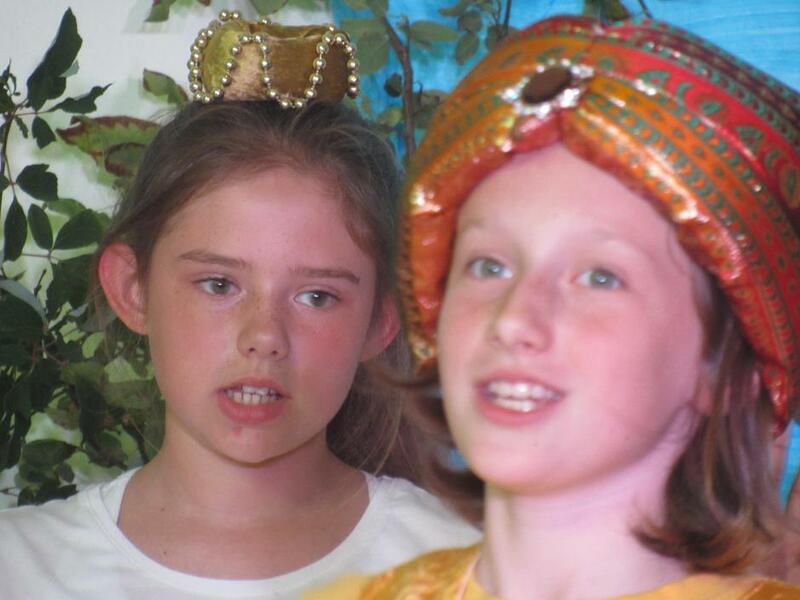 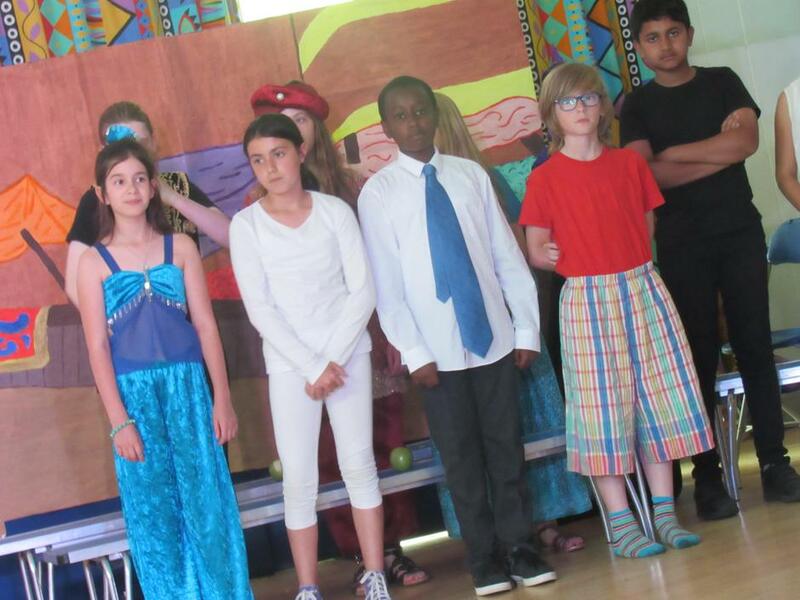 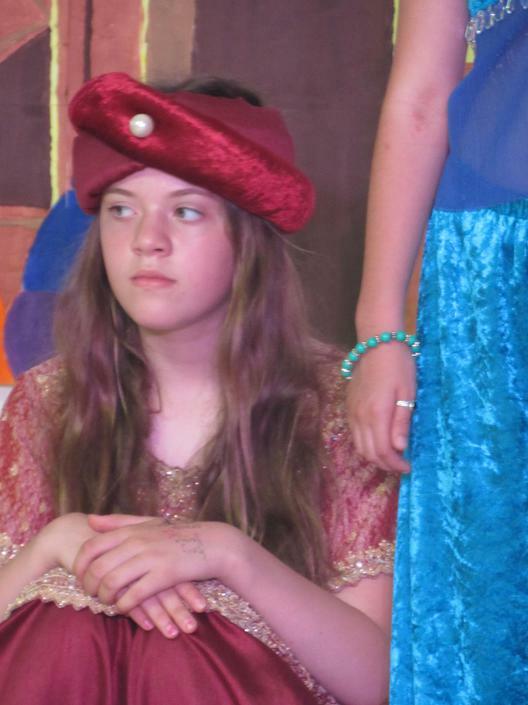 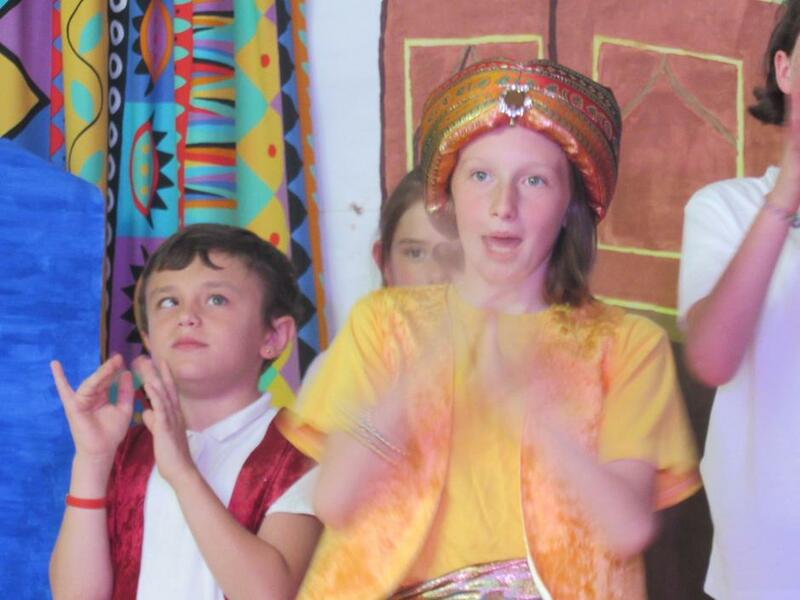 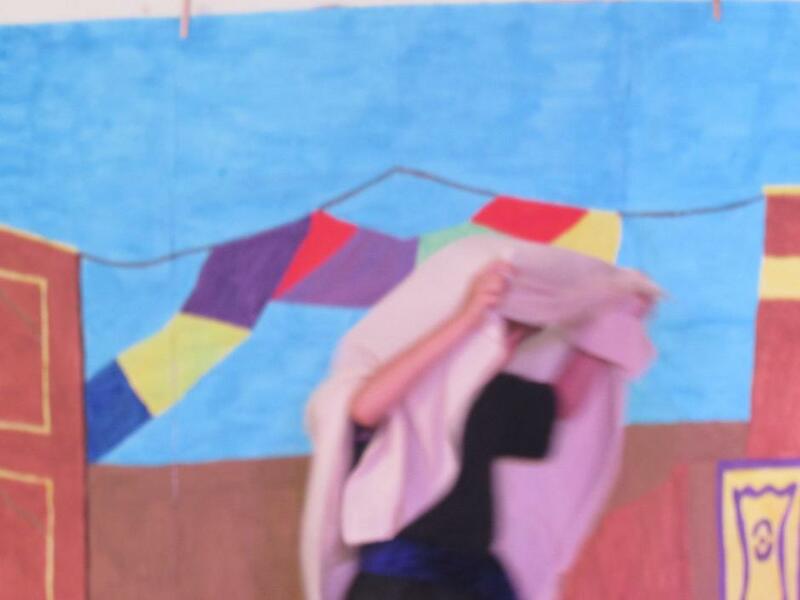 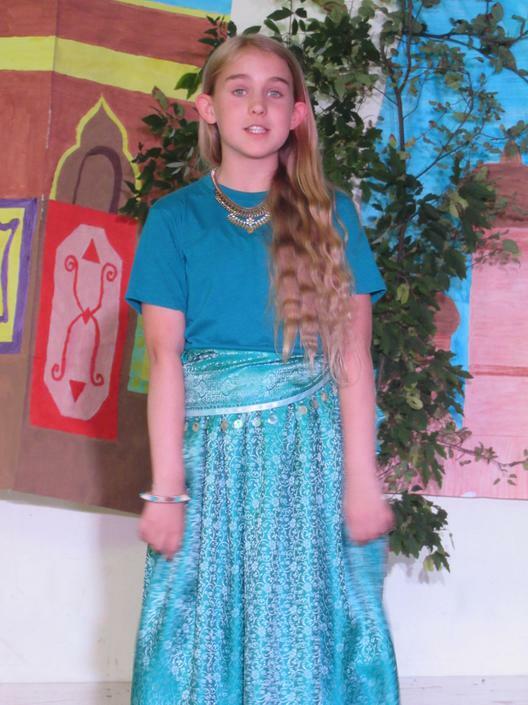 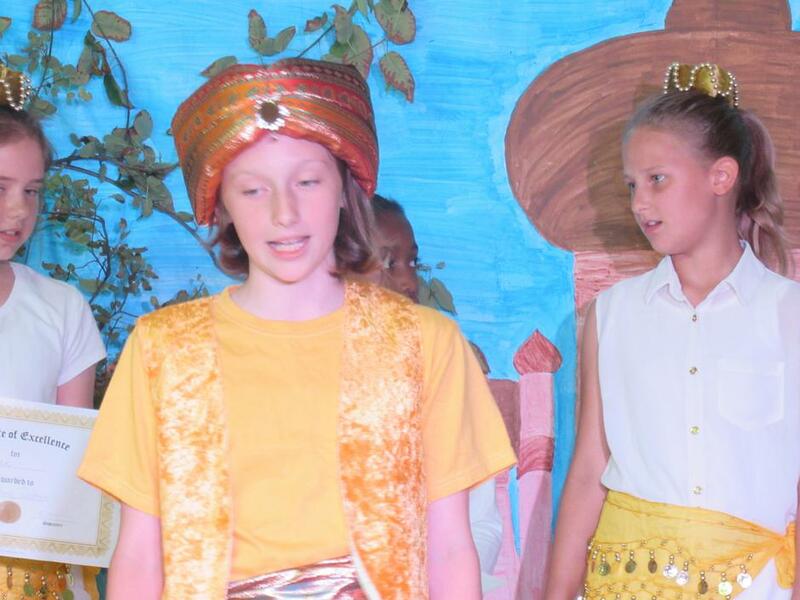 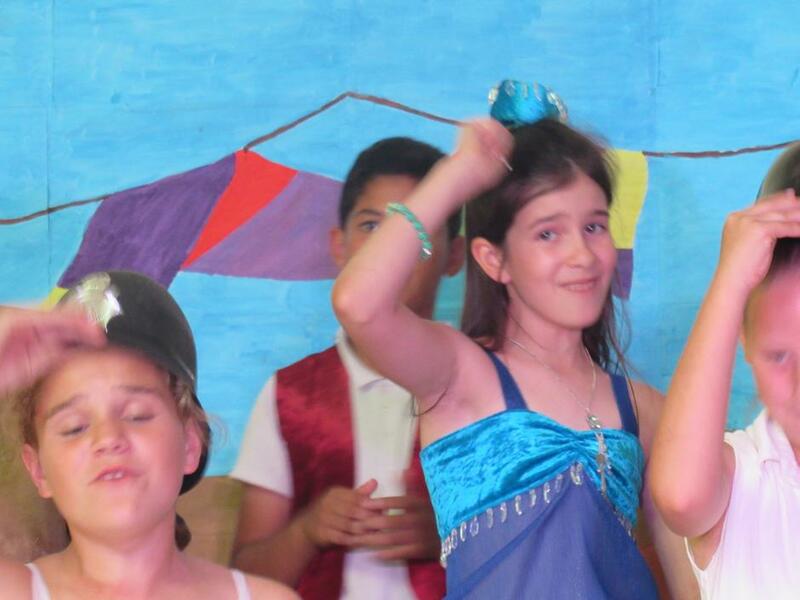 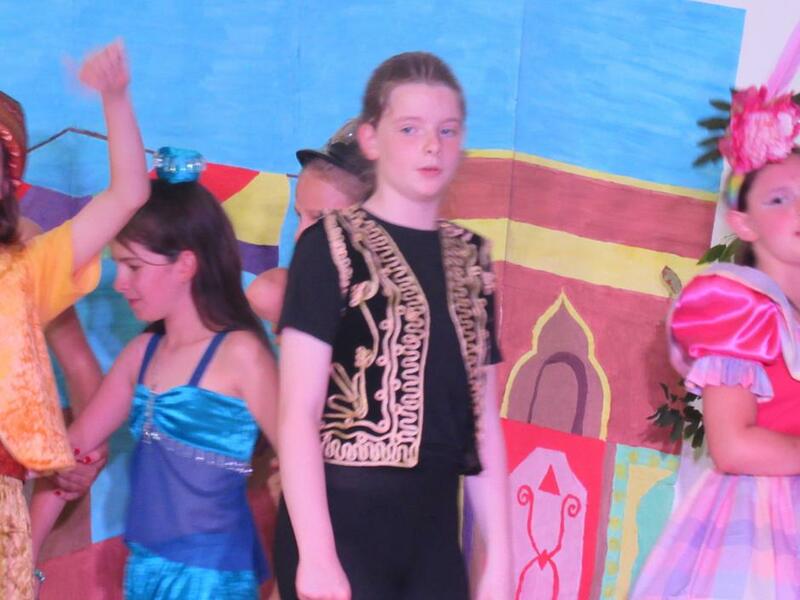 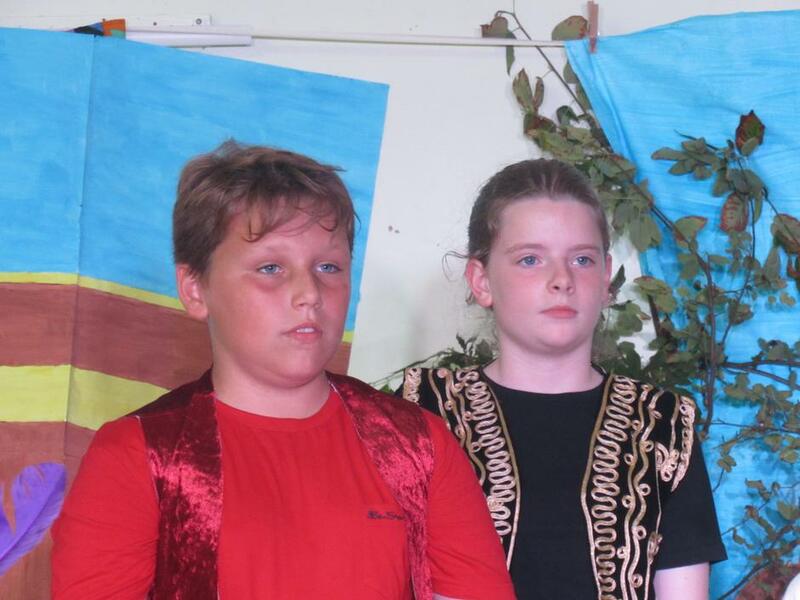 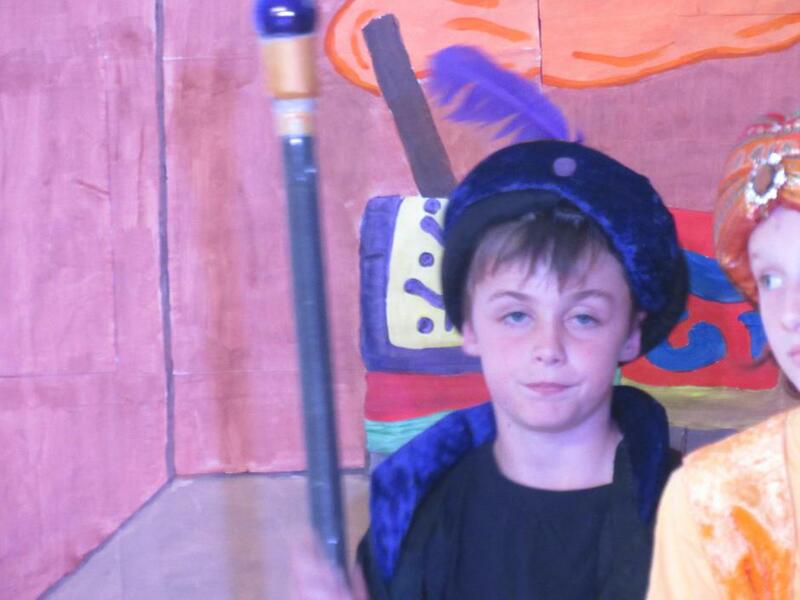 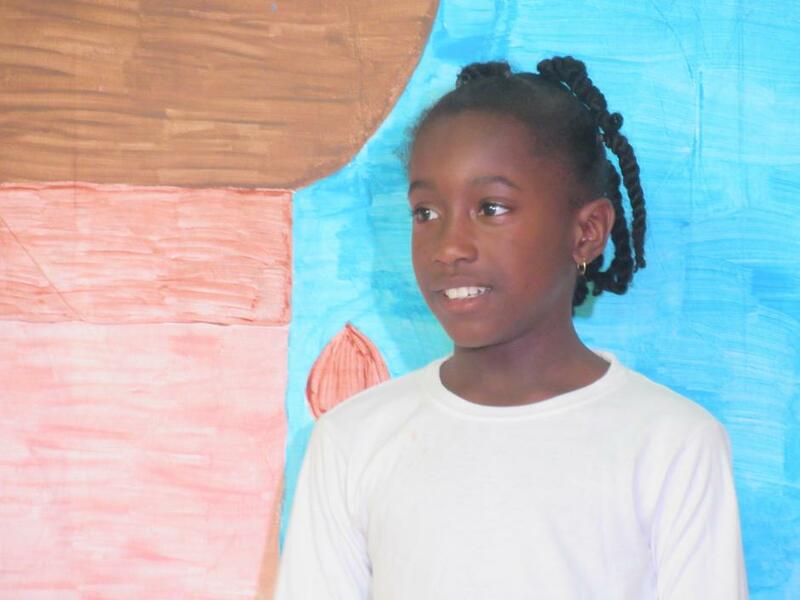 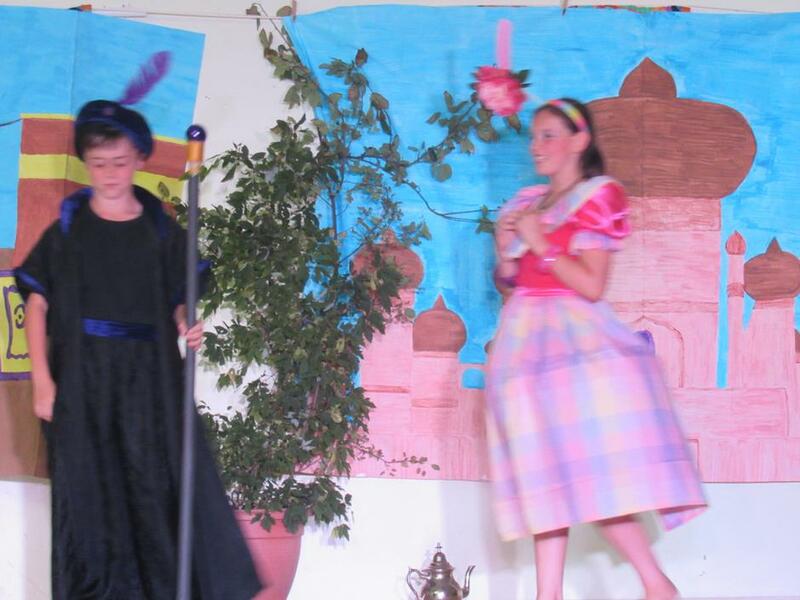 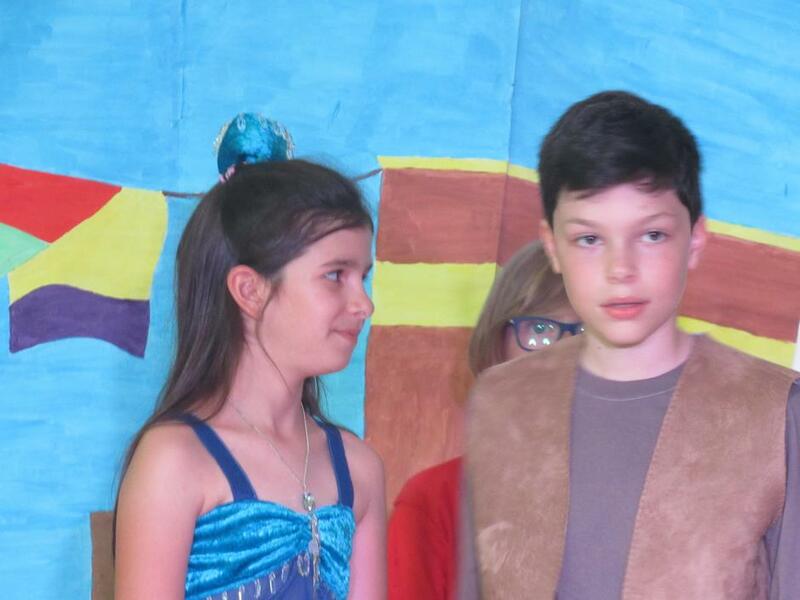 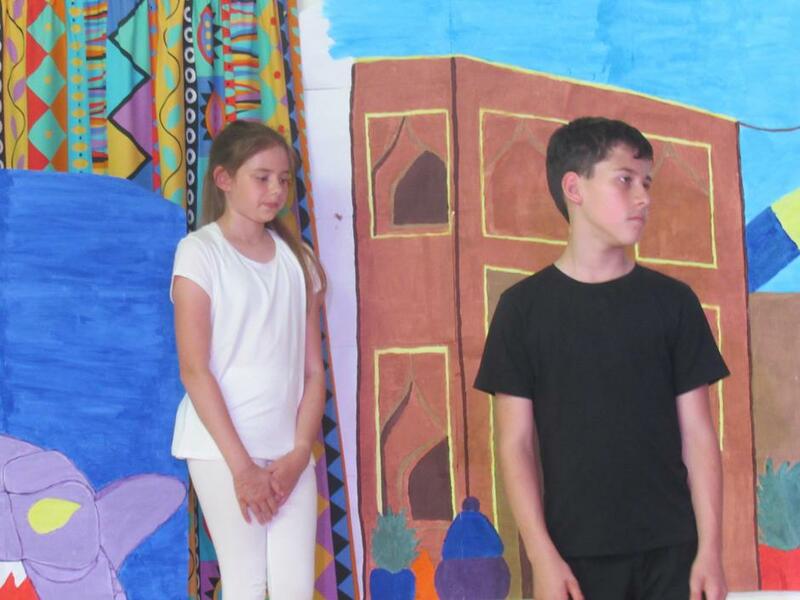 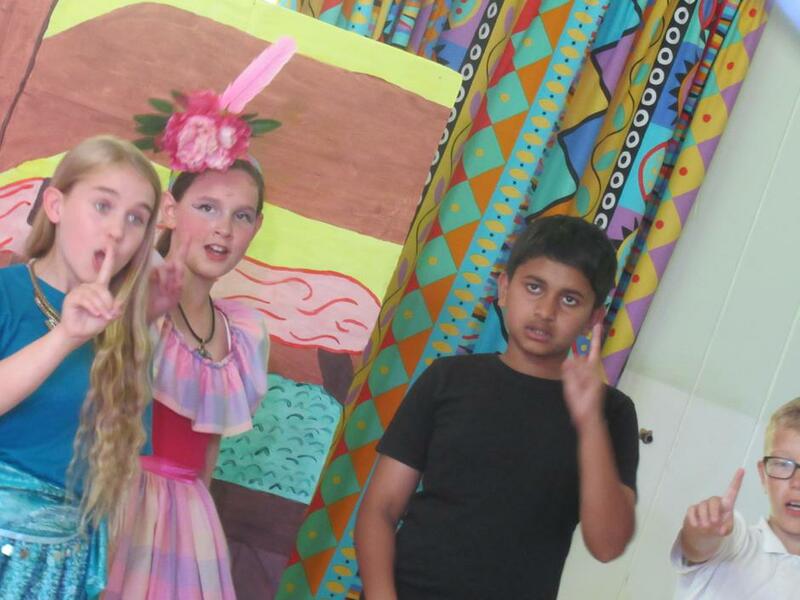 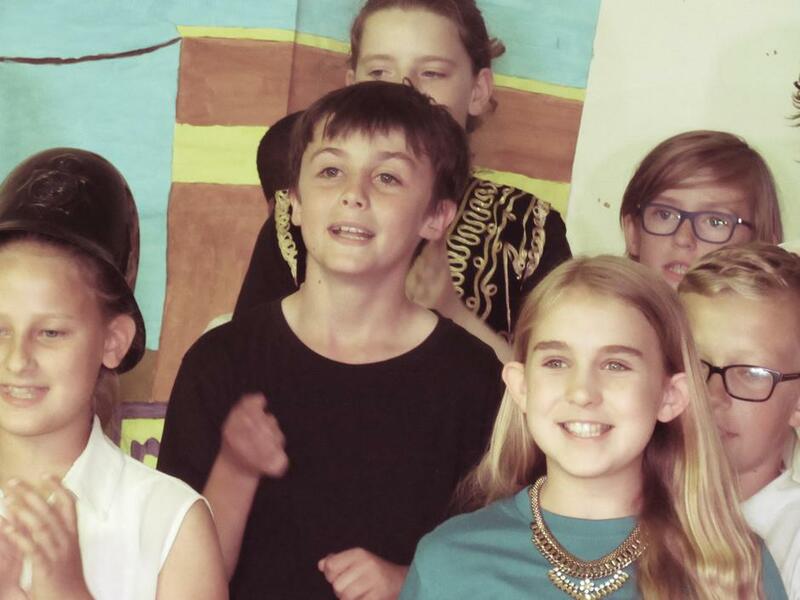 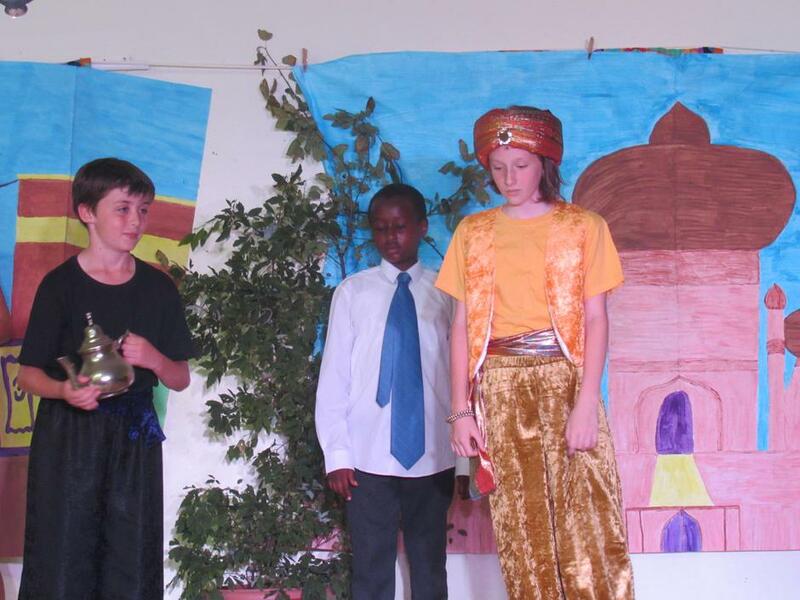 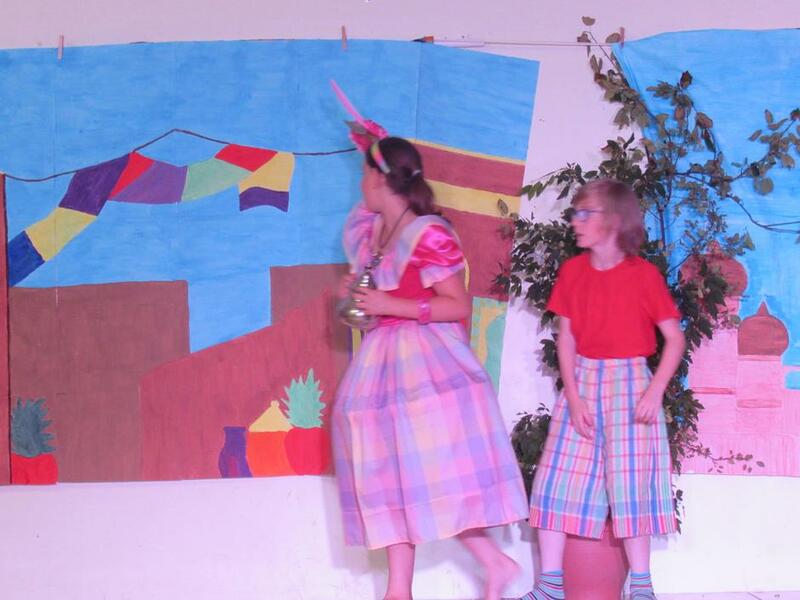 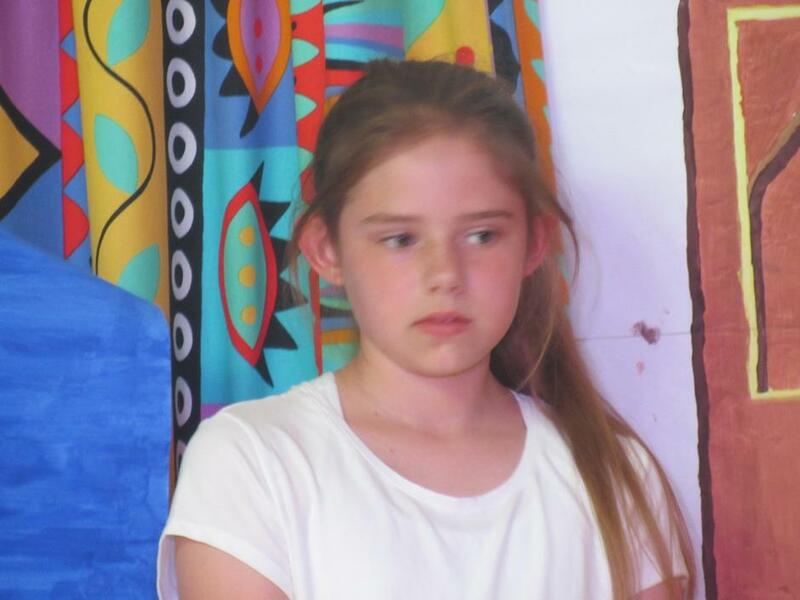 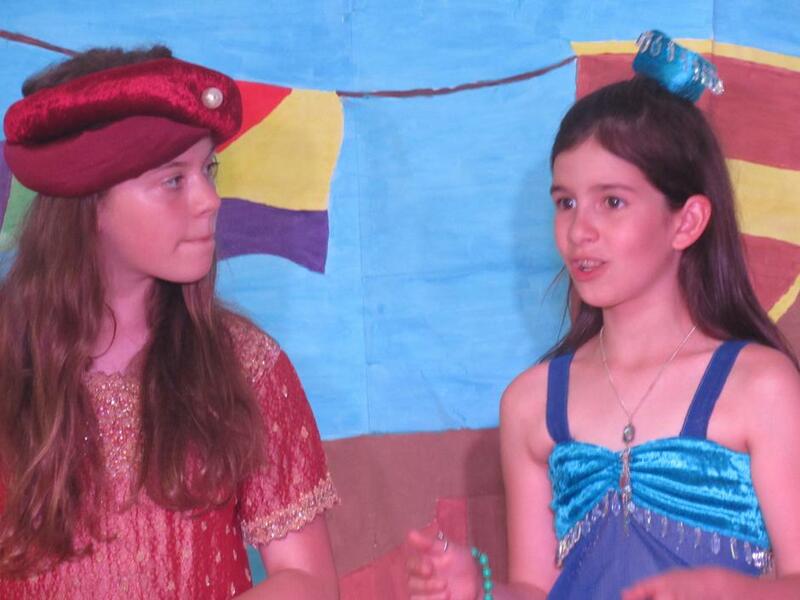 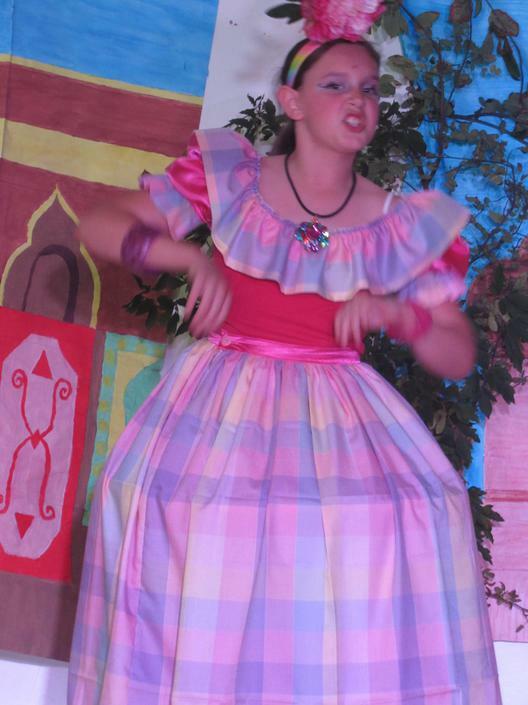 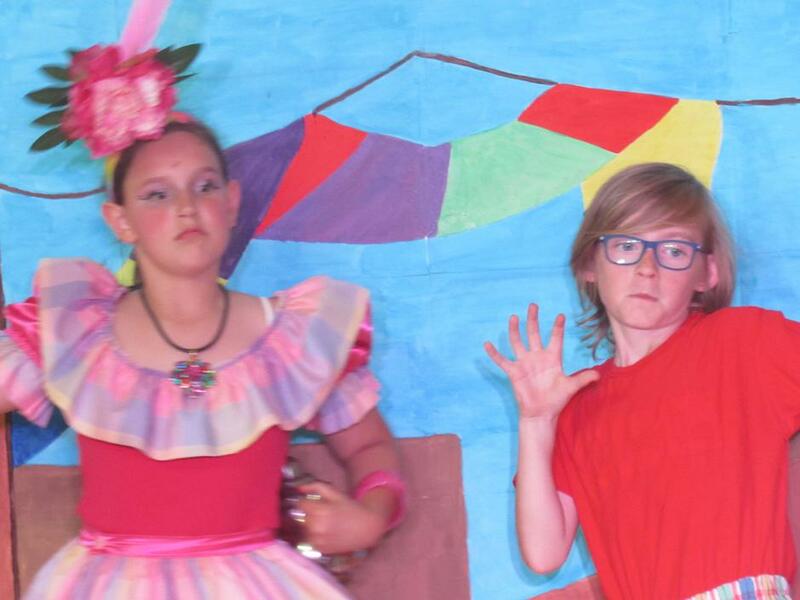 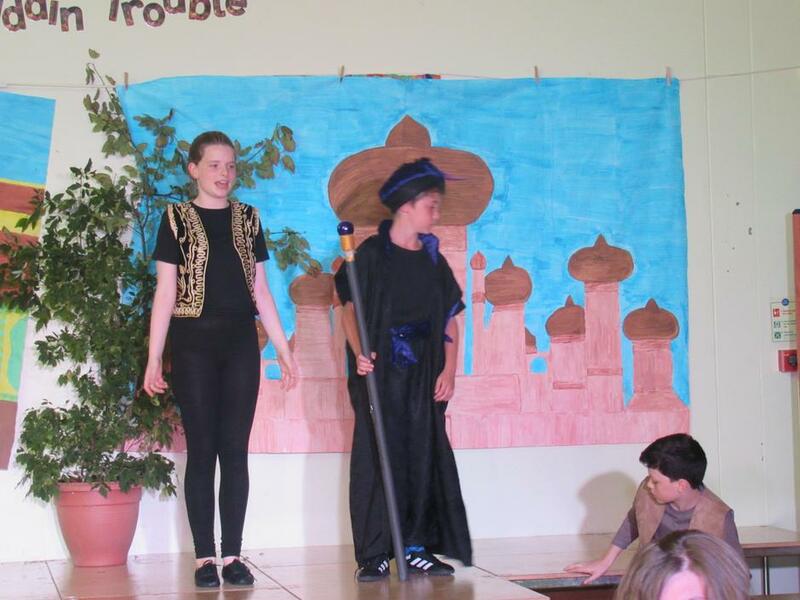 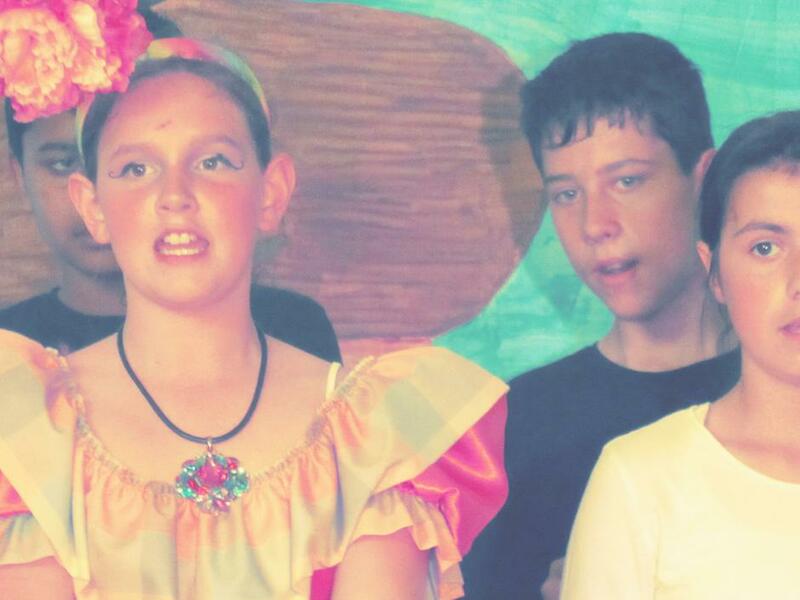 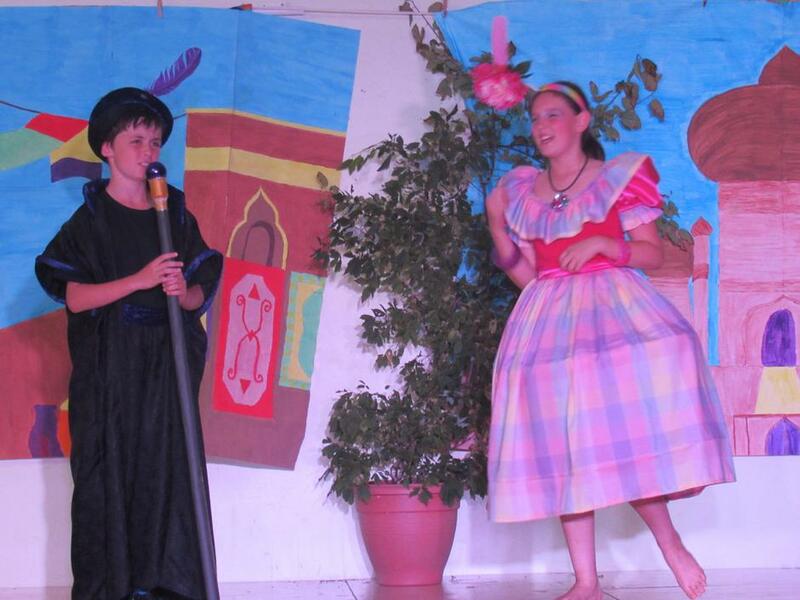 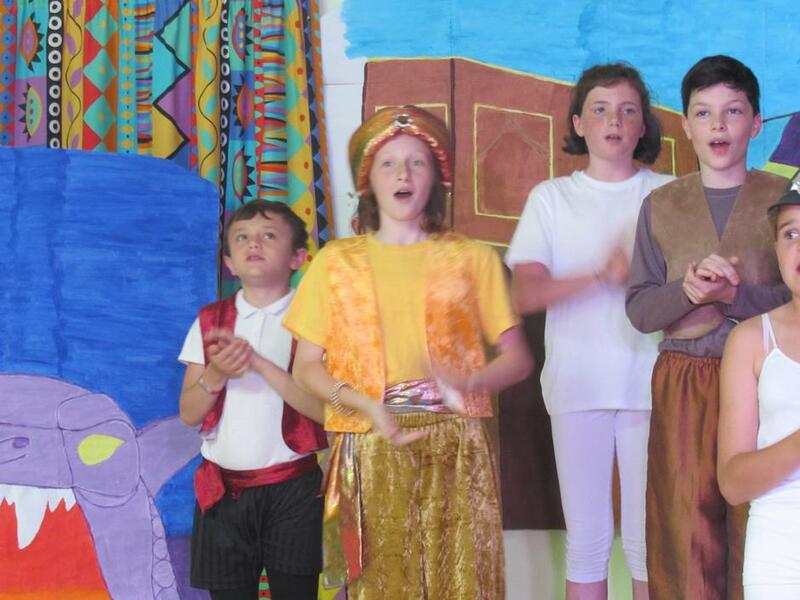 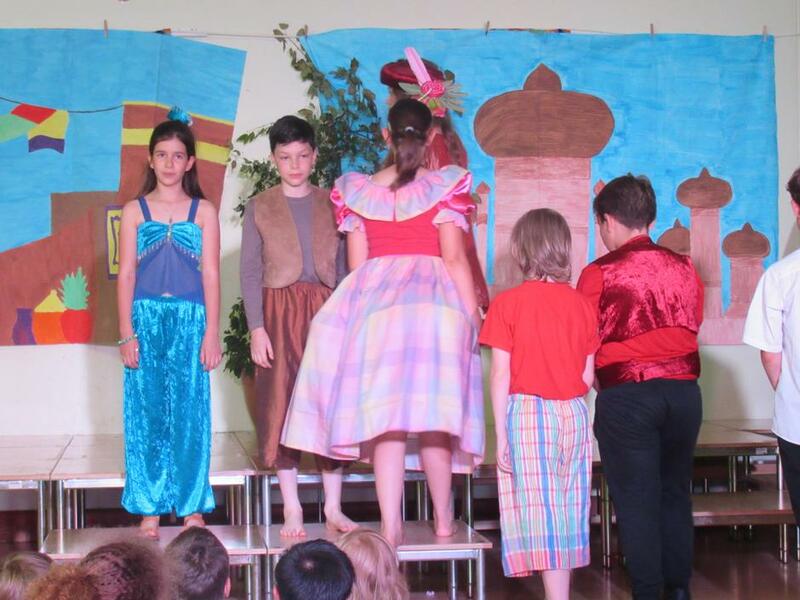 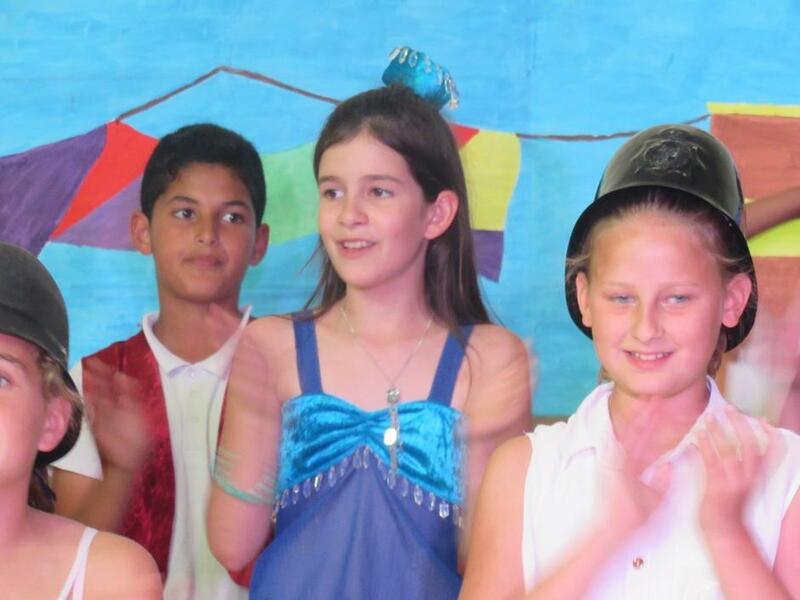 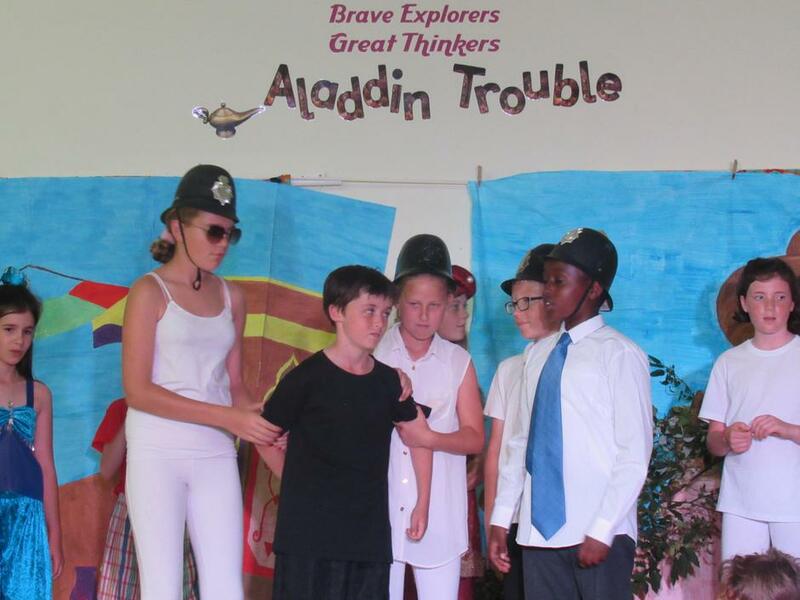 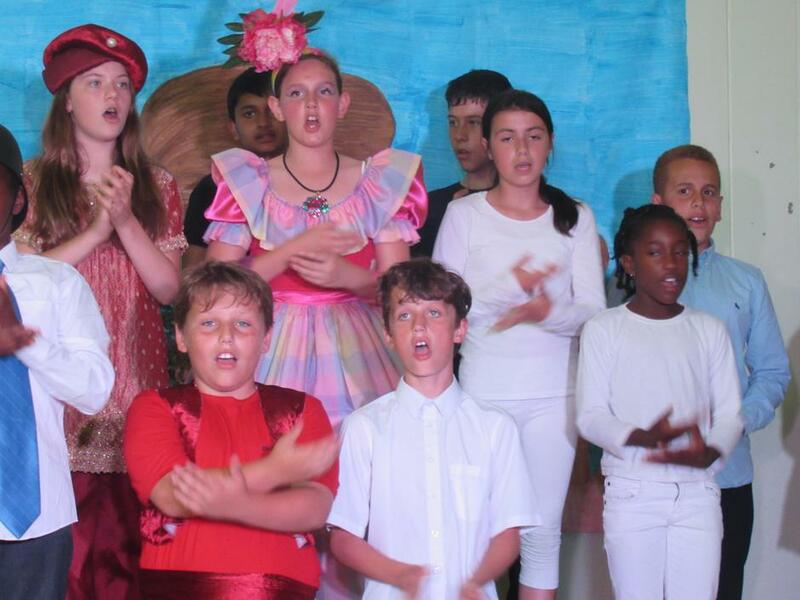 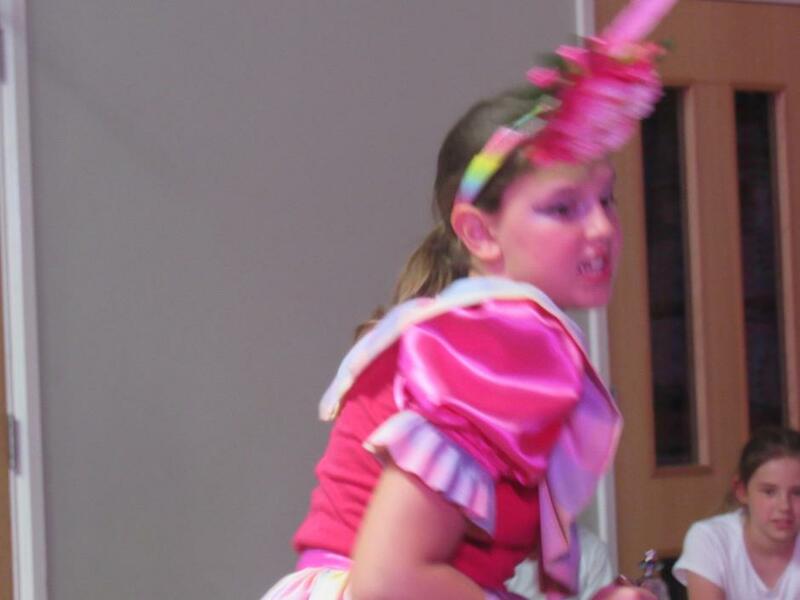 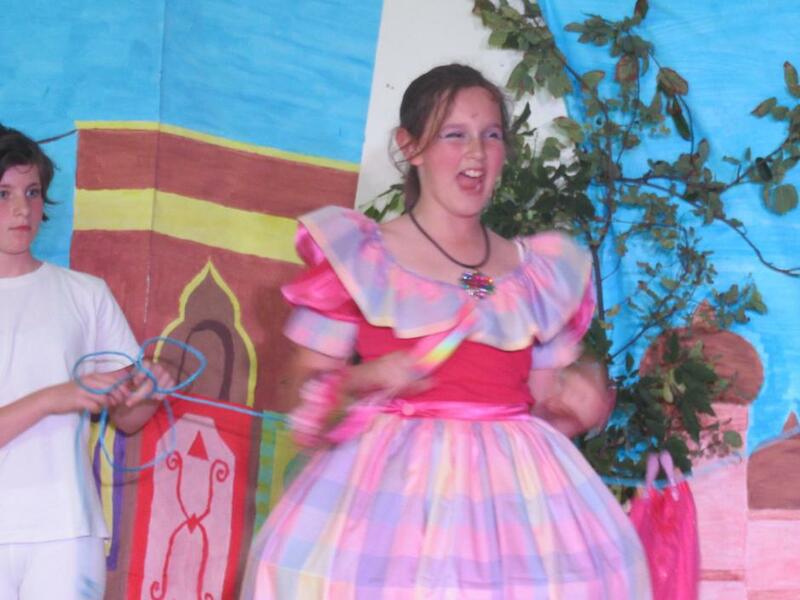 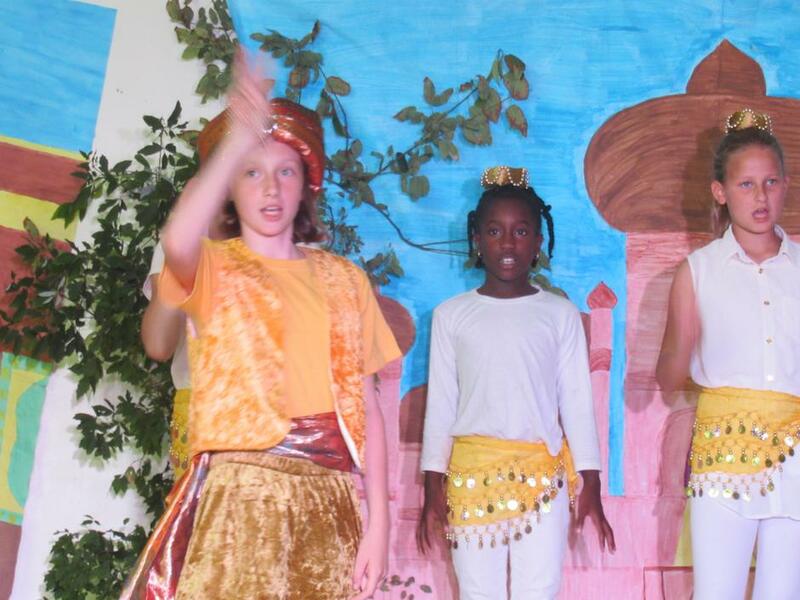 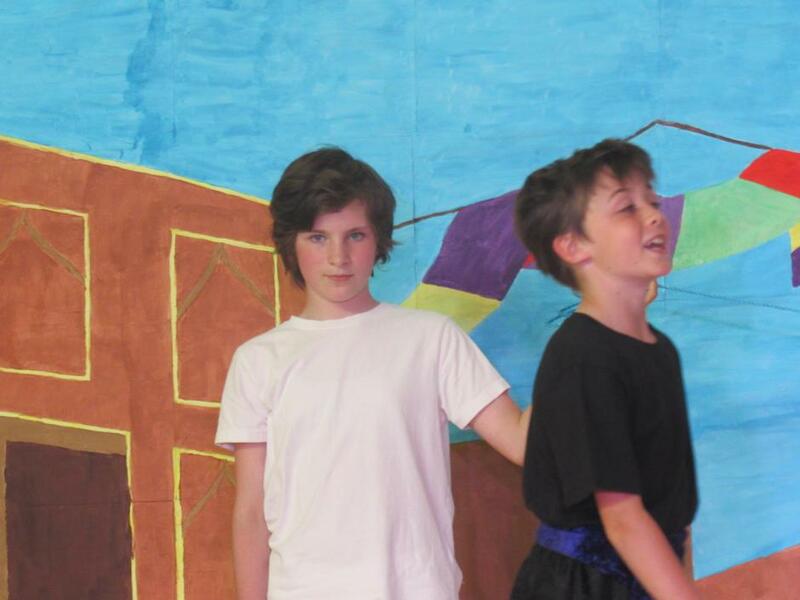 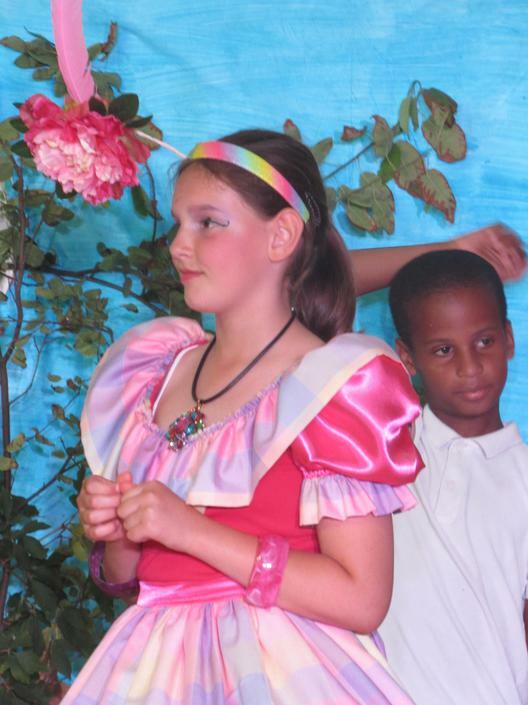 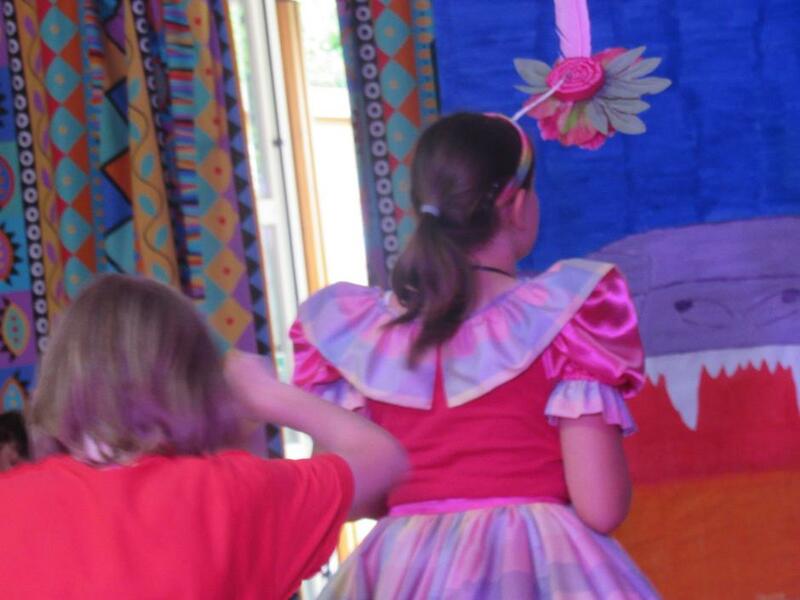 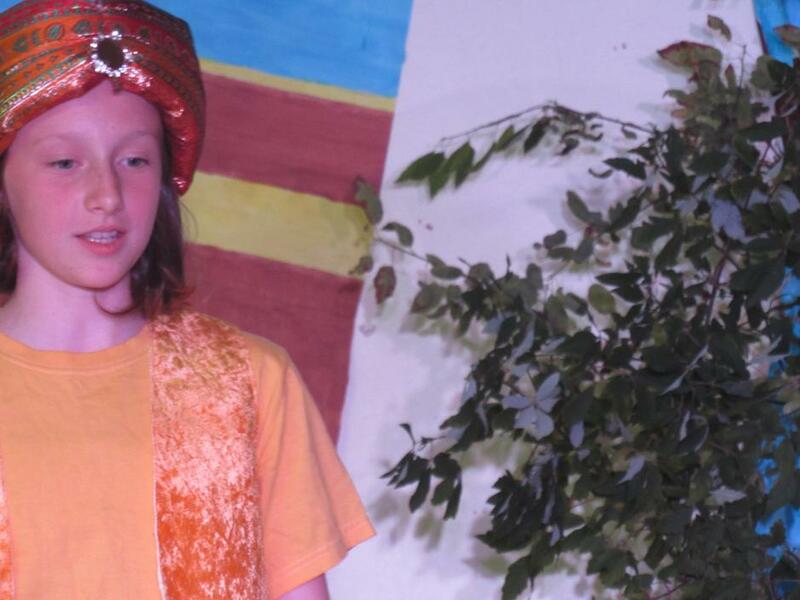 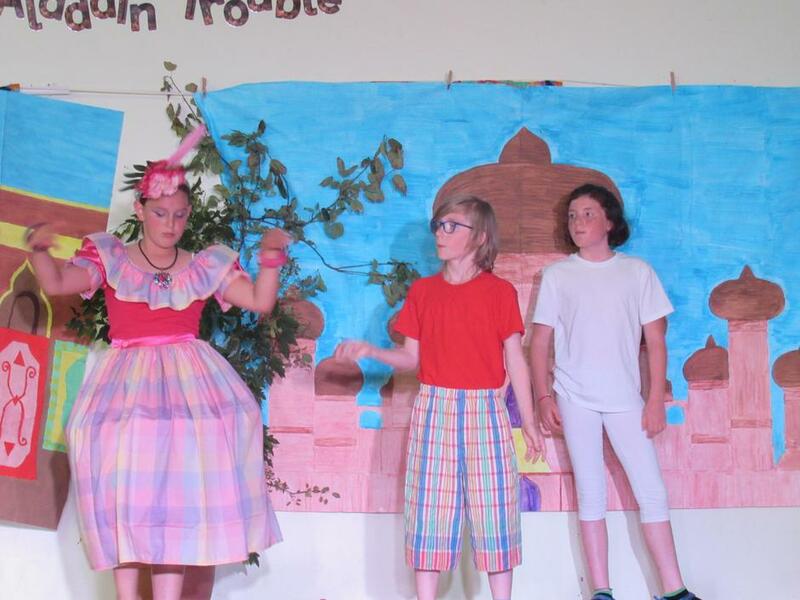 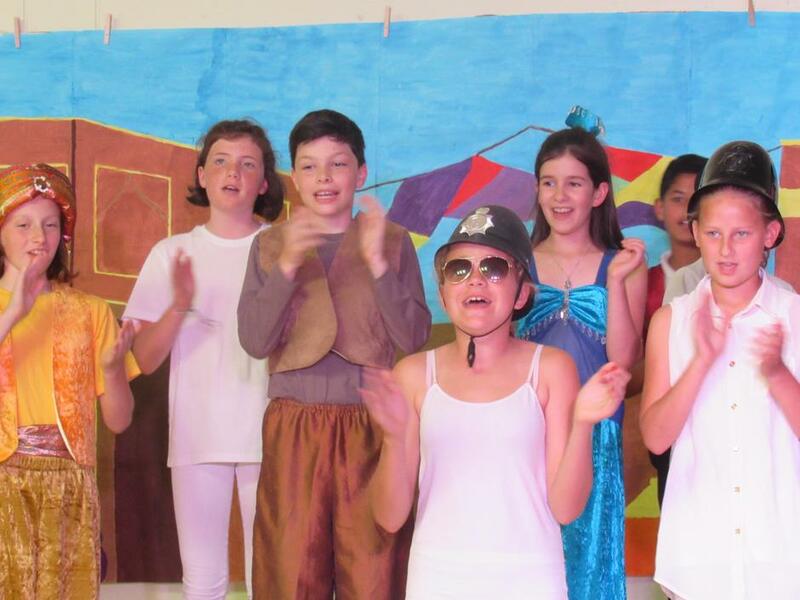 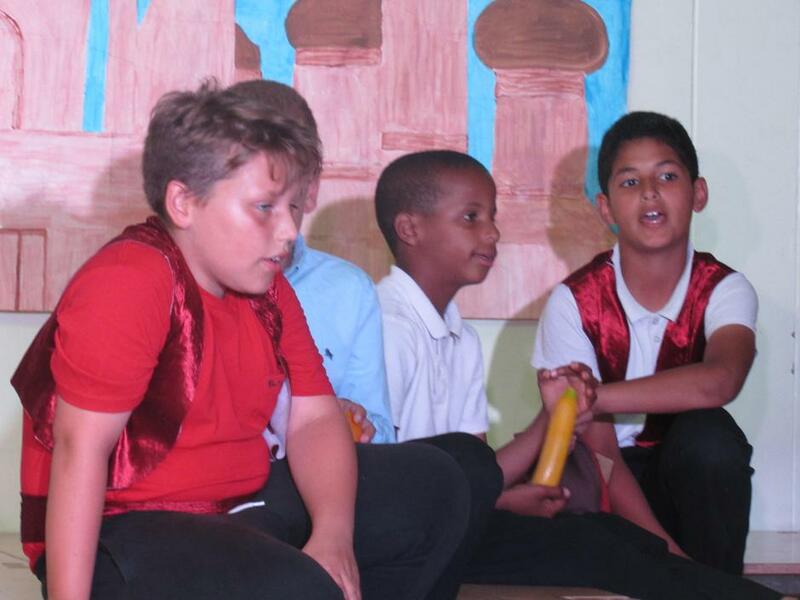 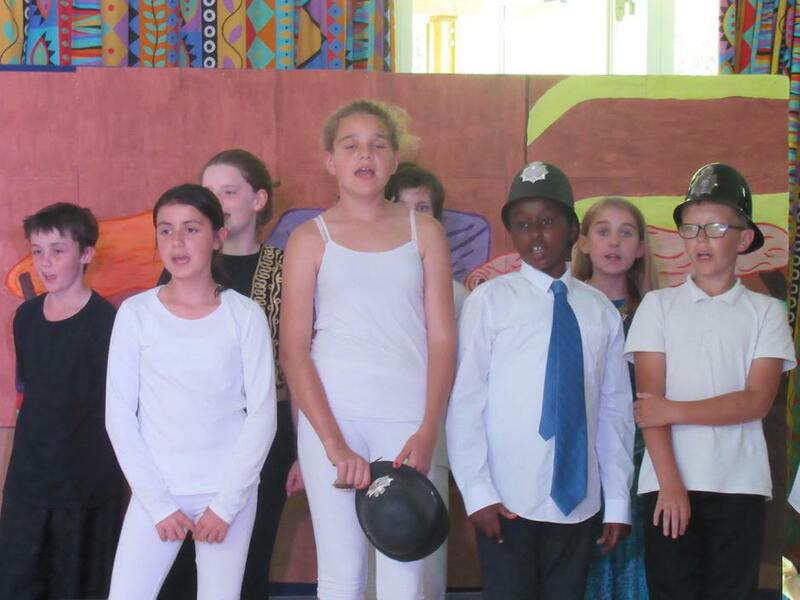 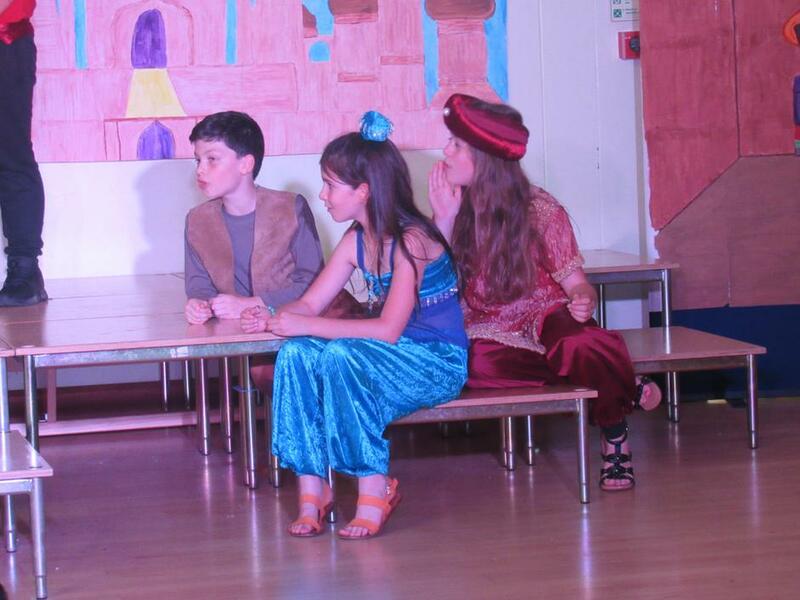 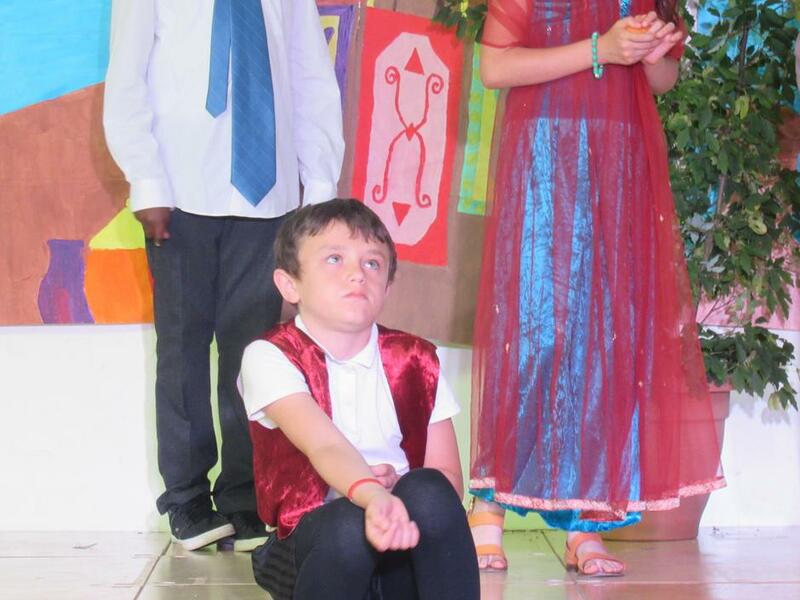 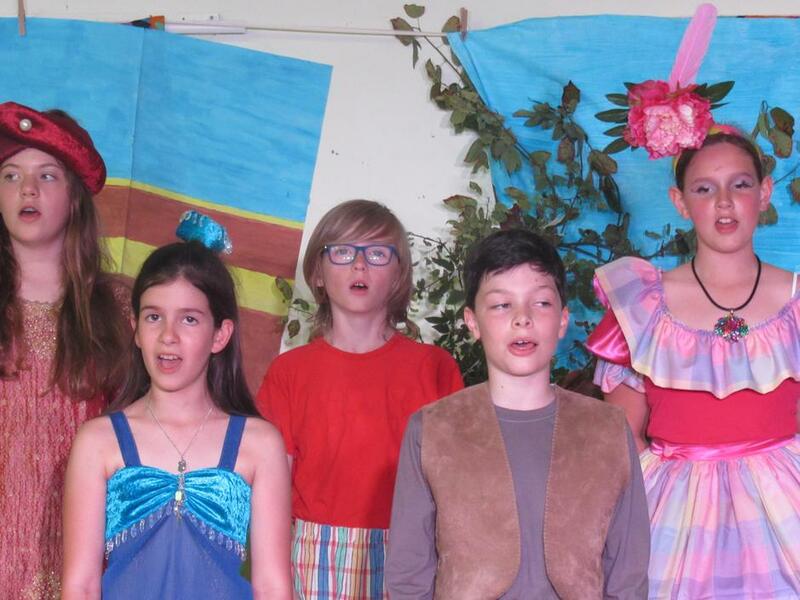 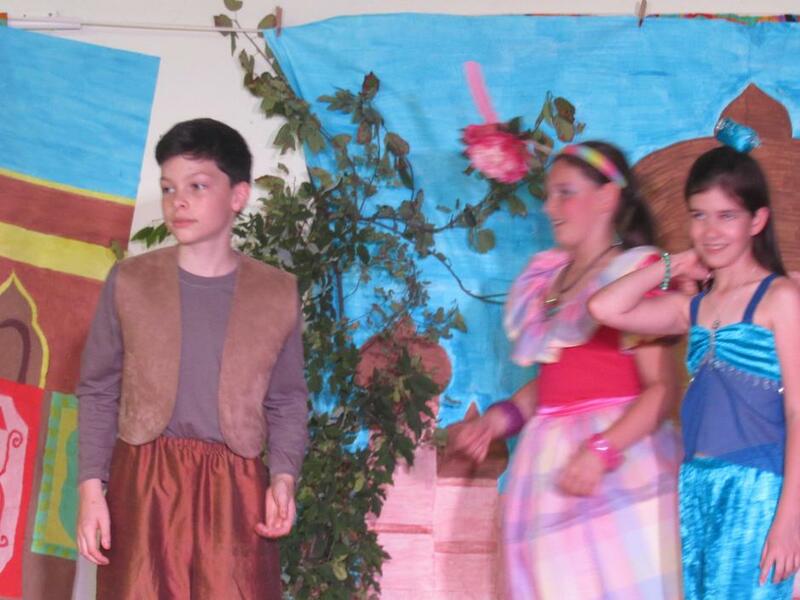 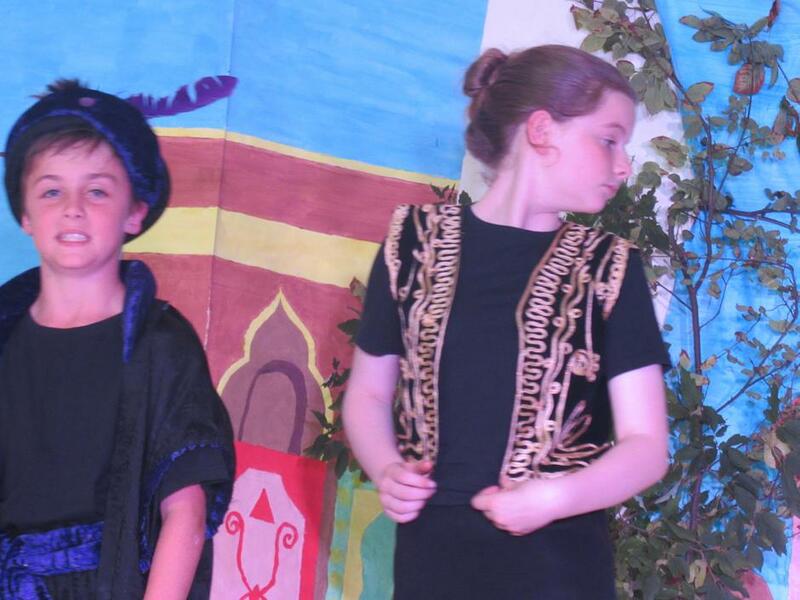 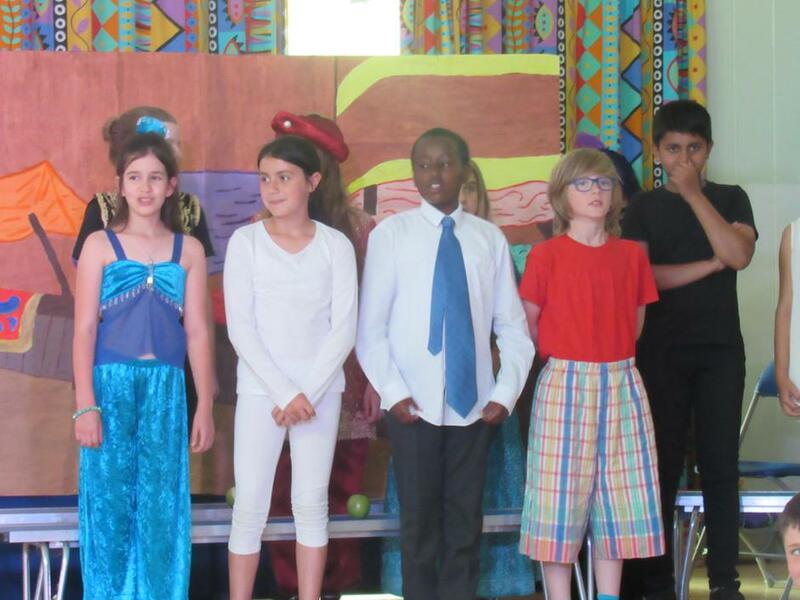 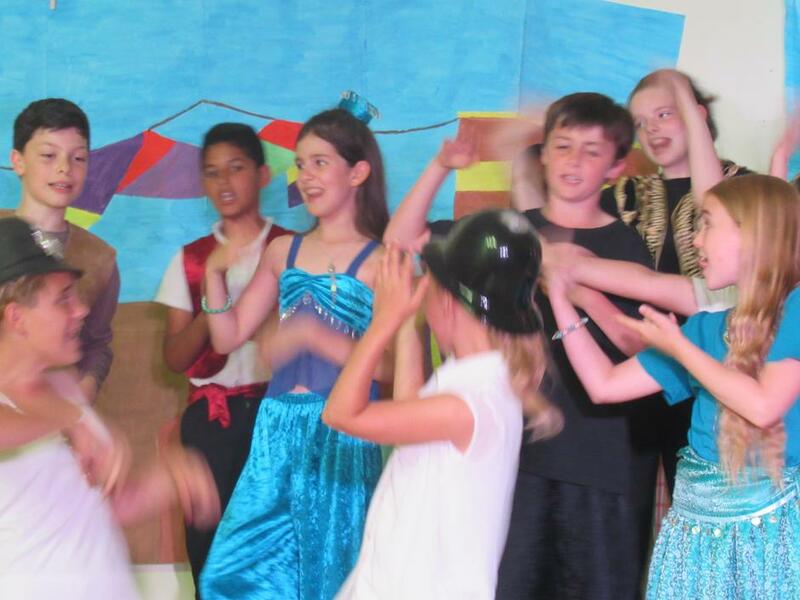 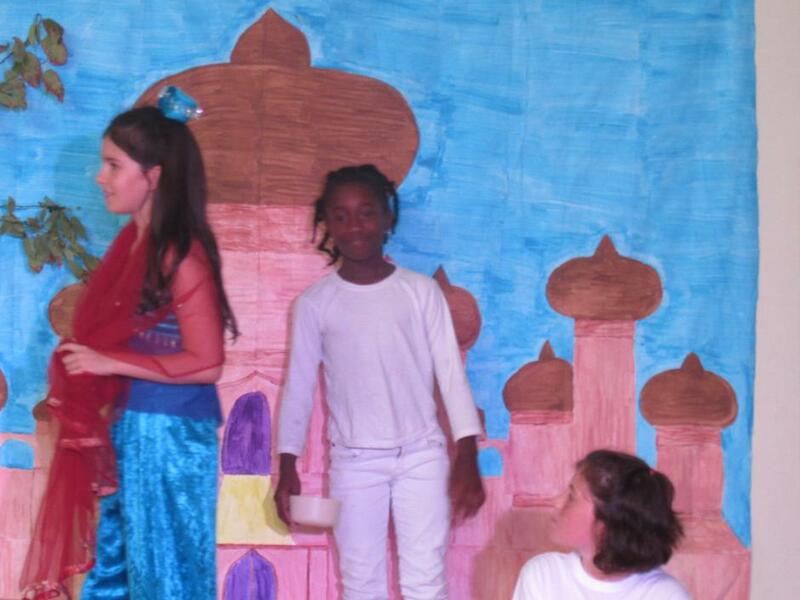 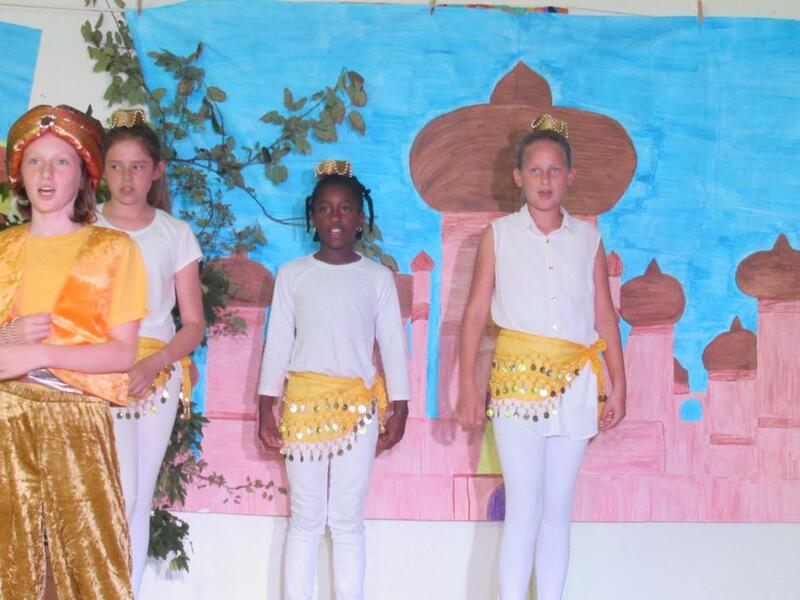 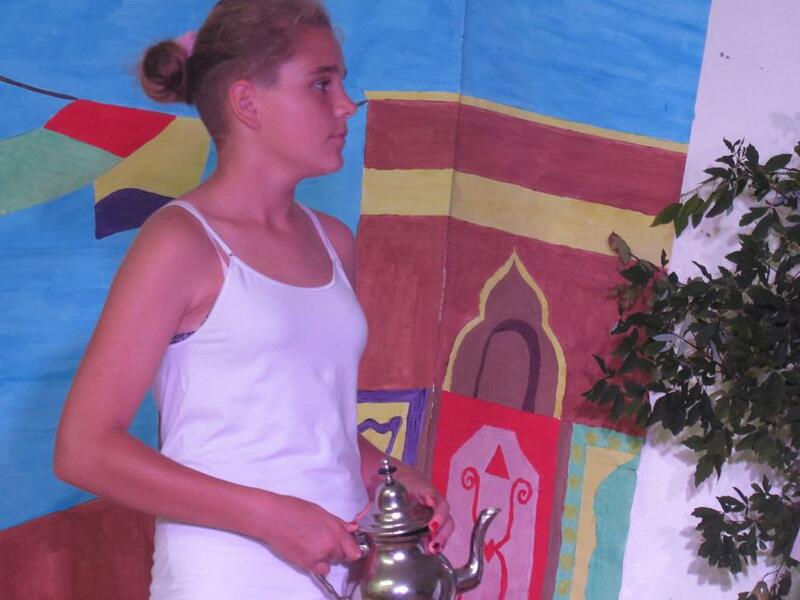 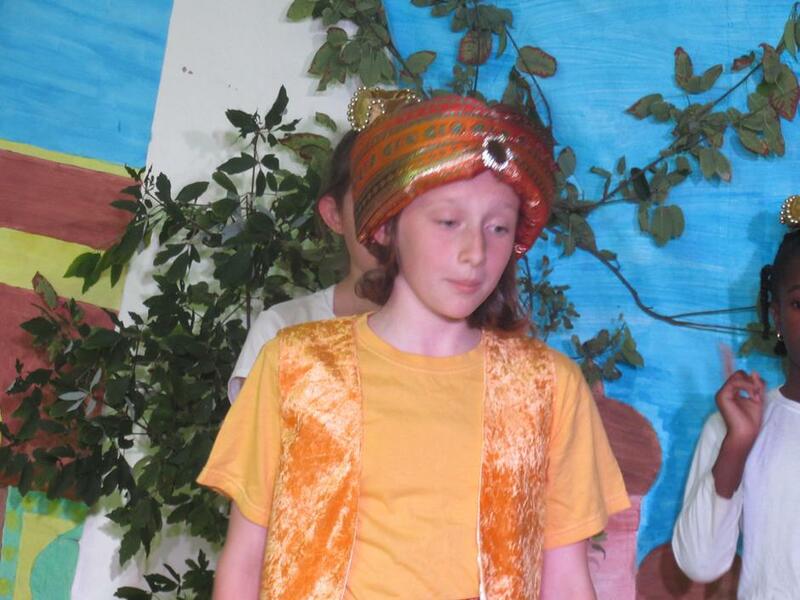 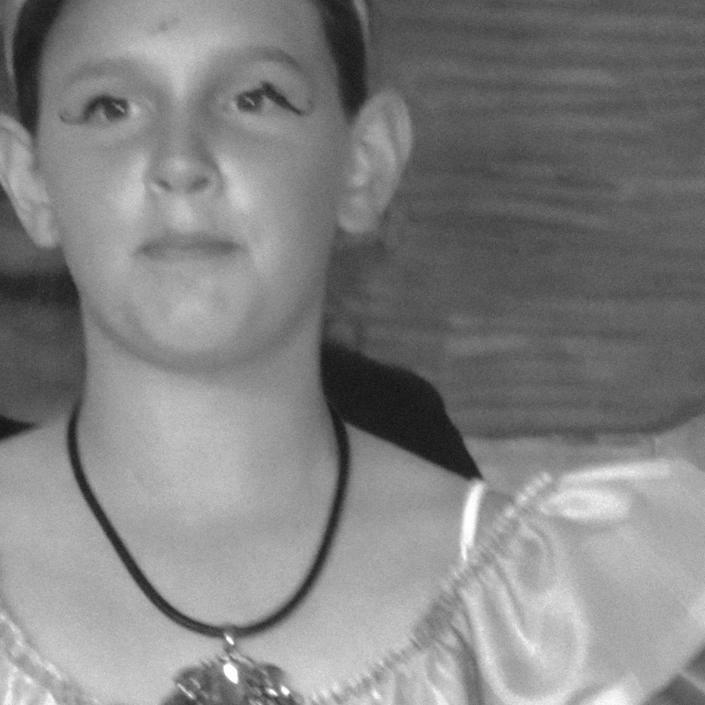 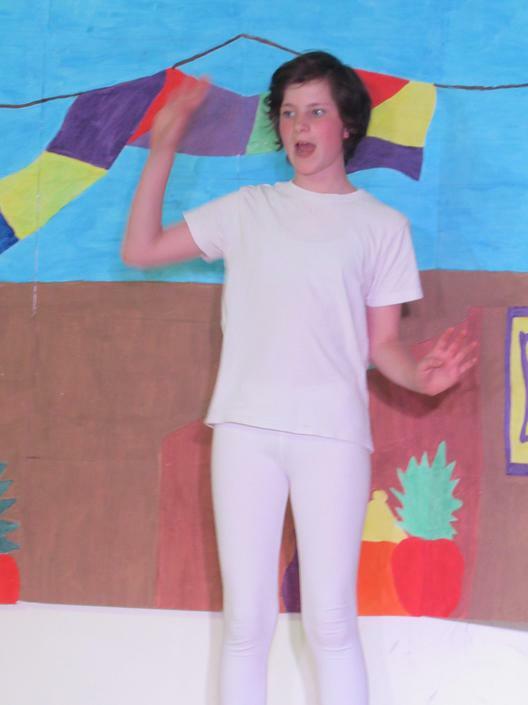 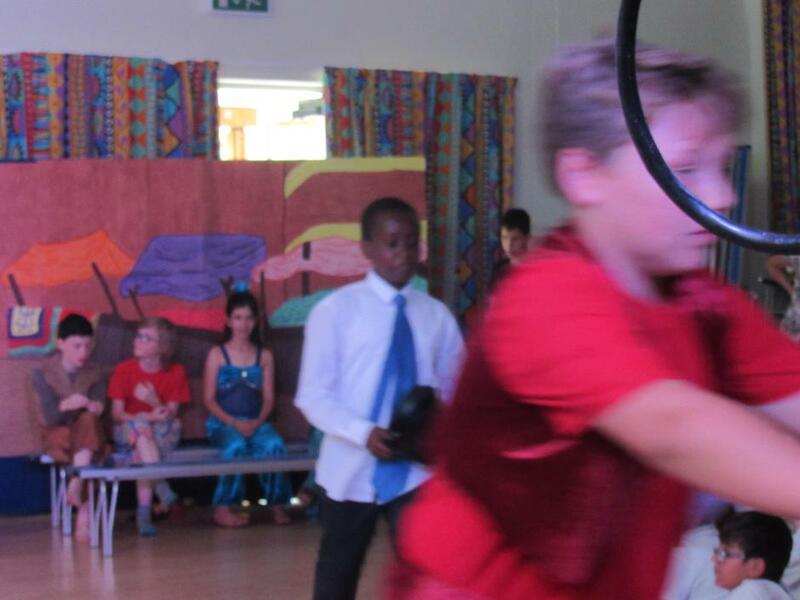 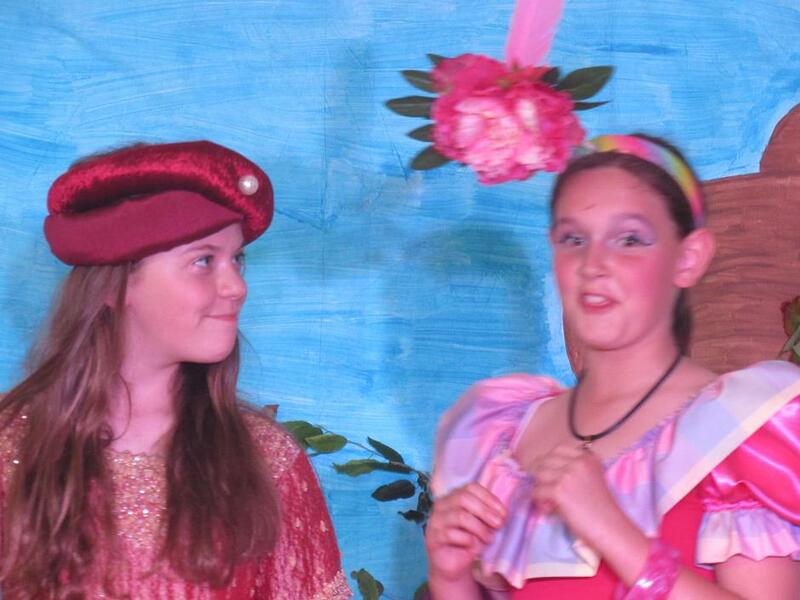 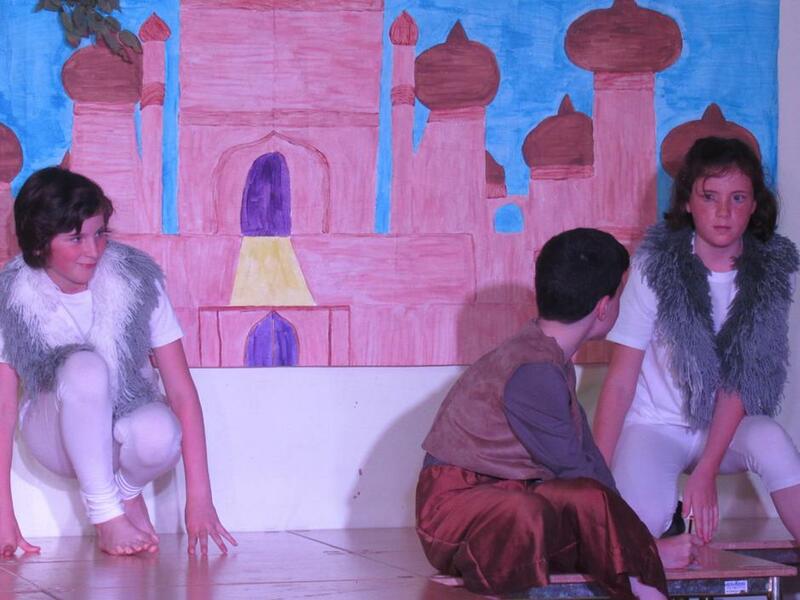 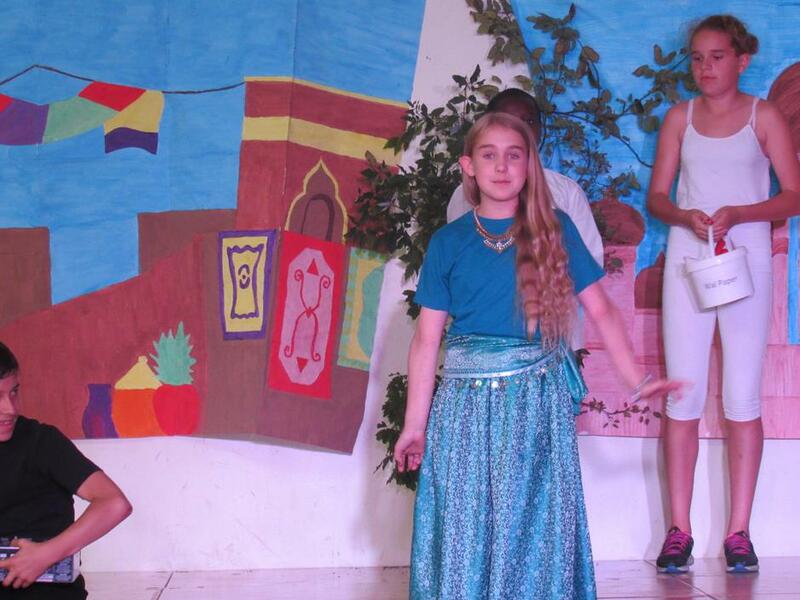 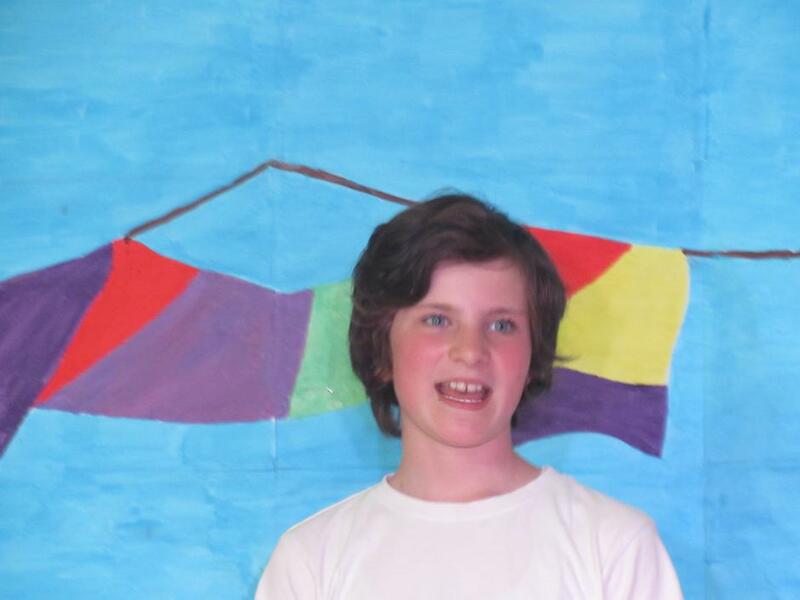 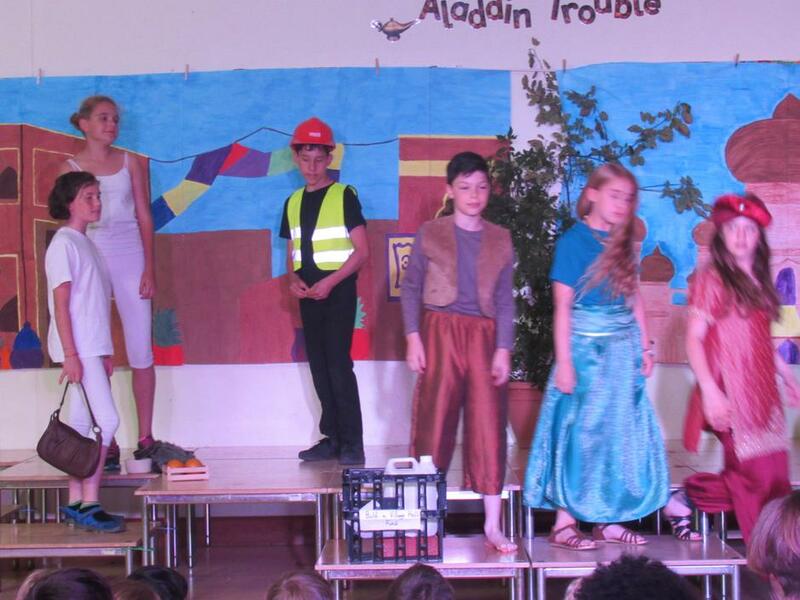 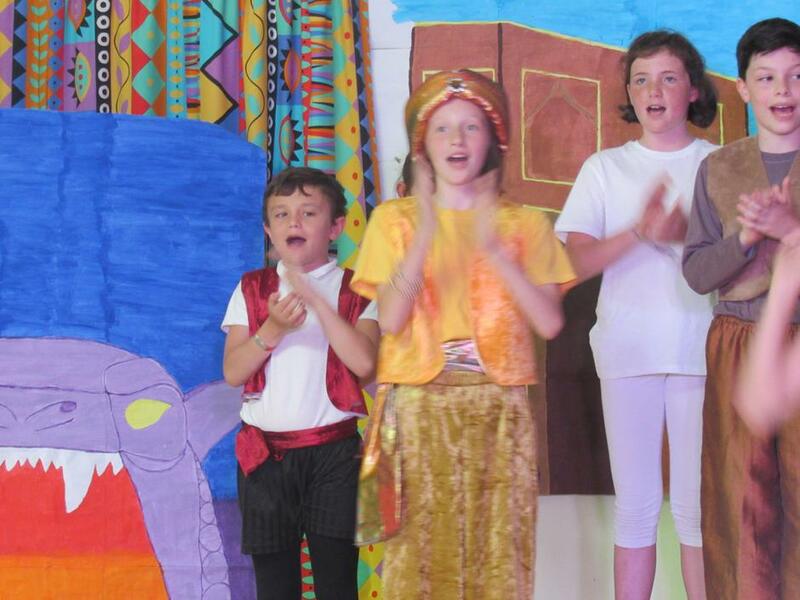 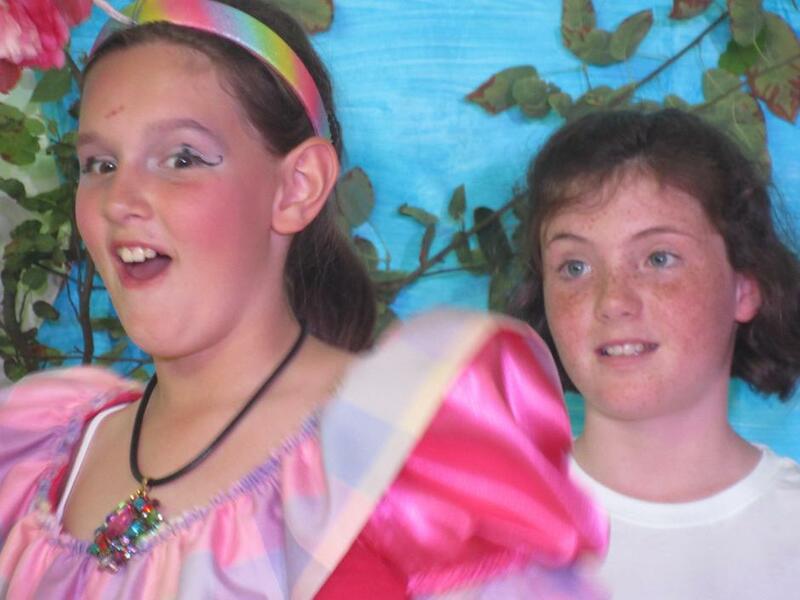 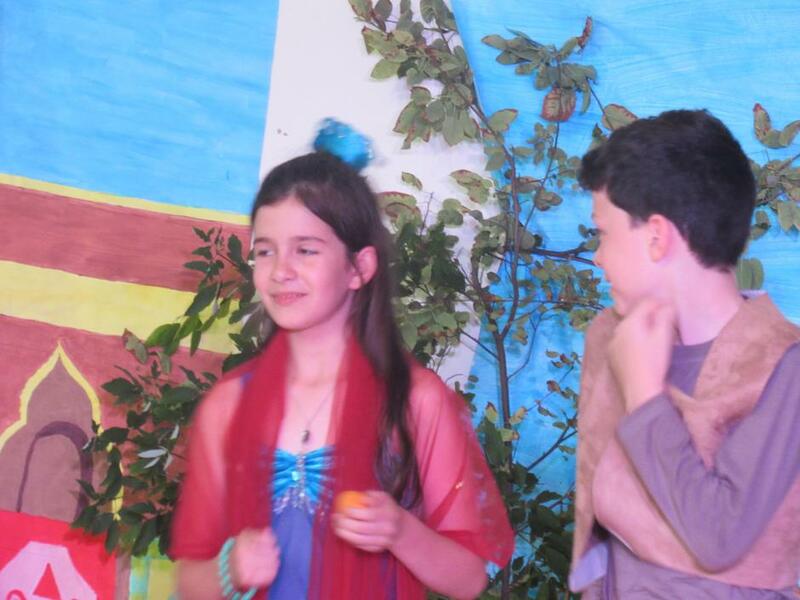 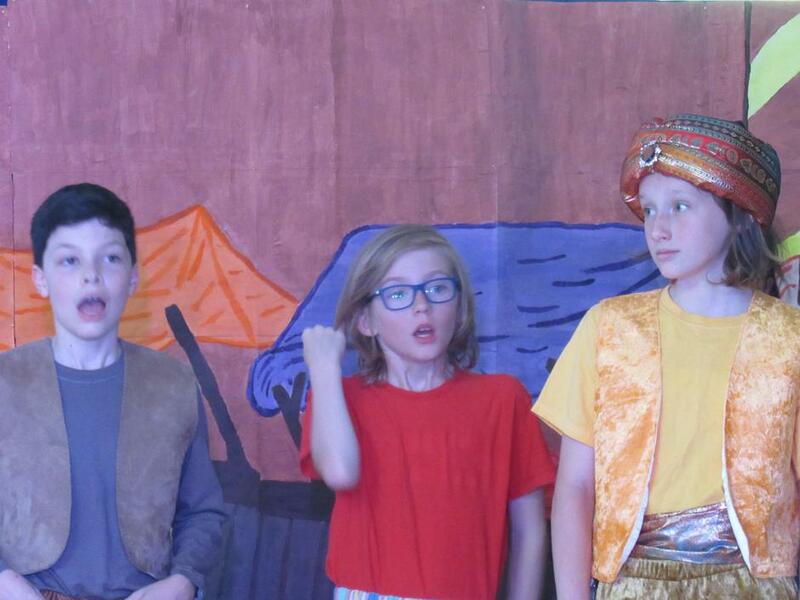 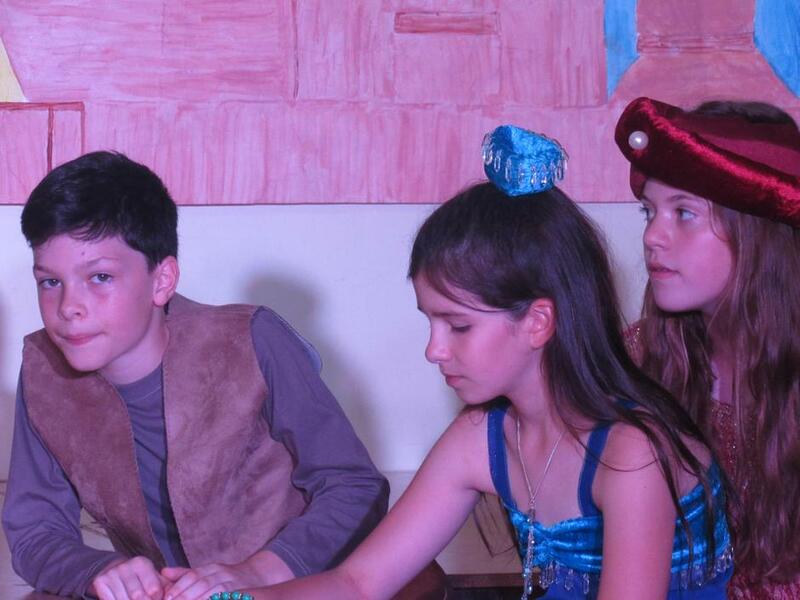 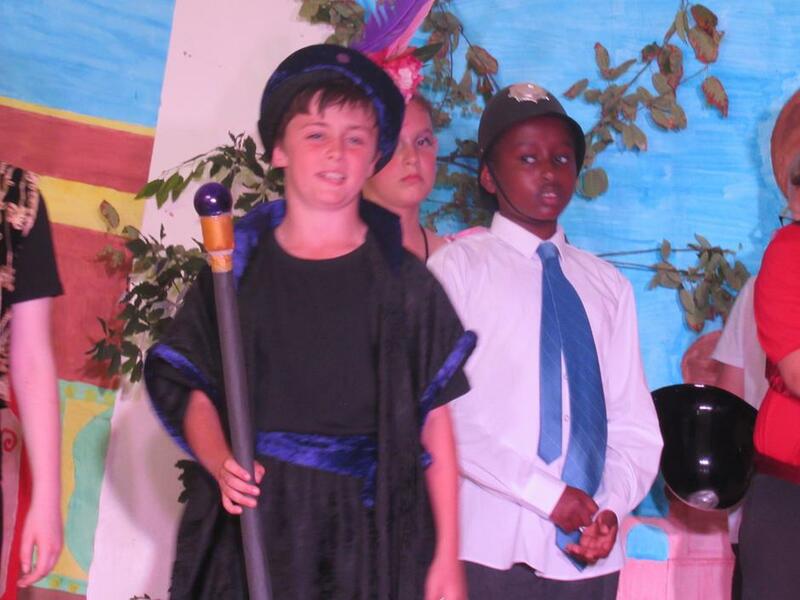 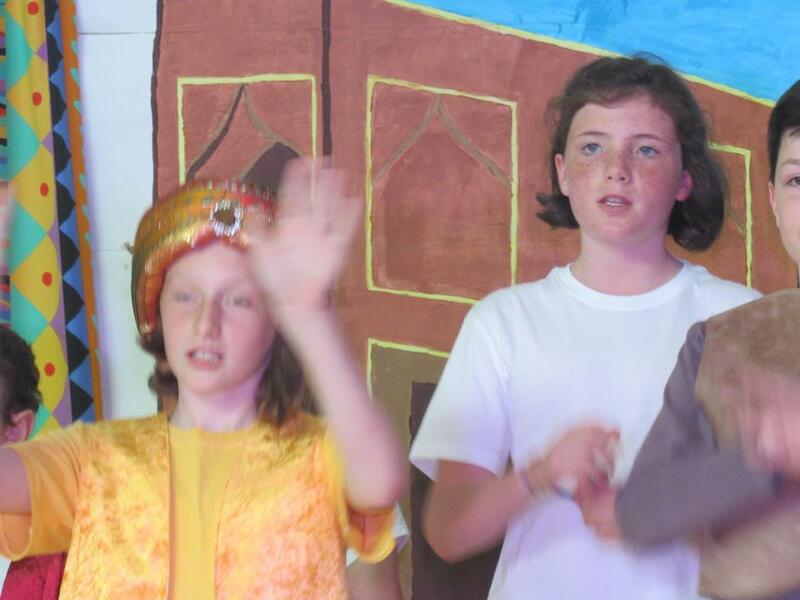 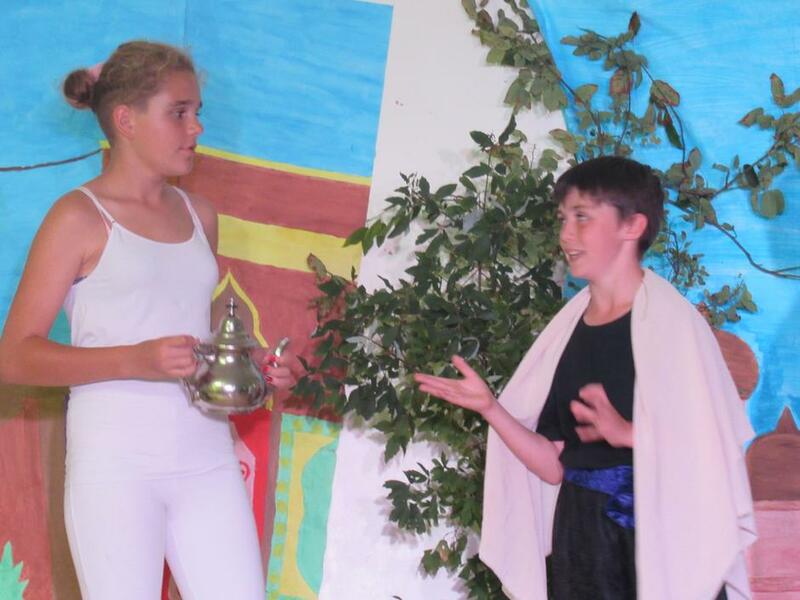 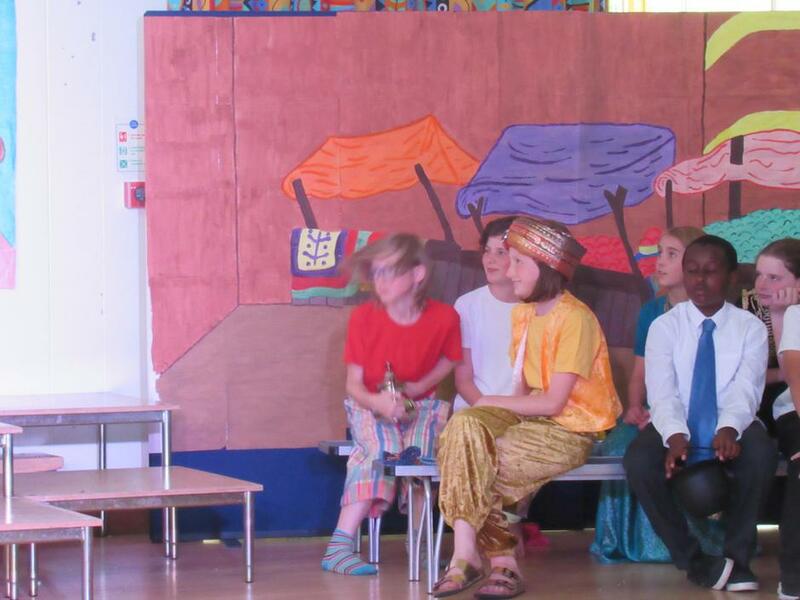 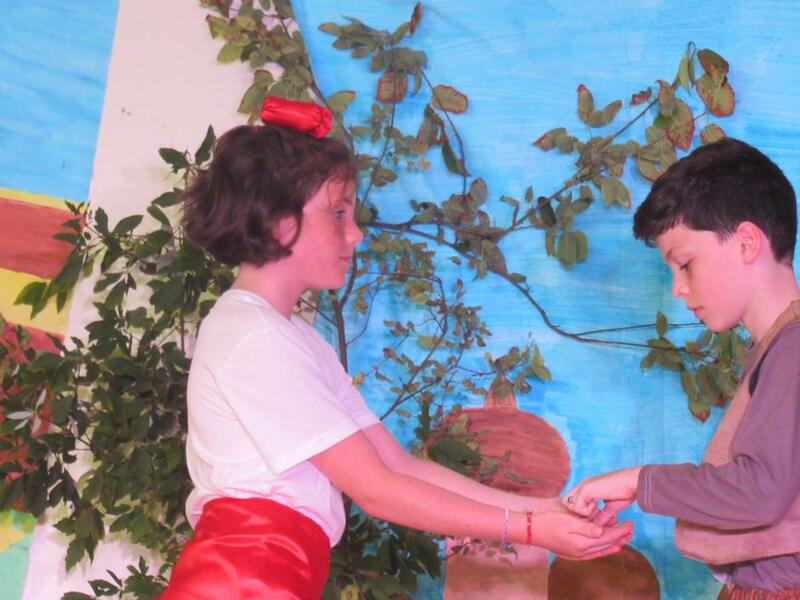 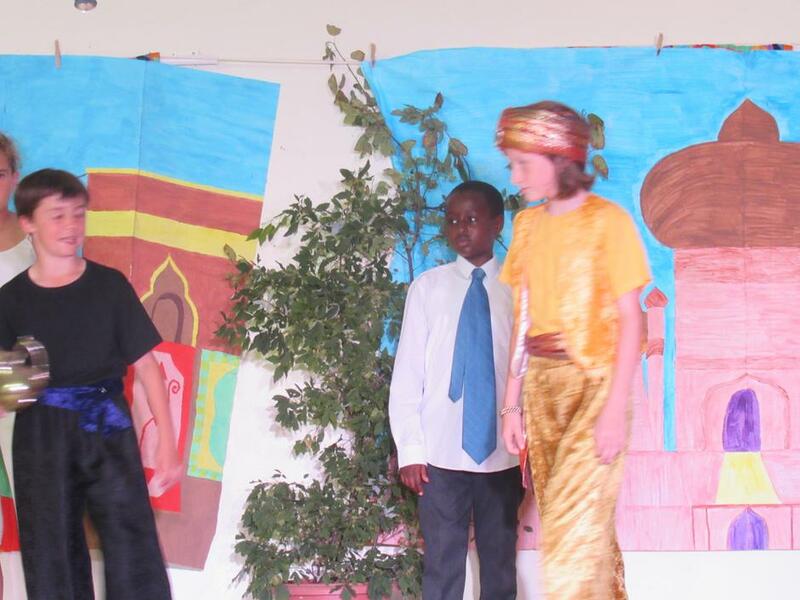 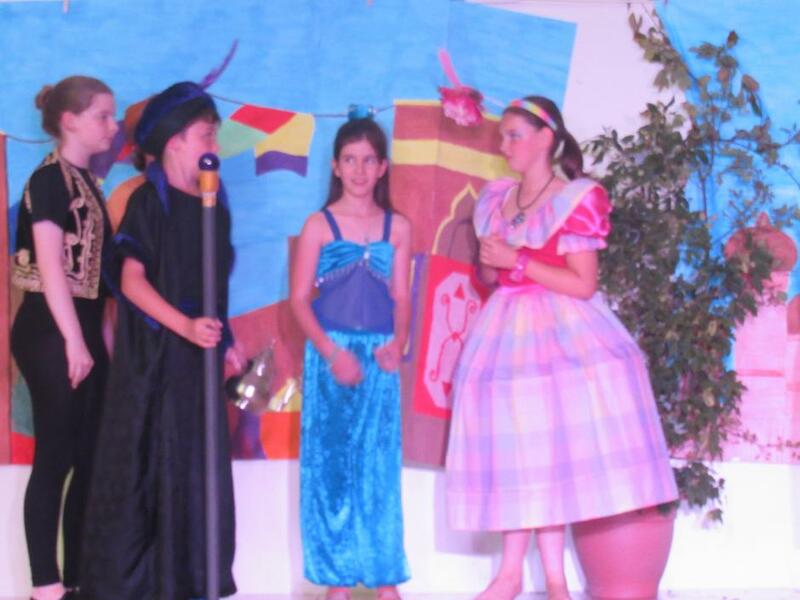 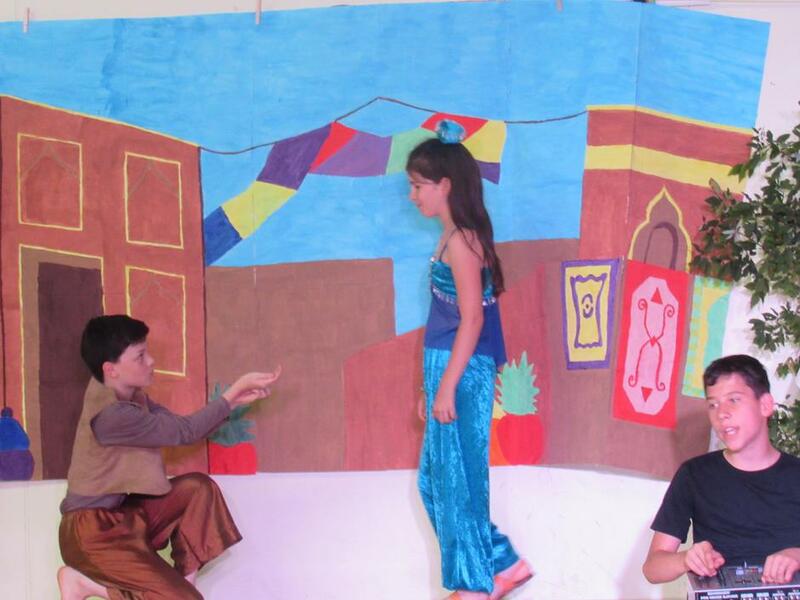 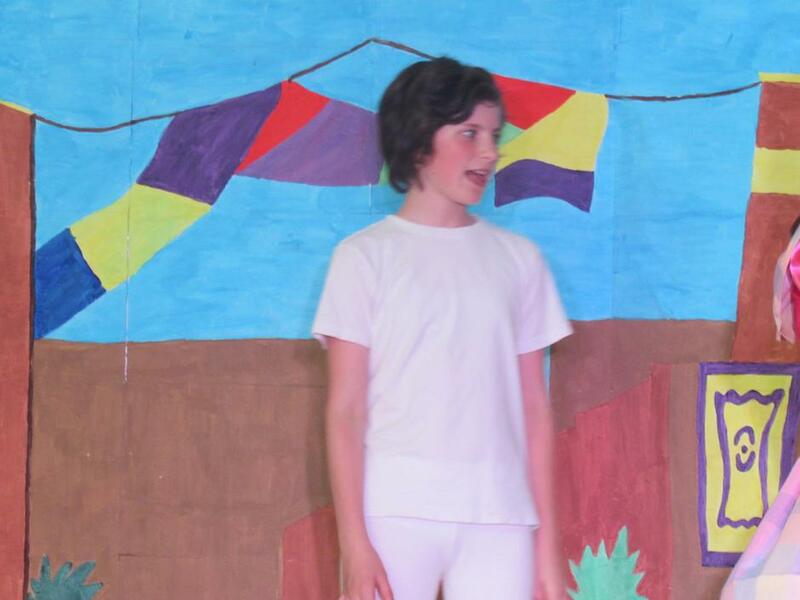 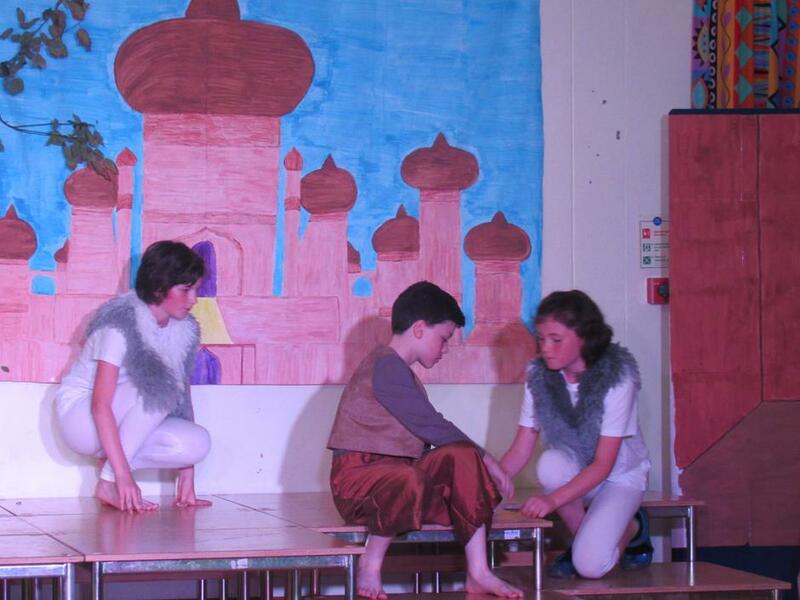 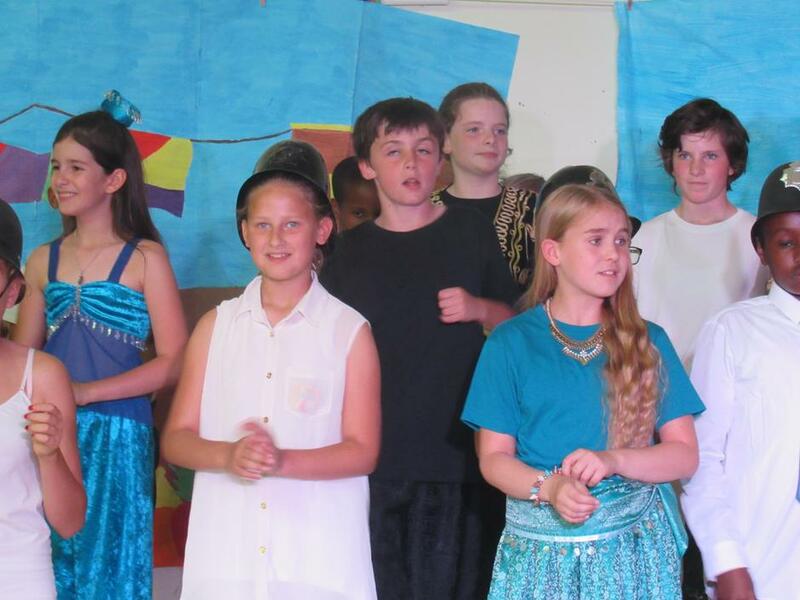 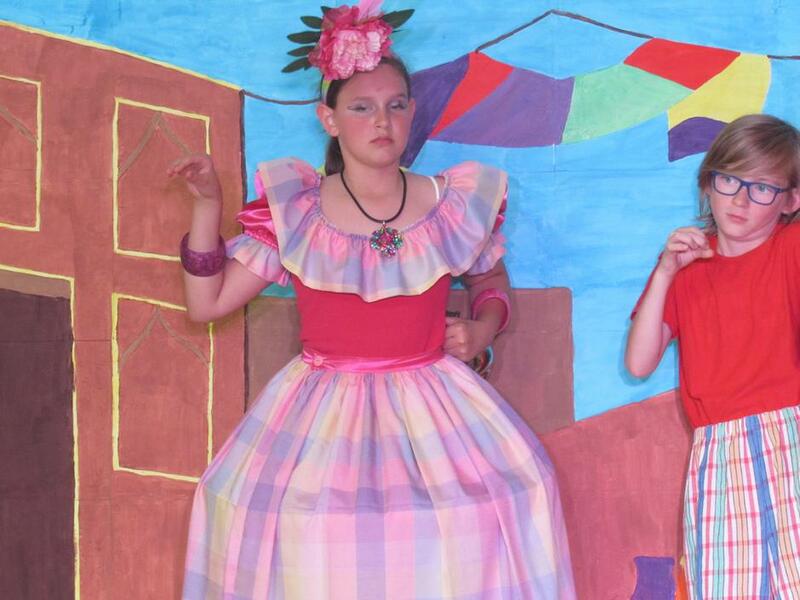 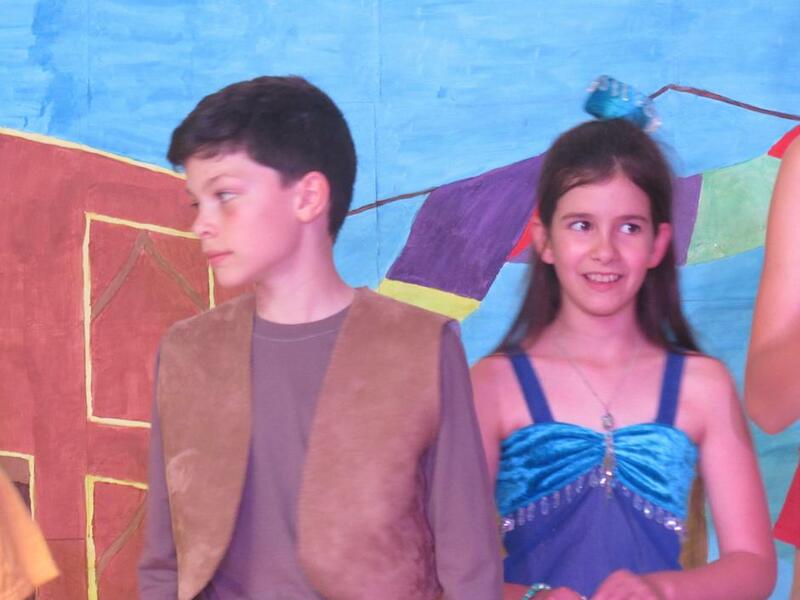 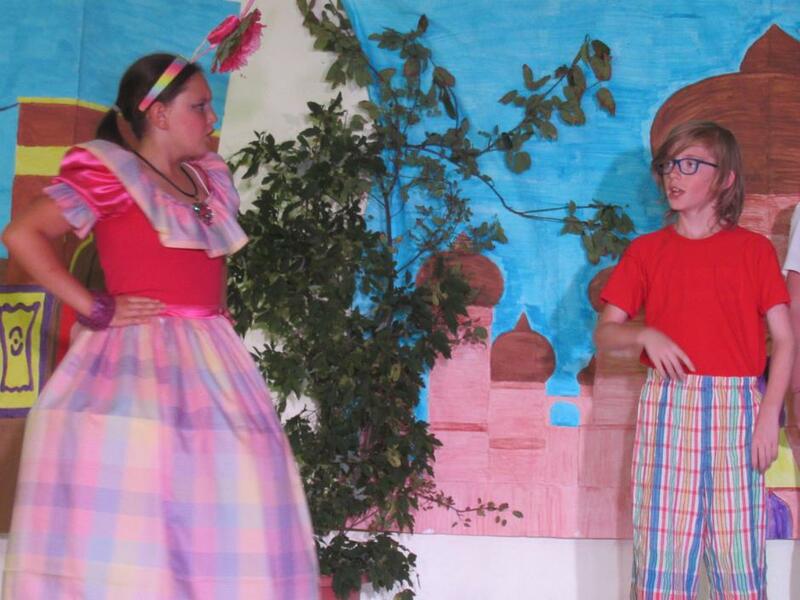 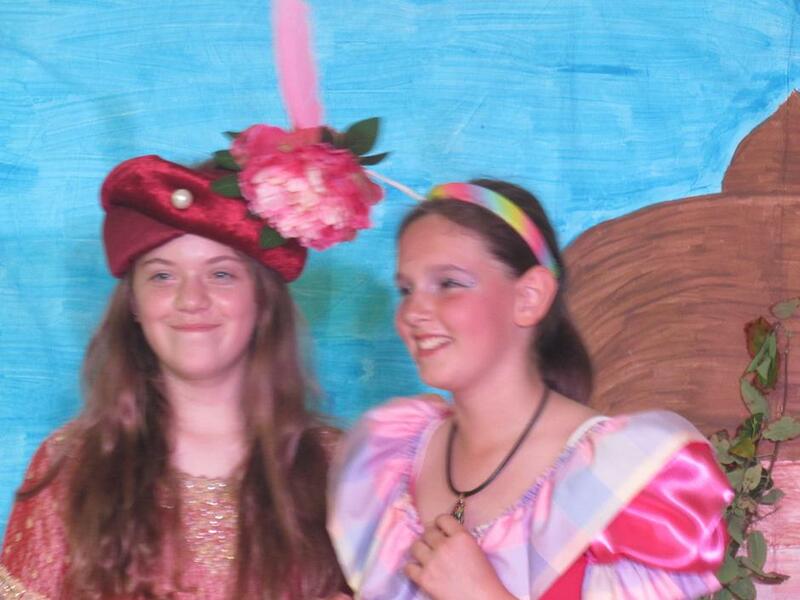 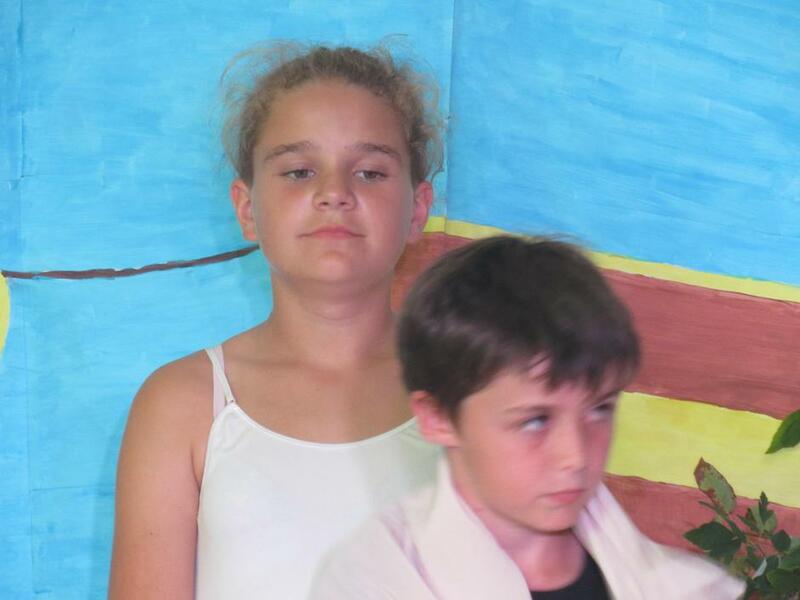 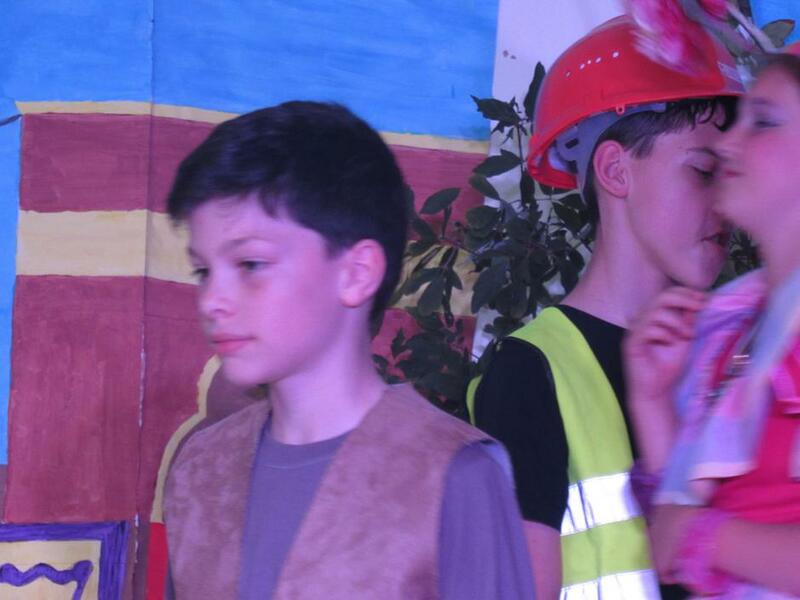 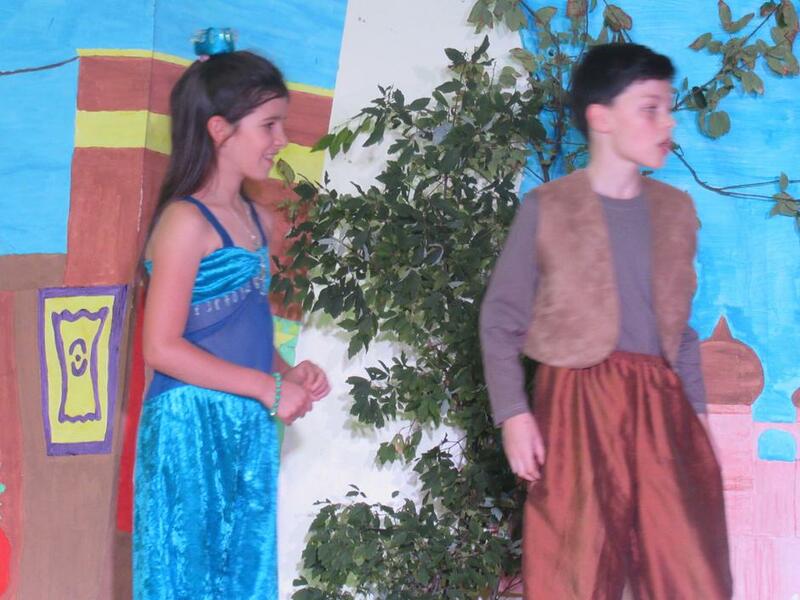 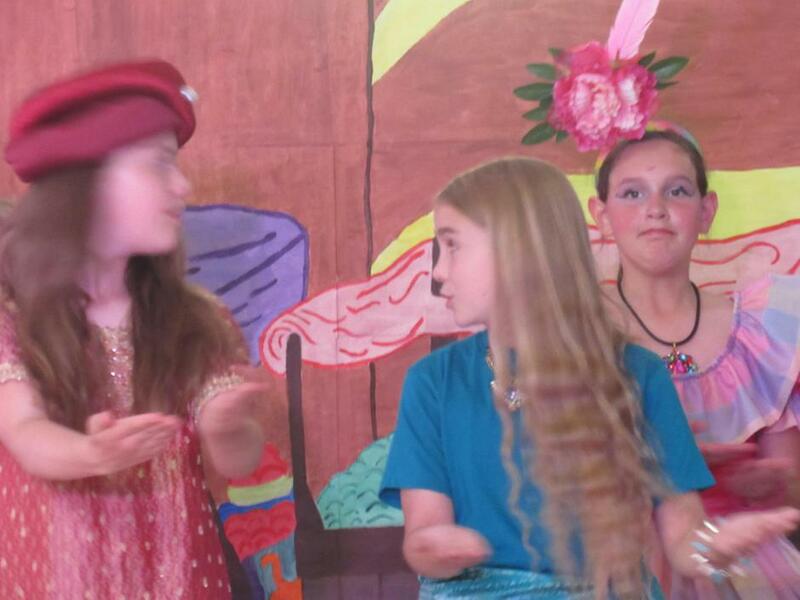 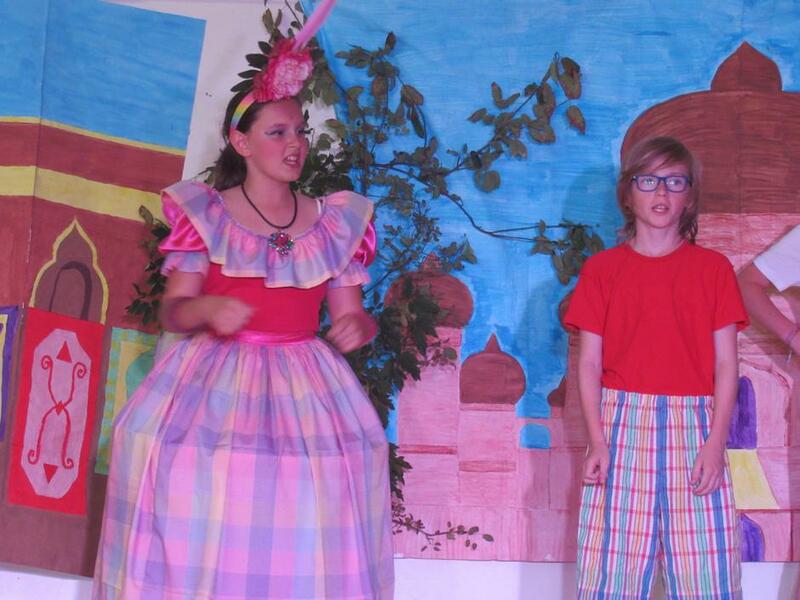 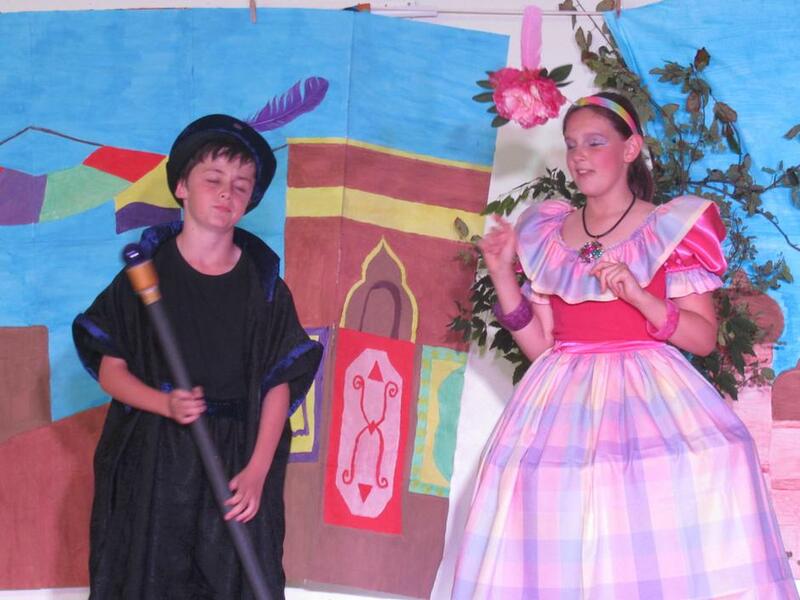 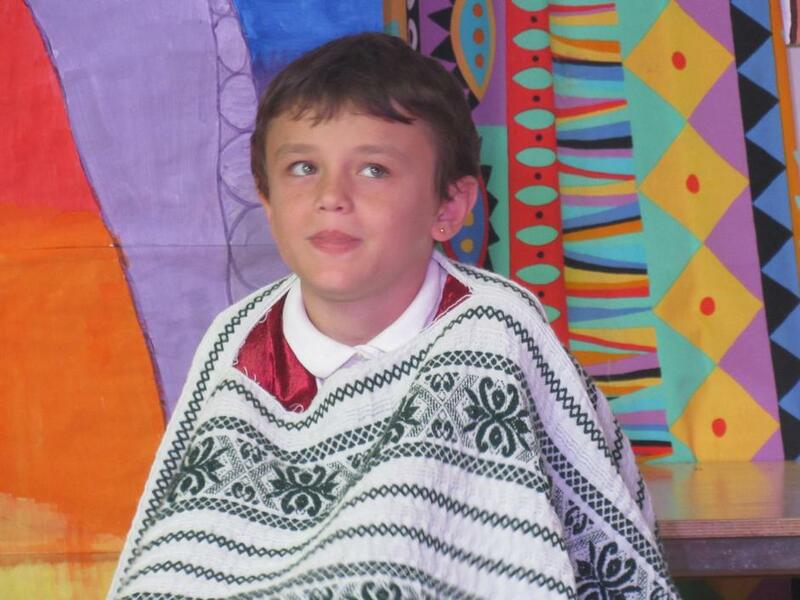 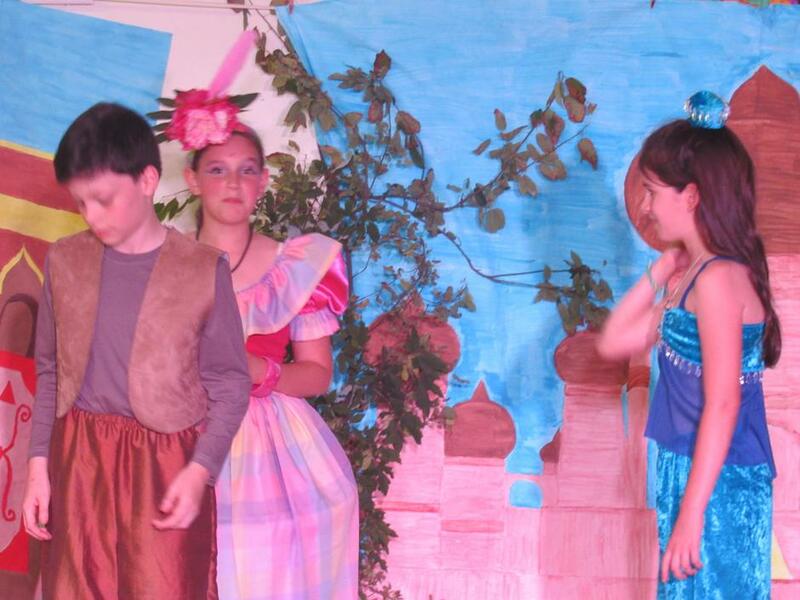 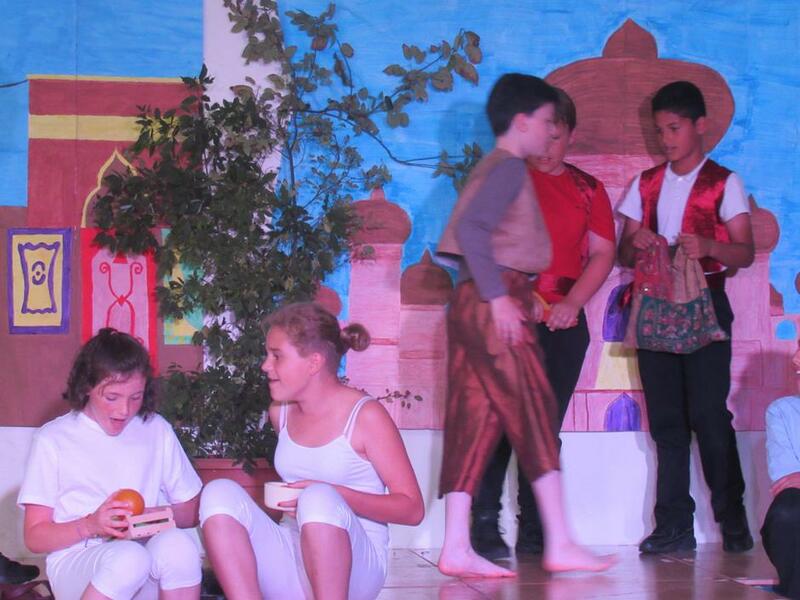 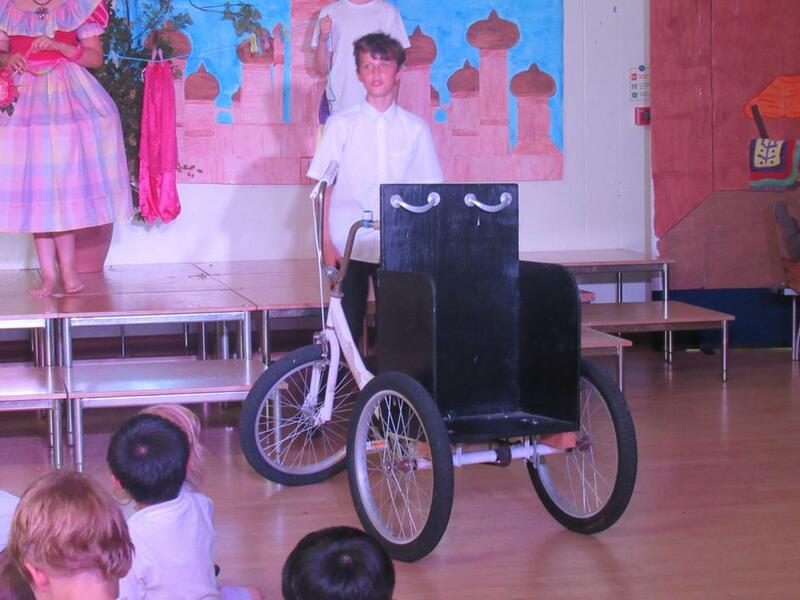 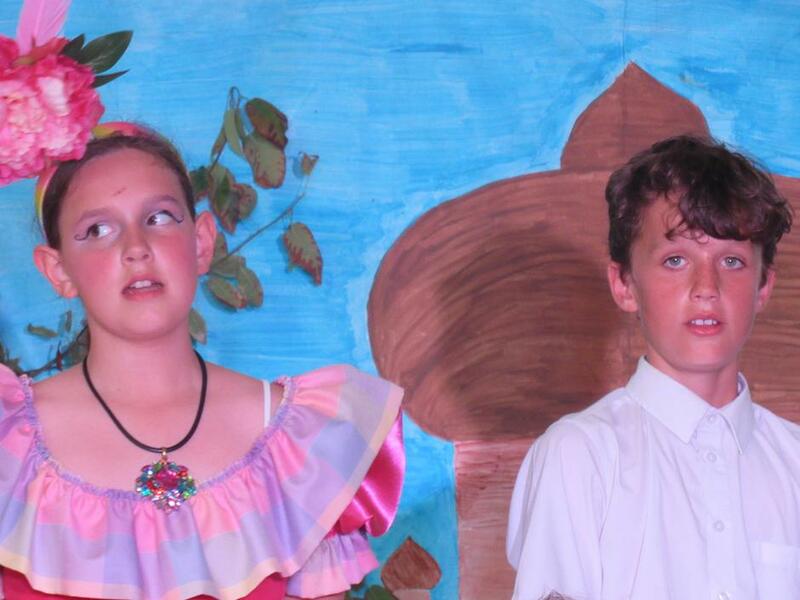 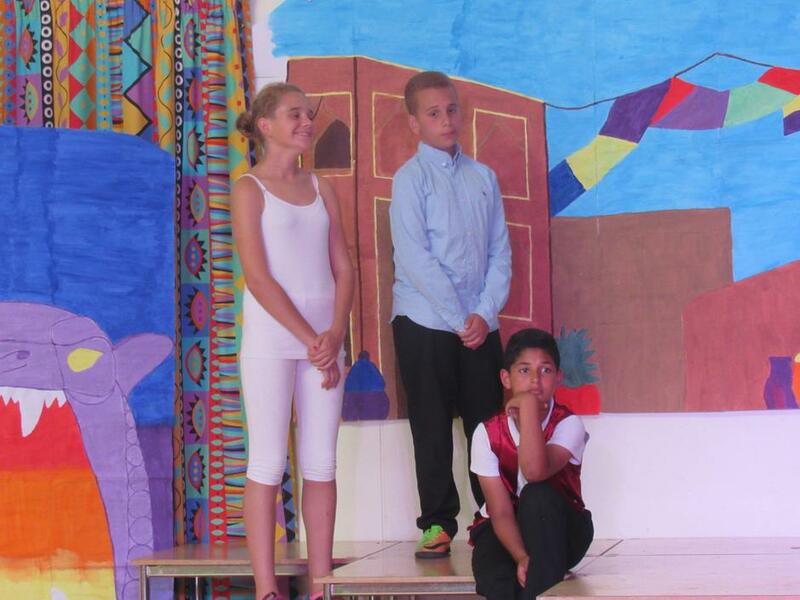 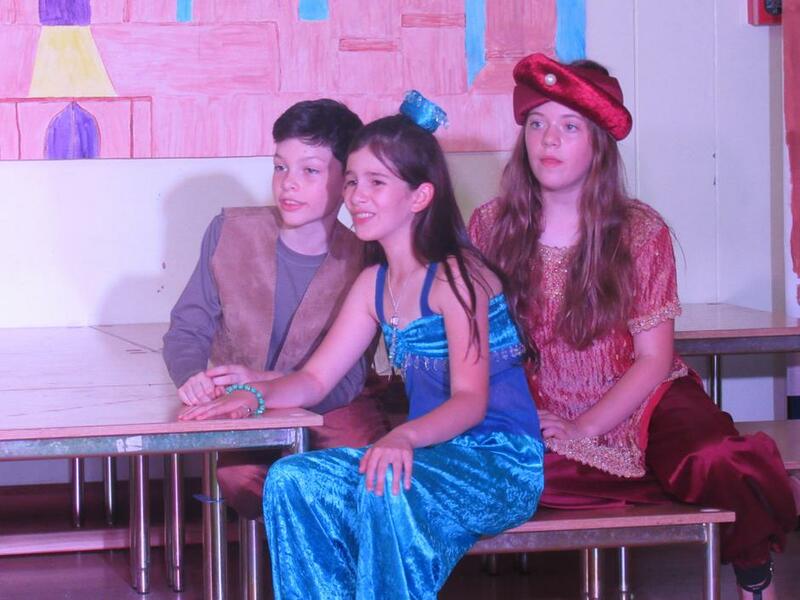 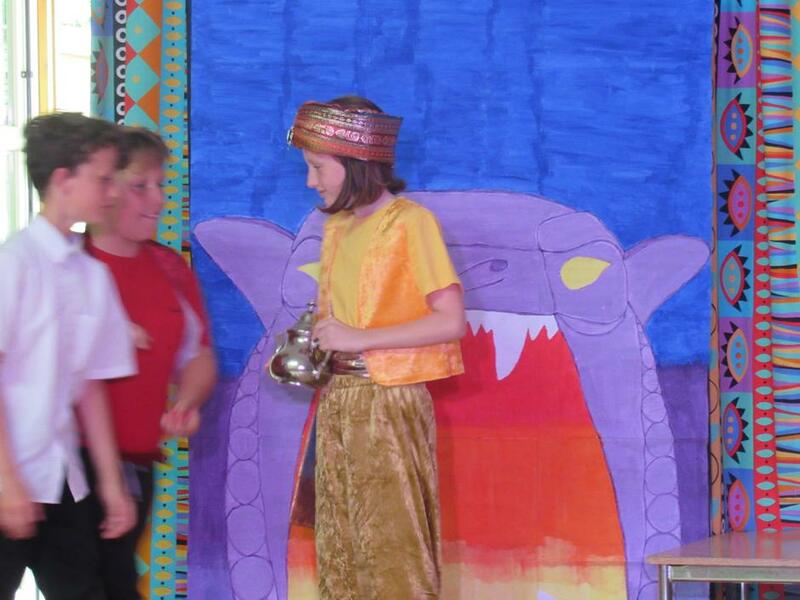 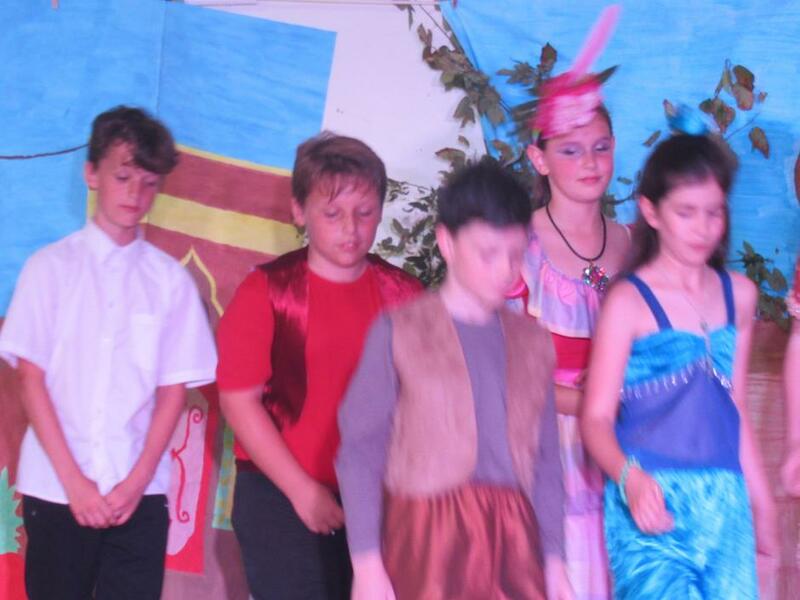 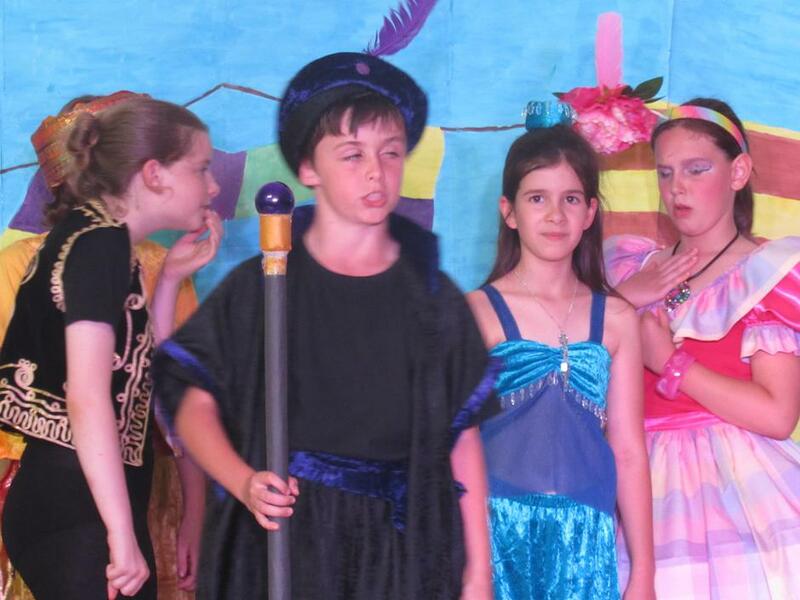 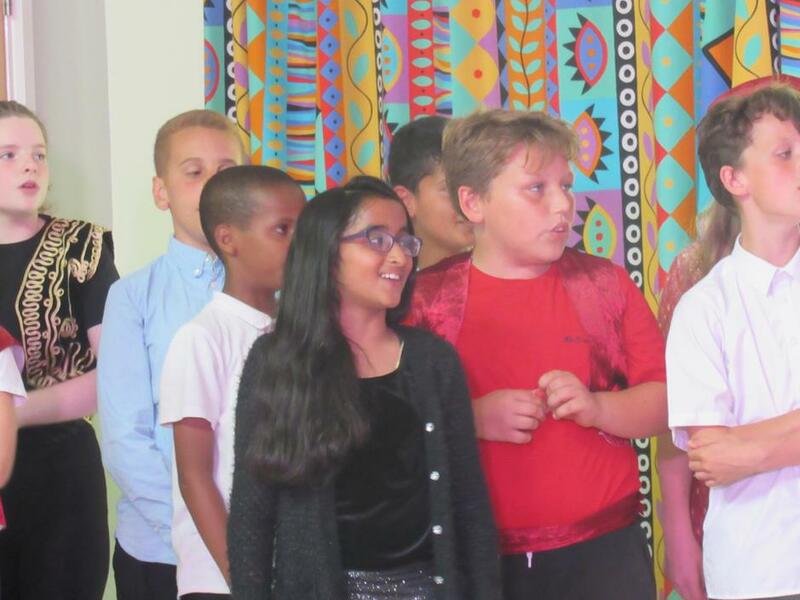 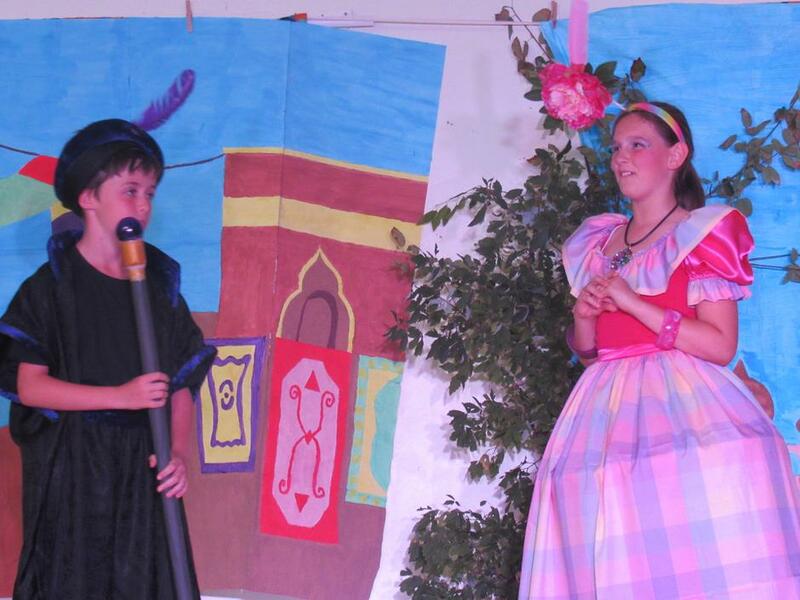 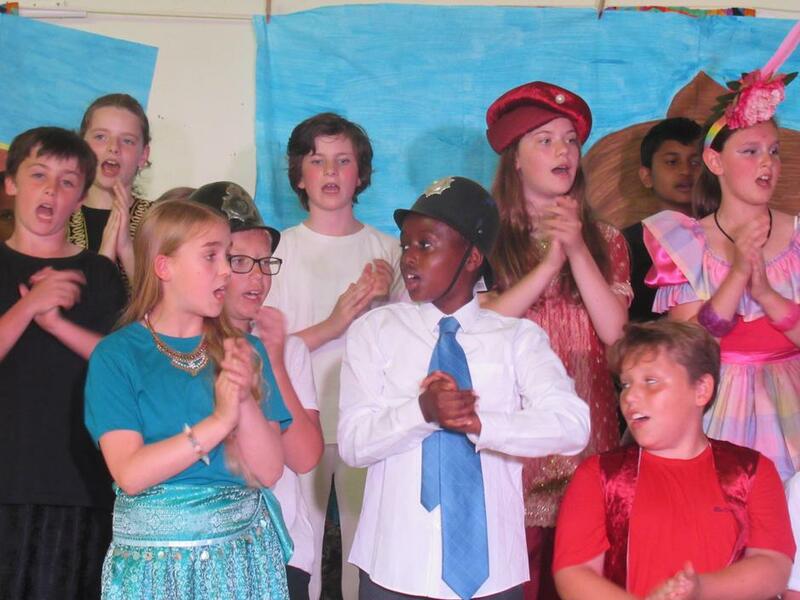 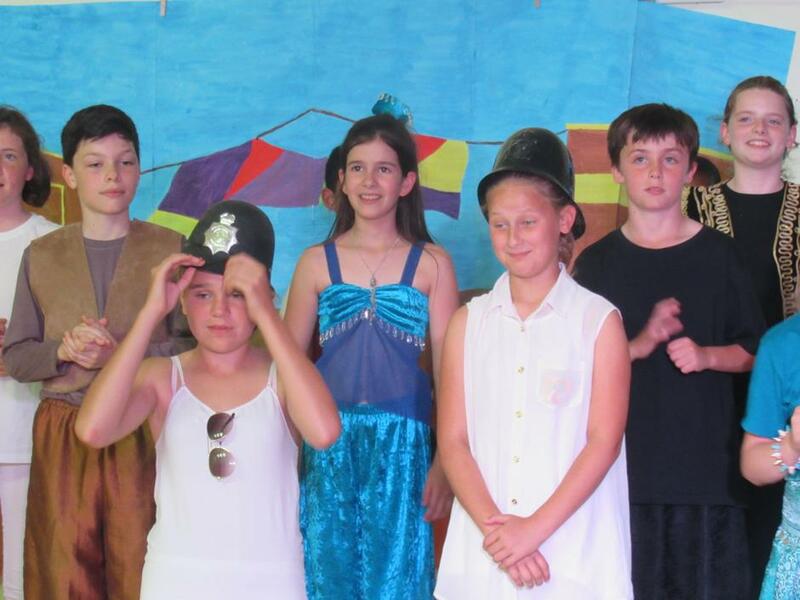 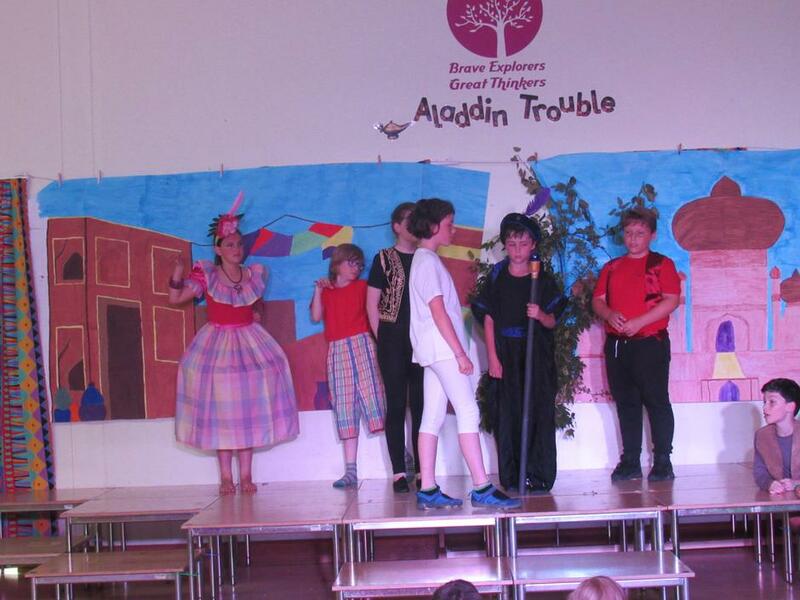 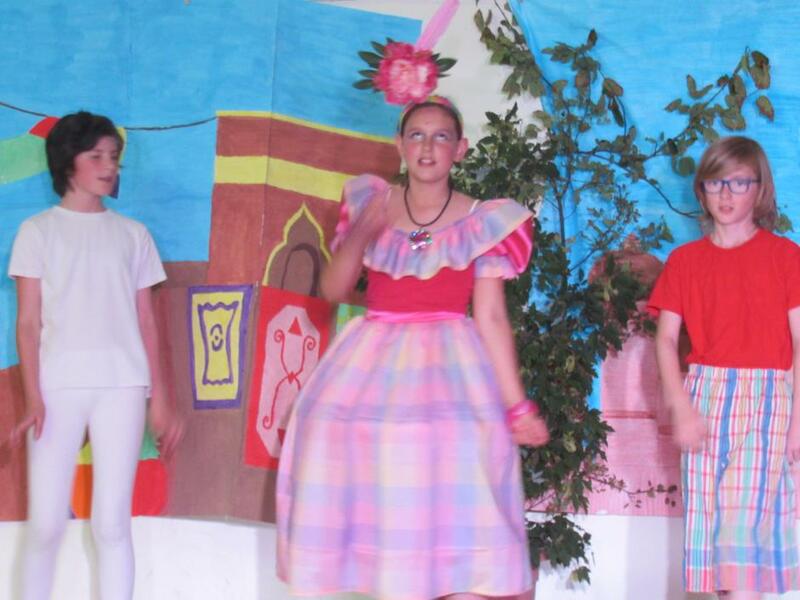 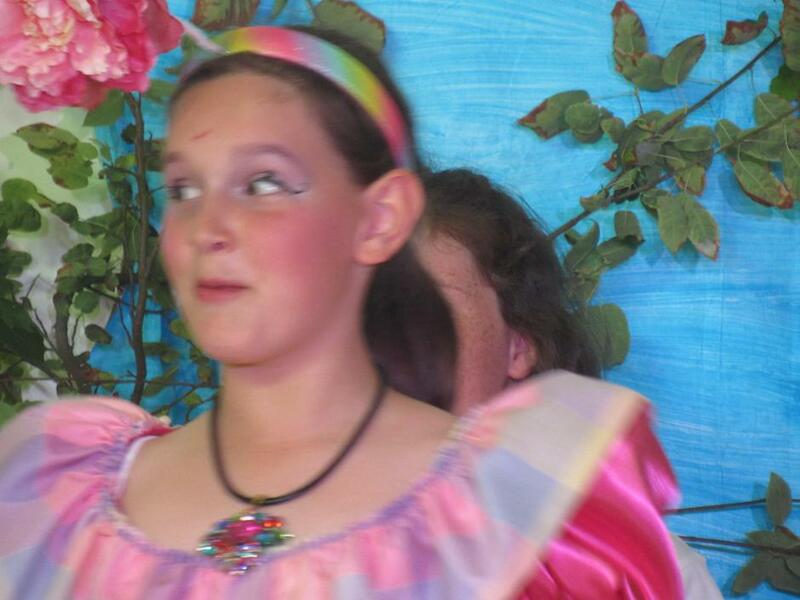 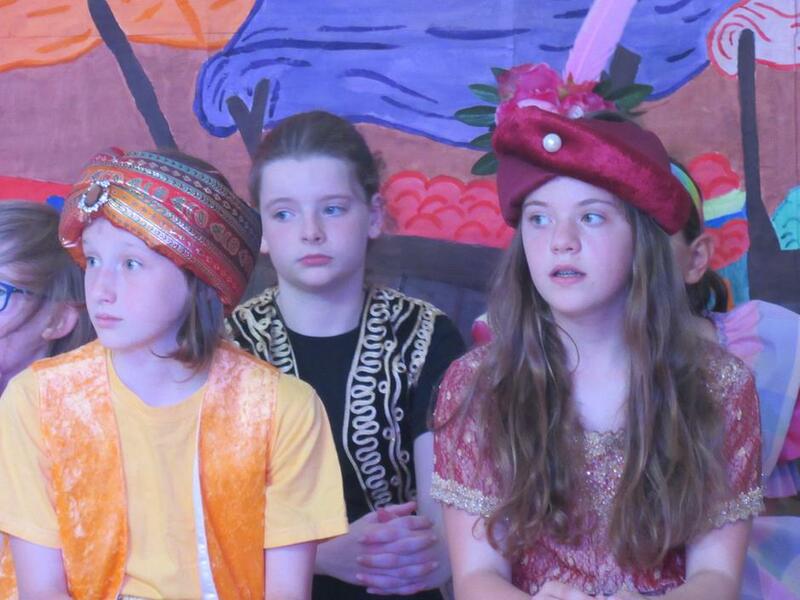 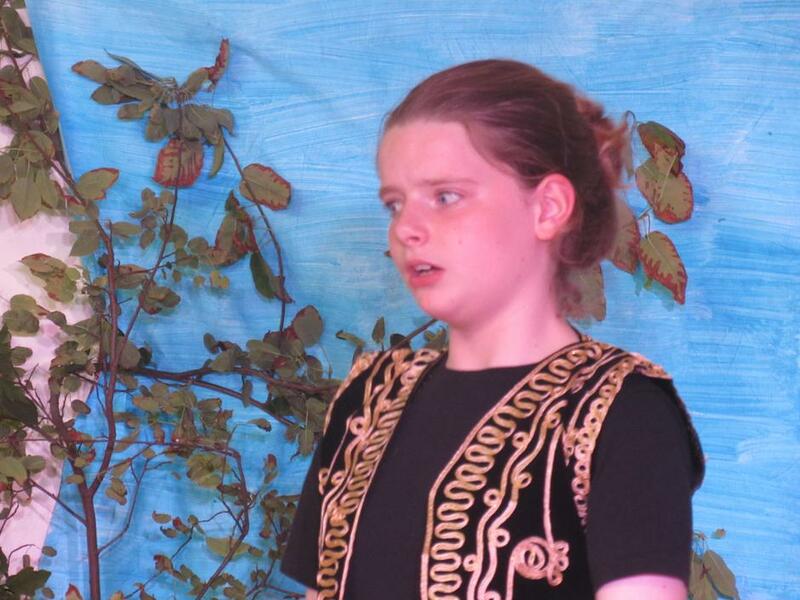 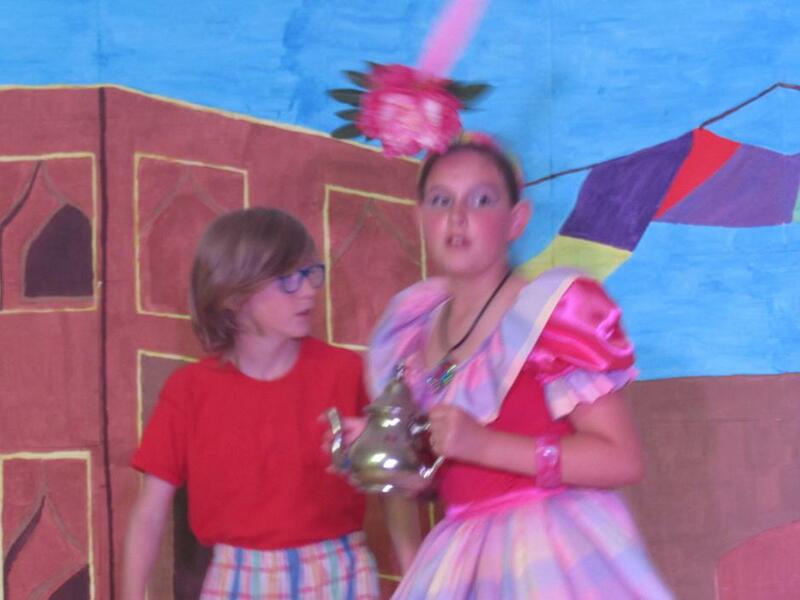 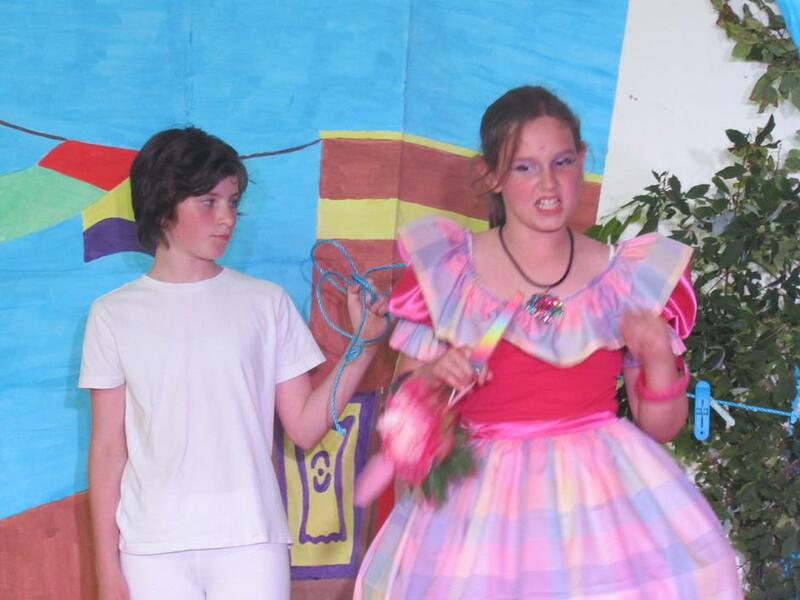 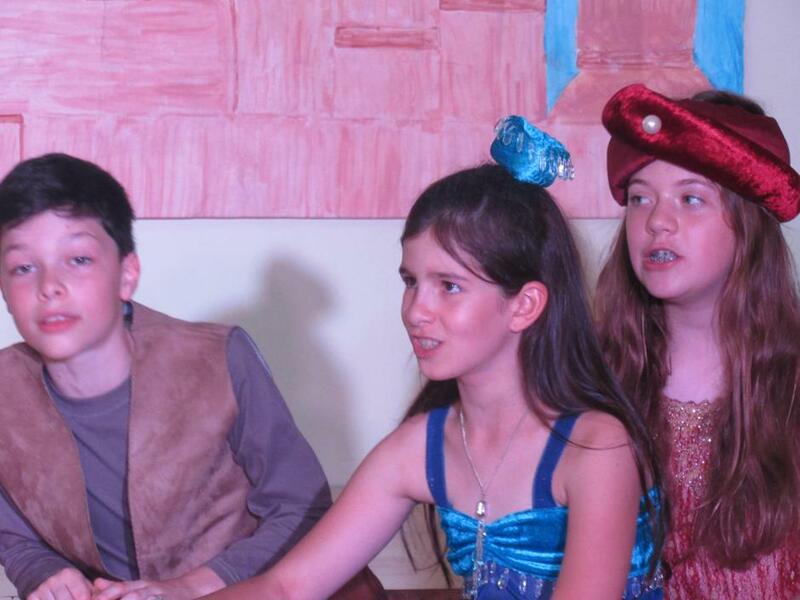 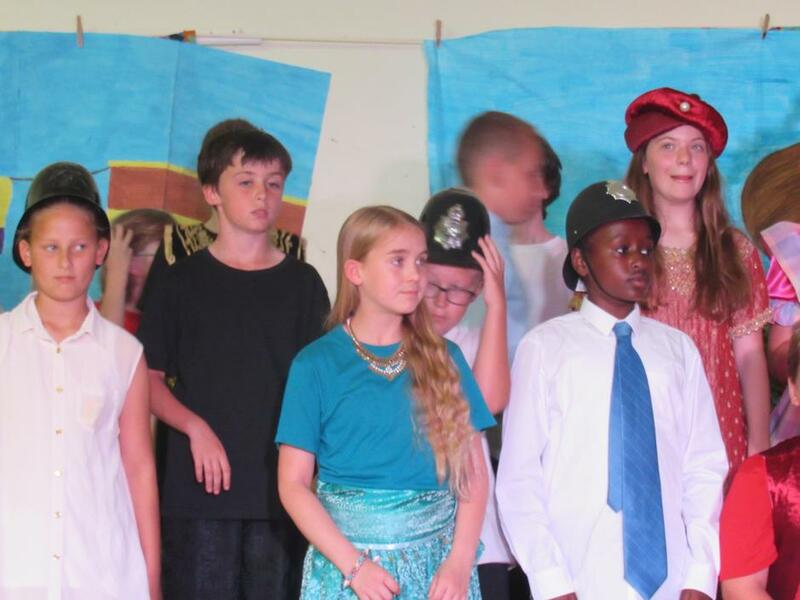 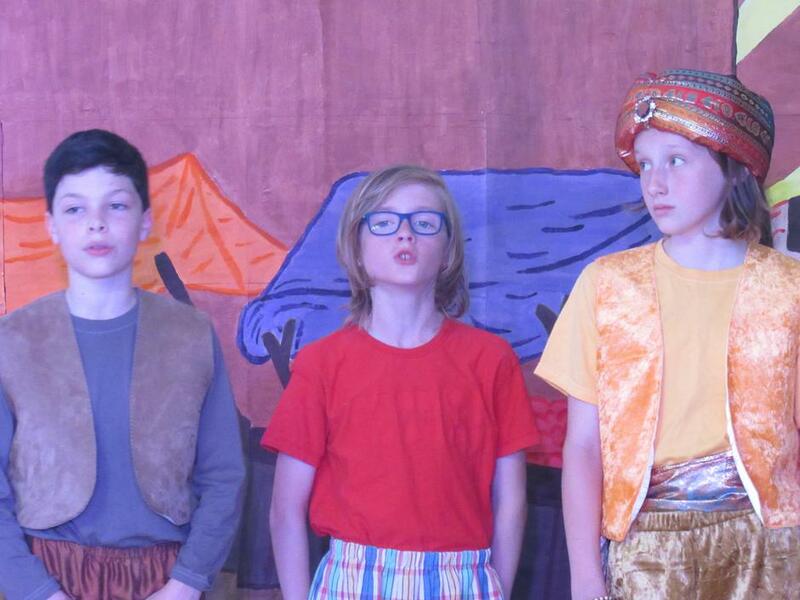 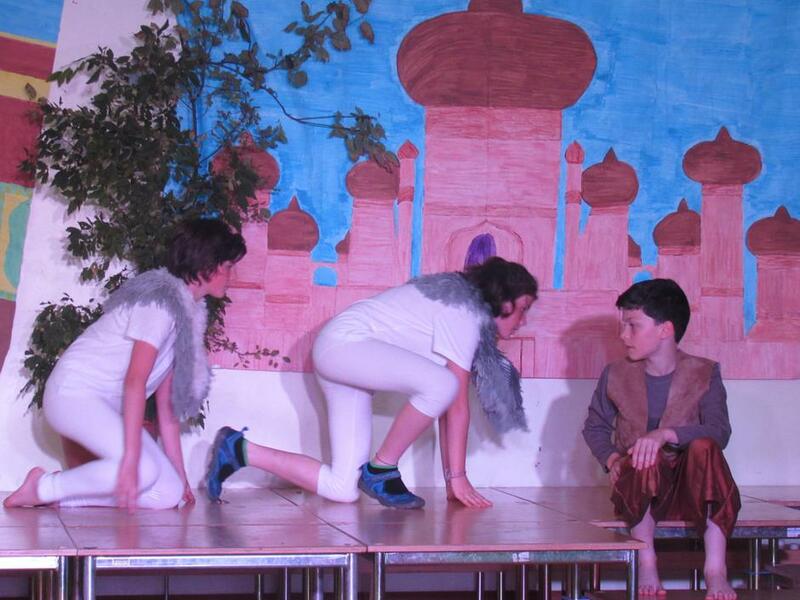 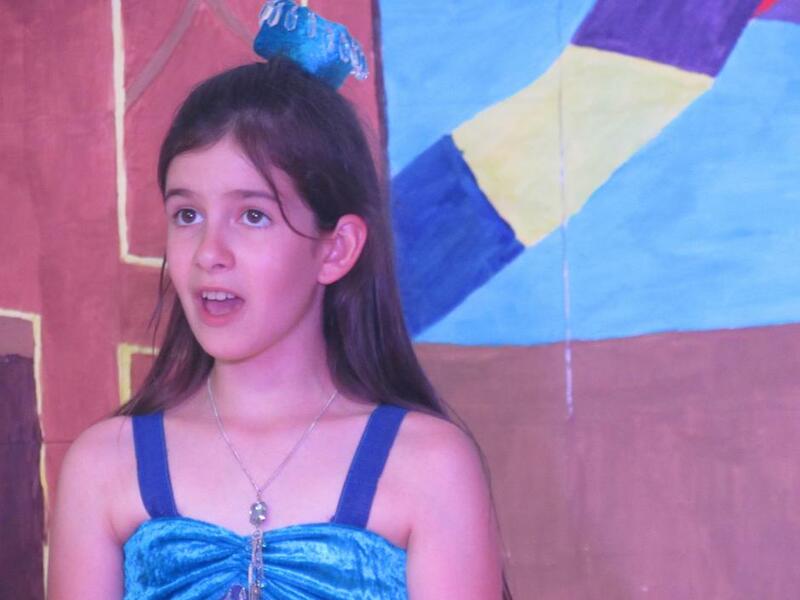 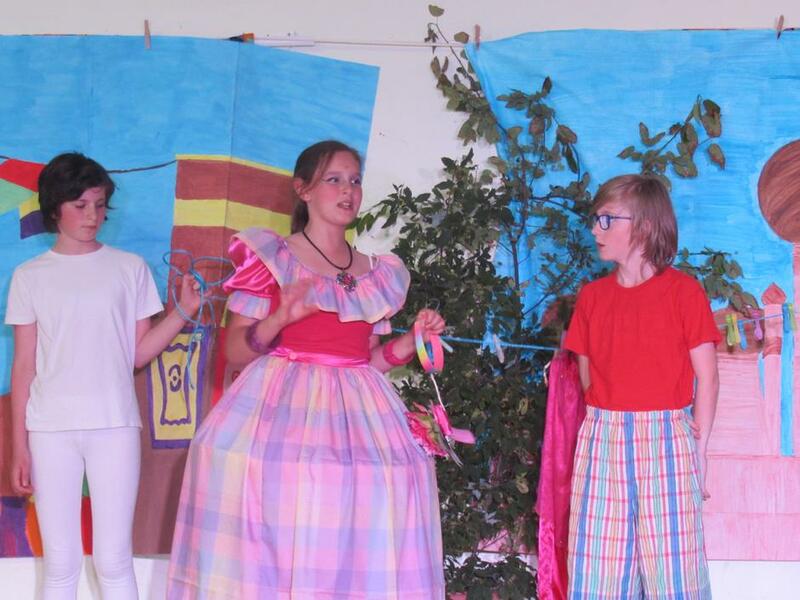 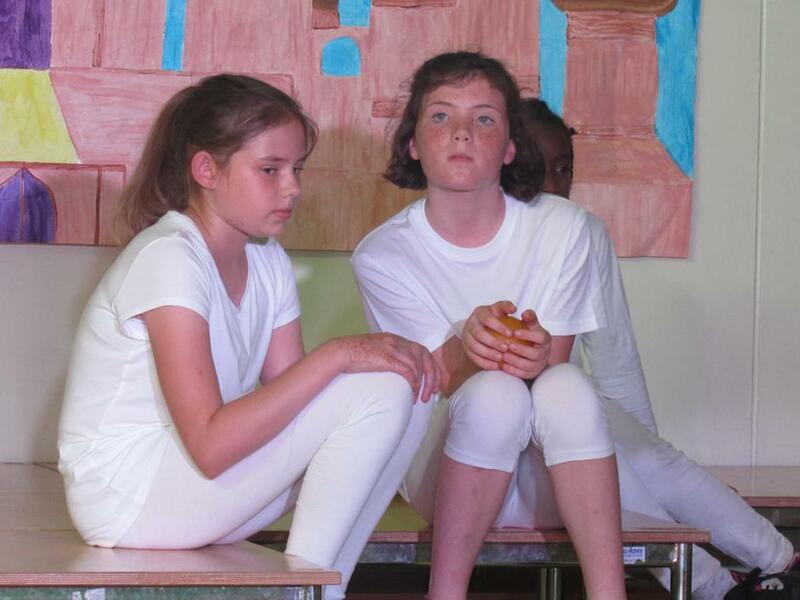 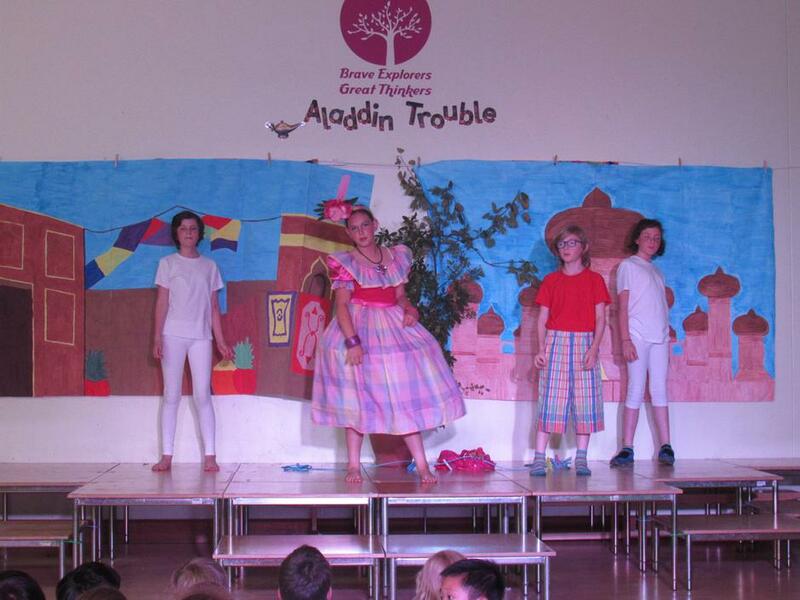 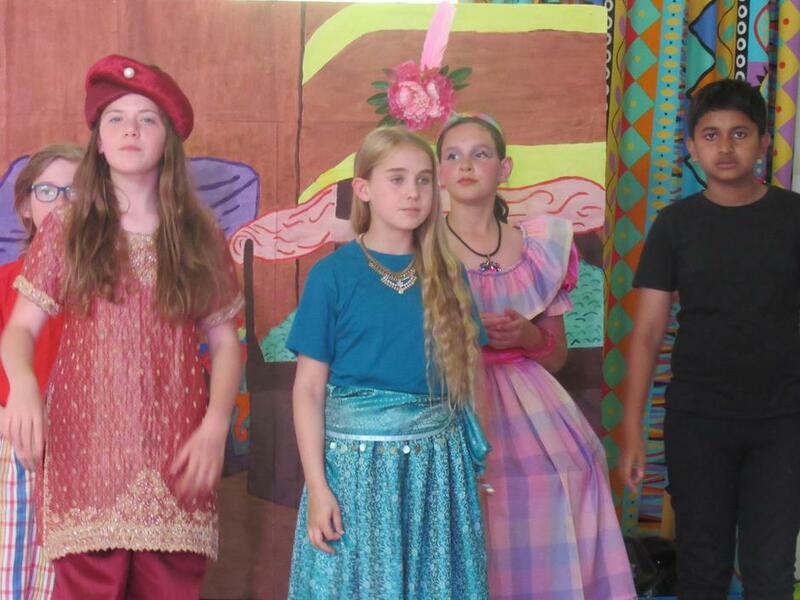 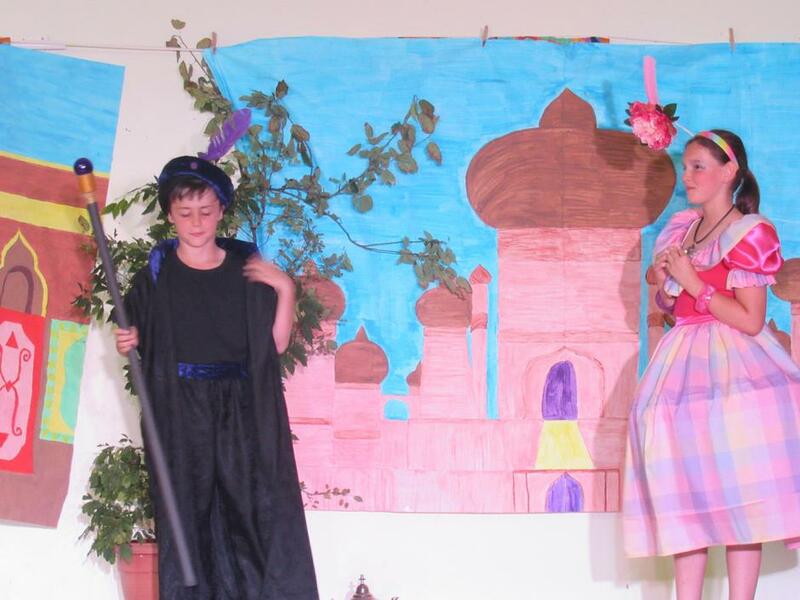 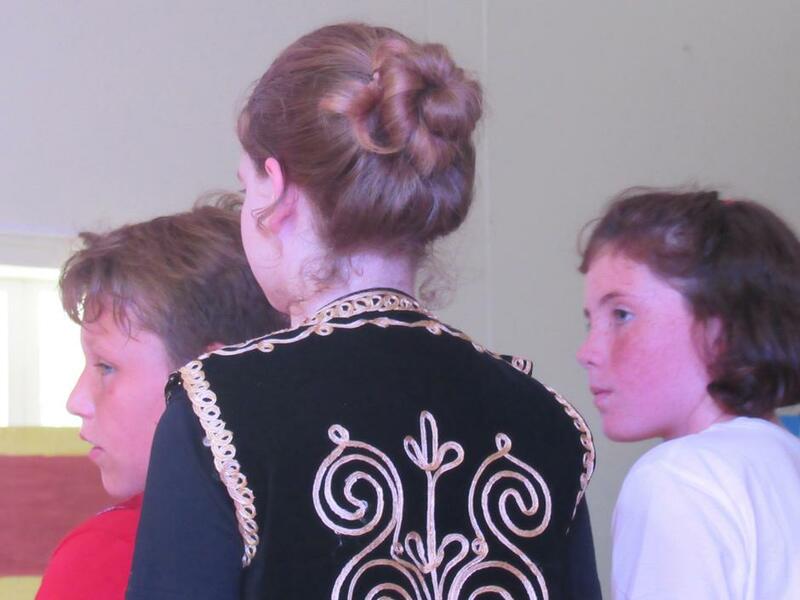 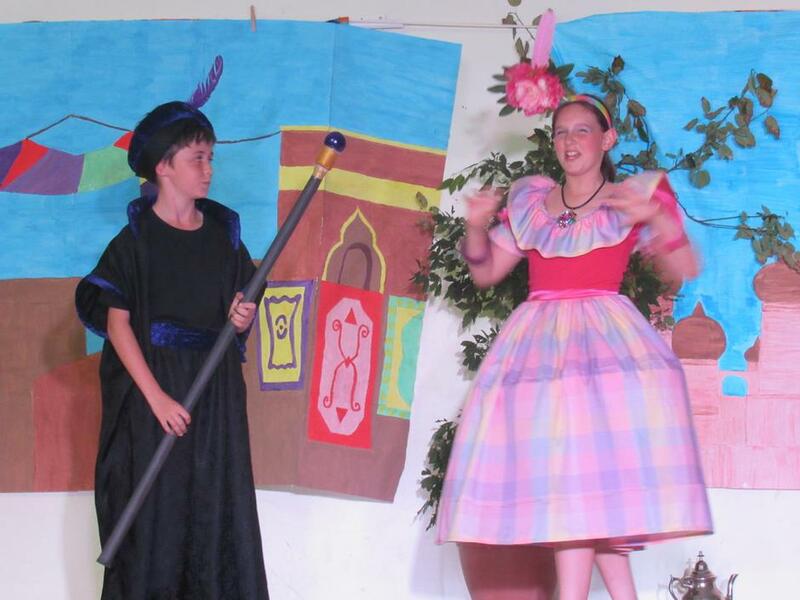 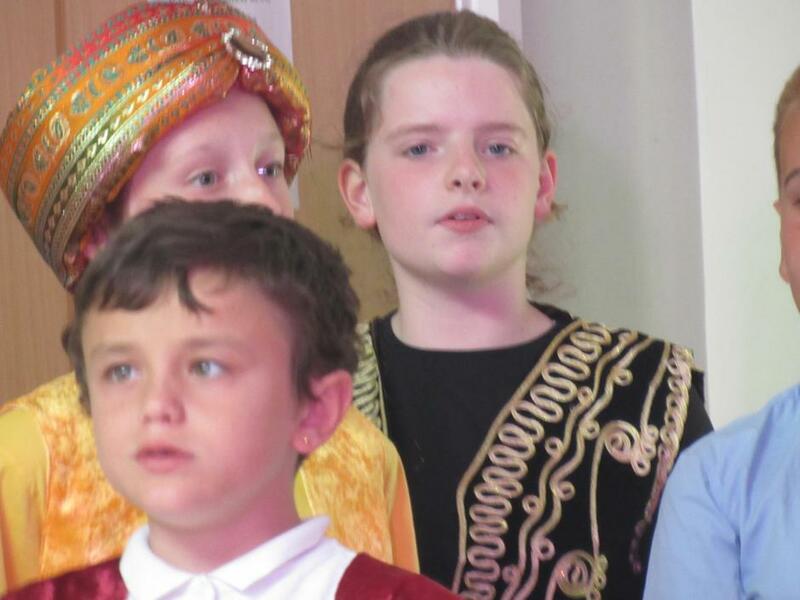 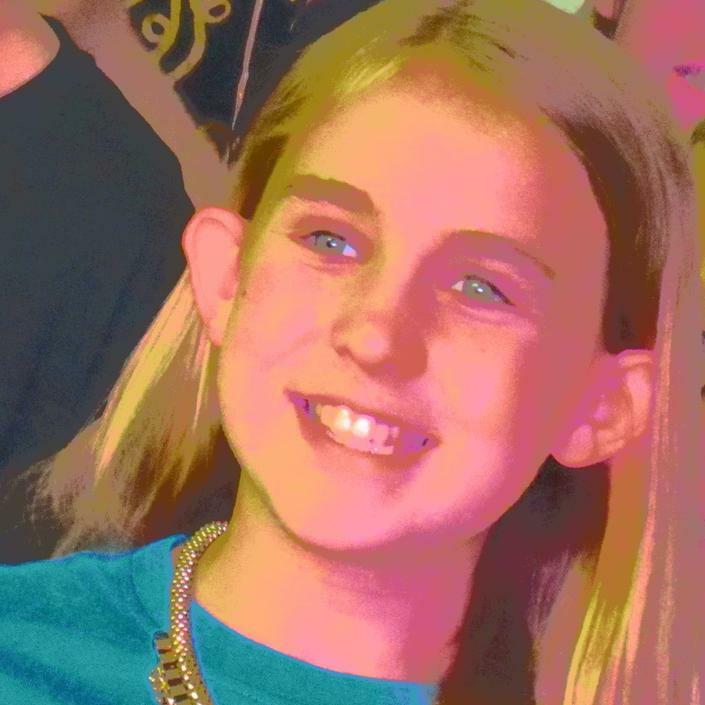 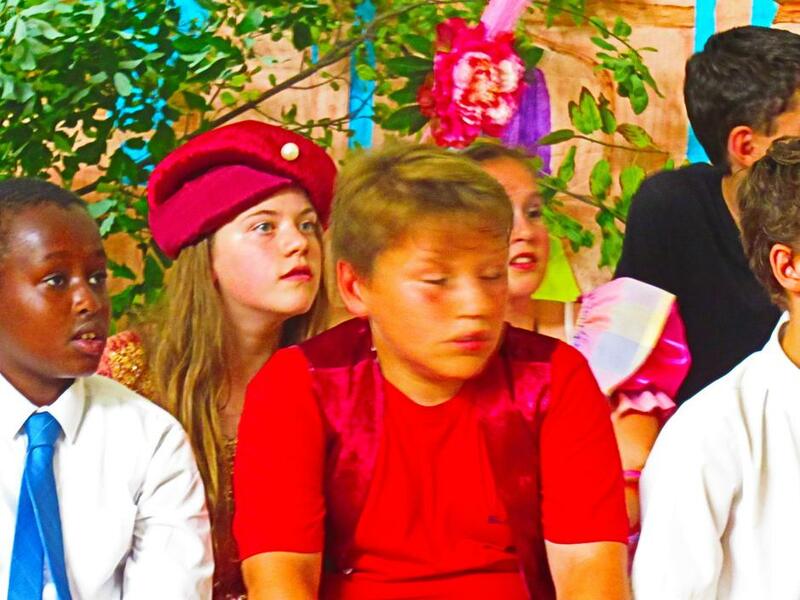 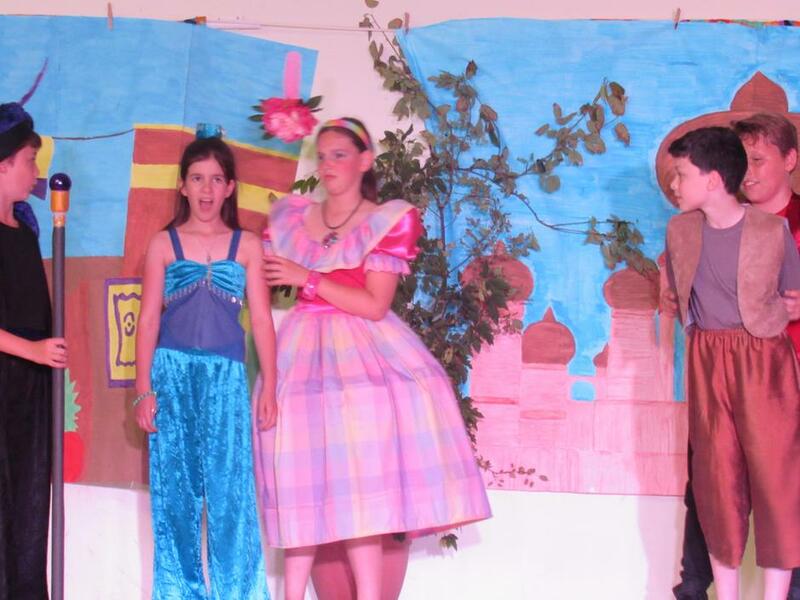 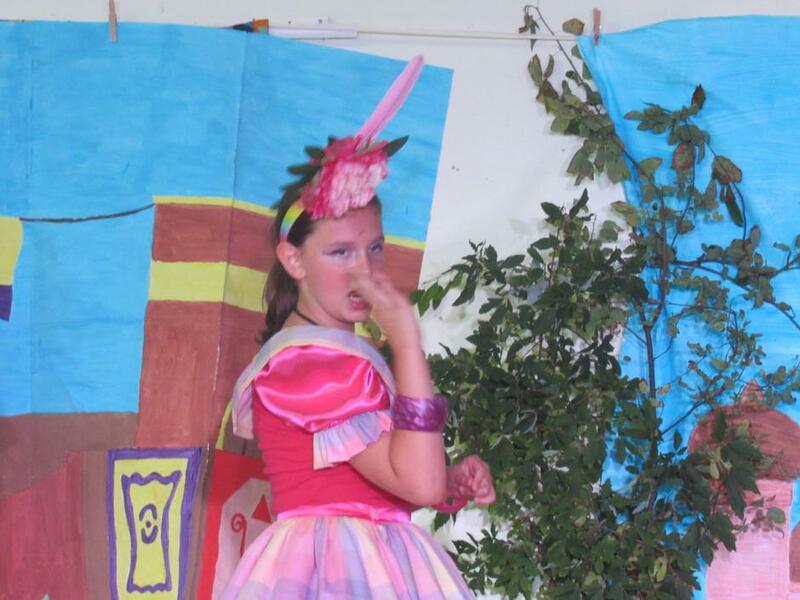 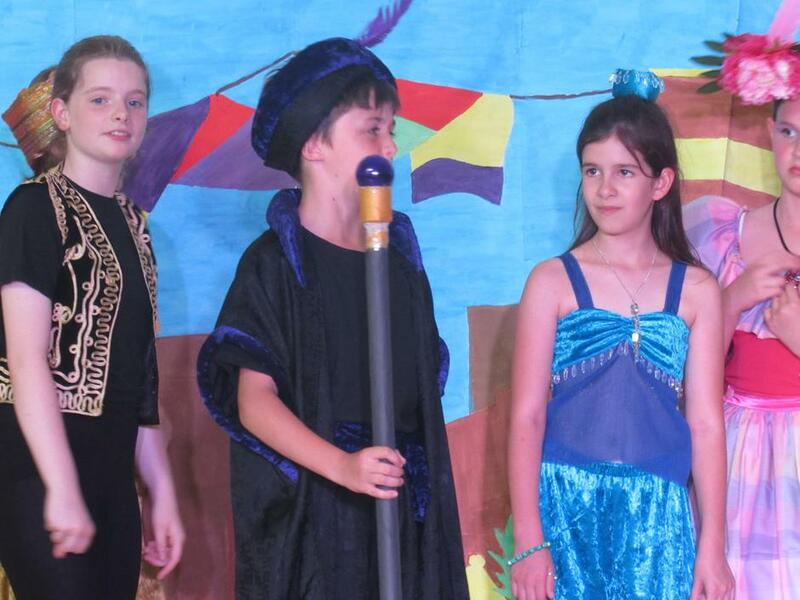 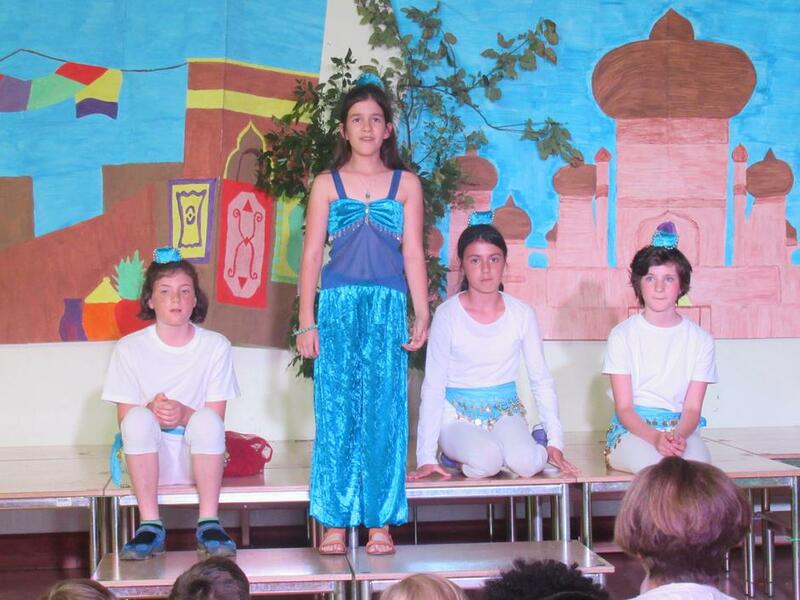 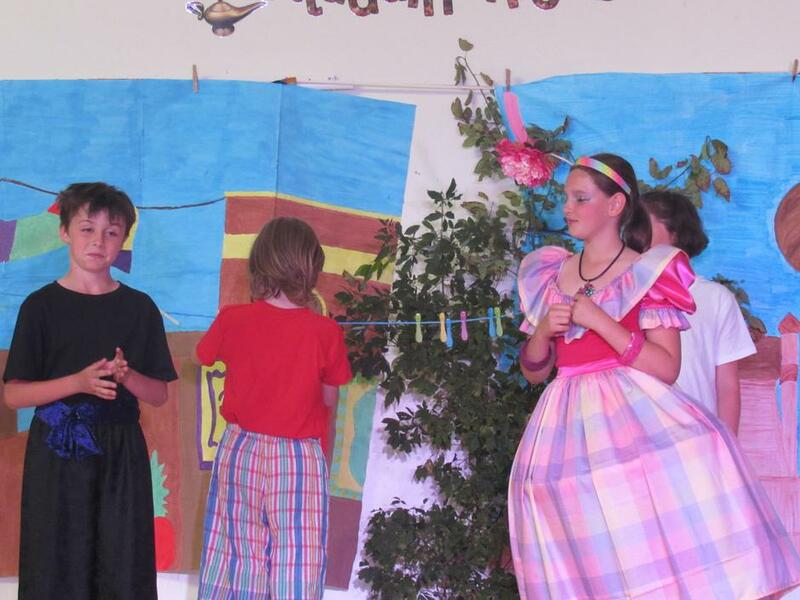 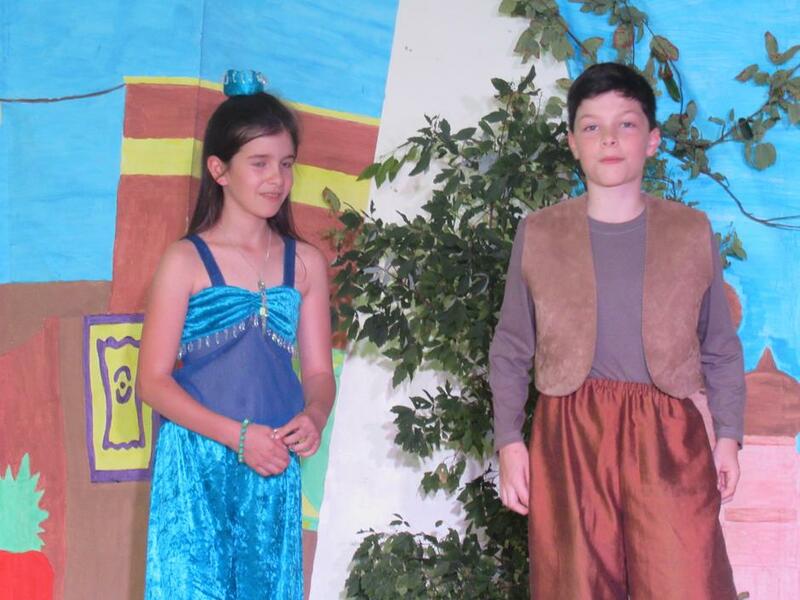 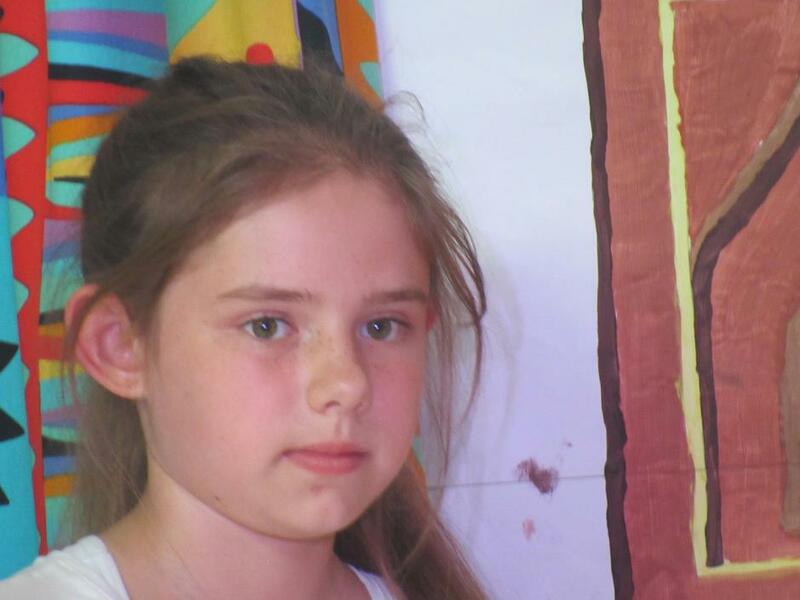 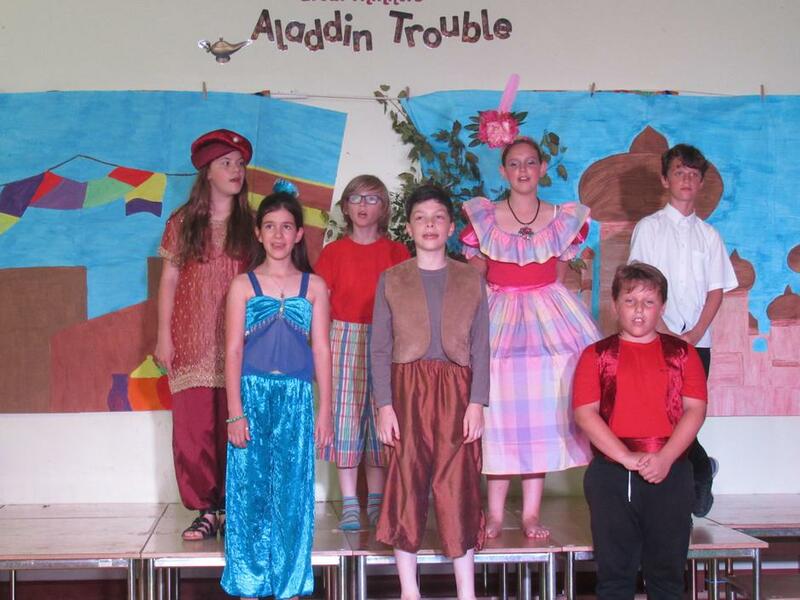 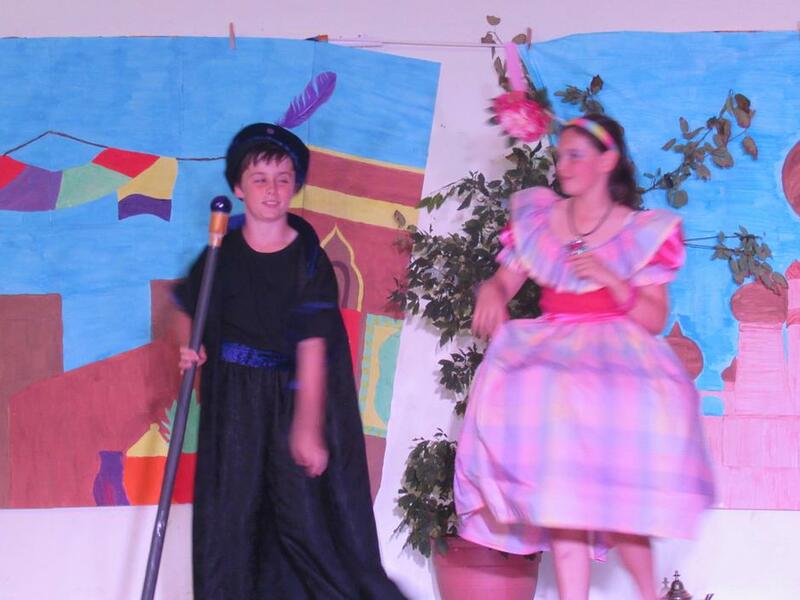 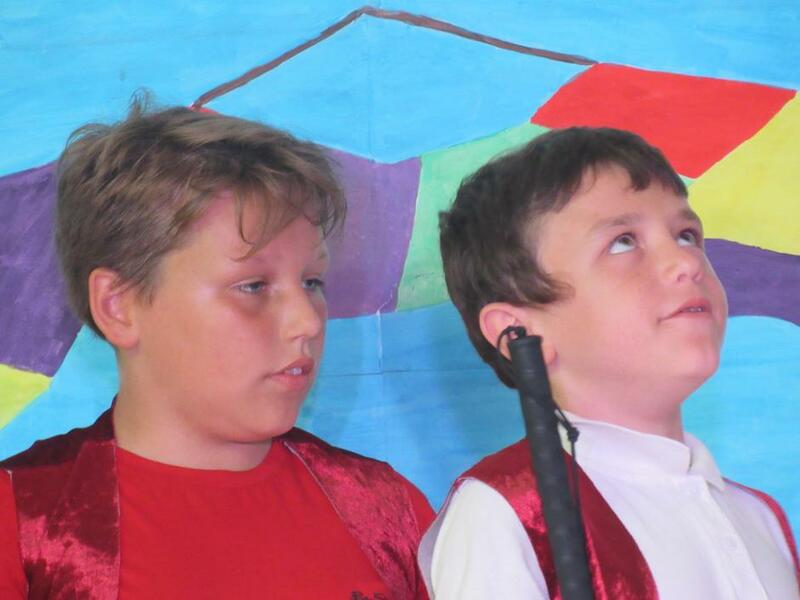 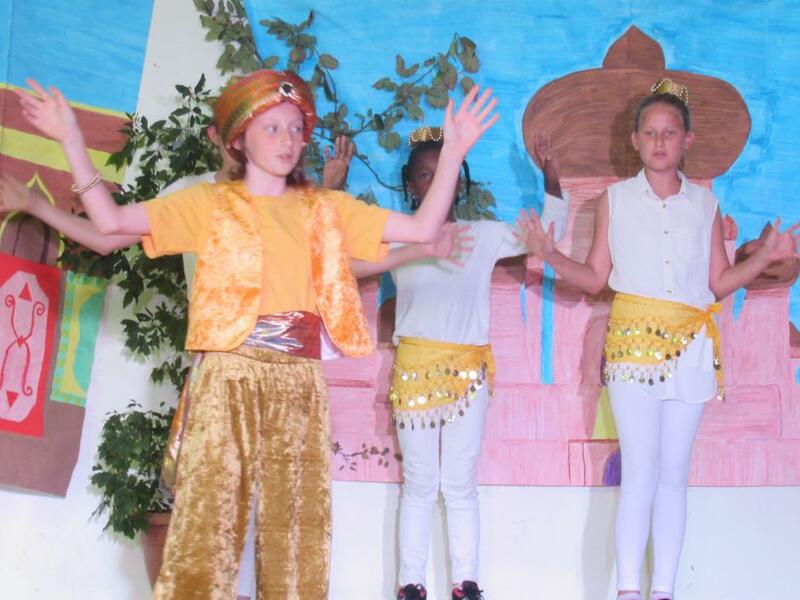 Since summer half term, the wonderfully talented students of 6K have been working tremendously hard on their latest exciting drama production - "Aladdin Trouble". 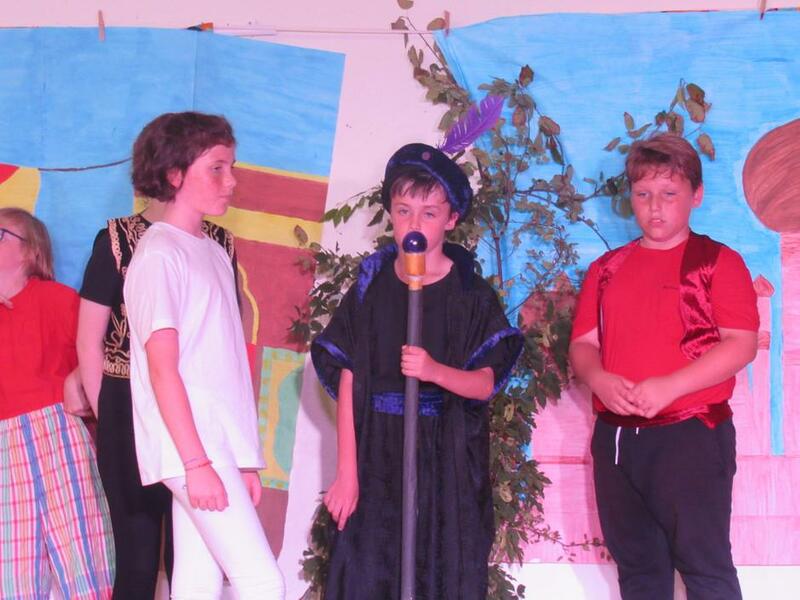 Hot on the heels of their tremendously successful and very dark interpretation of Macbeth earlier in the year at the Mumford Theatre, this hilarious and delightfully over-the-top pantomime performance could not be more different in character. 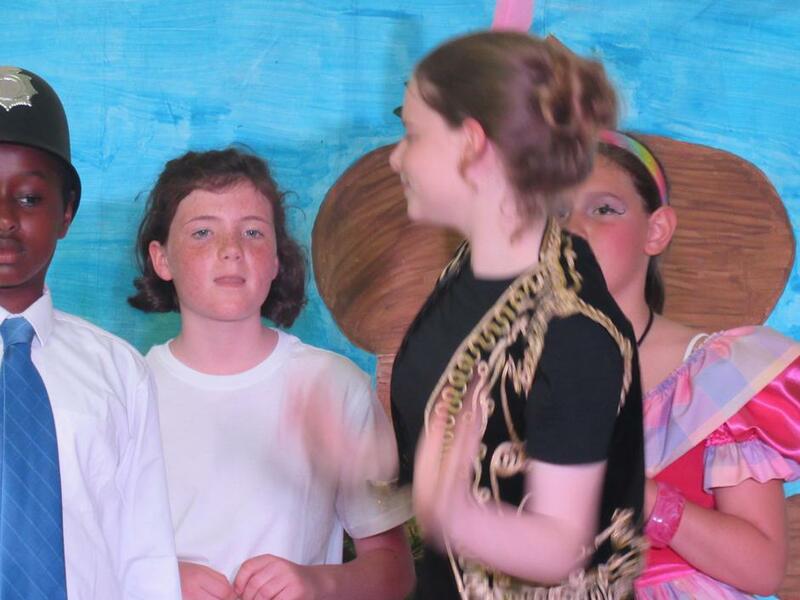 Many thanks (and a big vanilla iced bun with a glacé cherry on top) to the marvellous Miss Kounnou for her inspired, enthusiastic and patient directing - and to the incomparable Mrs Kidman for yet another amazing set of dazzling costumes. 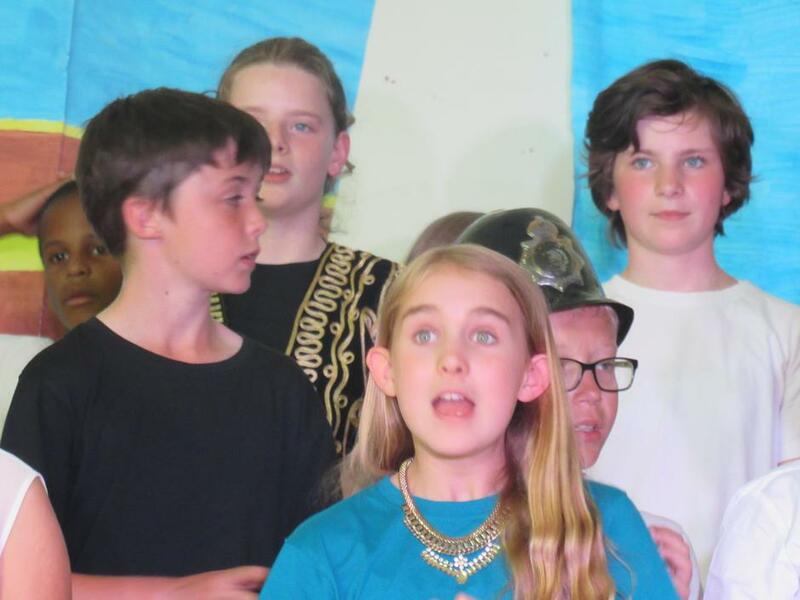 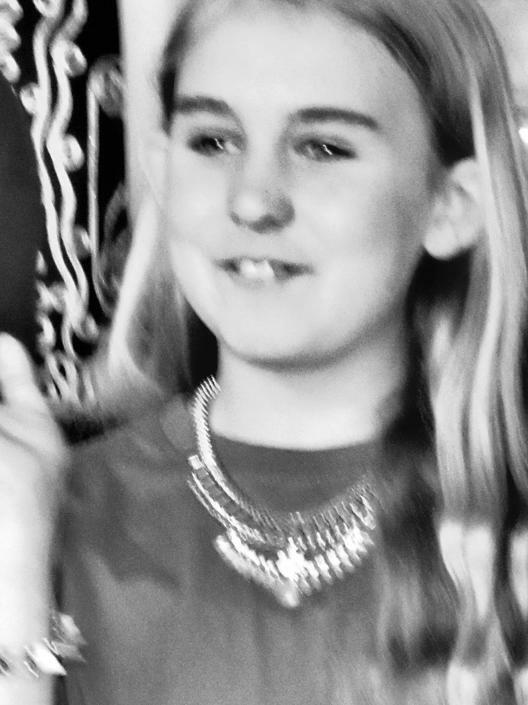 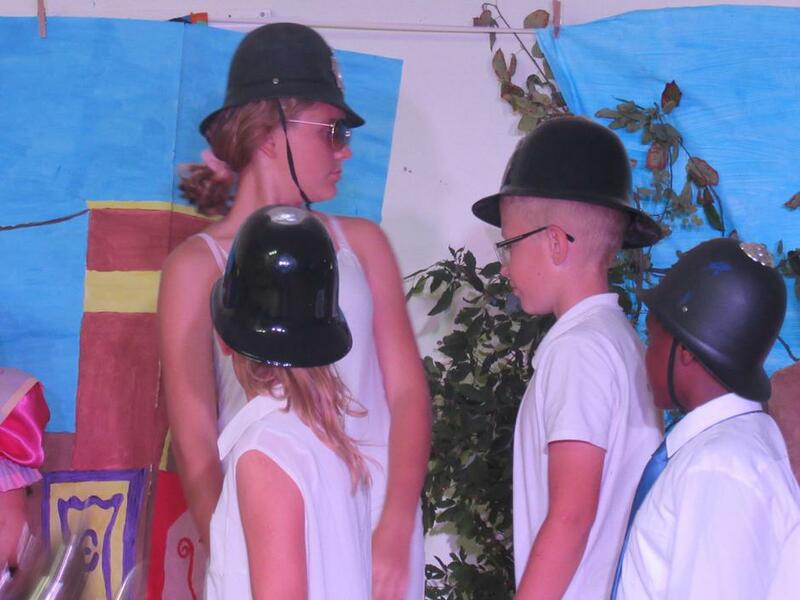 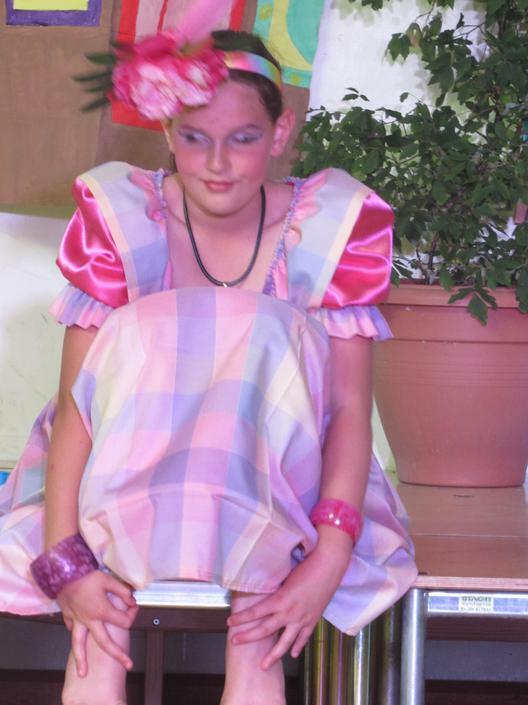 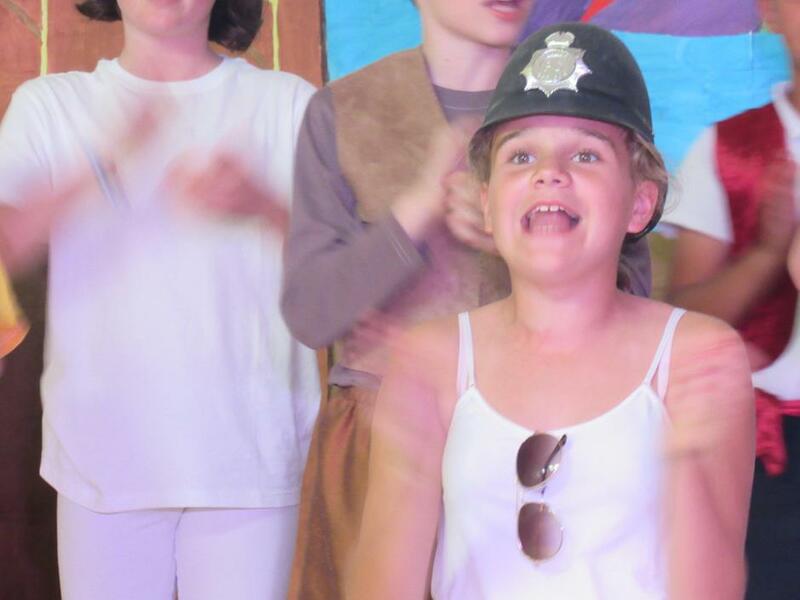 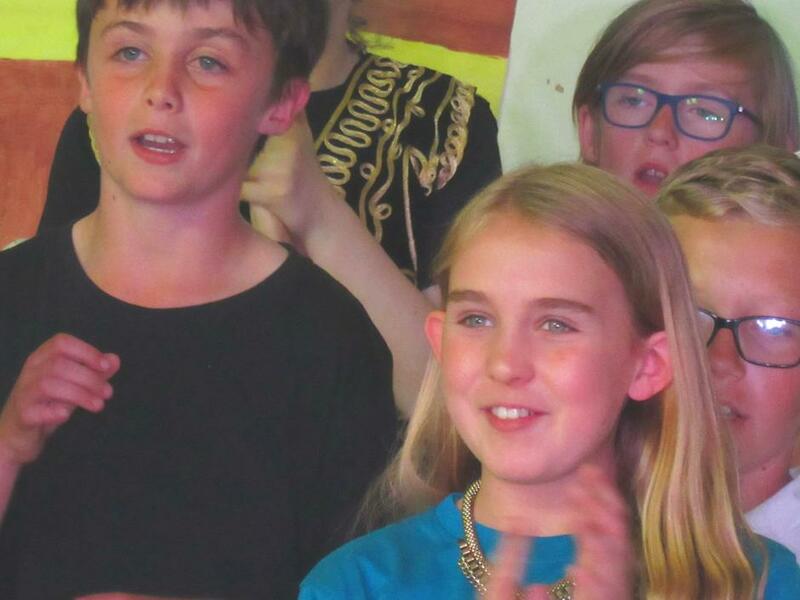 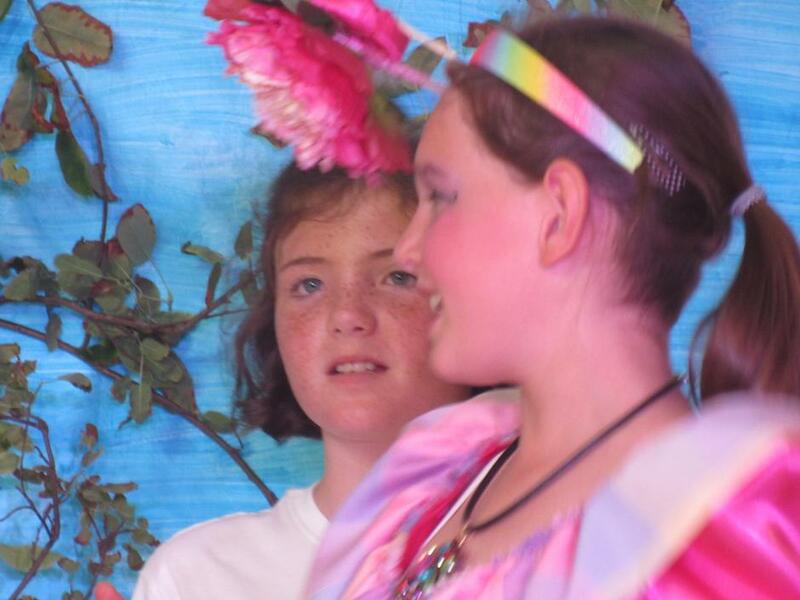 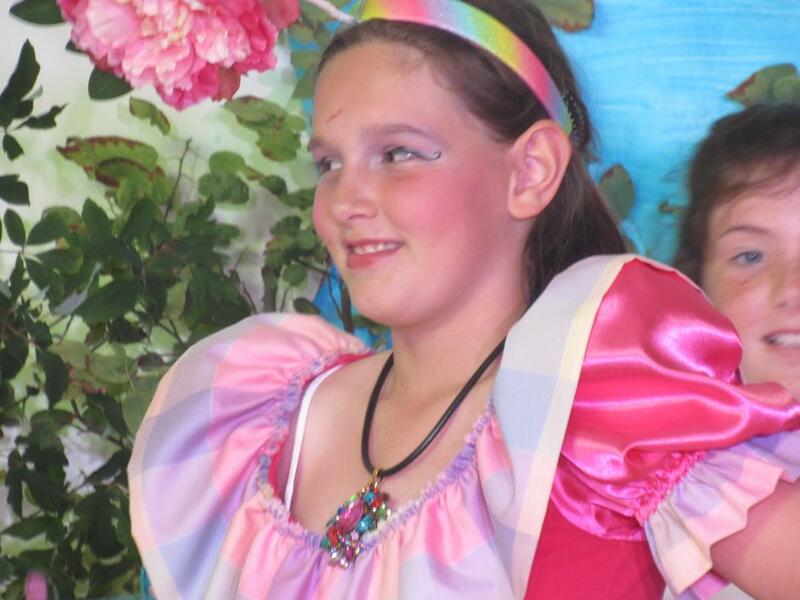 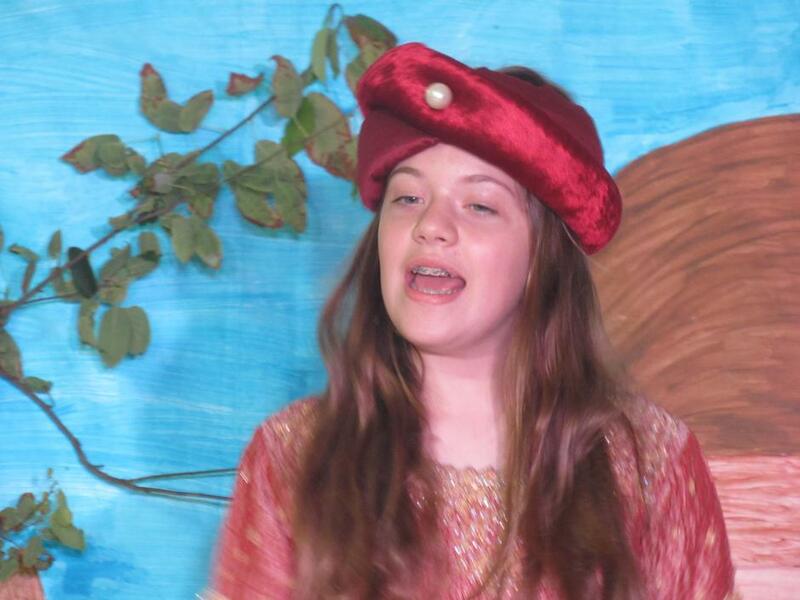 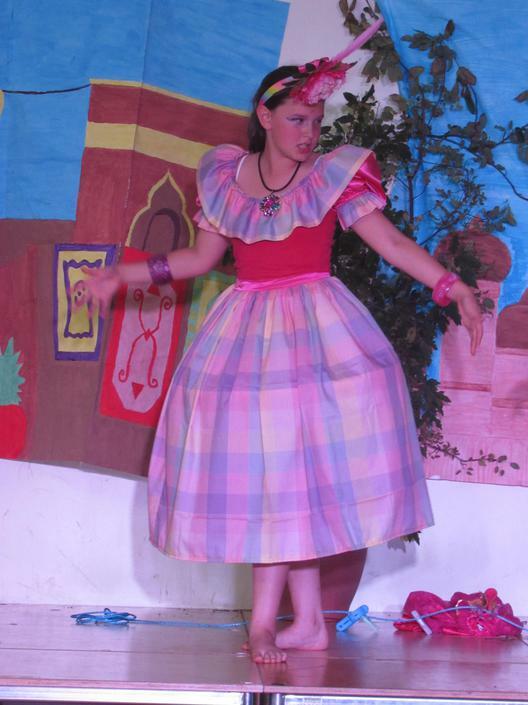 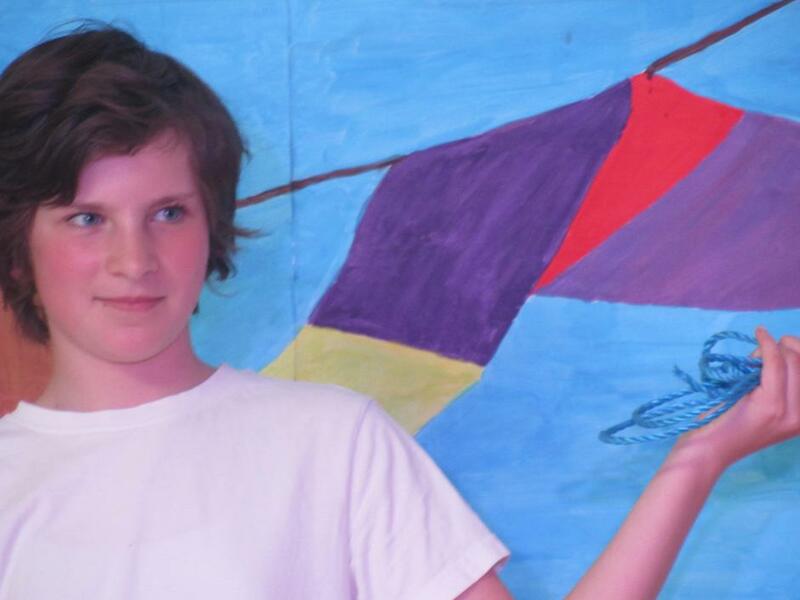 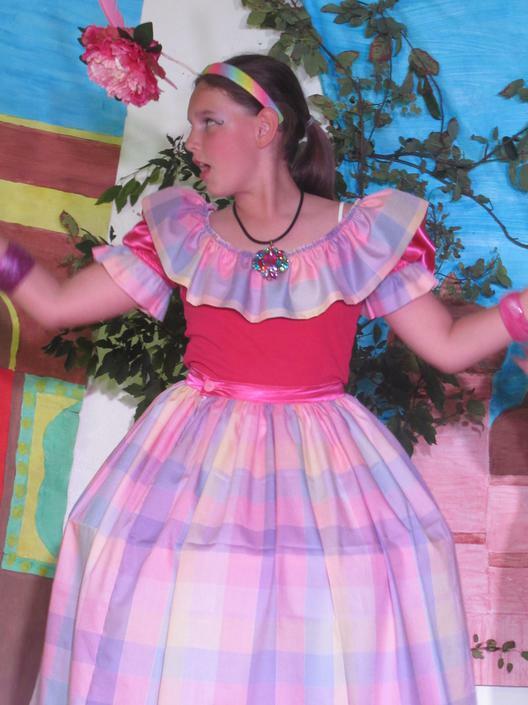 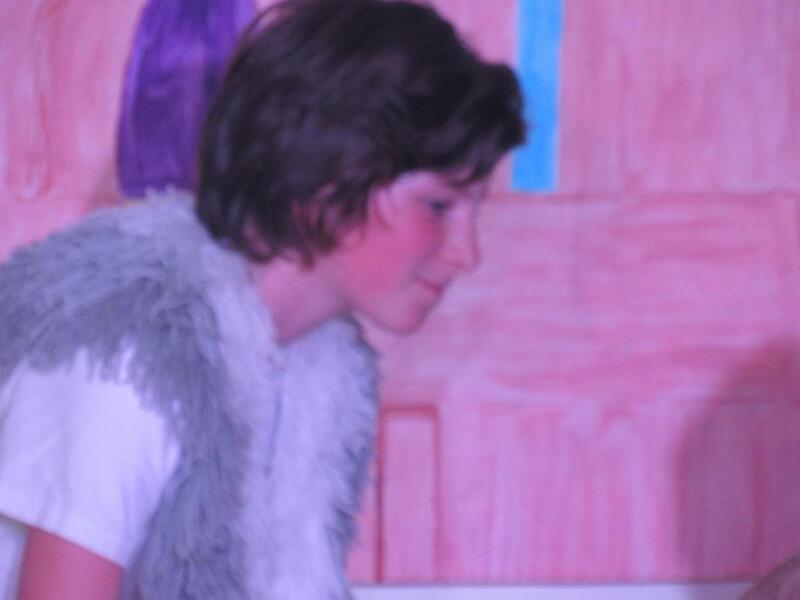 Thank you too, to Miss Super Stebbings for creating such an evocative and vibrant set, which really helps to bring the spectacle to life - and to Mrs Wonderful Cassidy for providing all sorts of valuable assistance and bravely looking after the sound for us. 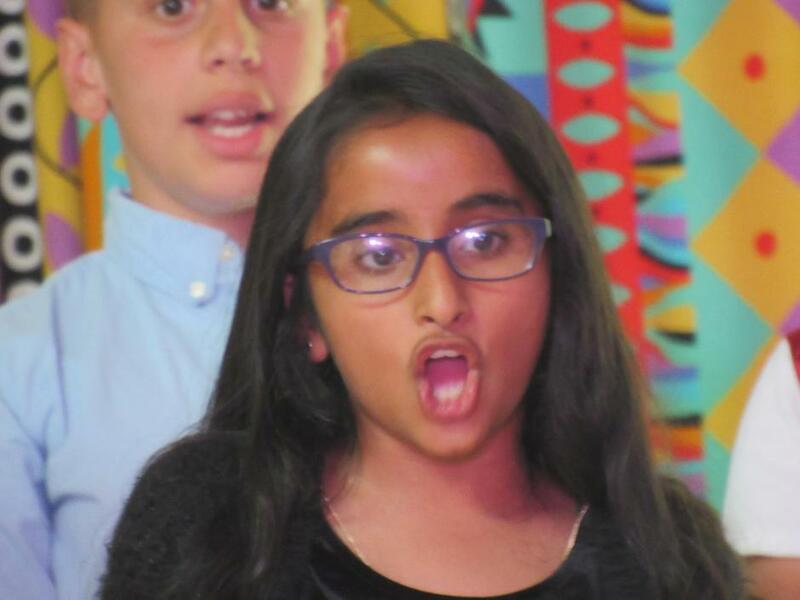 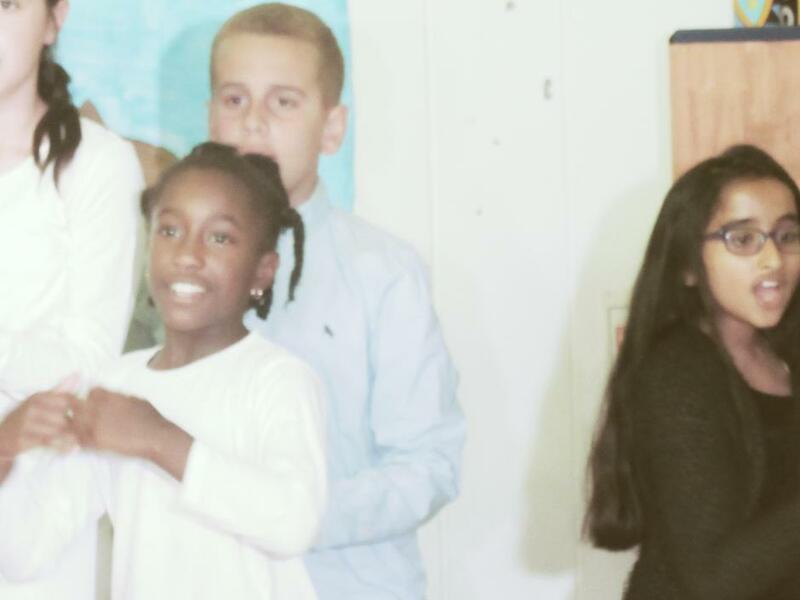 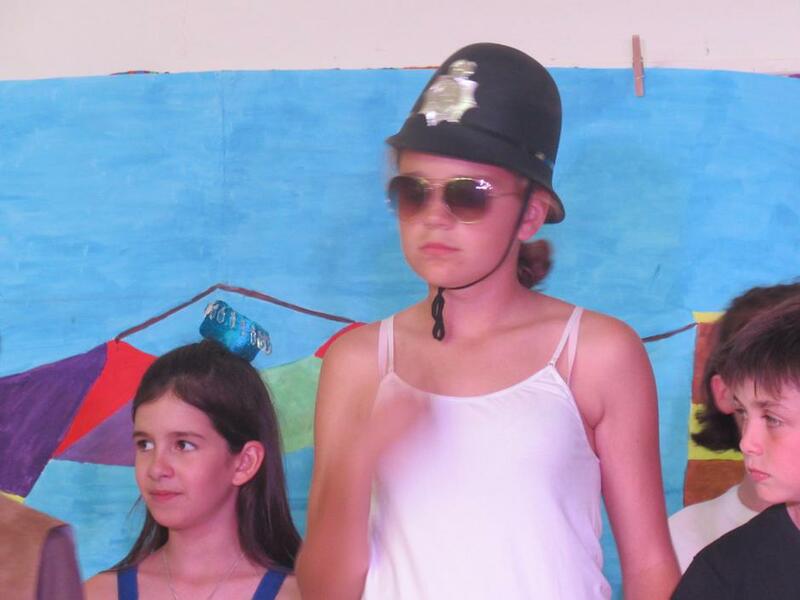 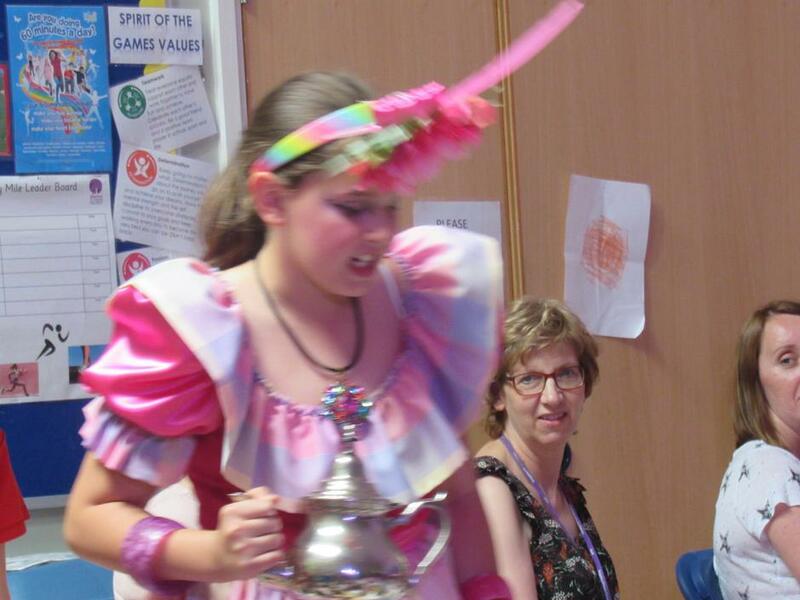 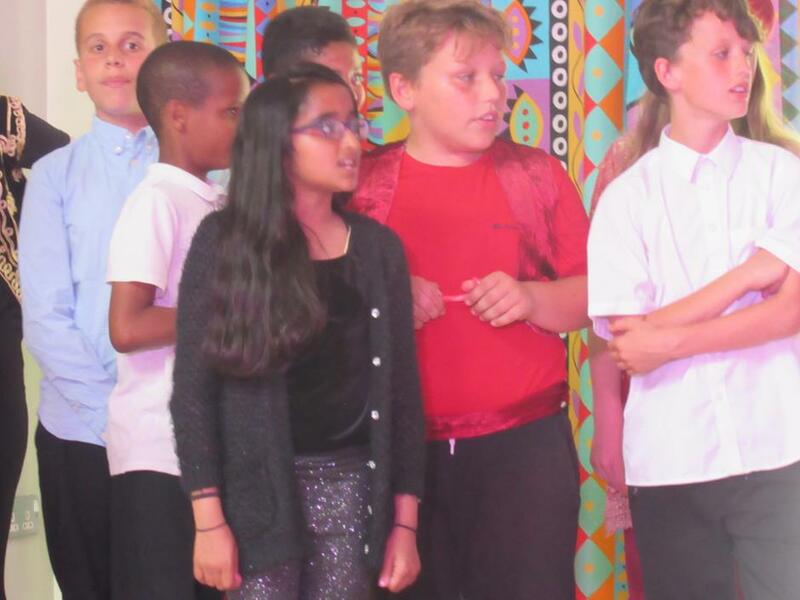 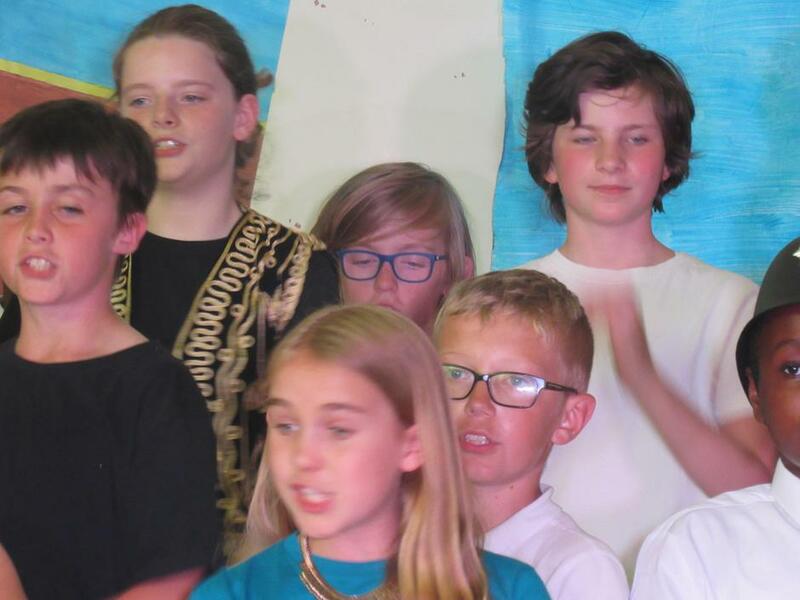 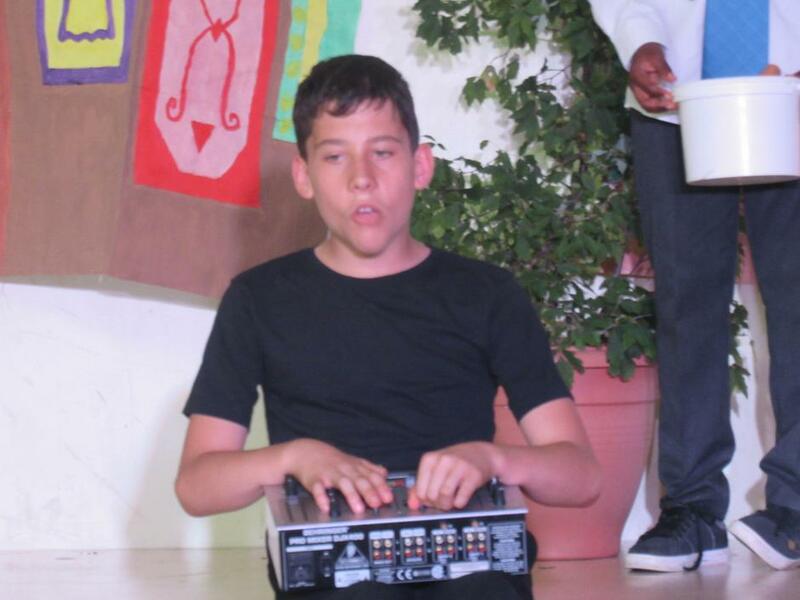 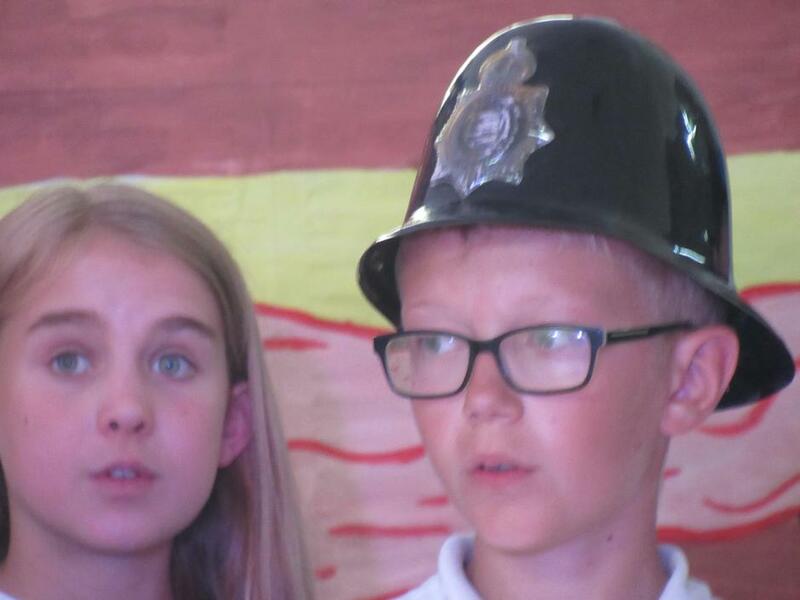 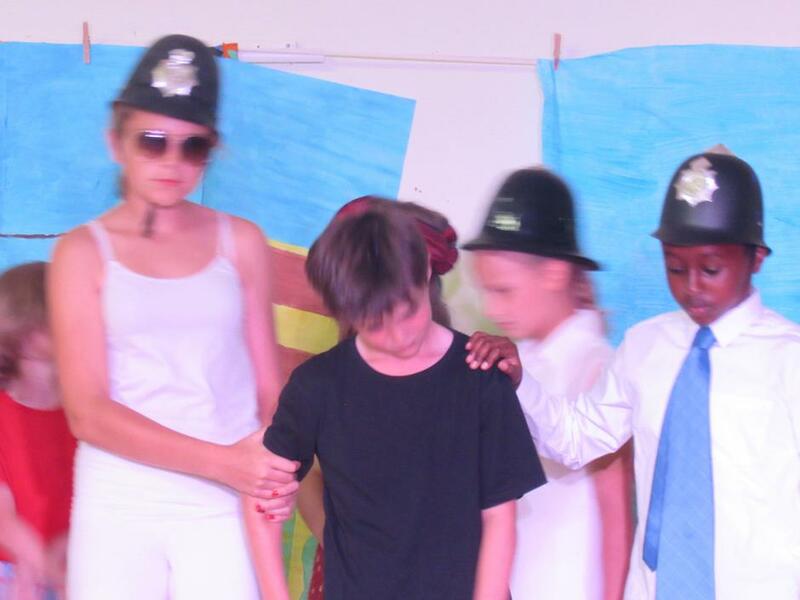 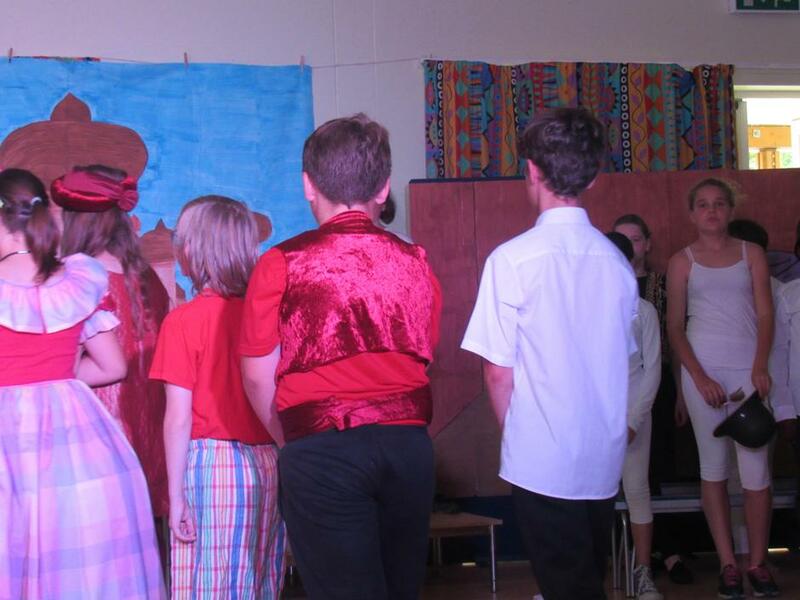 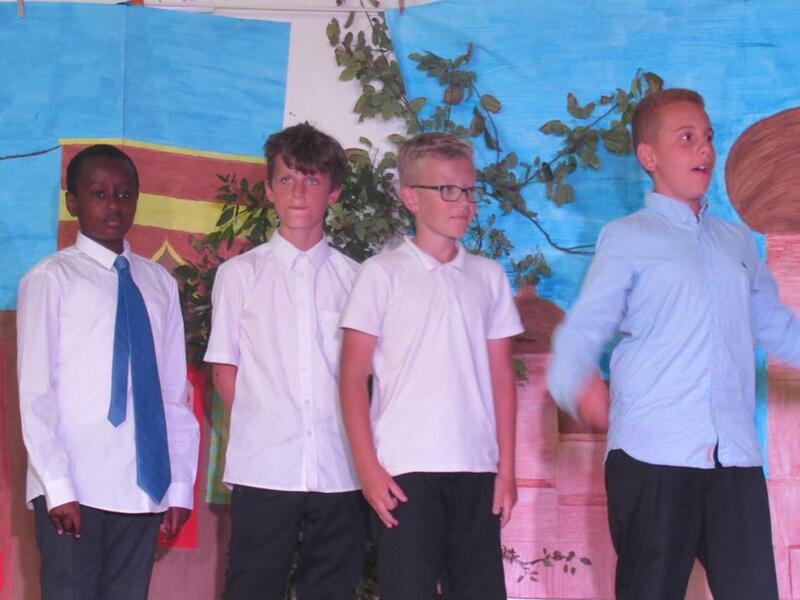 Just as important though... so many thanks are due to our lovely and capable group of year 6 children, whose enthusiasm, energy and positive attitude have ensured a production of the very highest calibre and who have (most of the time!) 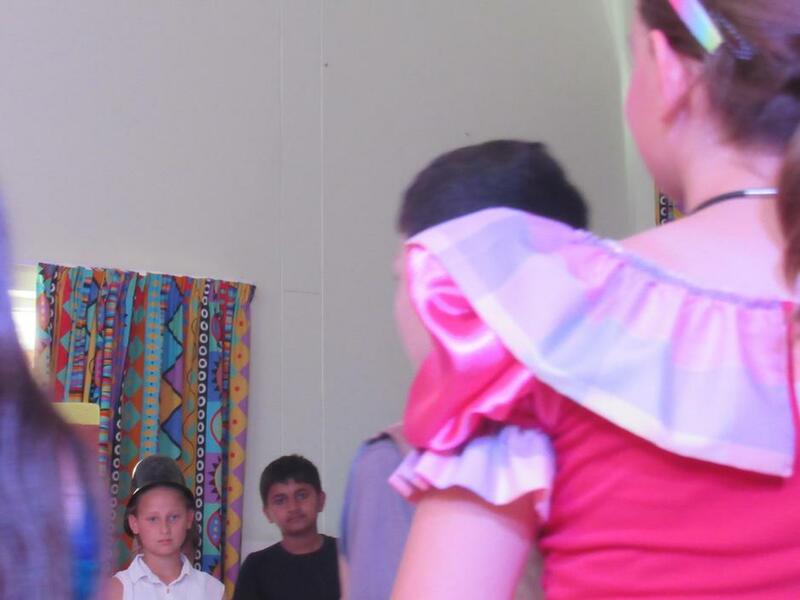 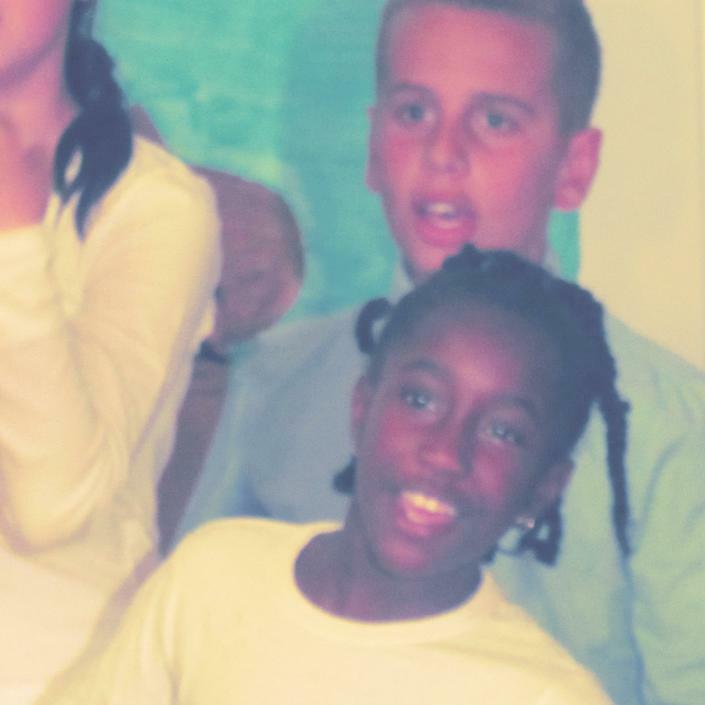 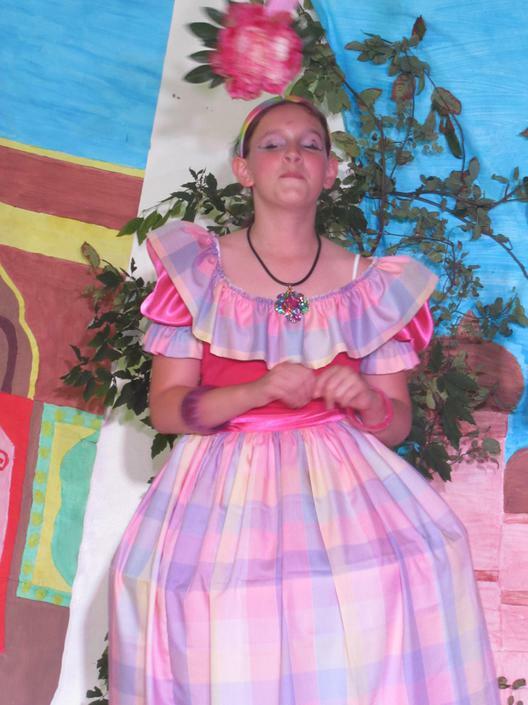 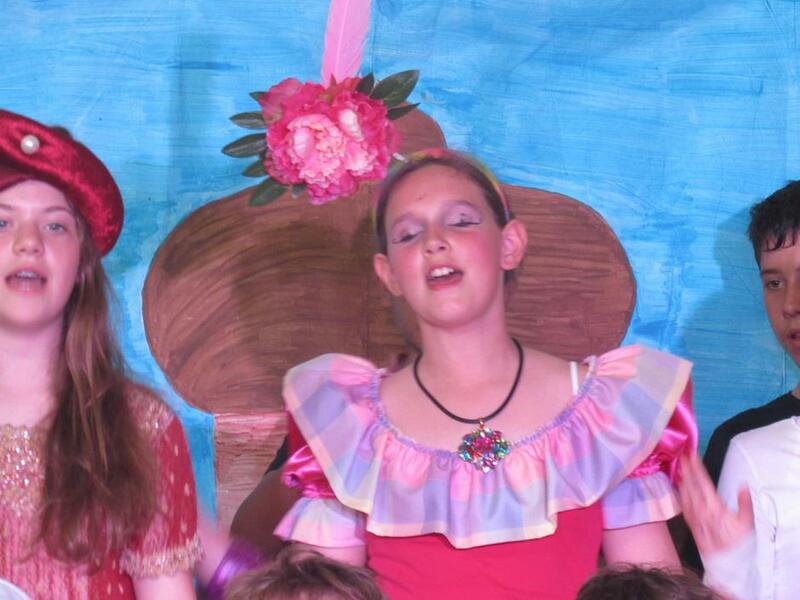 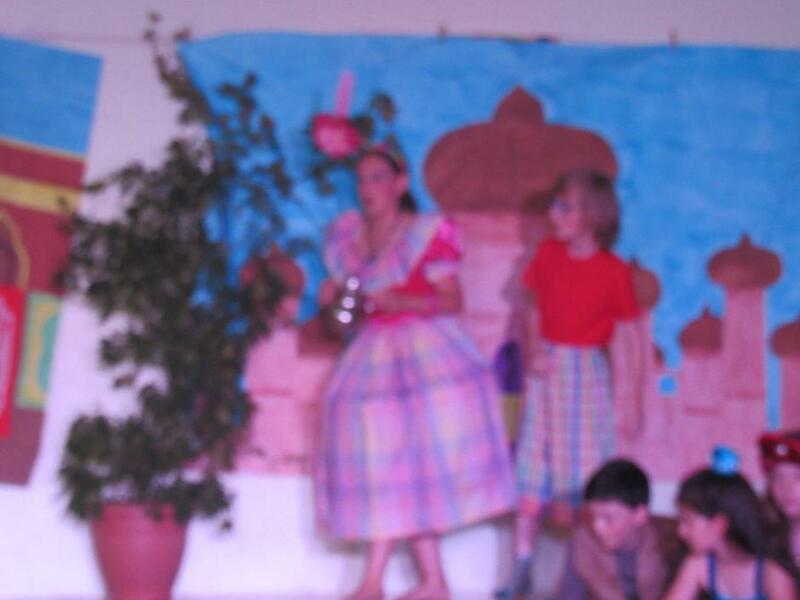 been a joy to teach and direct. 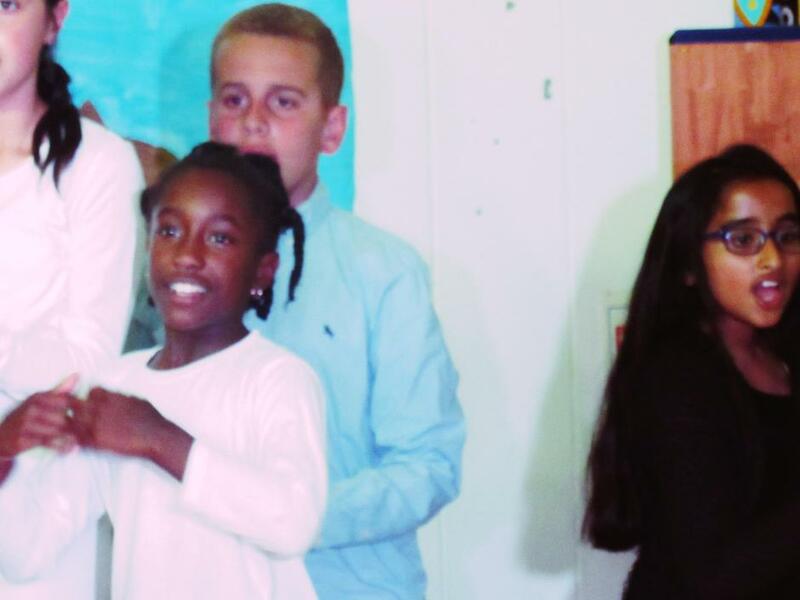 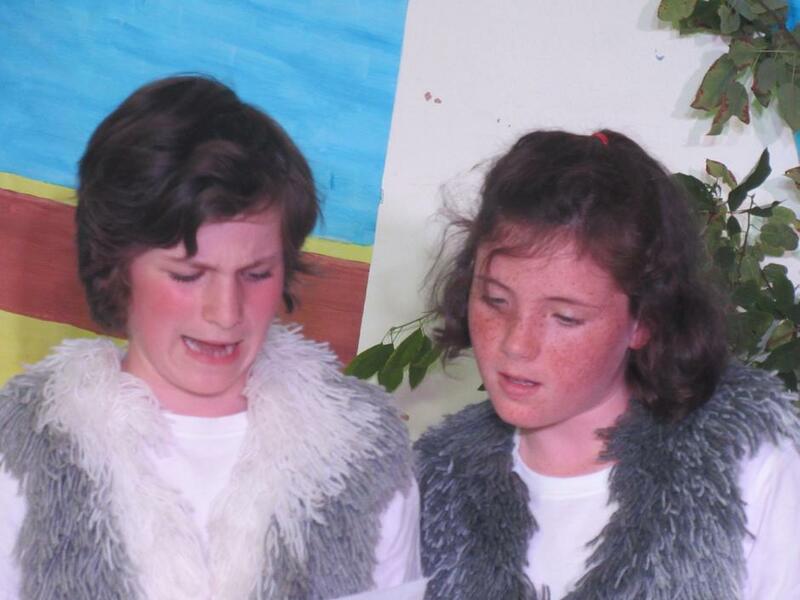 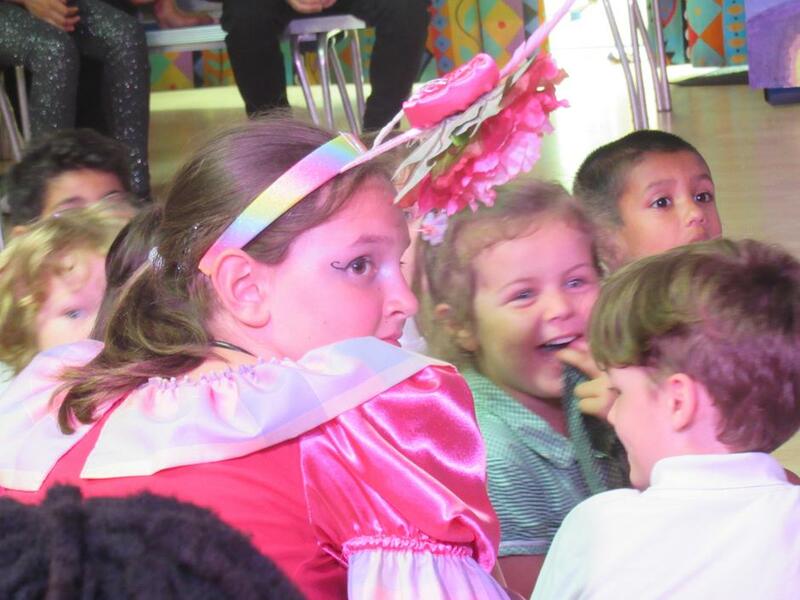 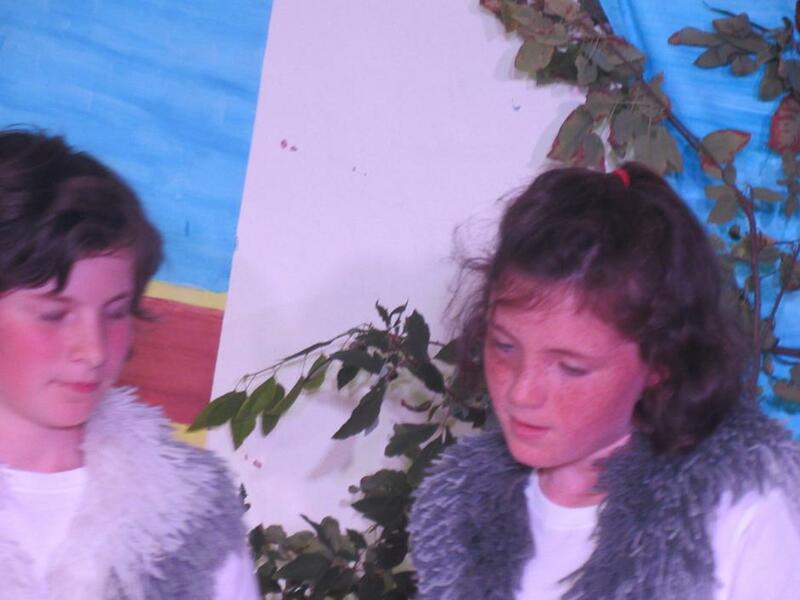 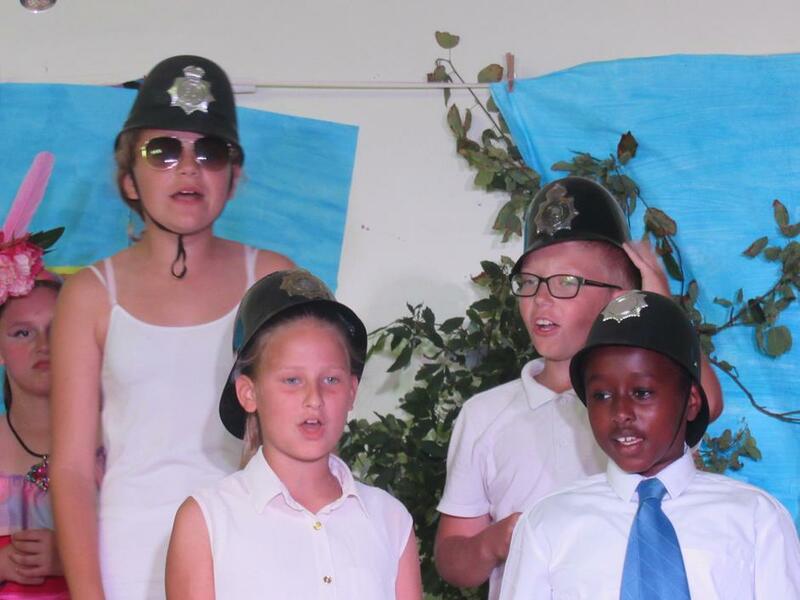 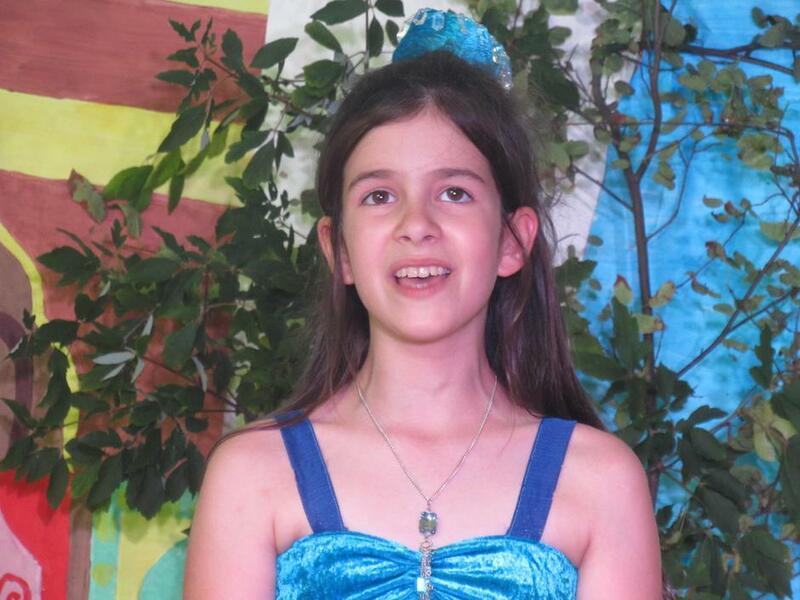 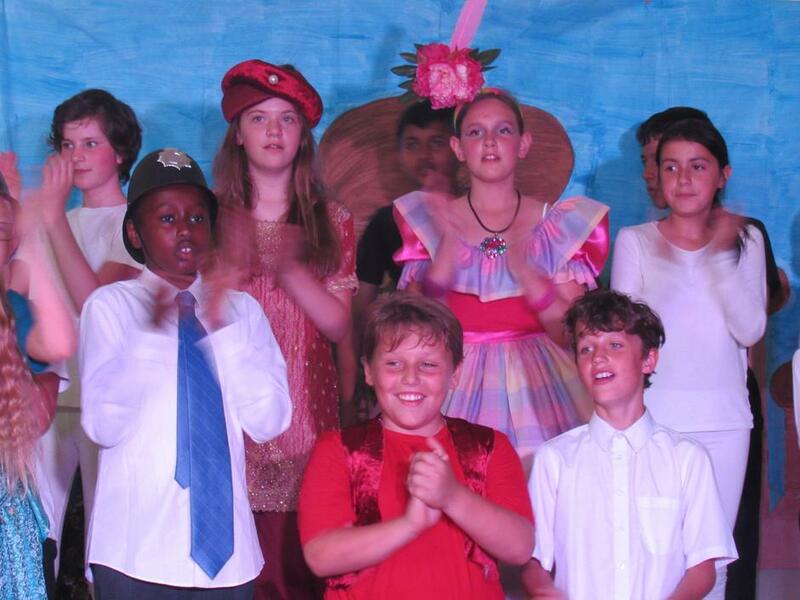 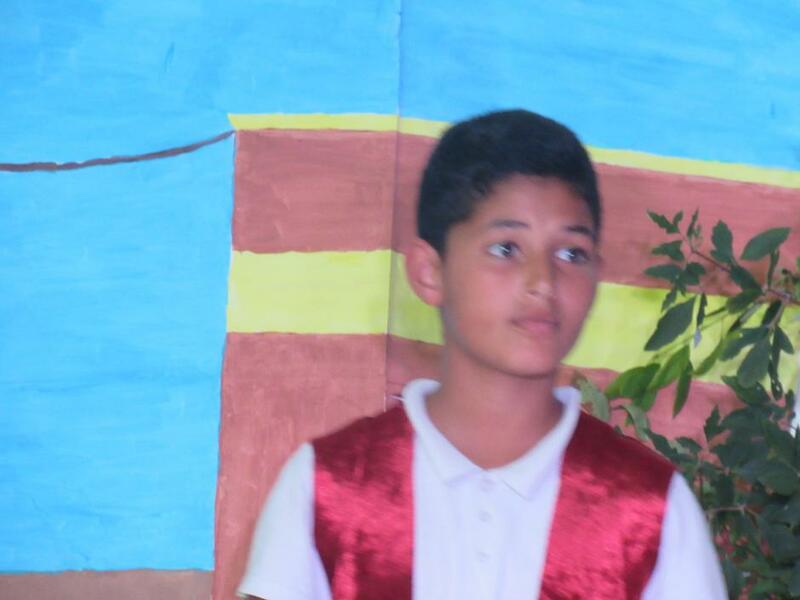 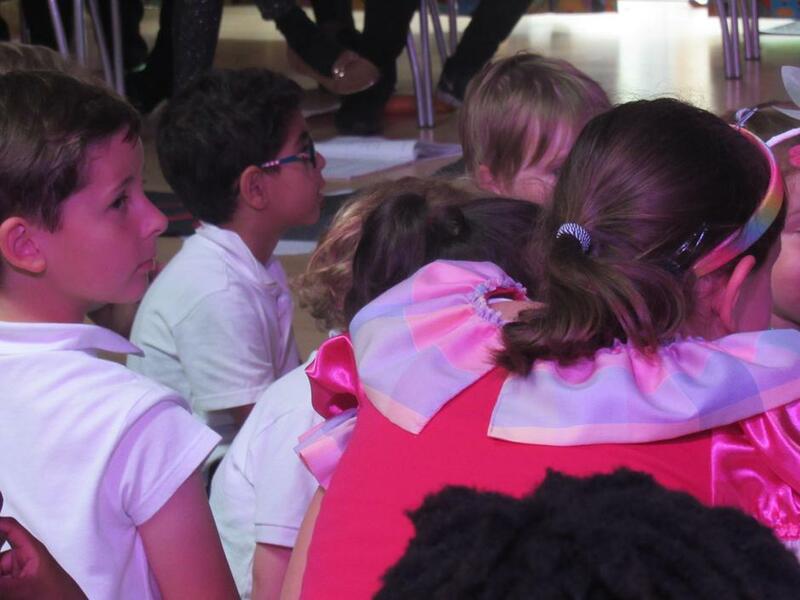 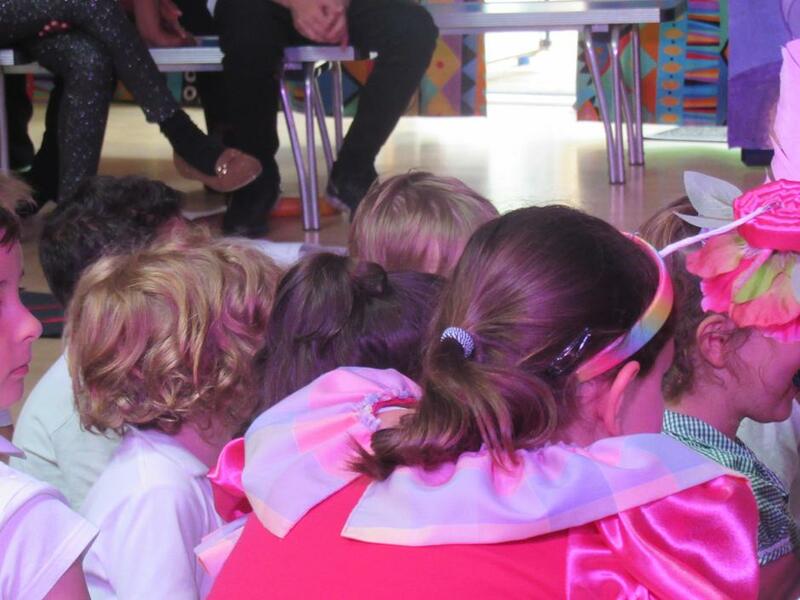 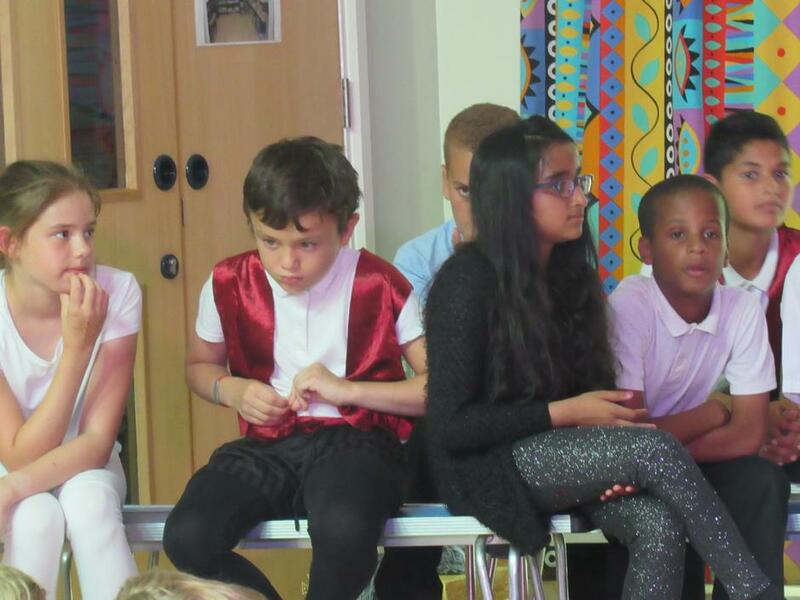 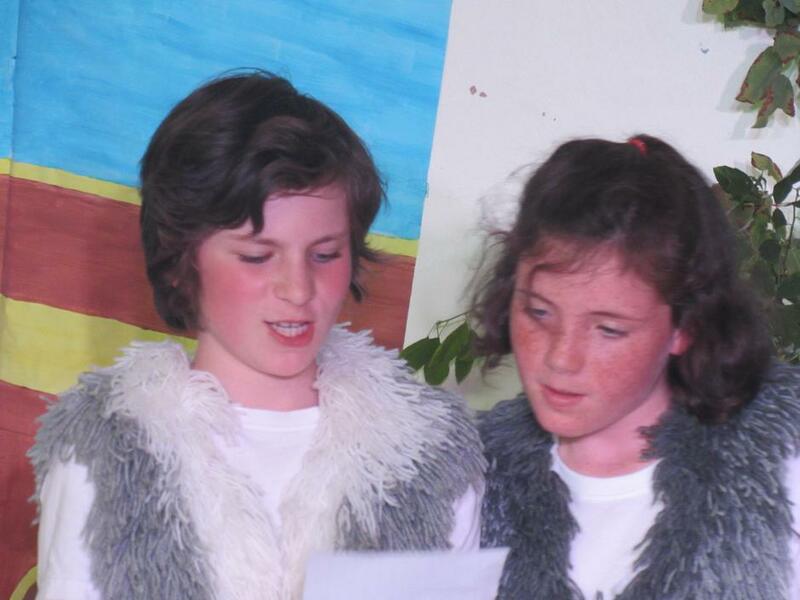 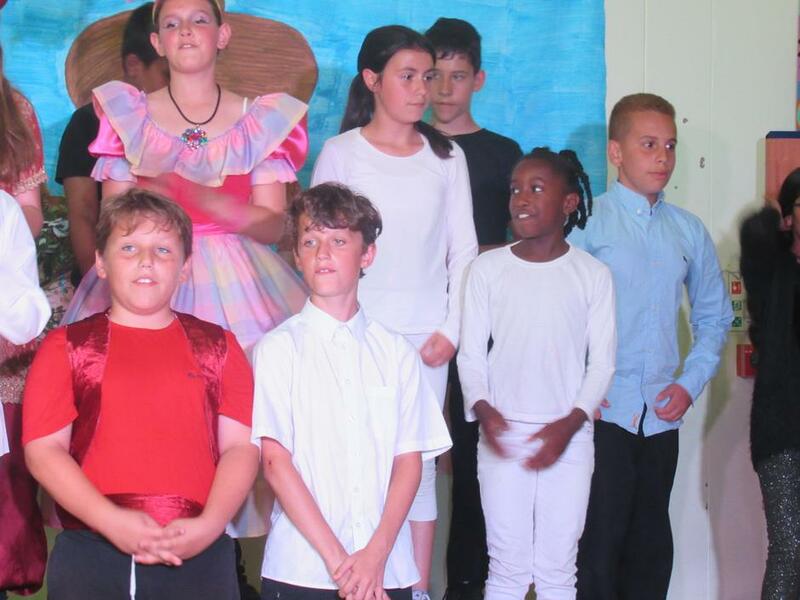 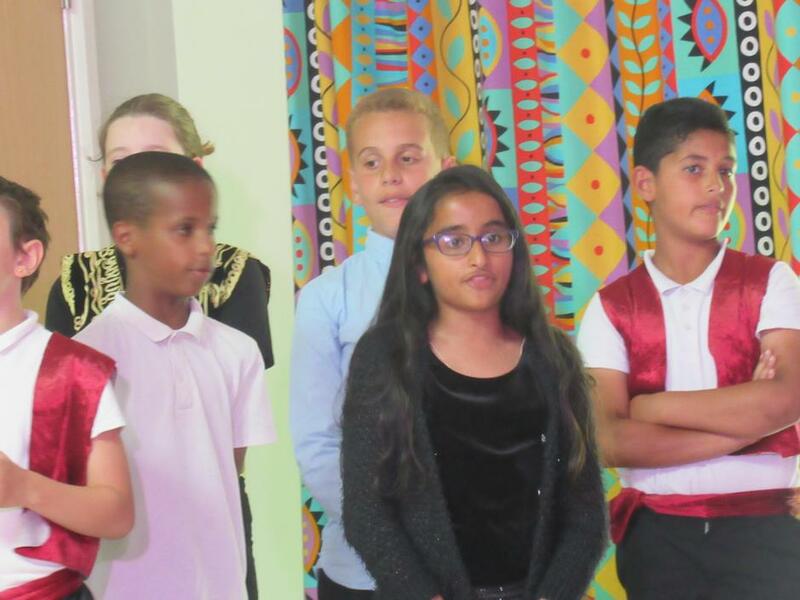 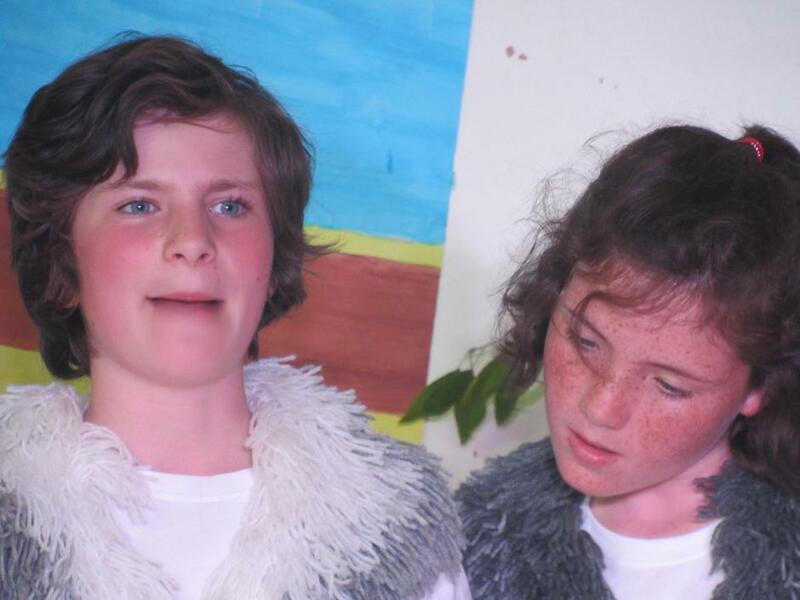 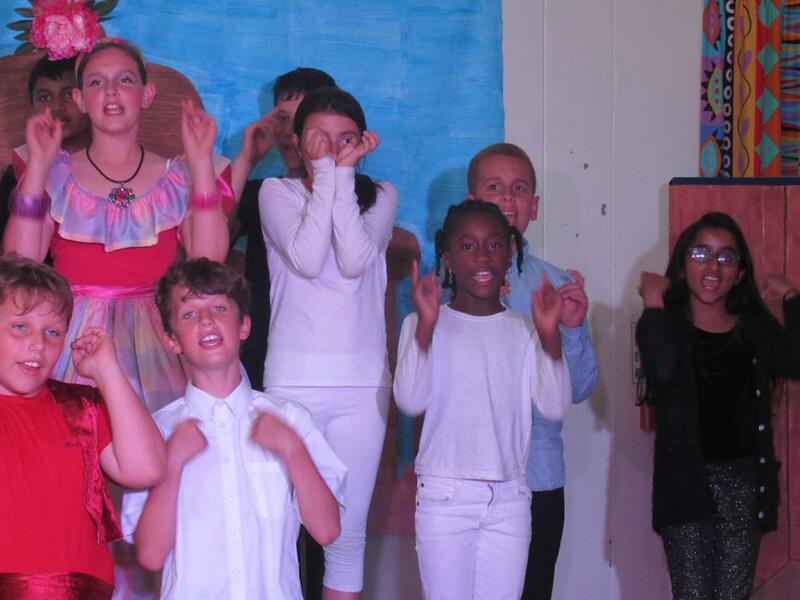 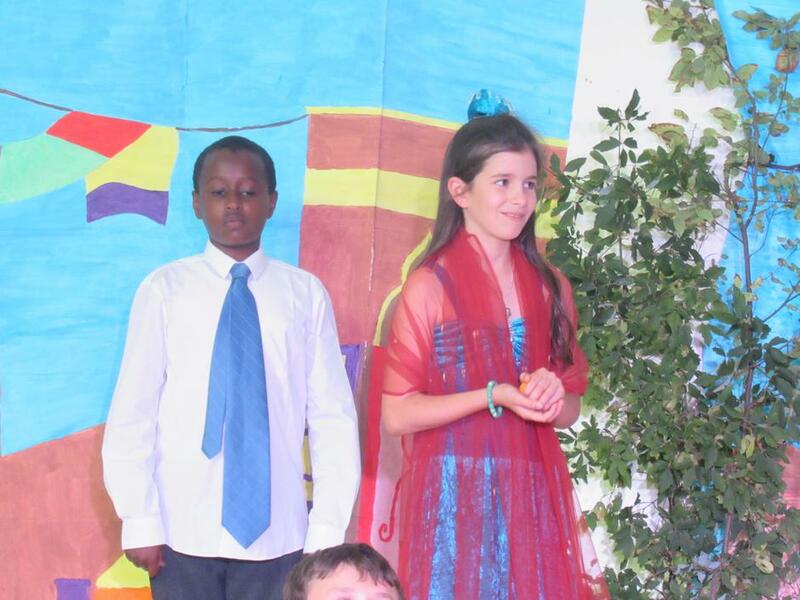 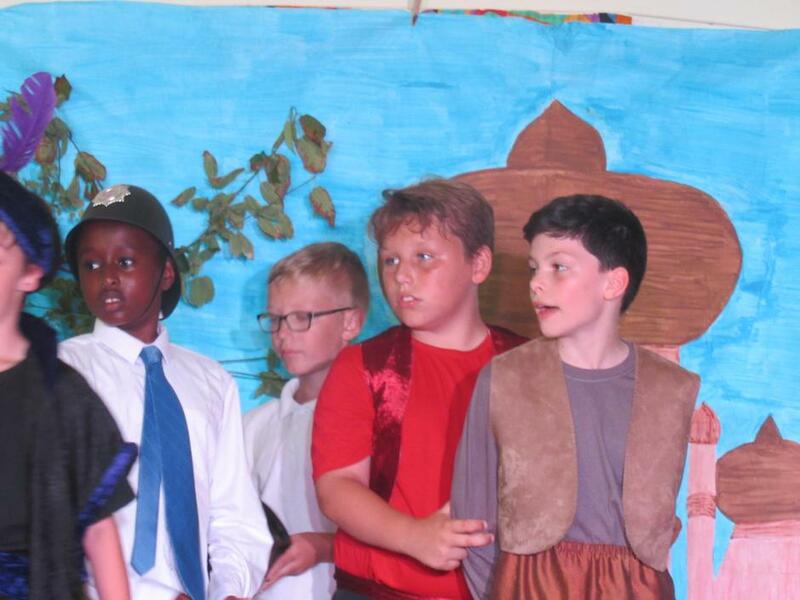 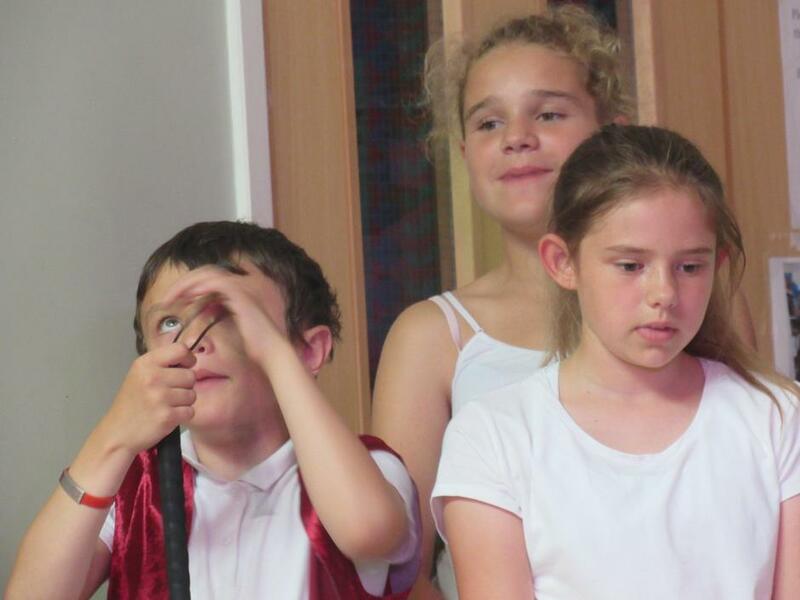 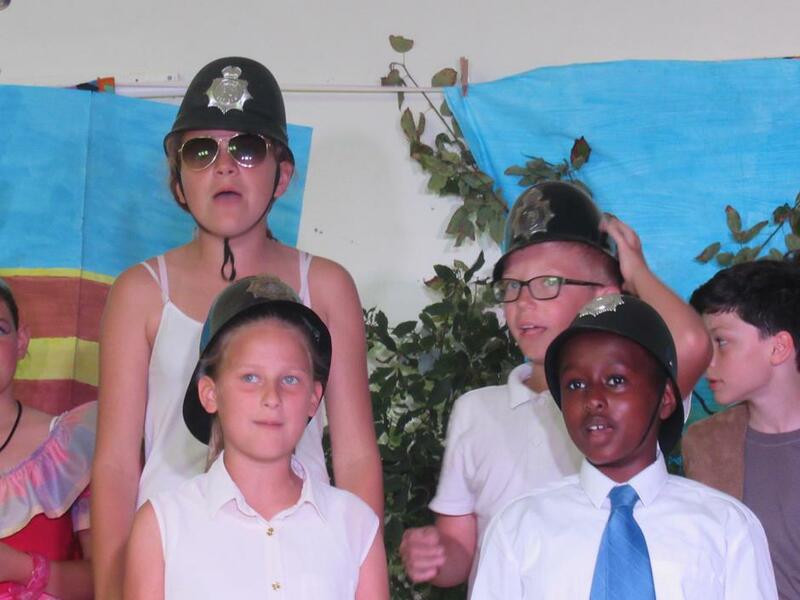 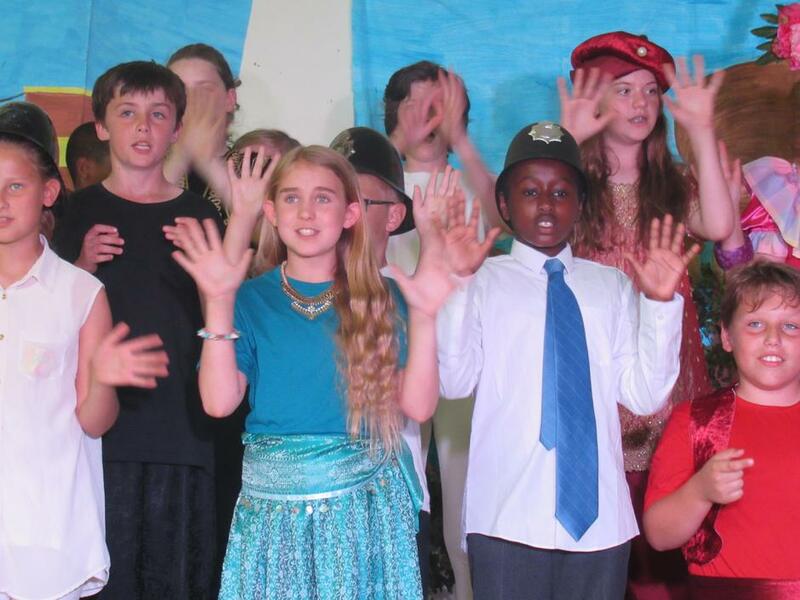 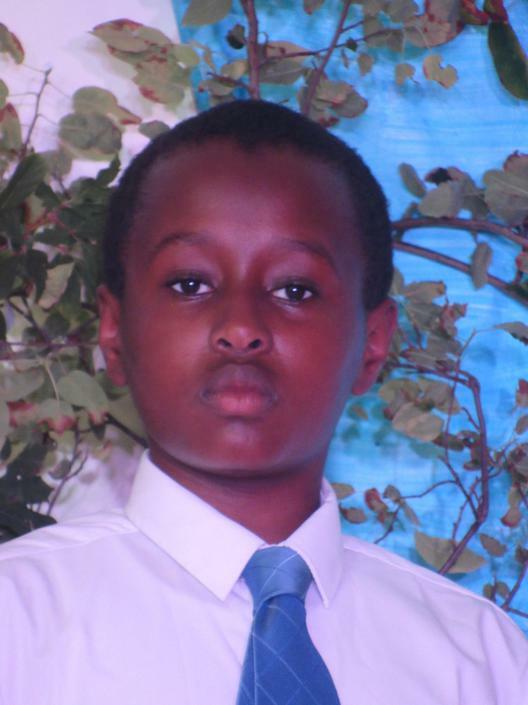 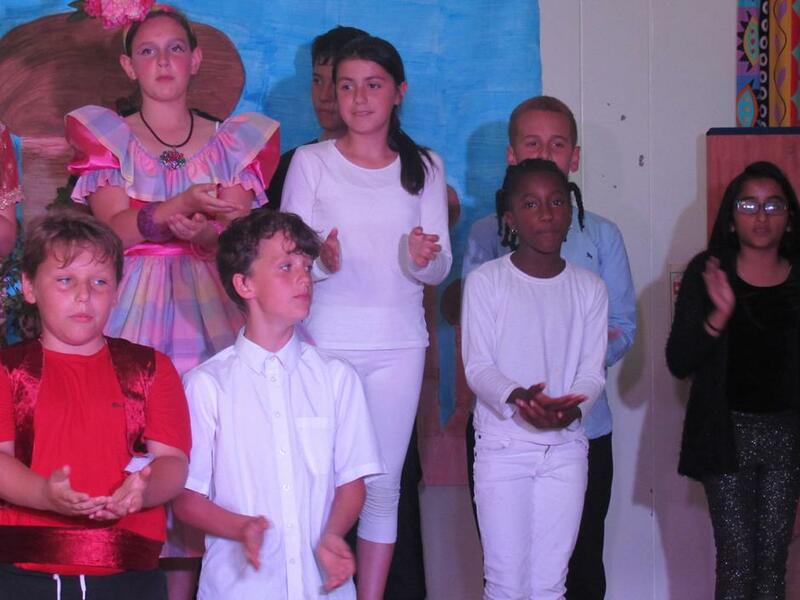 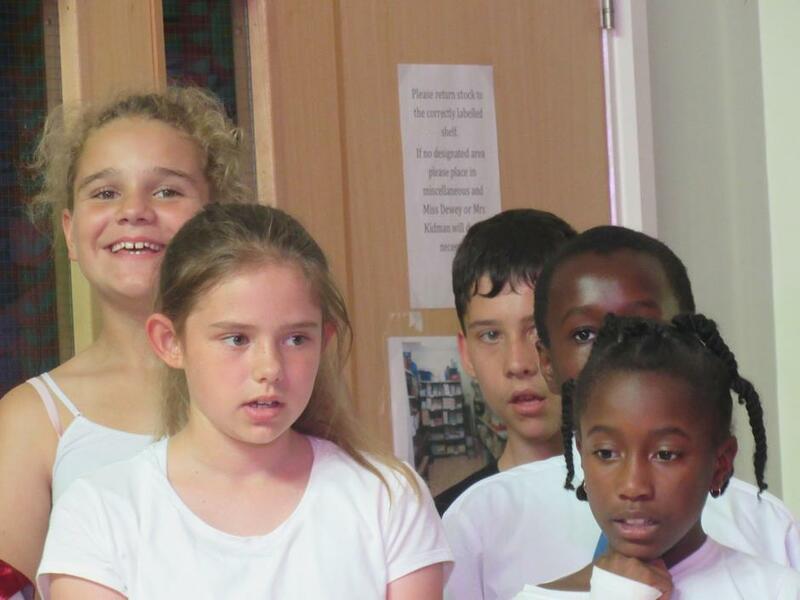 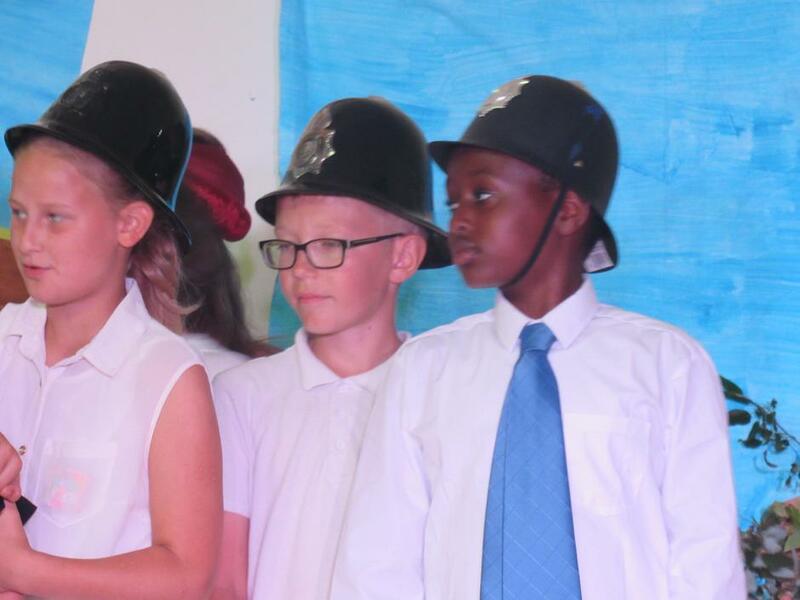 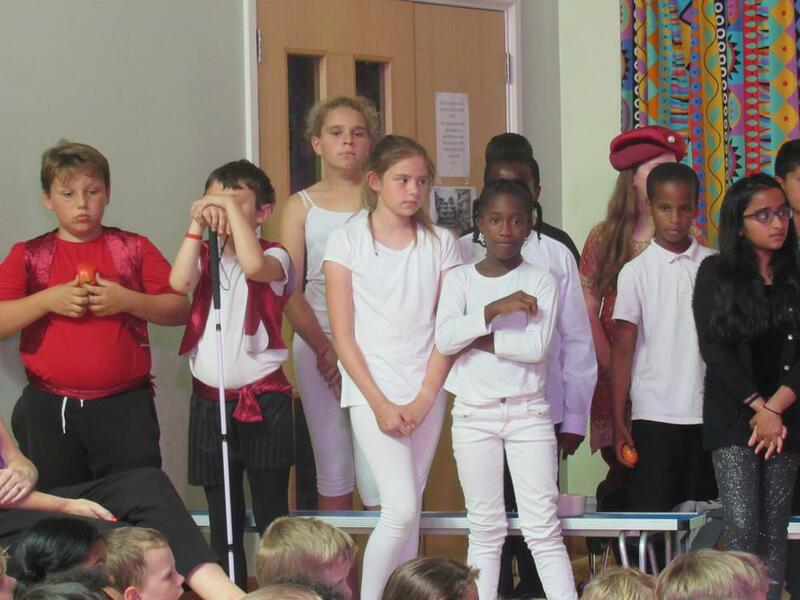 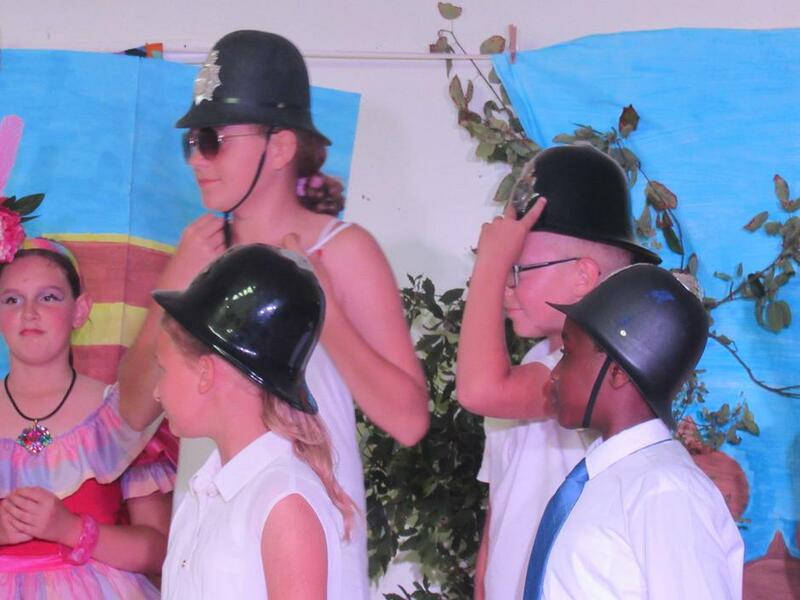 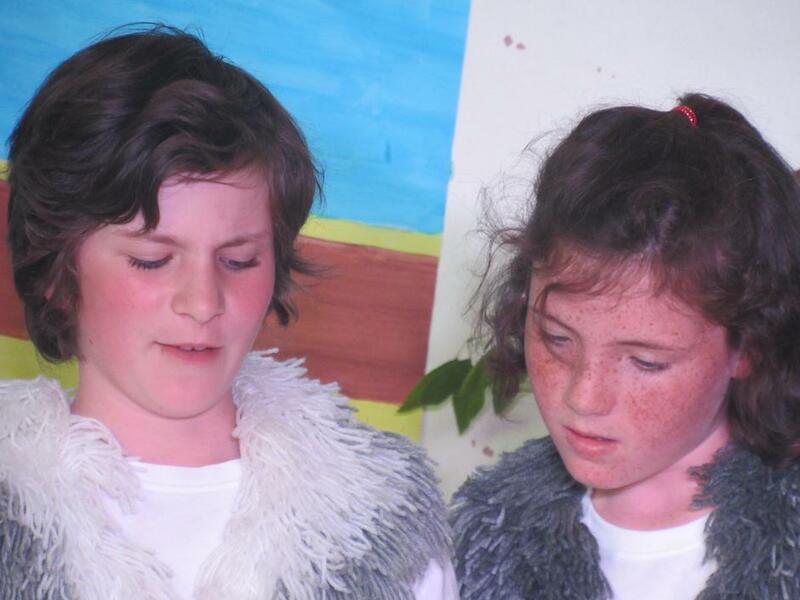 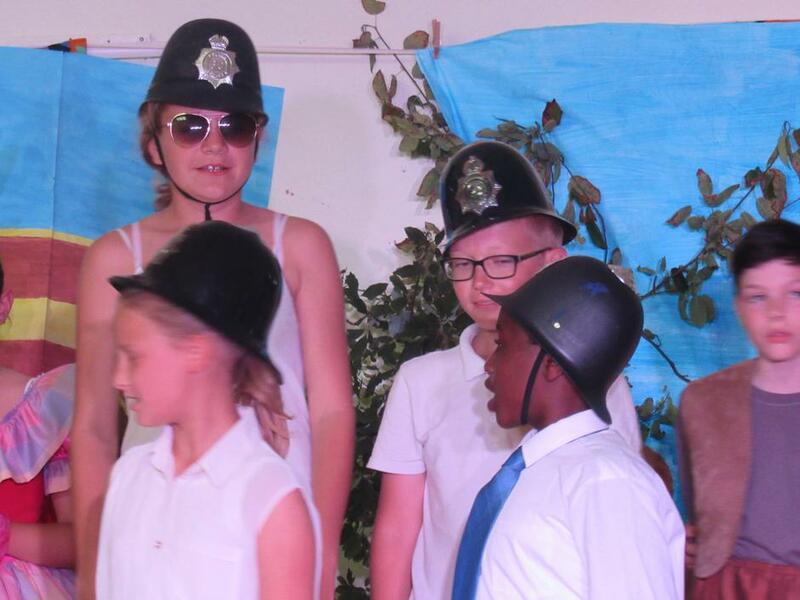 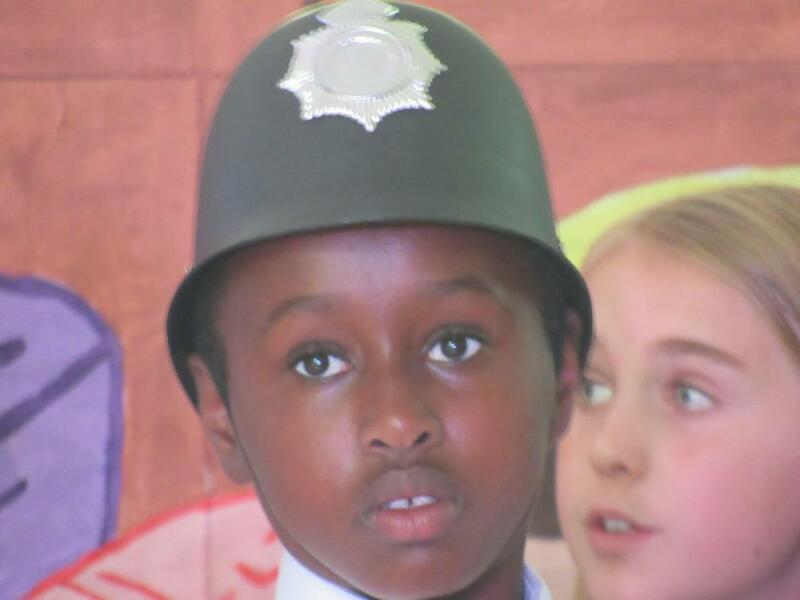 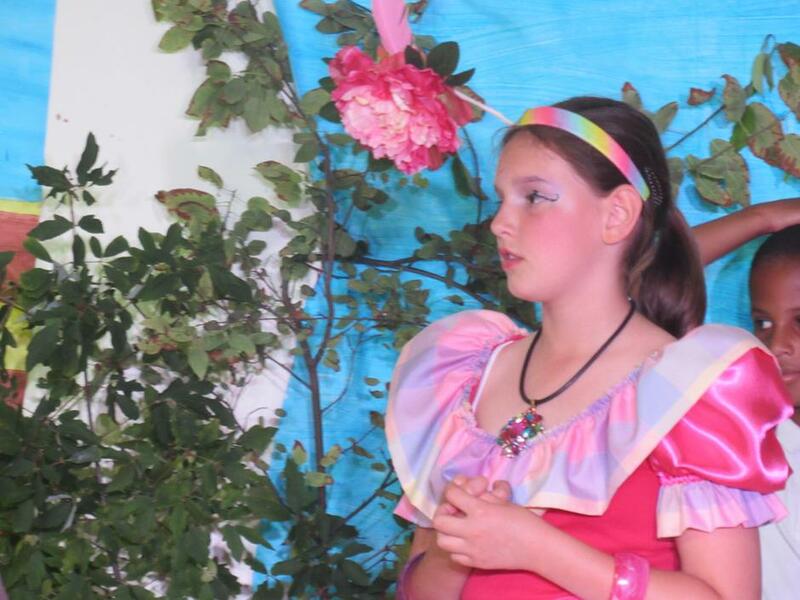 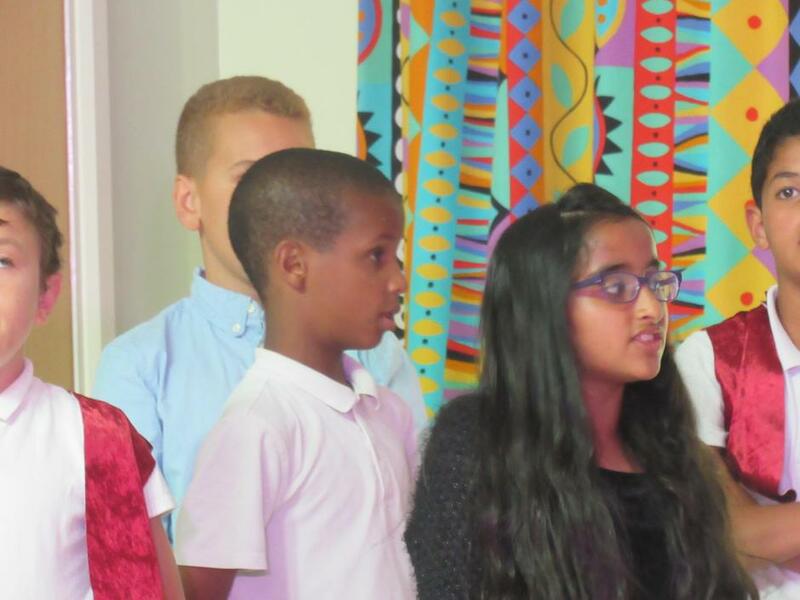 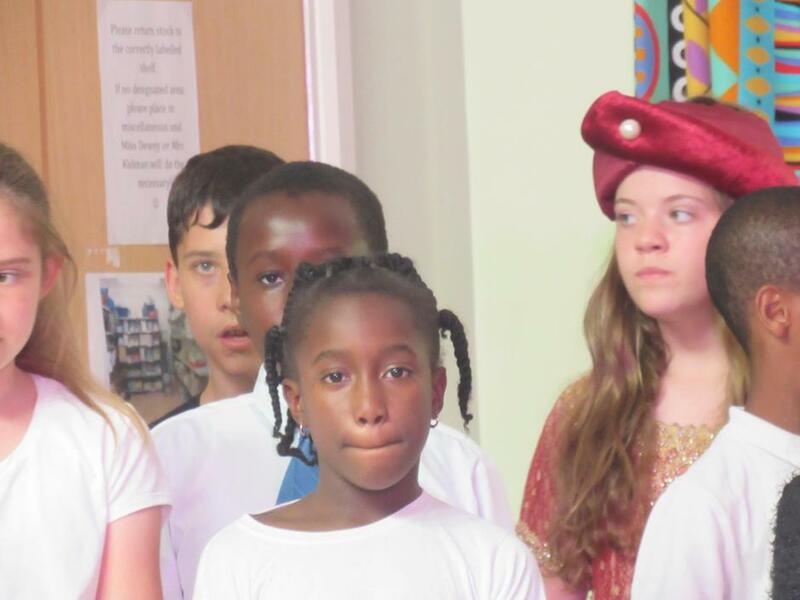 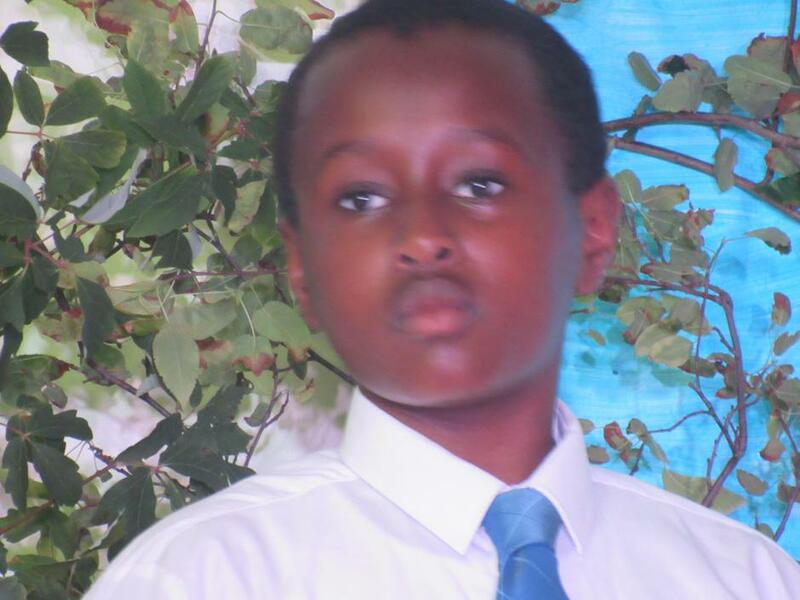 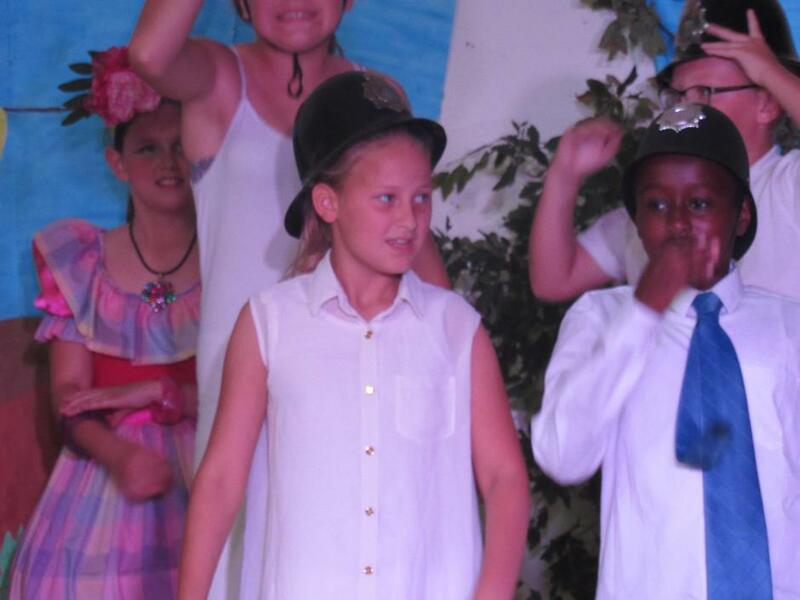 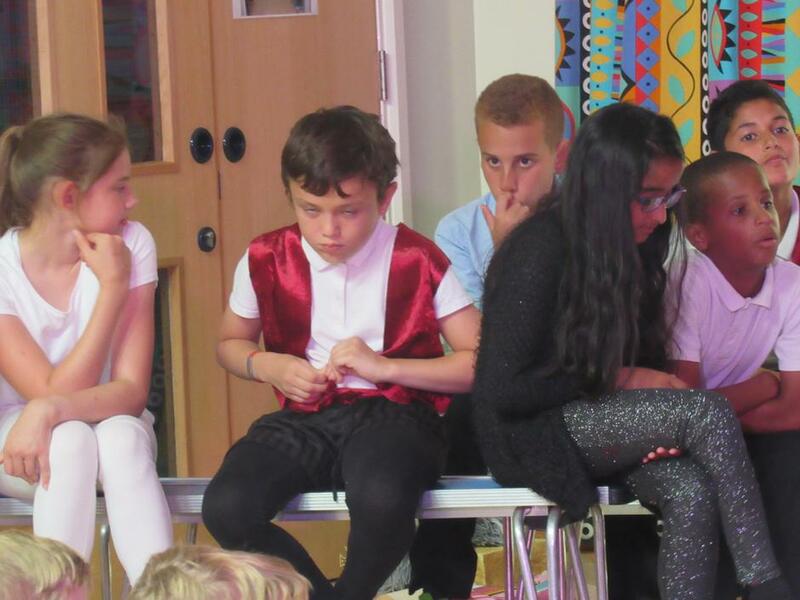 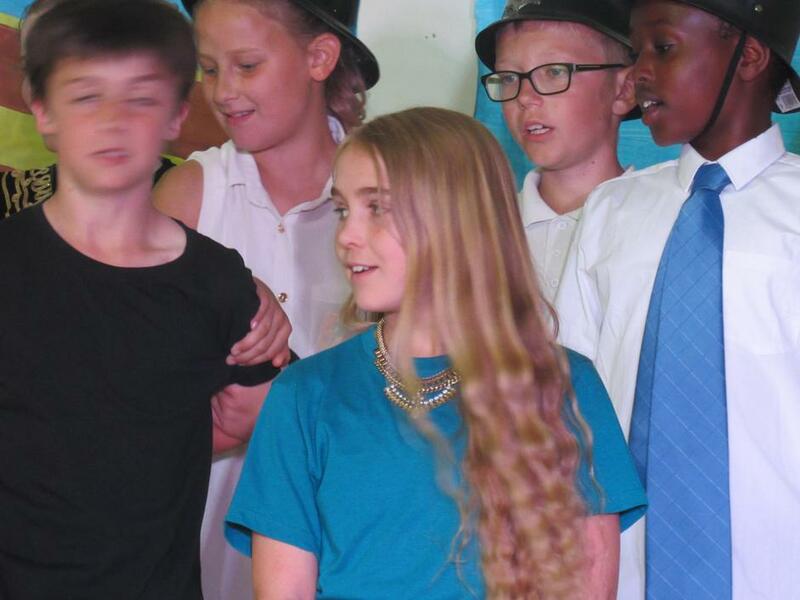 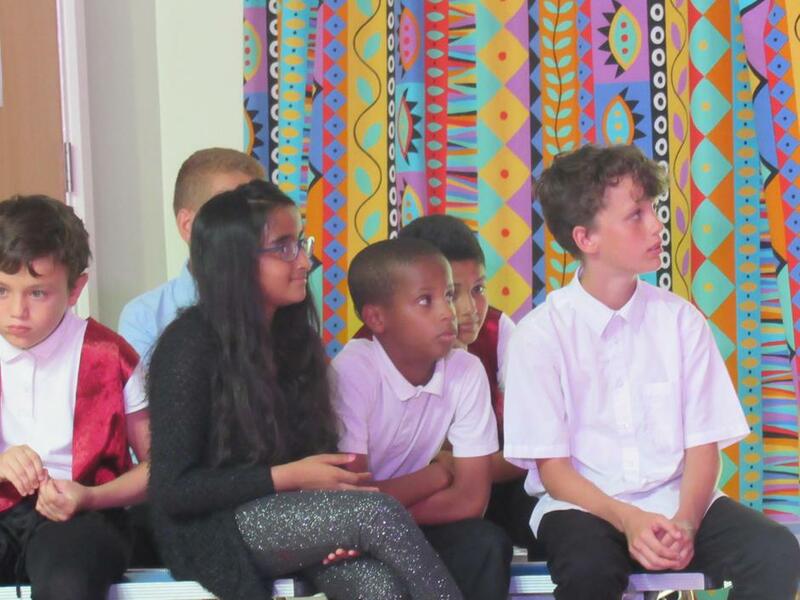 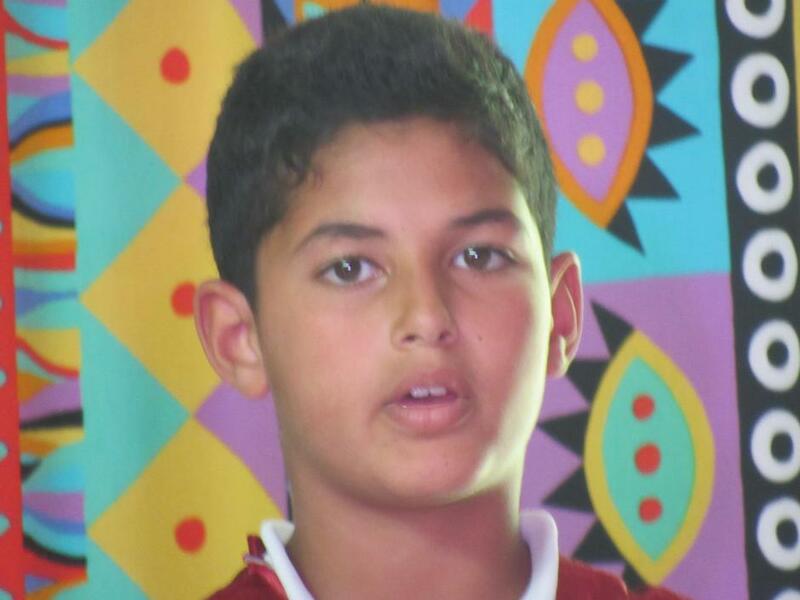 All the adults of 6K wish our leavers every happiness and success in their new schools, and we hope to receive invitations to any future drama performances in which they might be involved!